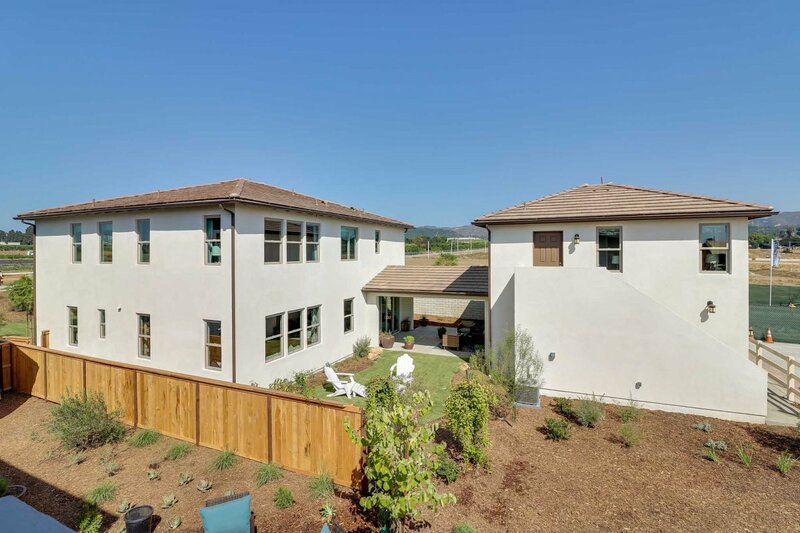 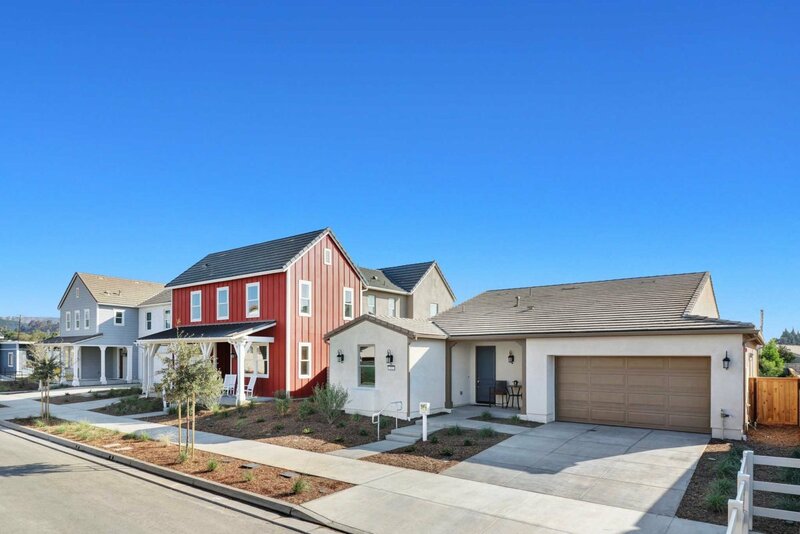 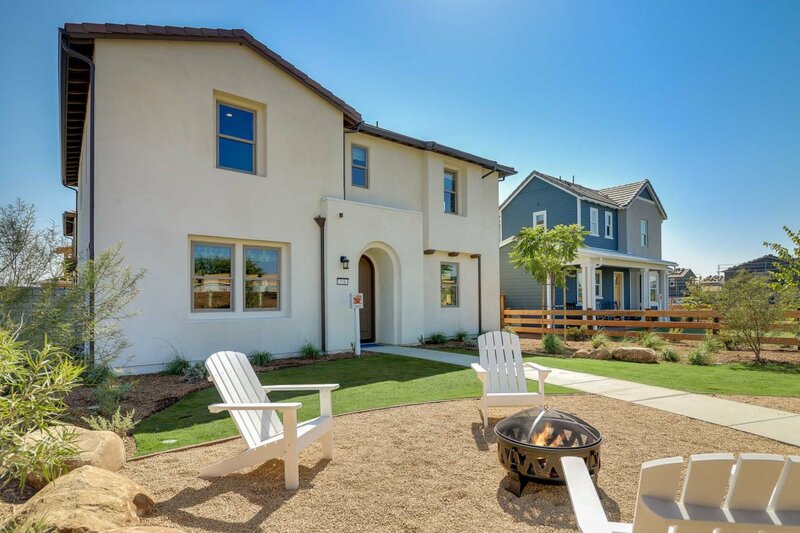 The Farm, is a new master plan community on the East end of Ventura, considered by some to have the best weather on earth. 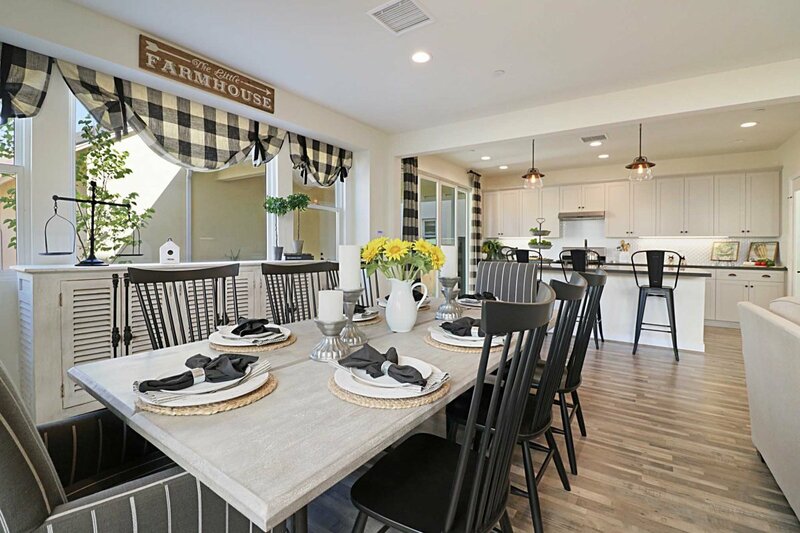 Located in a rare, rural setting among fields of flowers and citrus orchards, The Farm will bring you back to a time once forgotten! 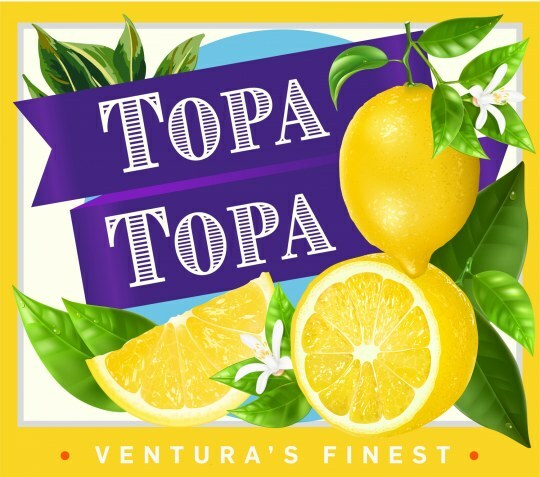 Located between the foothills to the North and the Pacific Ocean to the South, the city of Ventura enjoys a mild Mediterranean climate year-round. 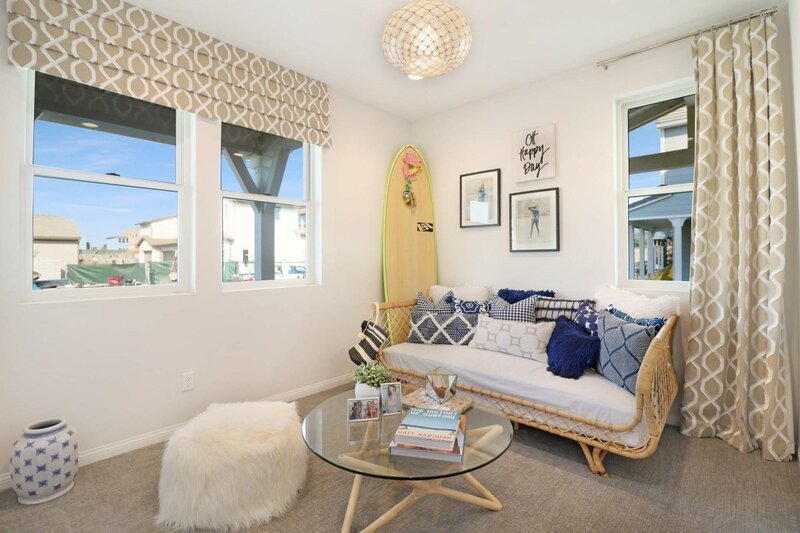 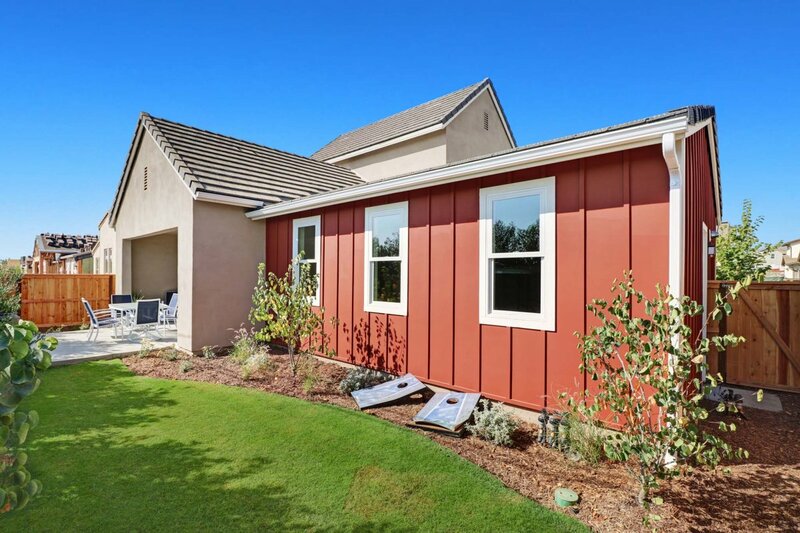 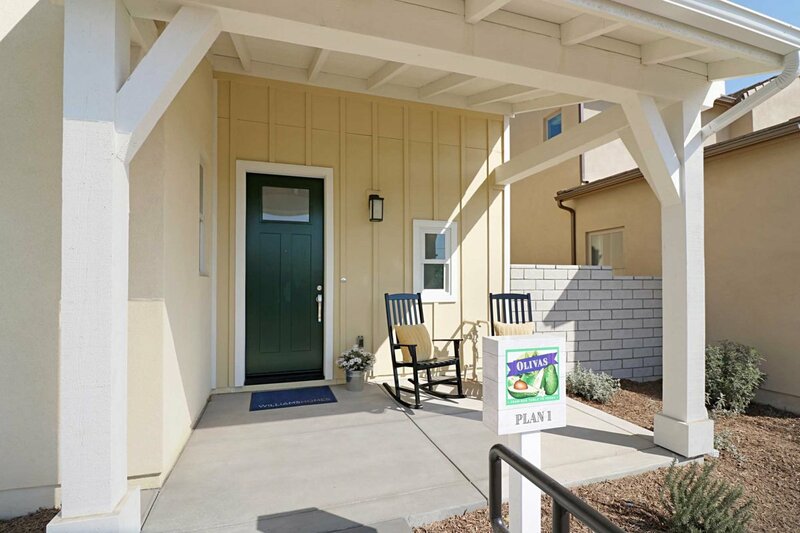 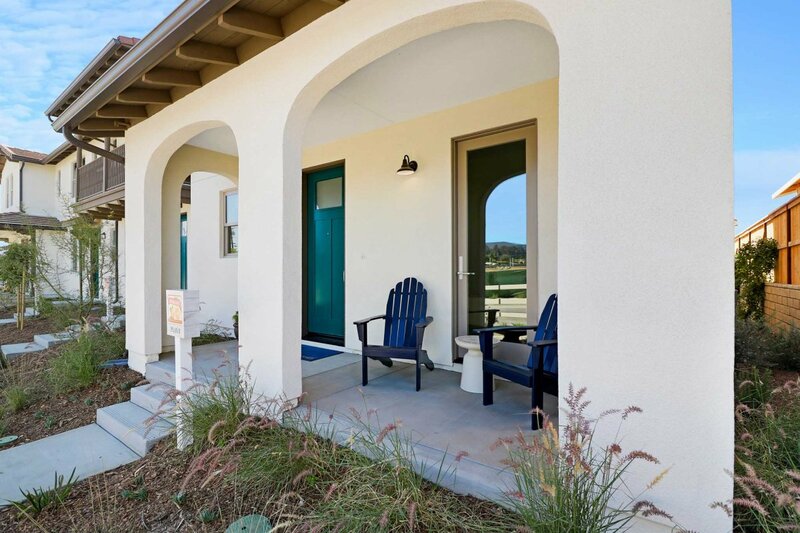 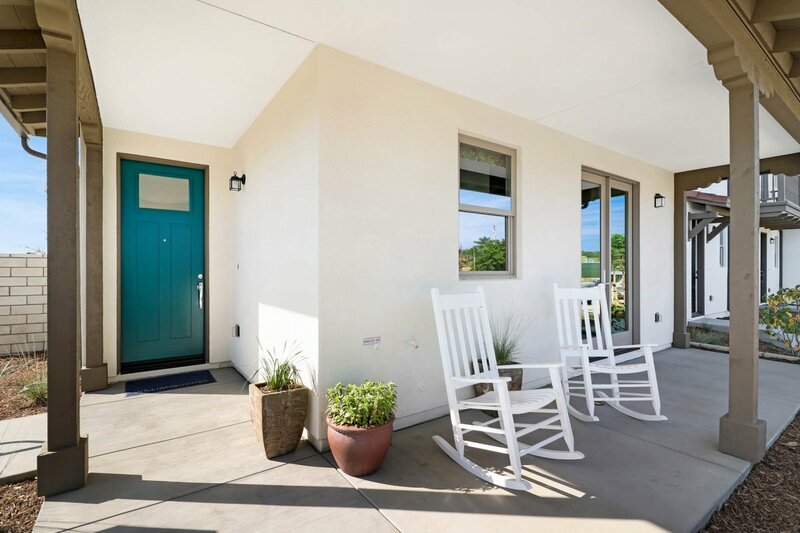 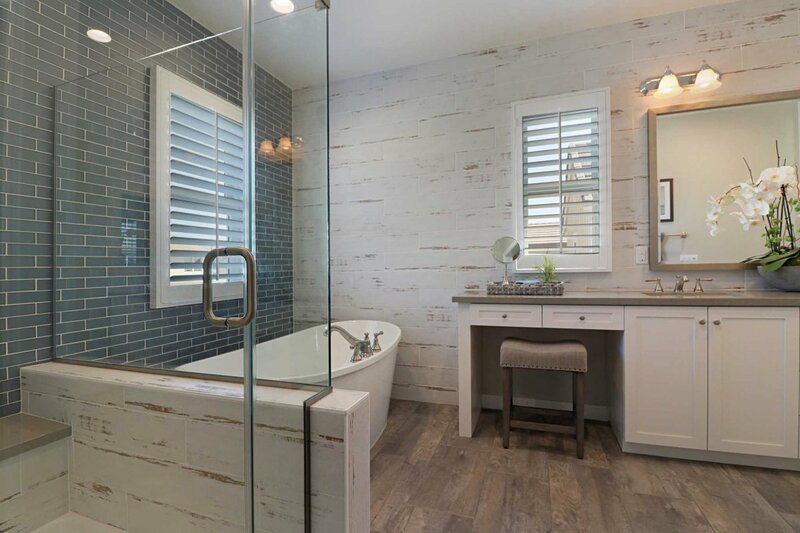 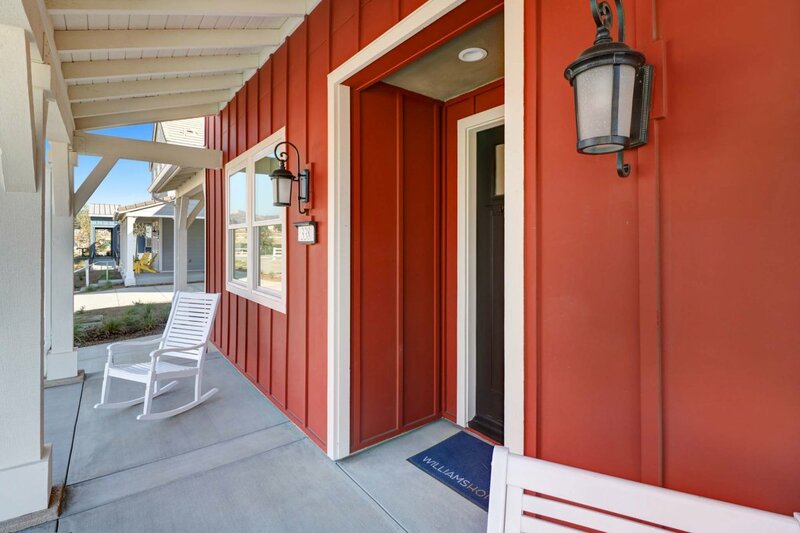 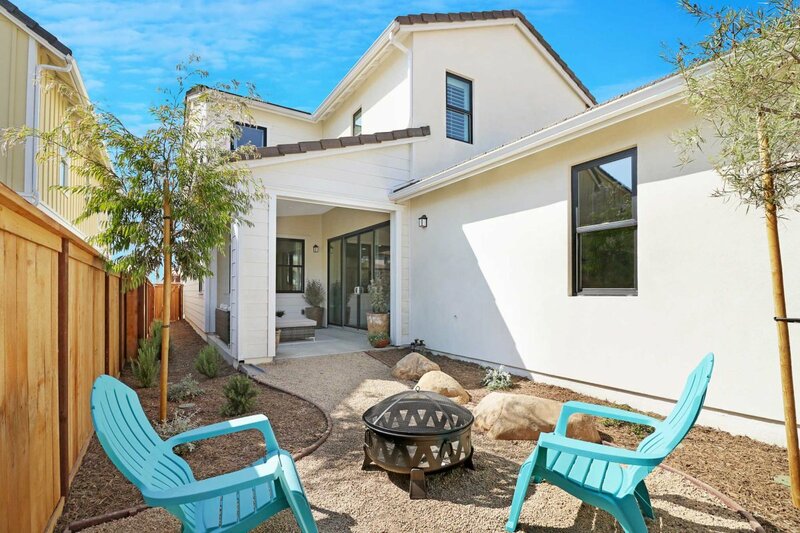 Ventura’s cool ocean breezes will refresh and energize while you stroll along The Farm’s wide sidewalks, tree lined parkways and over 6 acres of parks! 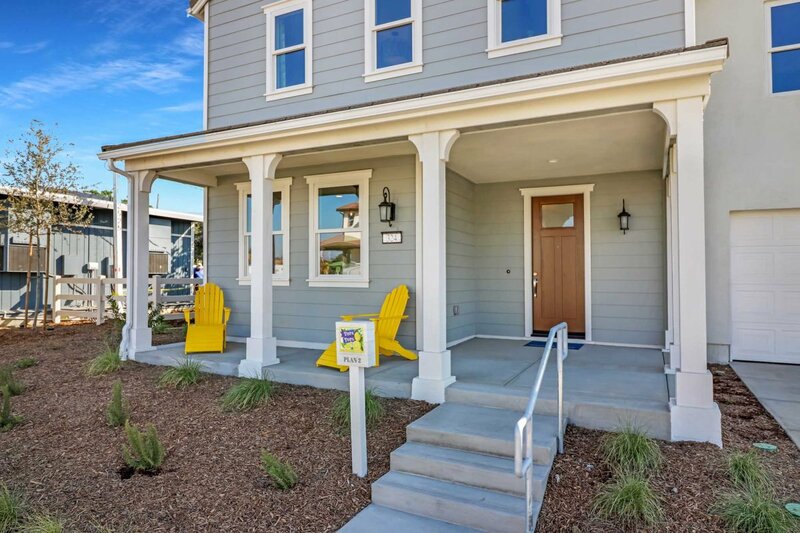 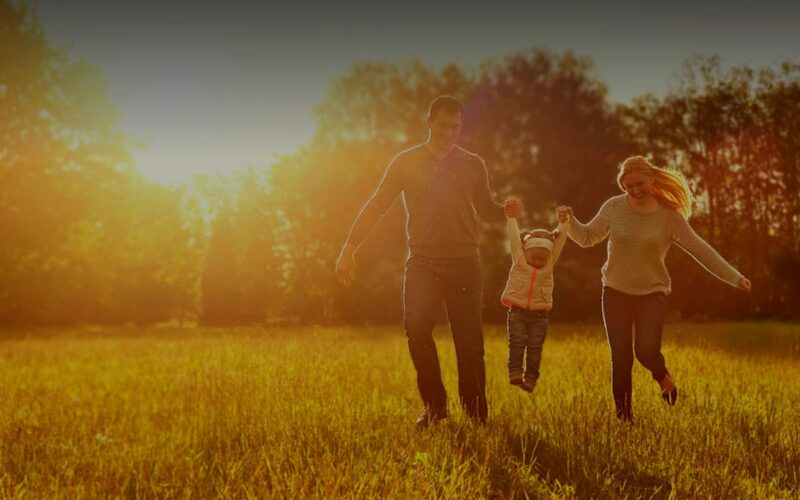 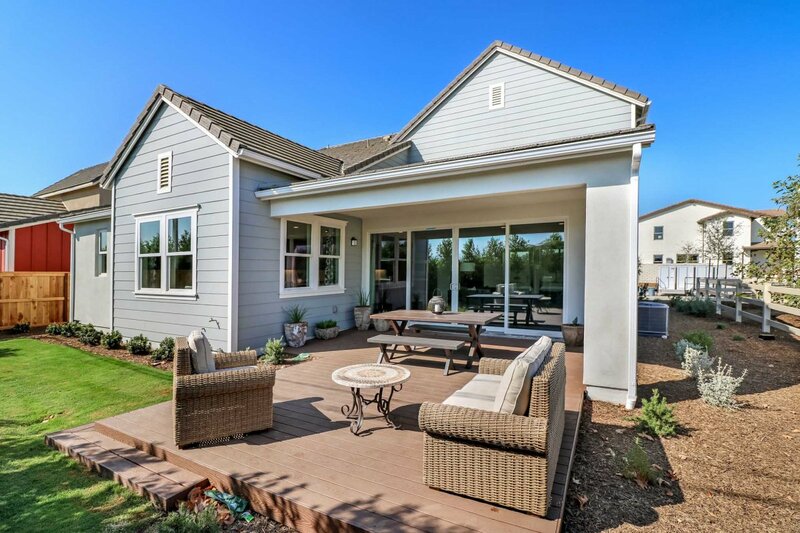 The Farm is just minutes to shopping and dining, beautiful beaches and miles of gorgeous coastline, and is a homebuying opportunity you will find nowhere else in California! 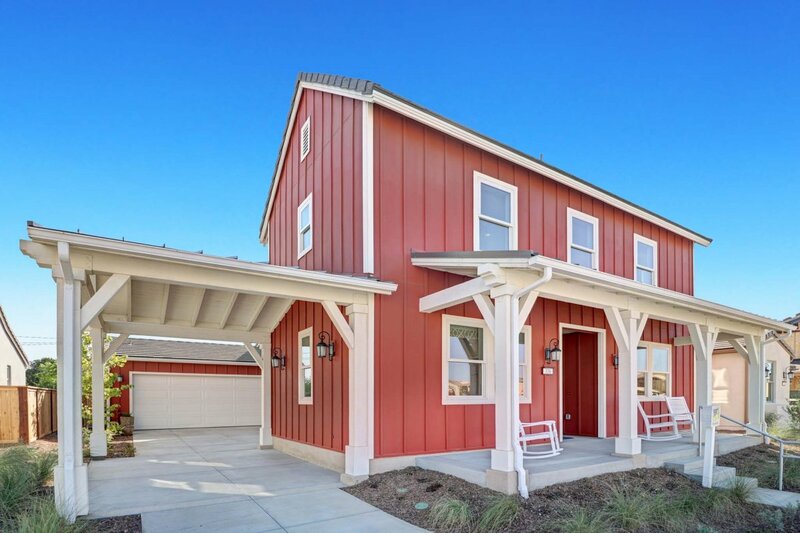 We like to say The Farm is, "In the middle of nowhere and minutes to everywhere." 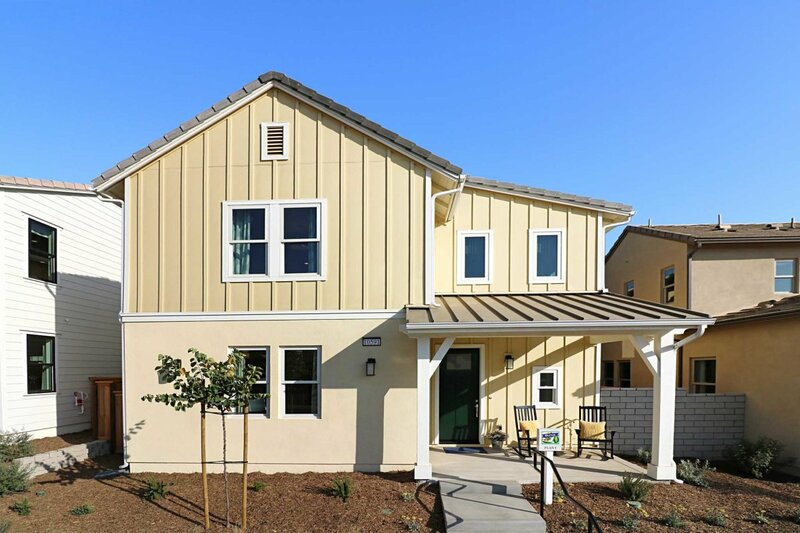 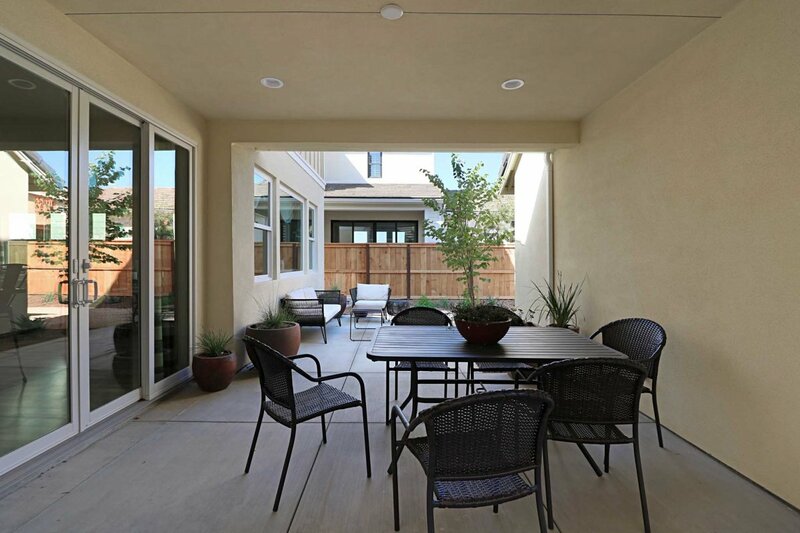 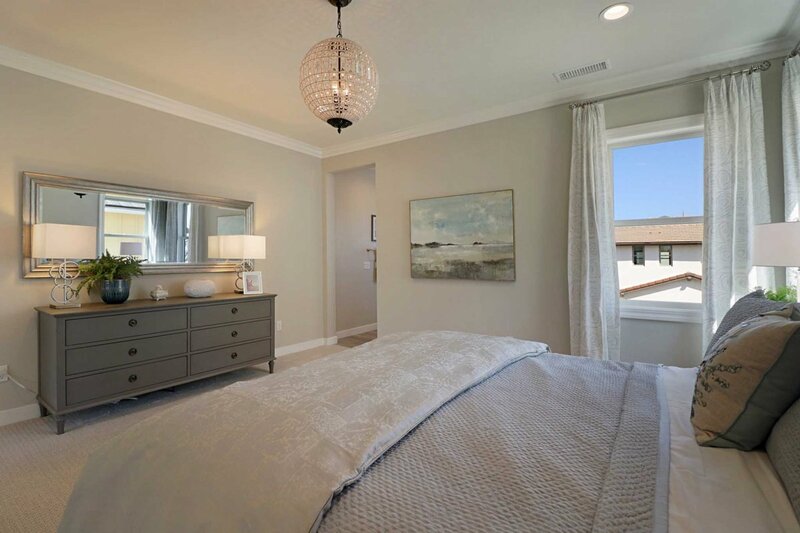 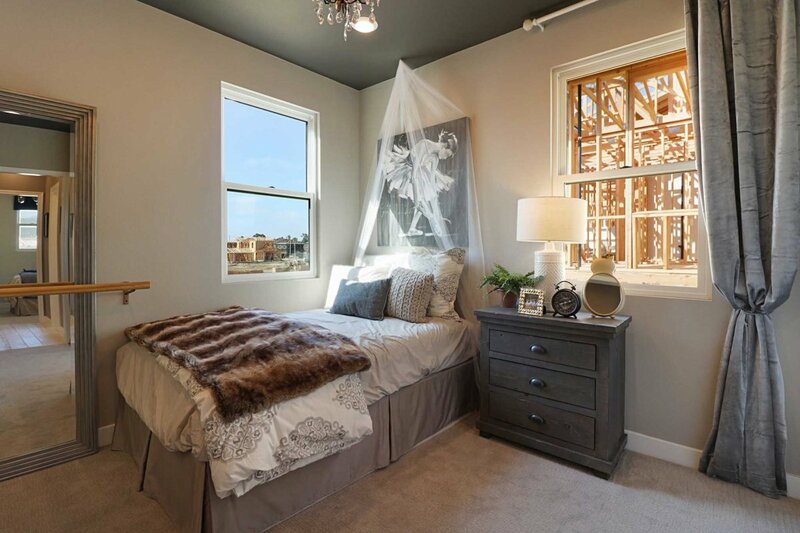 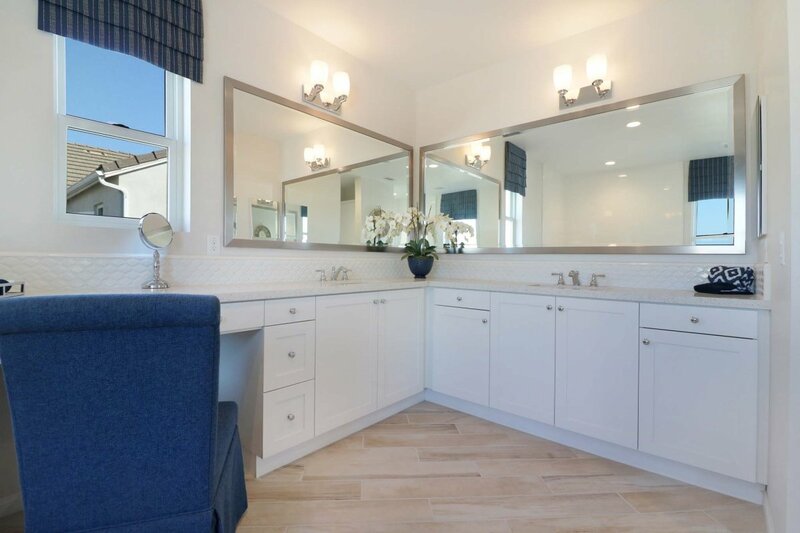 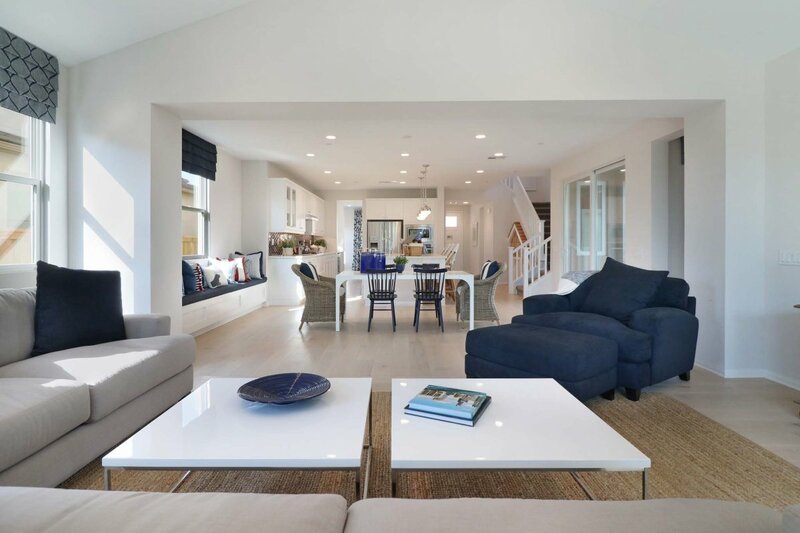 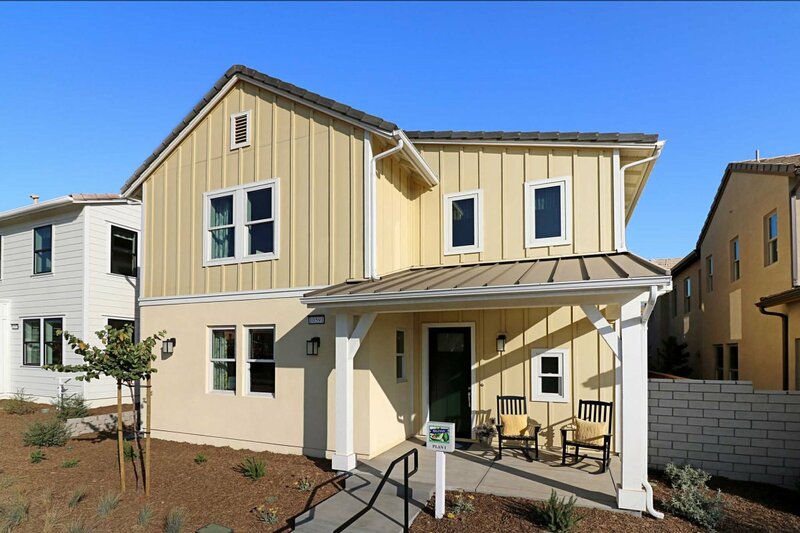 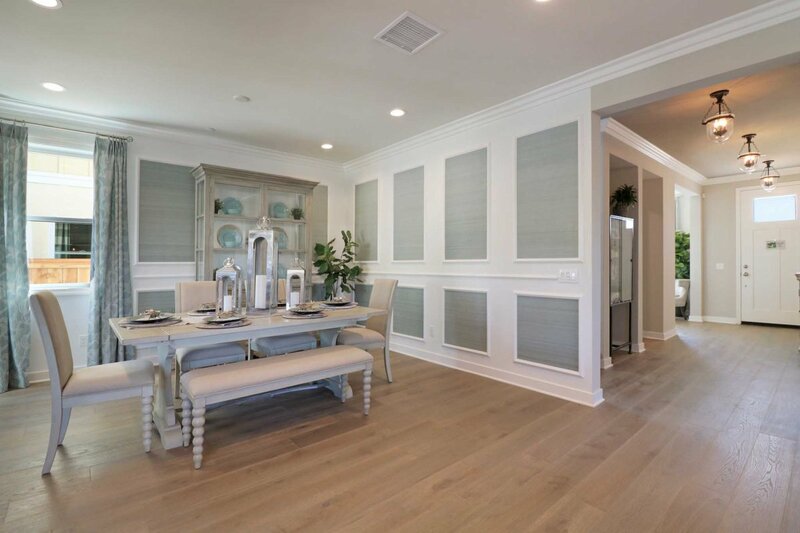 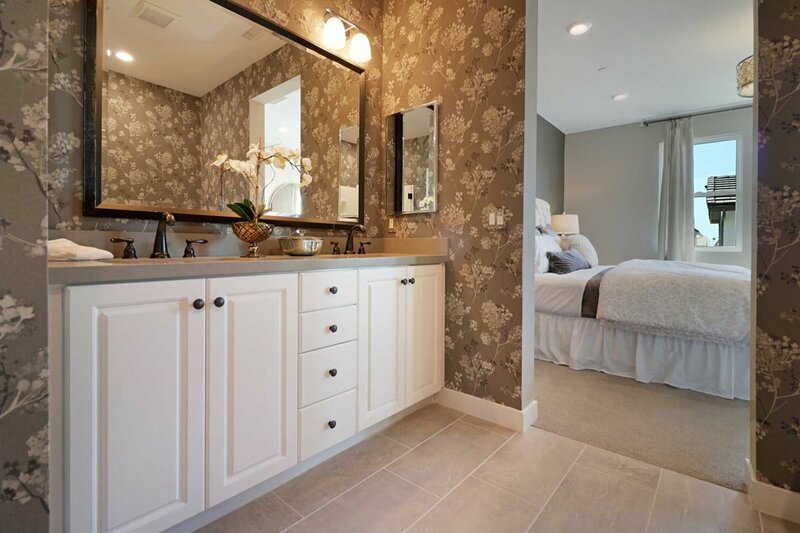 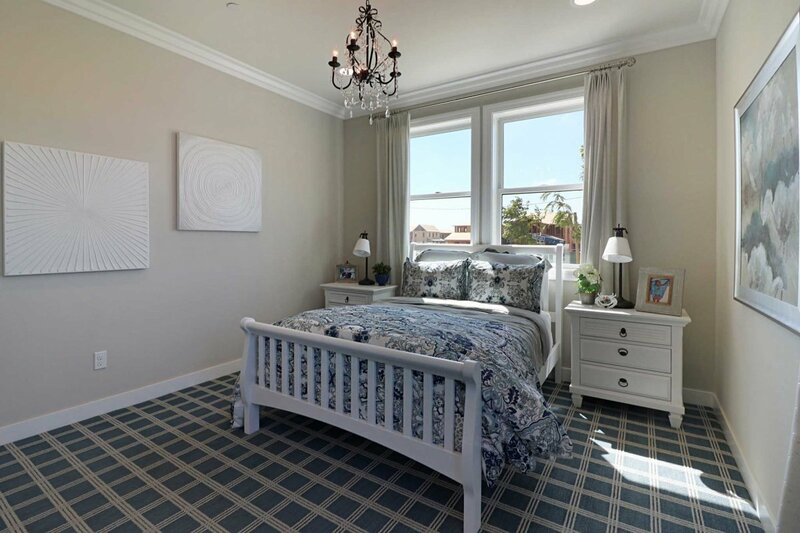 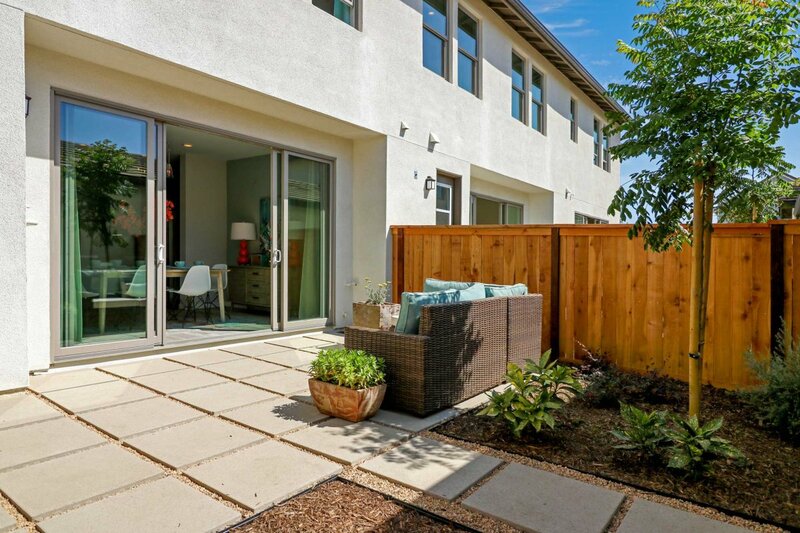 Residence Two at Anacapa is 2,238 approximate square feet with 3 bedrooms and 2.5 bathrooms. 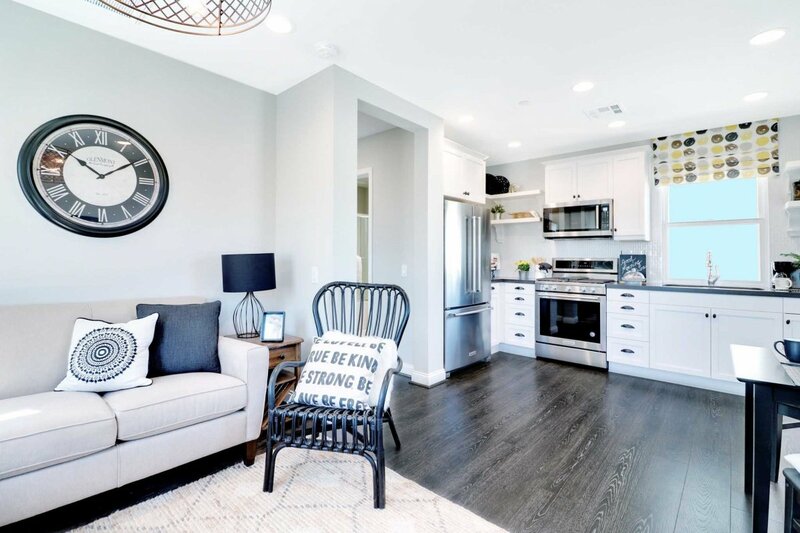 Featured is a studio above the detached two-car garage, kitchen island open to the dining and great room, and two secondary bedrooms and the master suite on the second level. 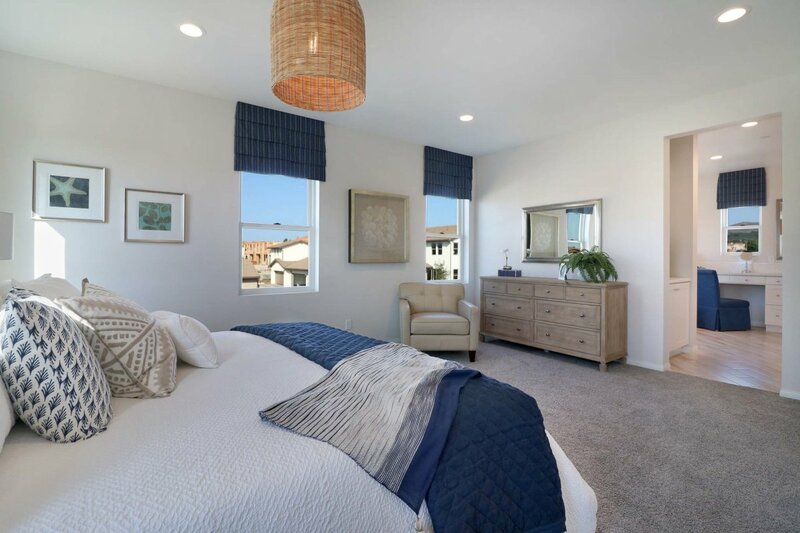 Residence Three at Anacapa is 2,287 approximate square feet with 3 bedrooms and 3 bathrooms. 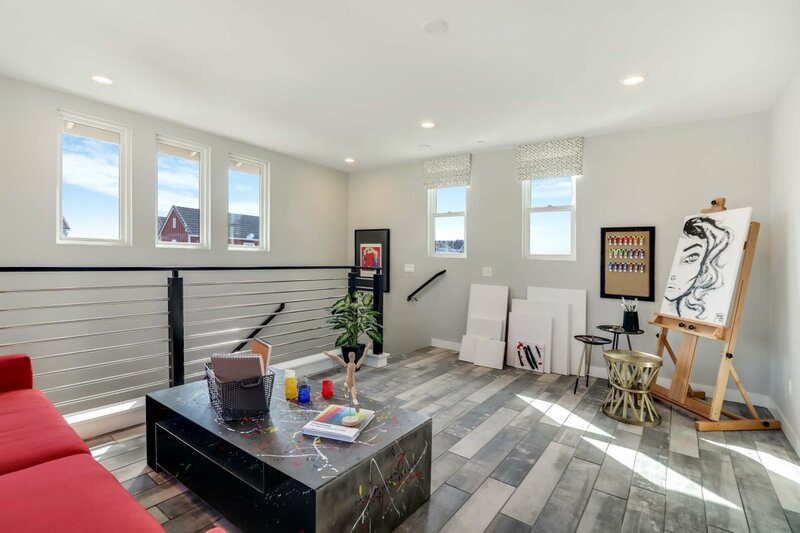 Featured is a studio above the detached two-car garage, optional bedroom 4 in lieu of the office, kitchen island open to the dining and great room, and two secondary bedrooms and the master suite on the second floor. 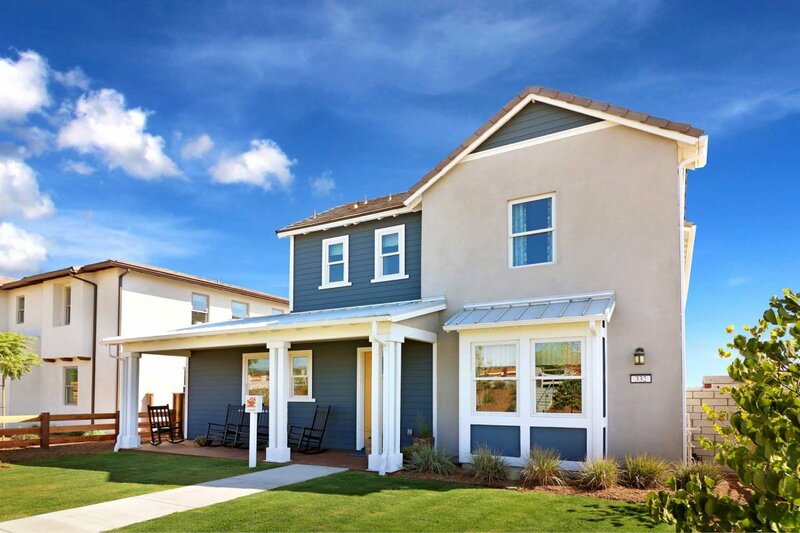 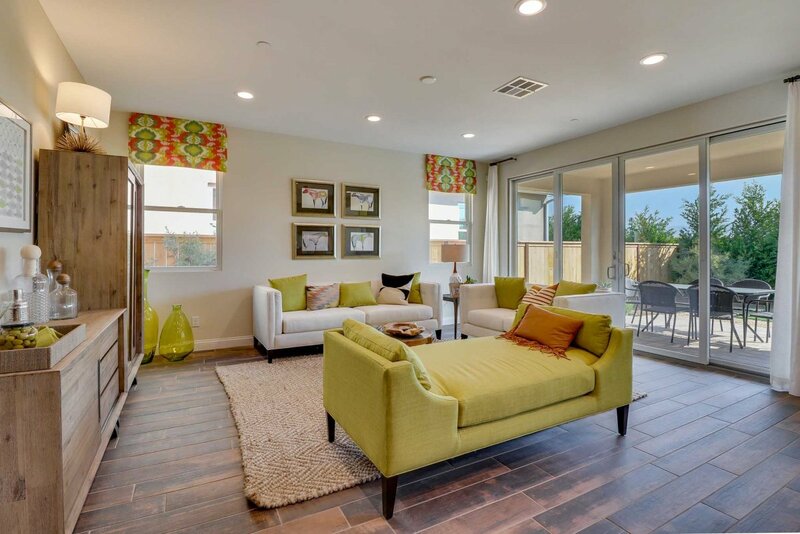 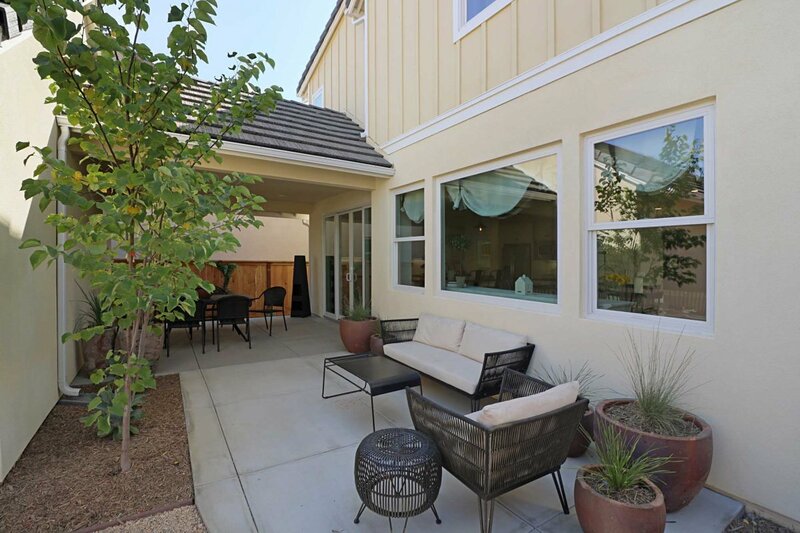 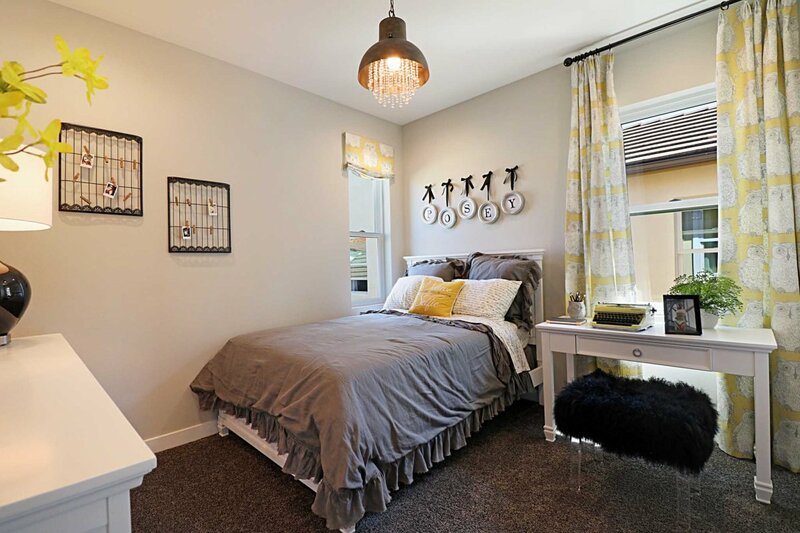 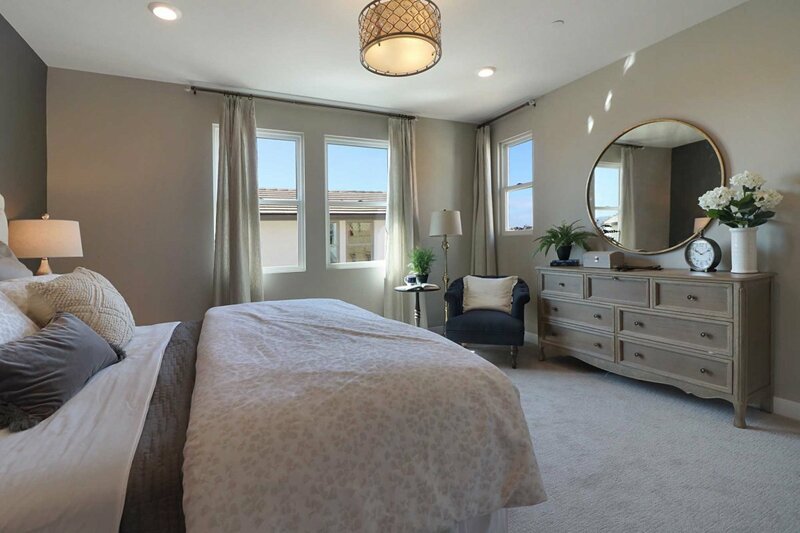 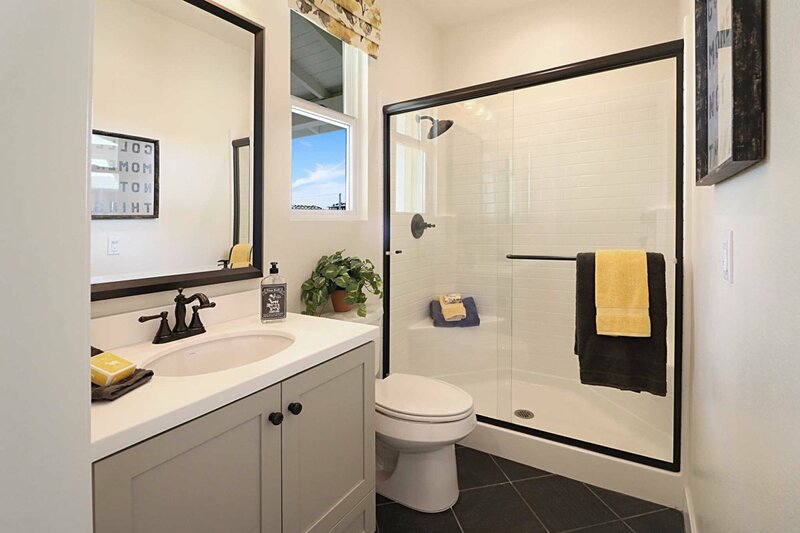 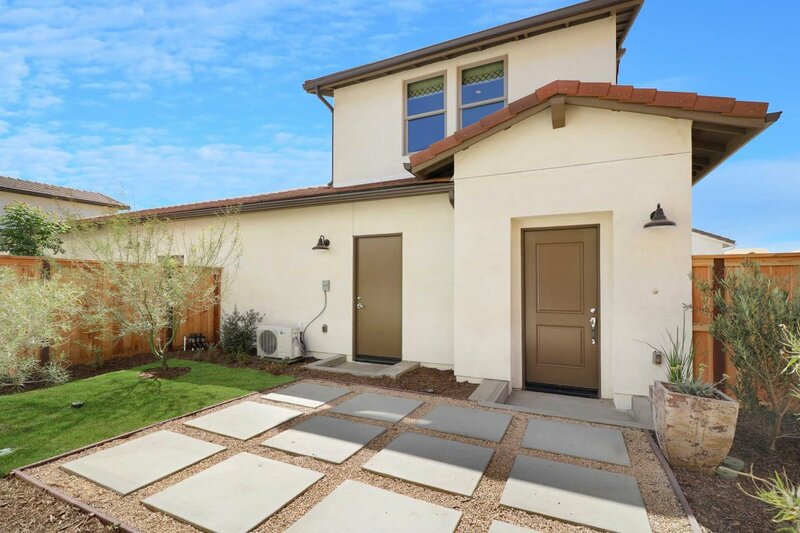 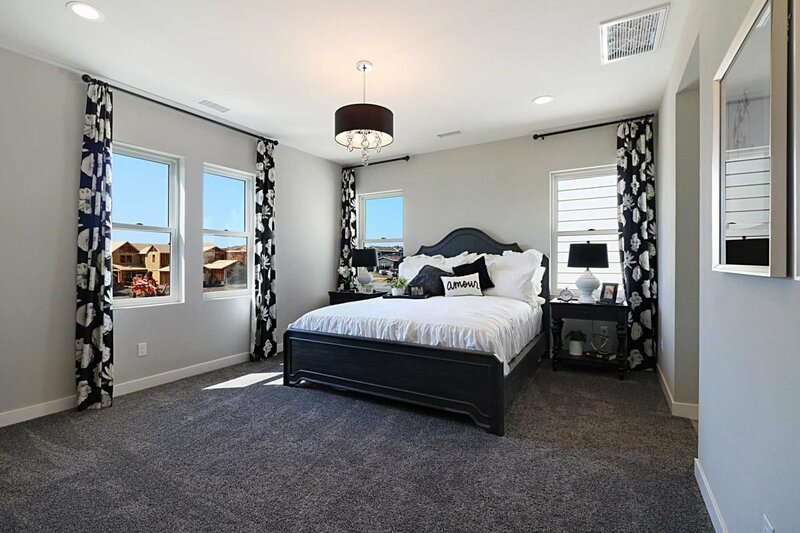 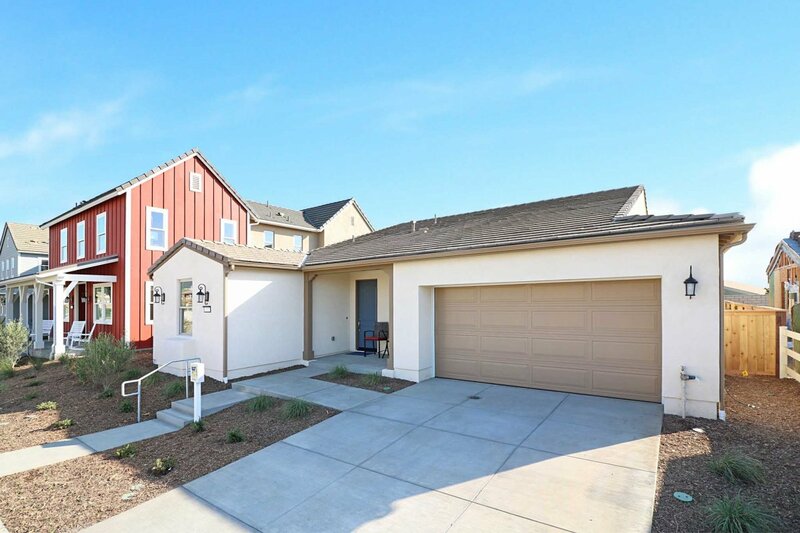 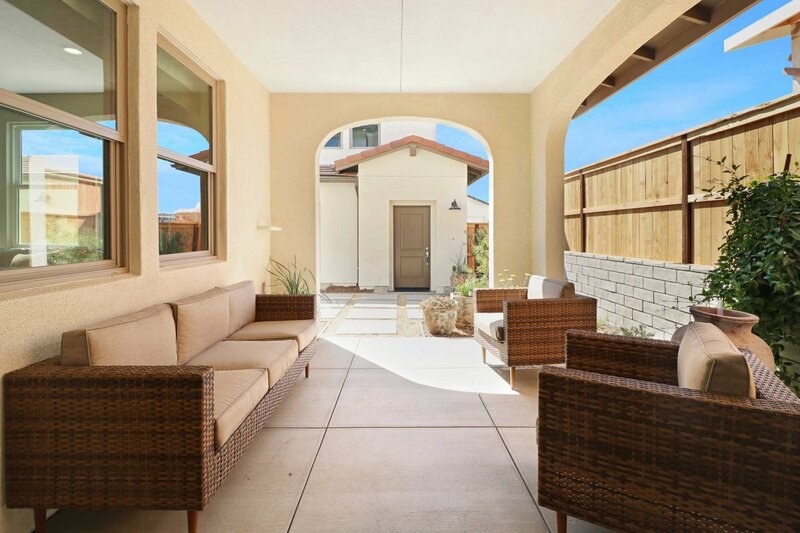 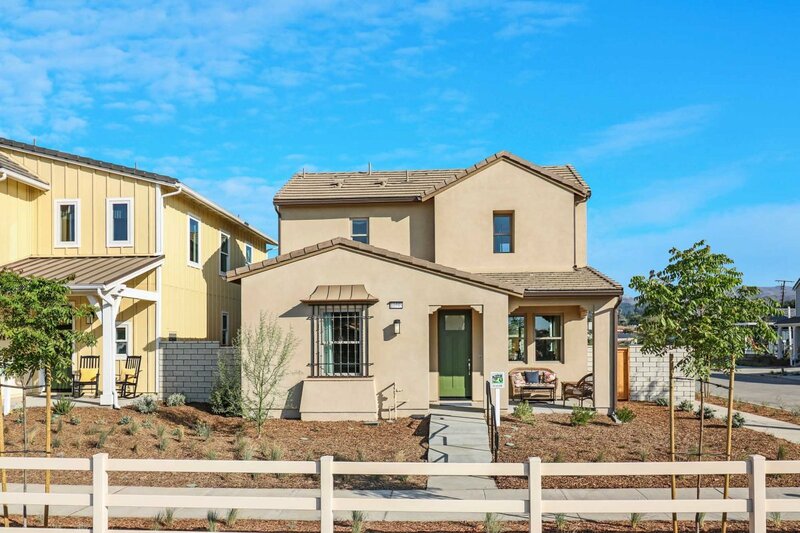 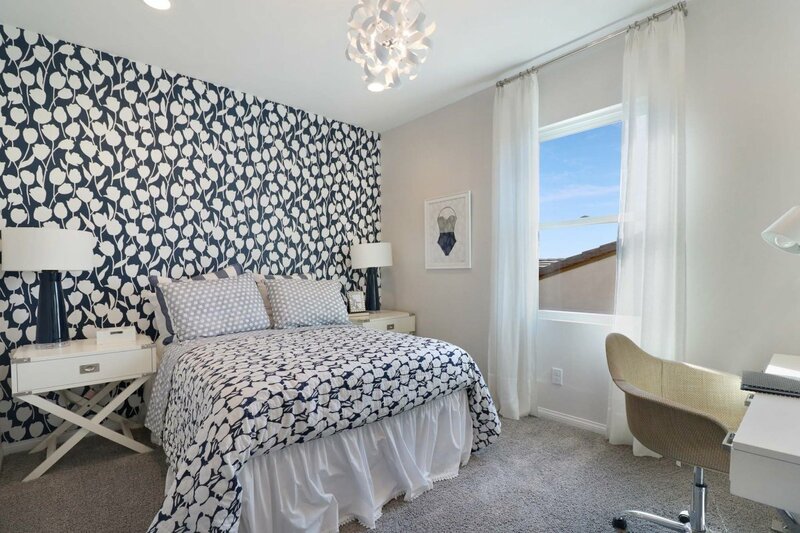 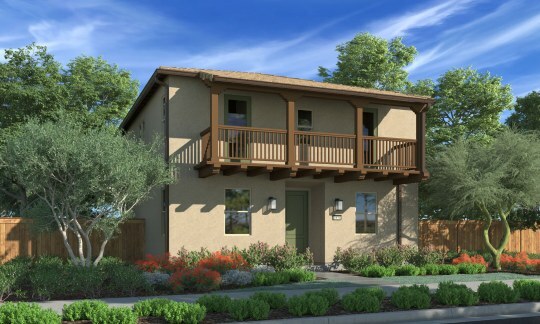 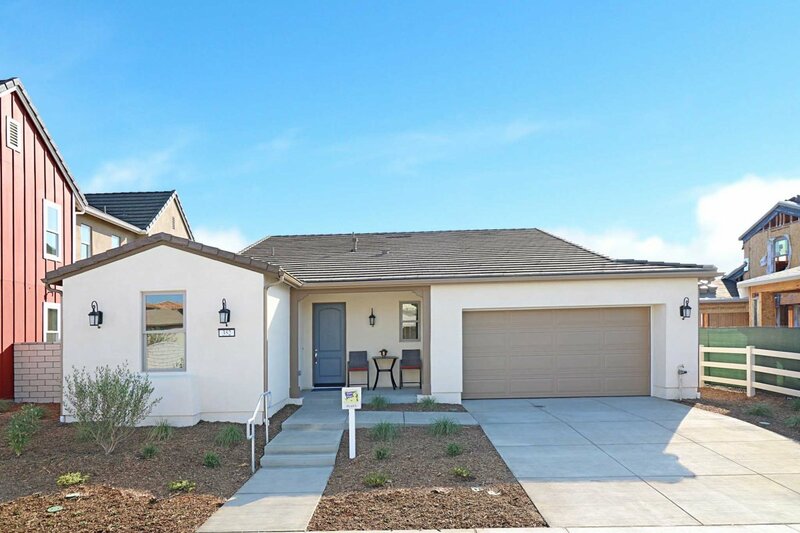 Residence One at Olivas is 2,251 approximate square feet with 3 bedrooms and 3 bathrooms. 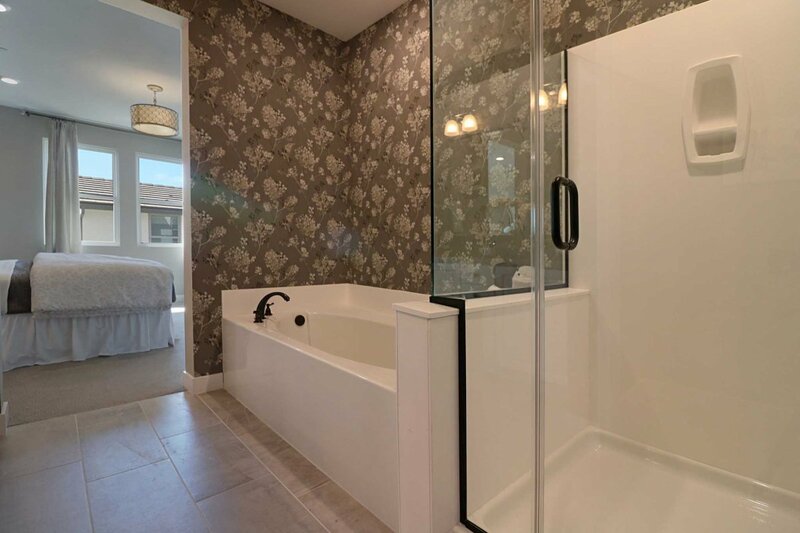 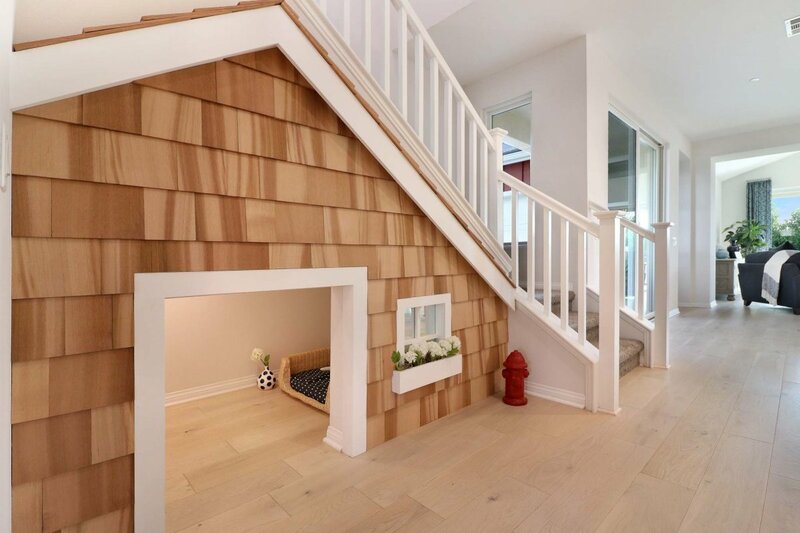 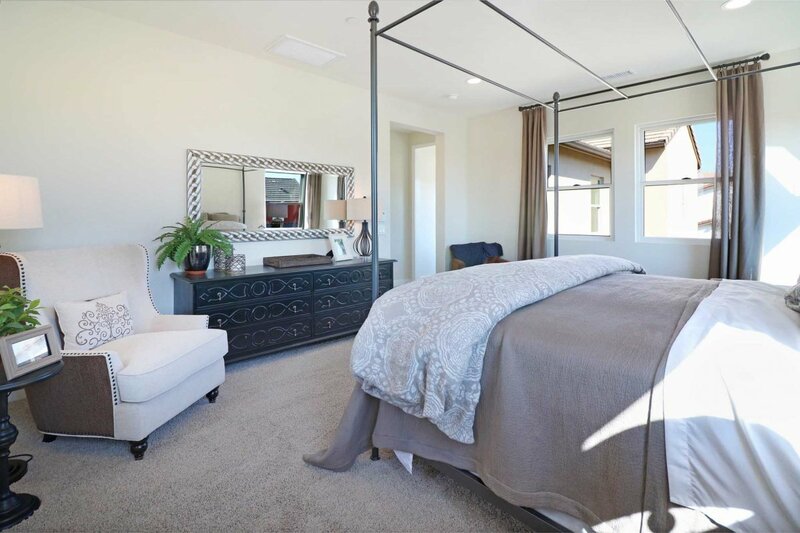 Featured is a two-car garage, California room, first floor bedroom and full bathroom, kitchen open to the dining and great room, loft, and two secondary bedrooms and master suite on the second floor. 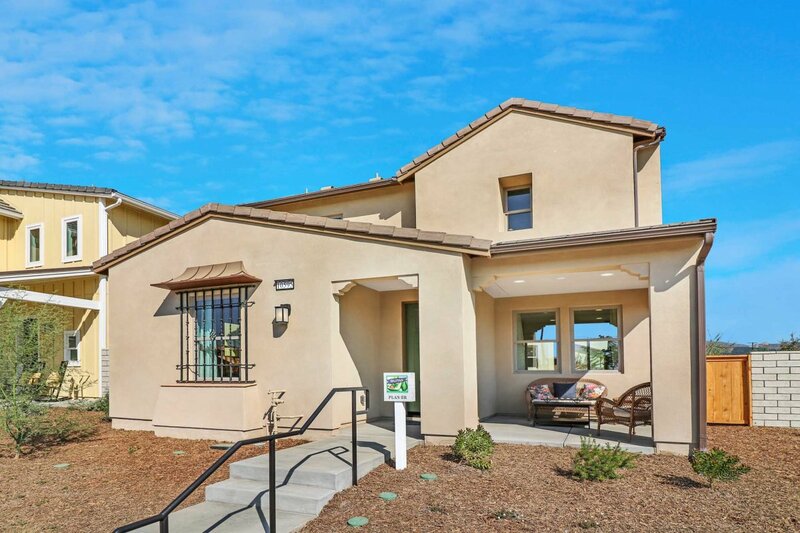 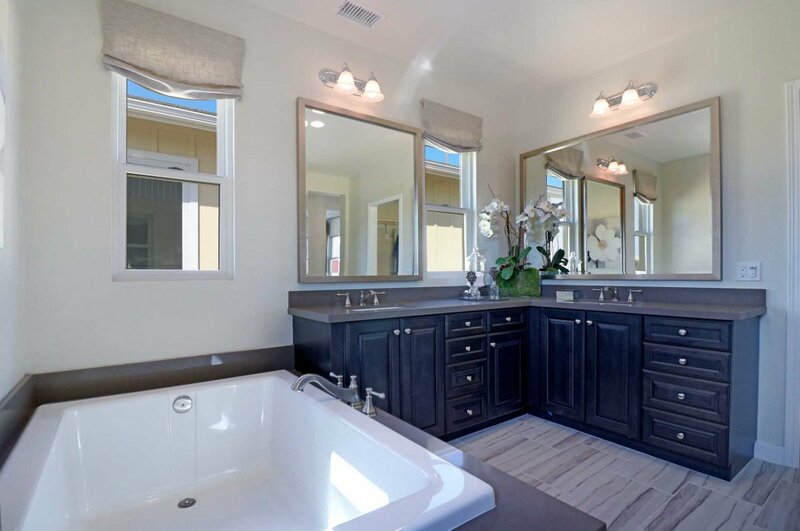 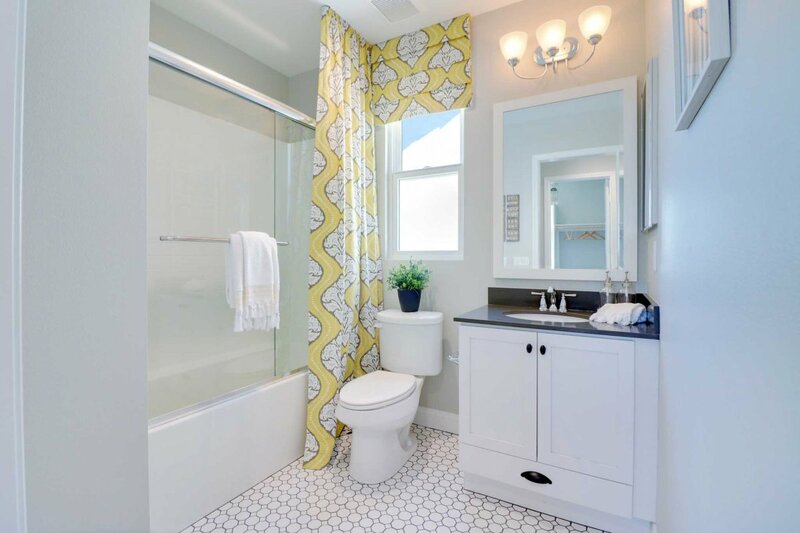 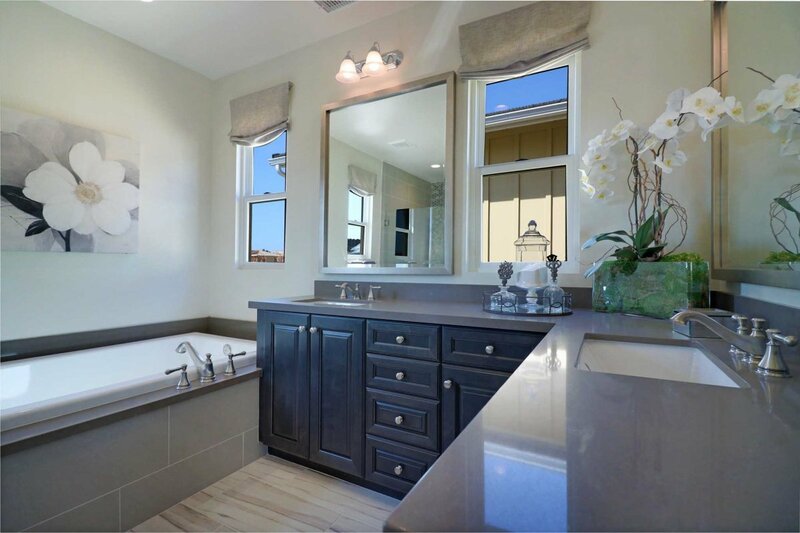 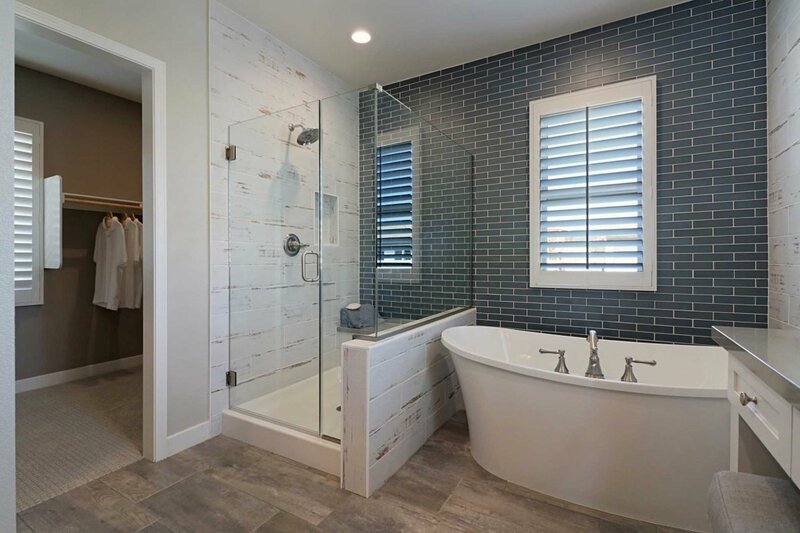 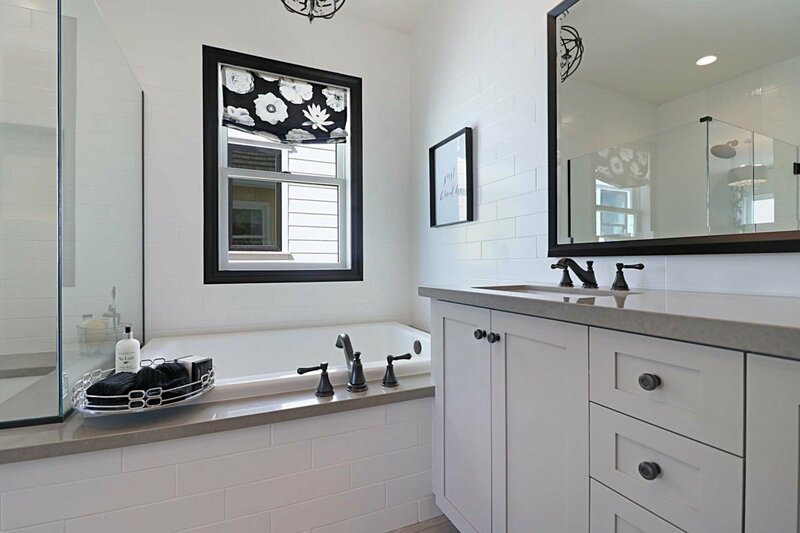 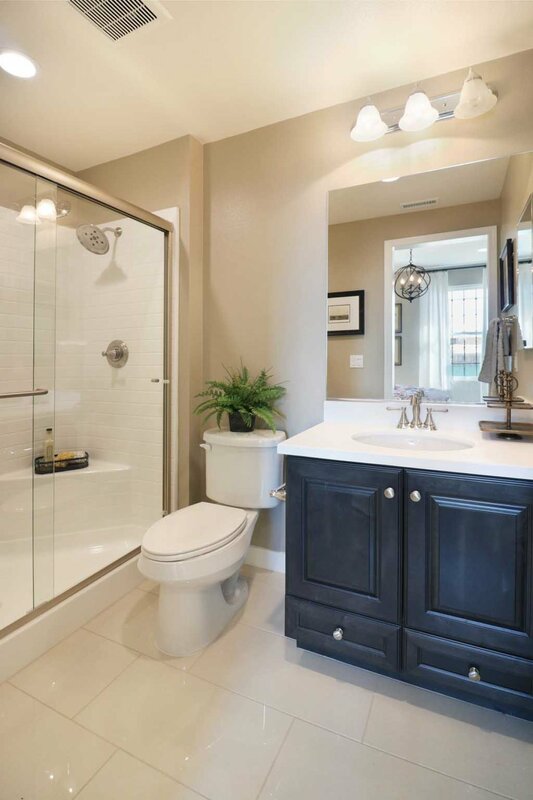 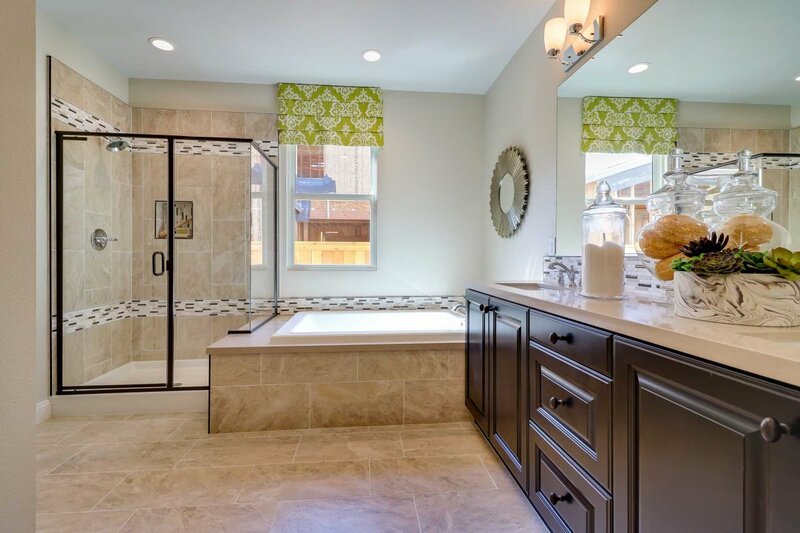 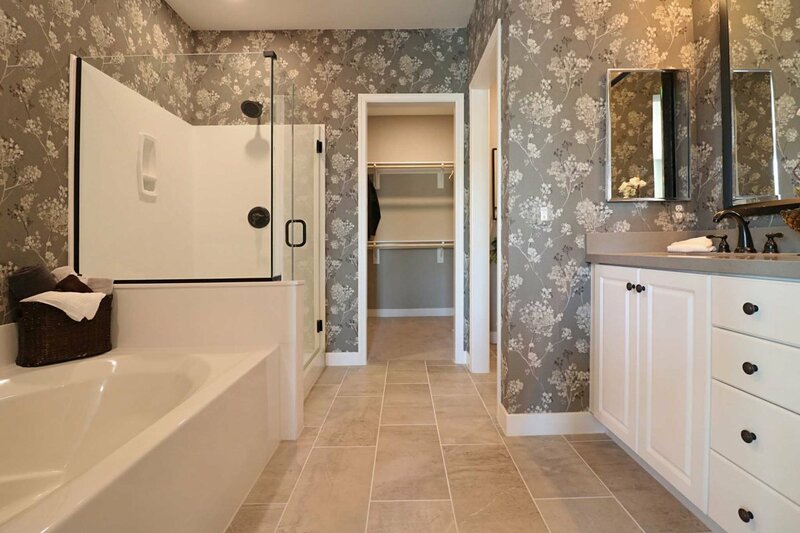 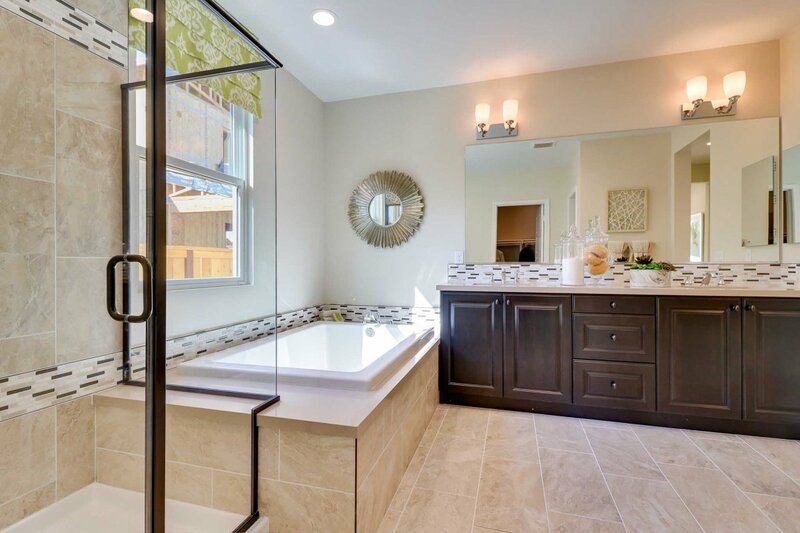 Residence Two at Olivas is 2,223 approximate square feet with 4 bedrooms and 3.5 bathrooms. 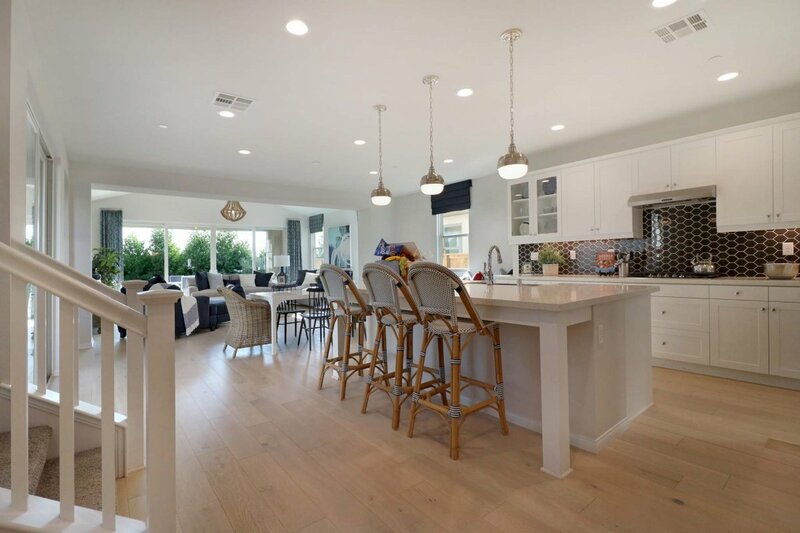 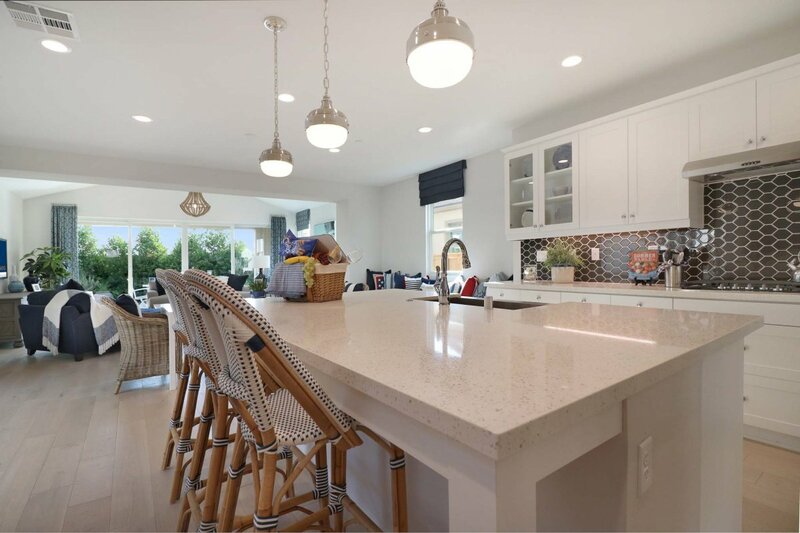 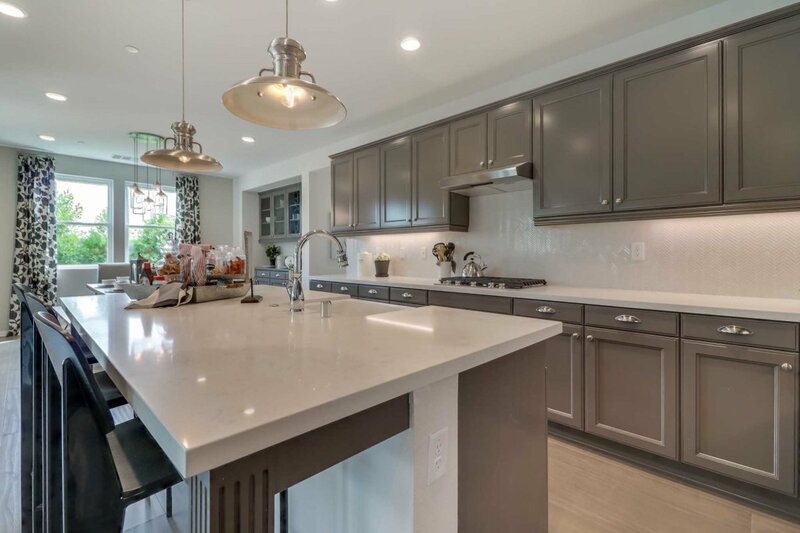 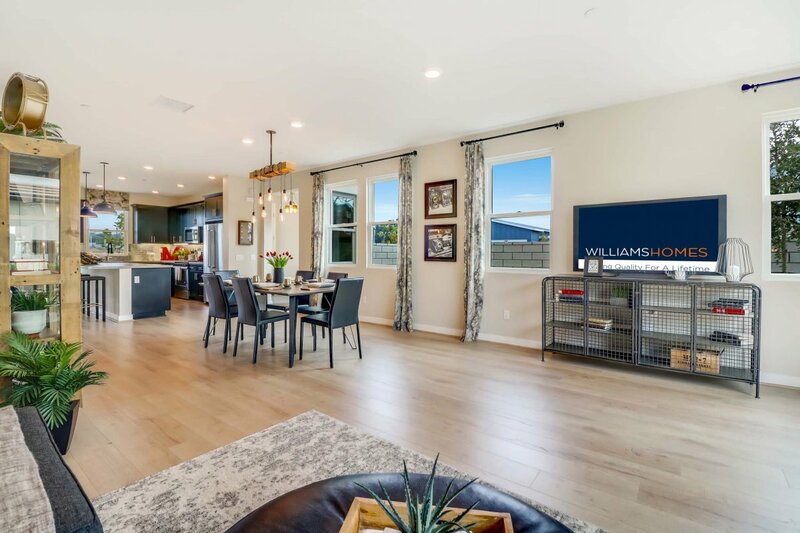 Featured is an attached two-car garage, optional California room, kitchen island open to the dining and great room, first floor bedrooms with a full bathroom, and two secondary bedrooms and the master suite on the second level. 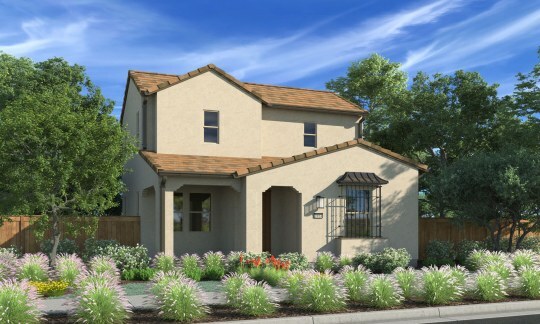 Residence Three at Olivas is 2,702 approximate square feet with 4 bedrooms and 3.5 bathrooms. 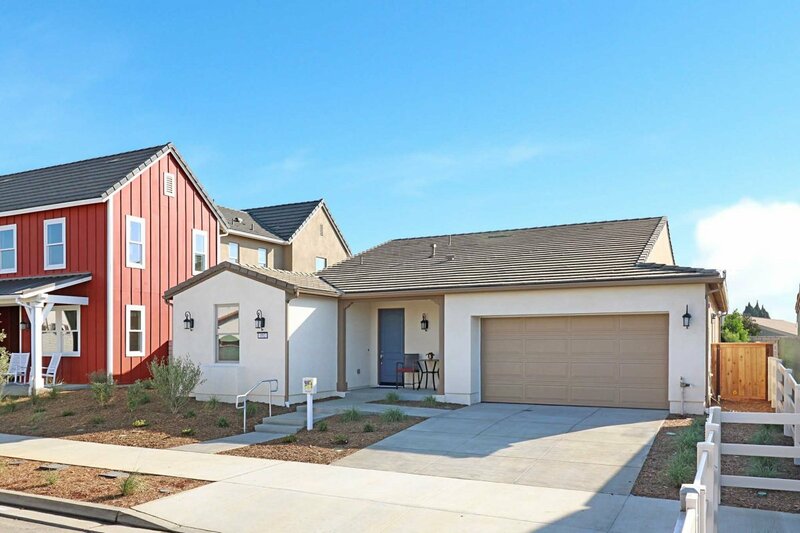 Featured is an attached two-car garage, optional California room, first floor bedroom with a full bathroom, office, kitchen island open to the dining and great room, loft, and two secondary bedrooms and the master suite on the second floor. 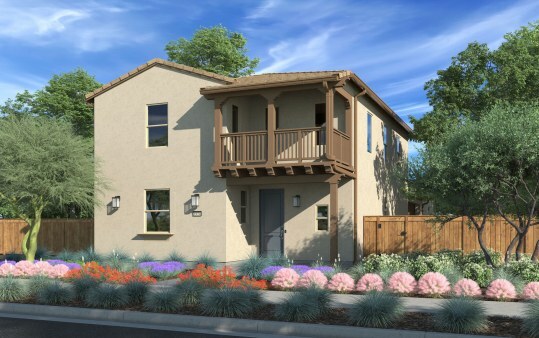 Residence One at Sespe is 2,781 approximate square feet with 4 bedrooms and 3 bathrooms. 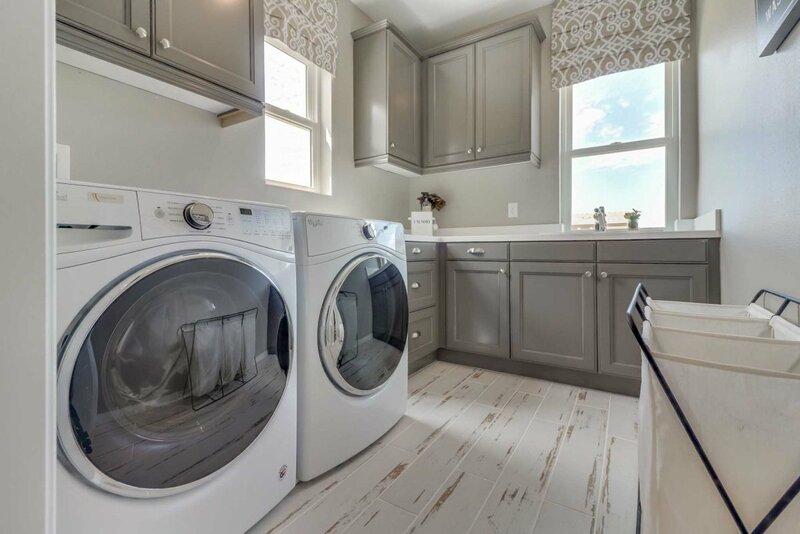 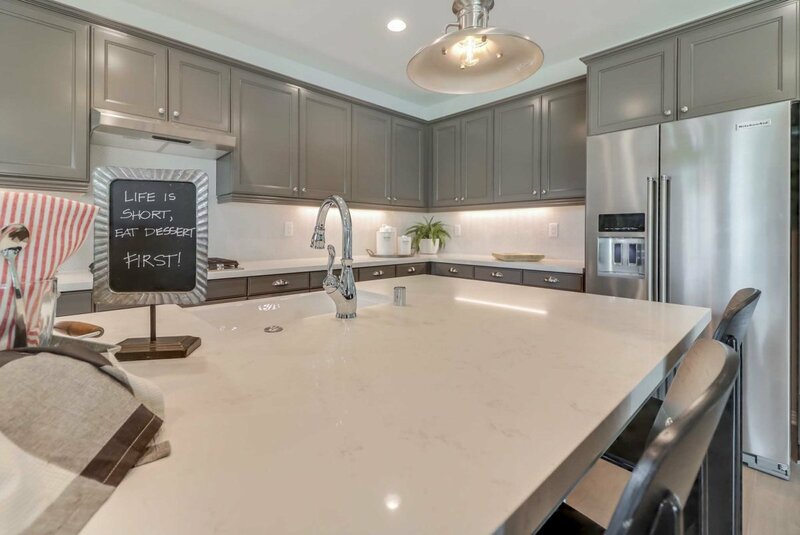 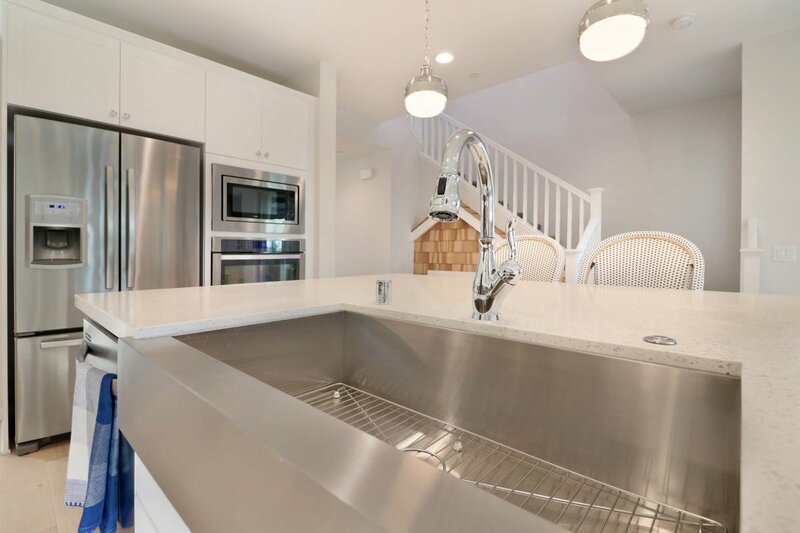 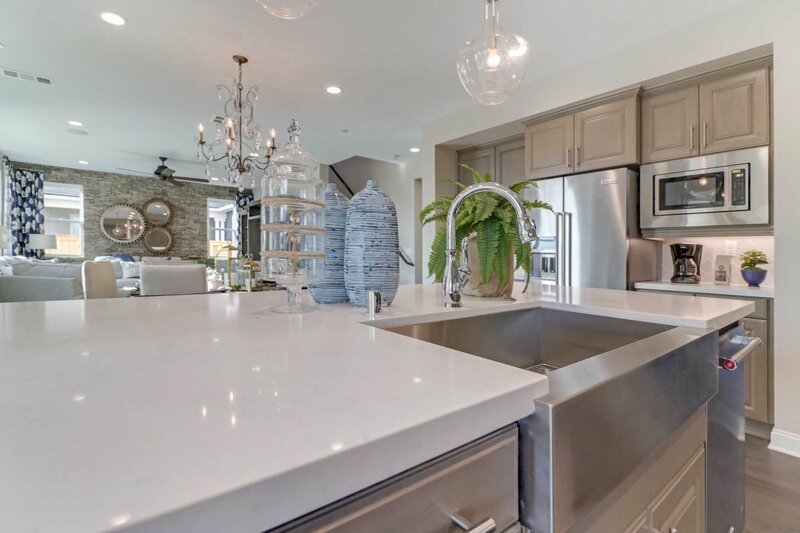 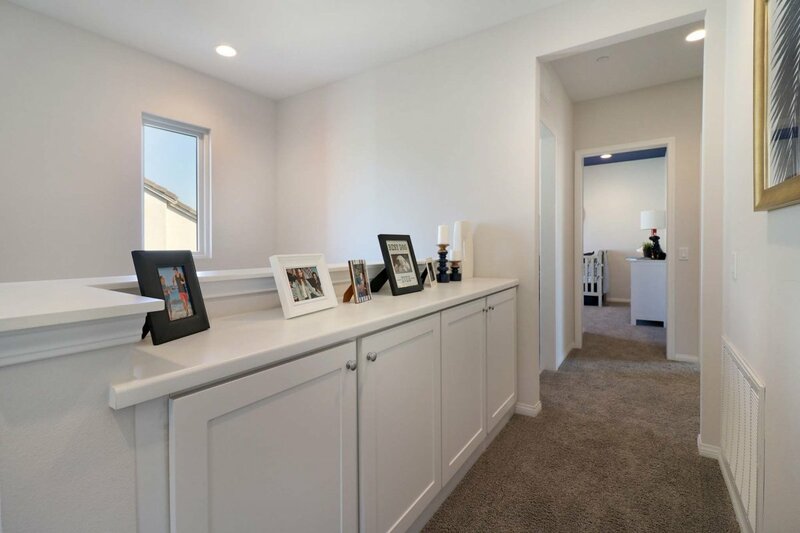 Featured is an attached two-car garage, kitchen island open to the nook and great room, formal dining room, first floor secondary bedroom and master suite with a large walk-in closet, loft, and two secondary bedrooms on the second level. 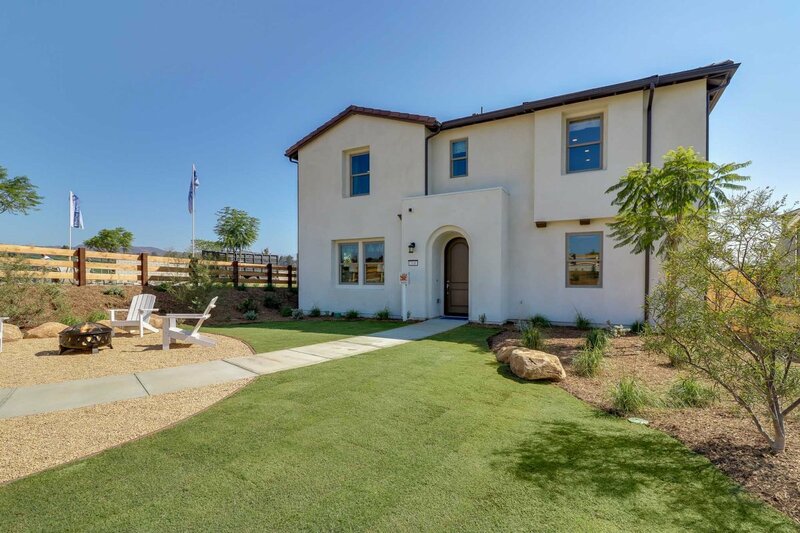 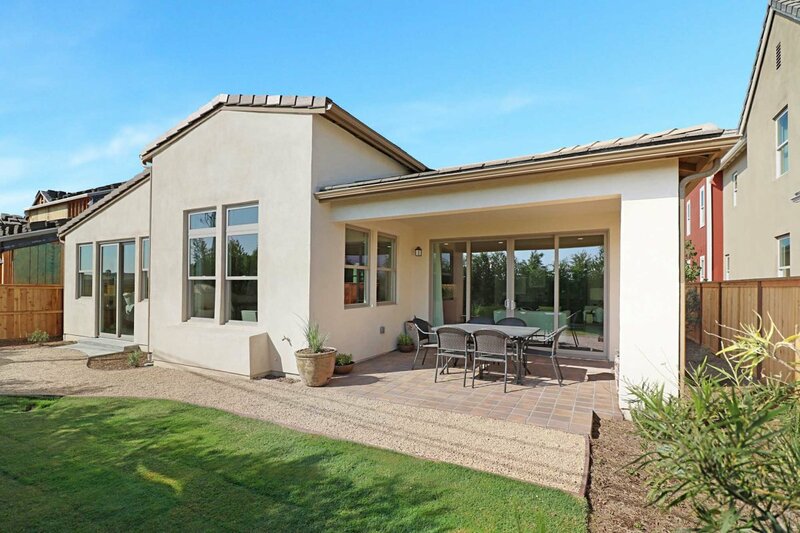 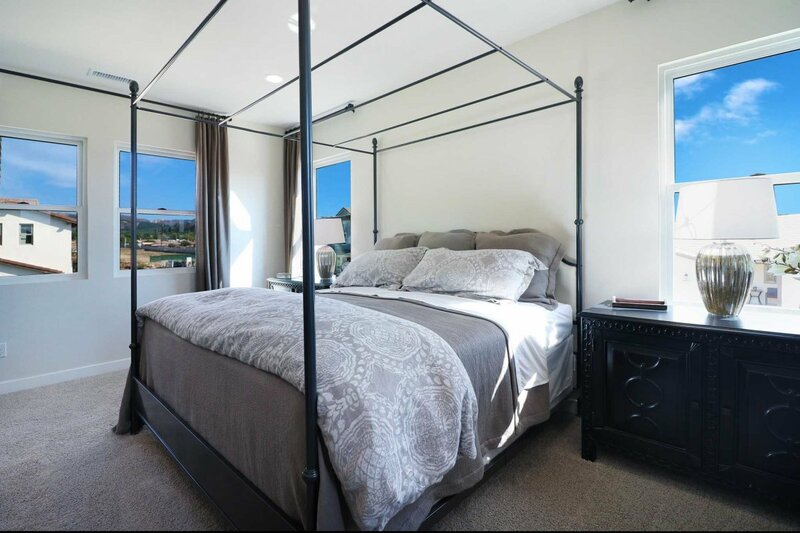 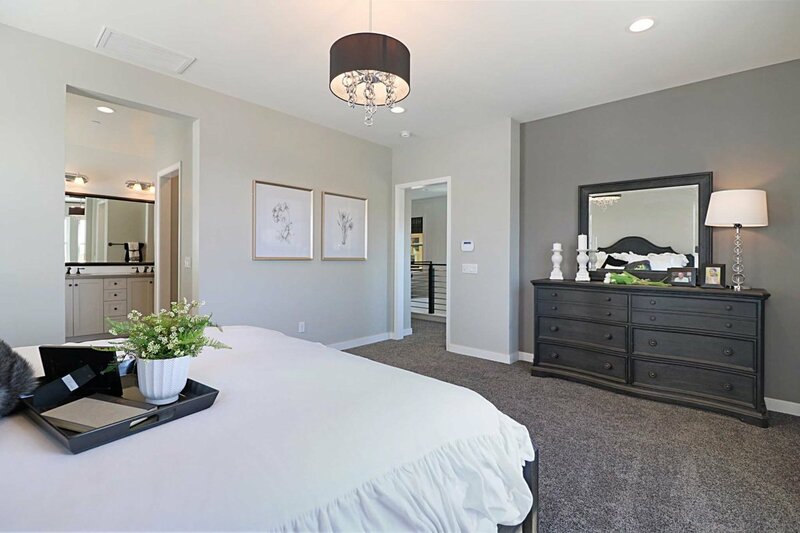 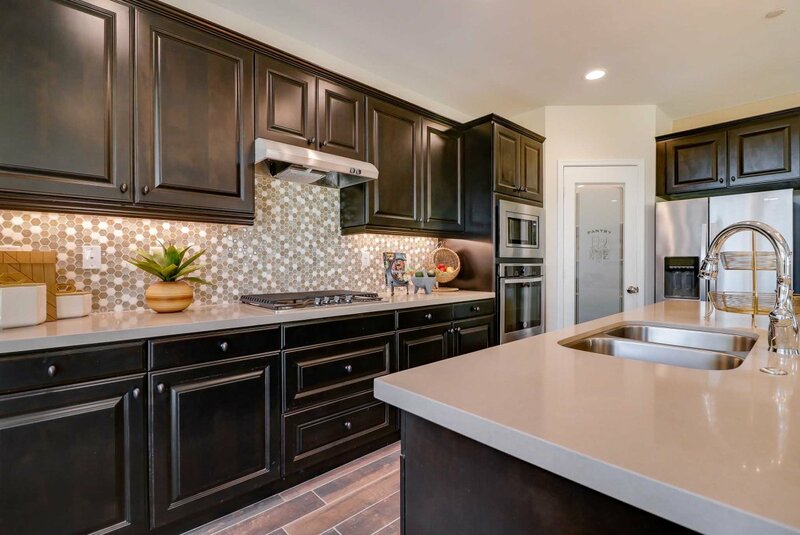 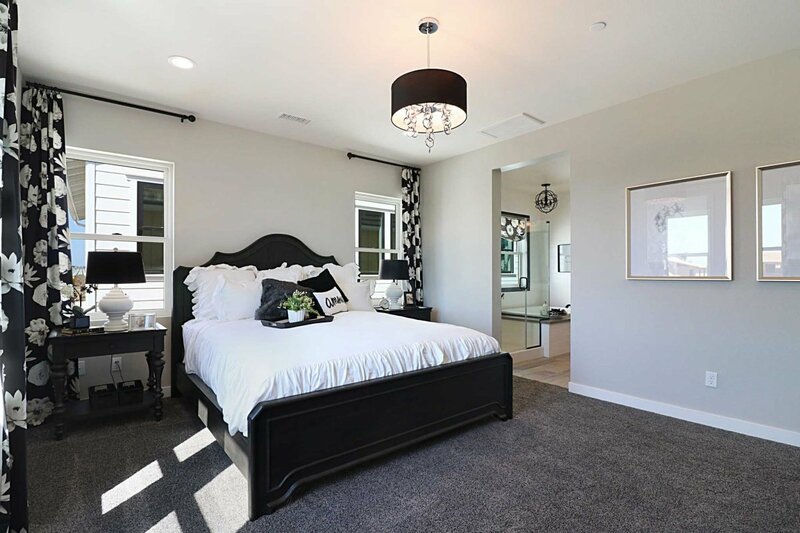 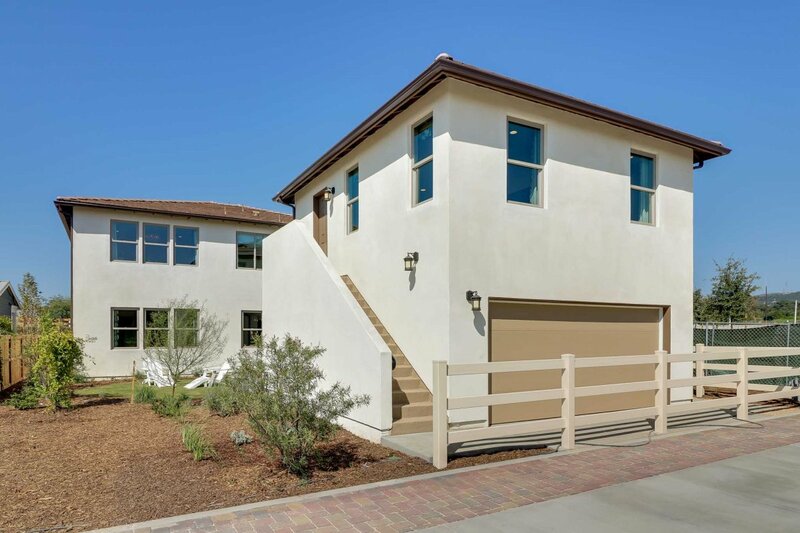 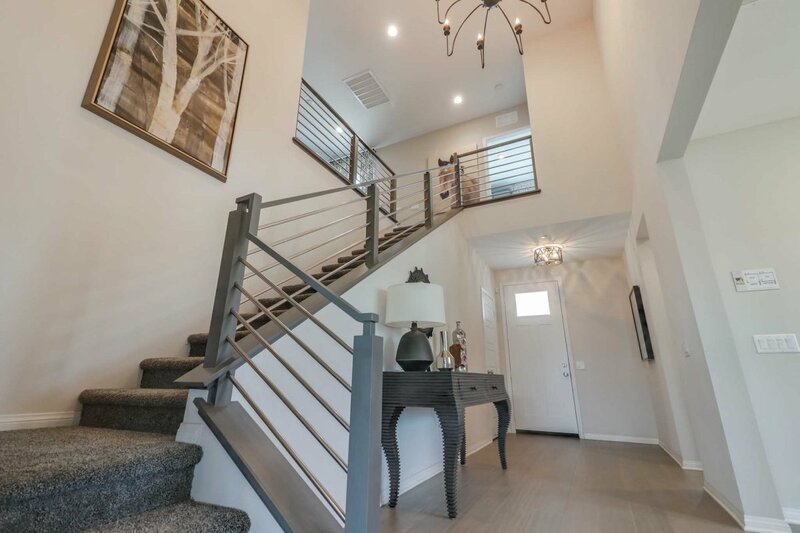 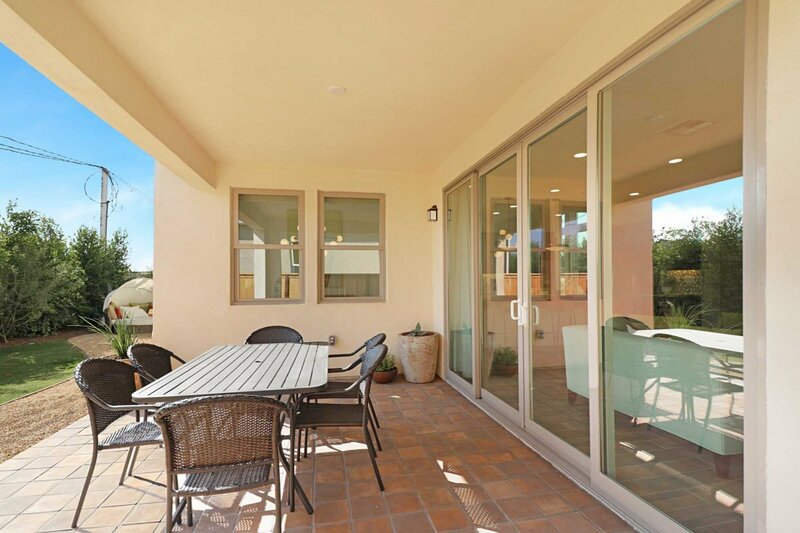 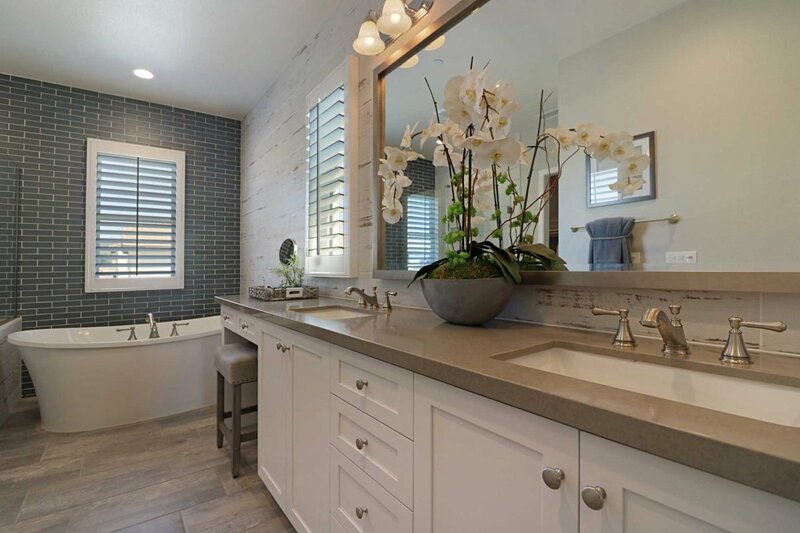 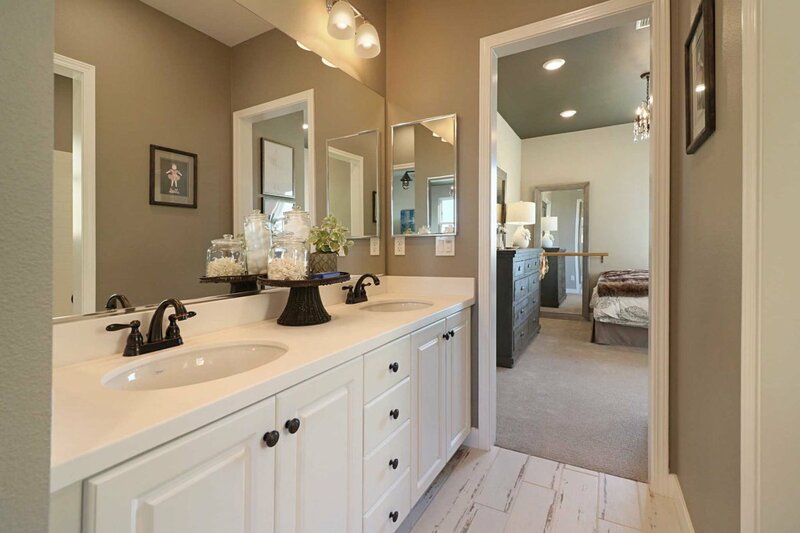 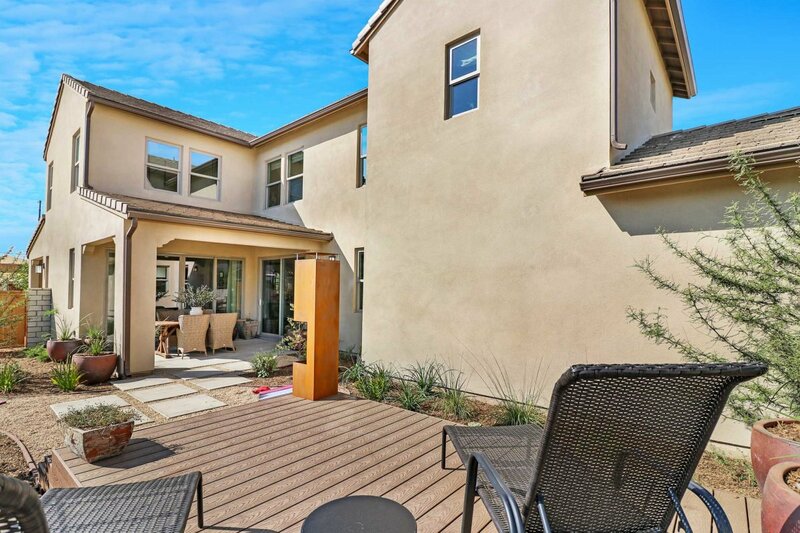 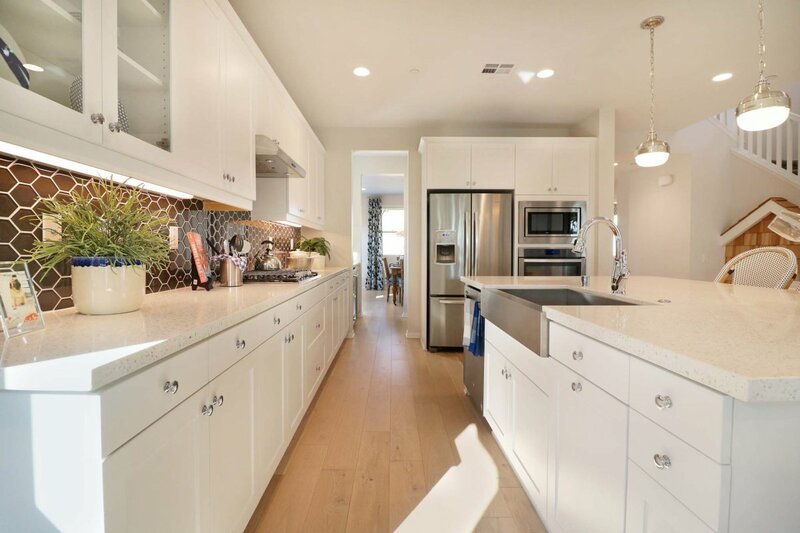 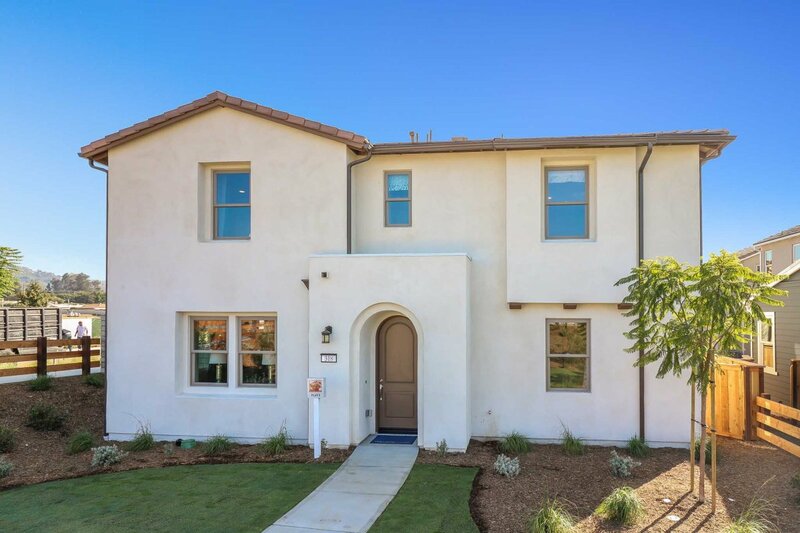 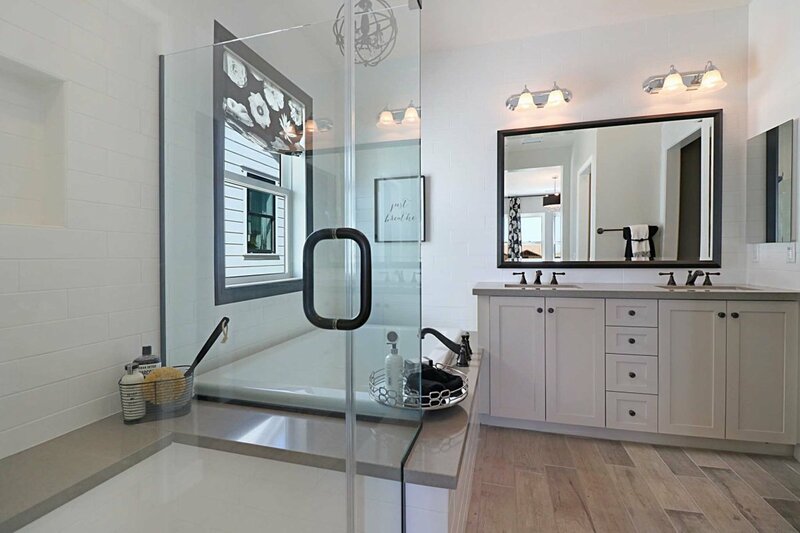 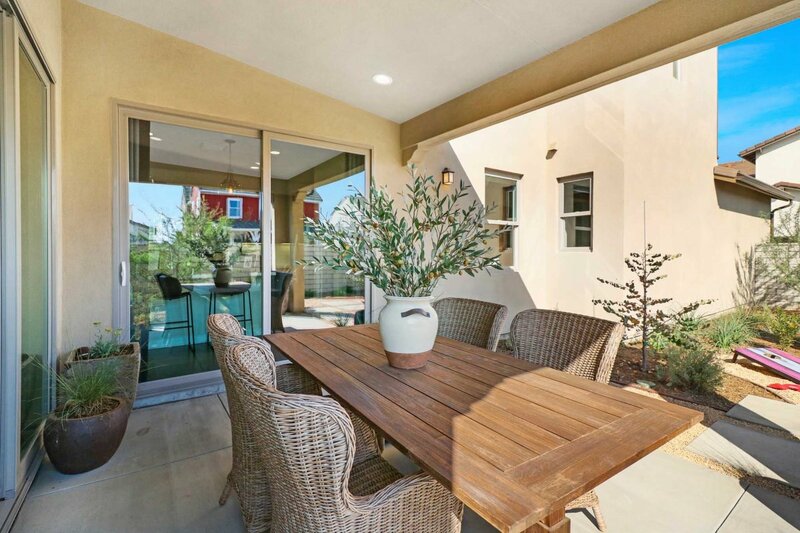 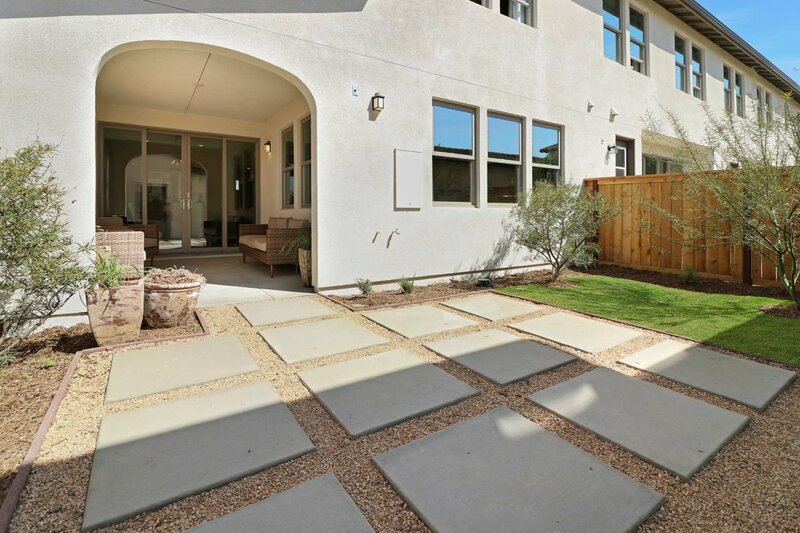 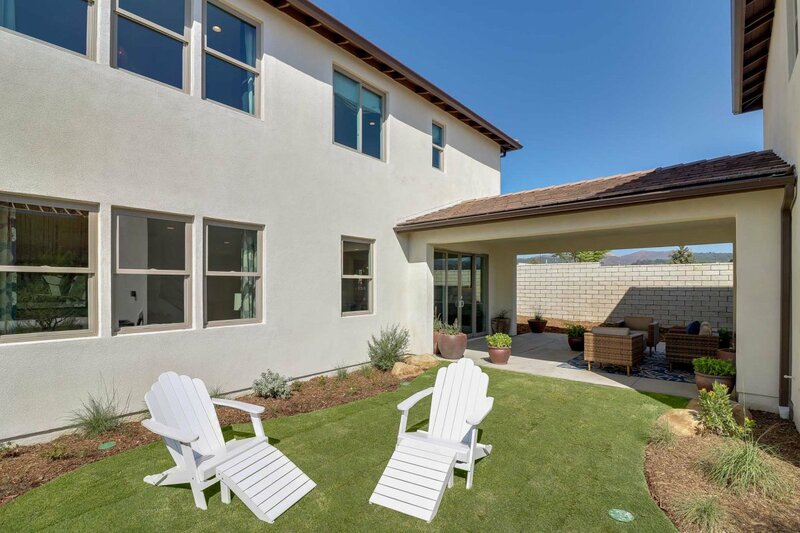 Residence Two at Sespe is 2,973 approximate square feet with 4 bedrooms and 4 bathrooms. 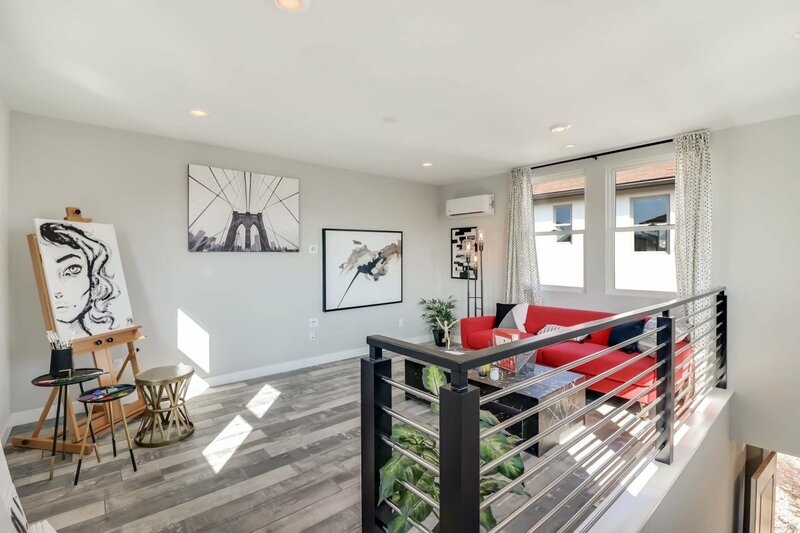 Featured is a studio apartment above the detached two-car garage, first floor bedroom and full bathroom, large kitchen island open to the family room, flex room, optional loft in lieu of bedroom 3, and a secondary bedroom and master retreat on the second floor. 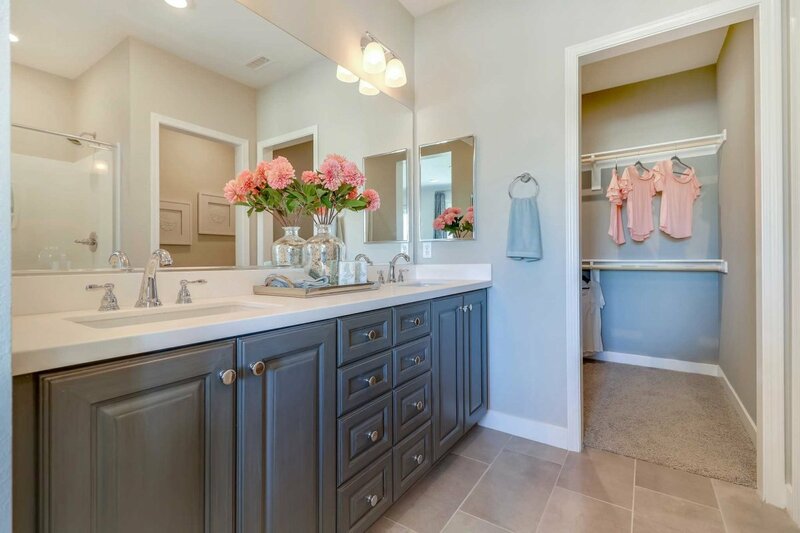 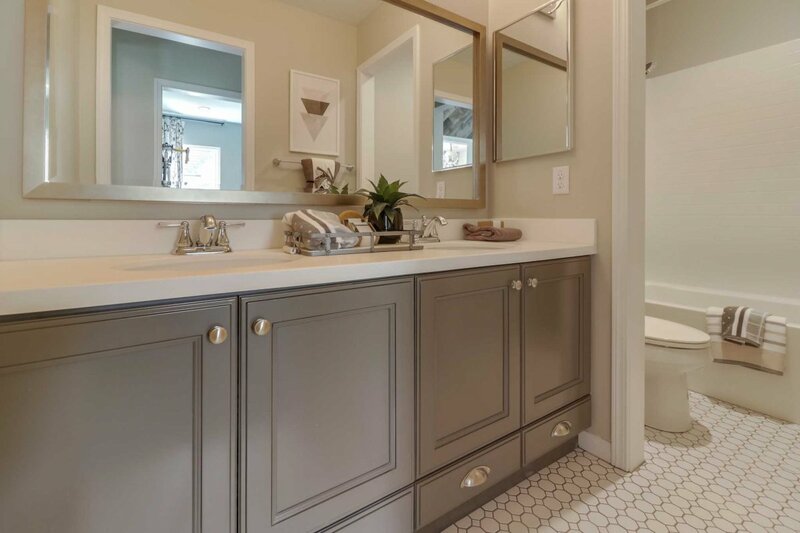 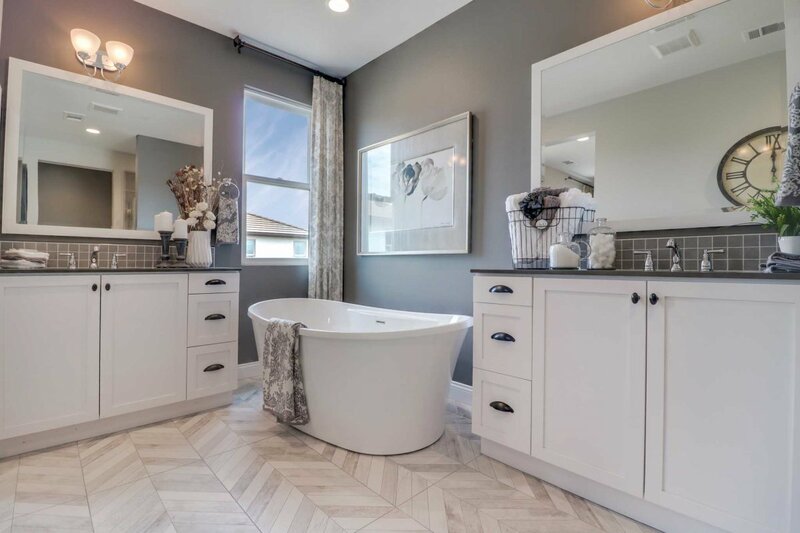 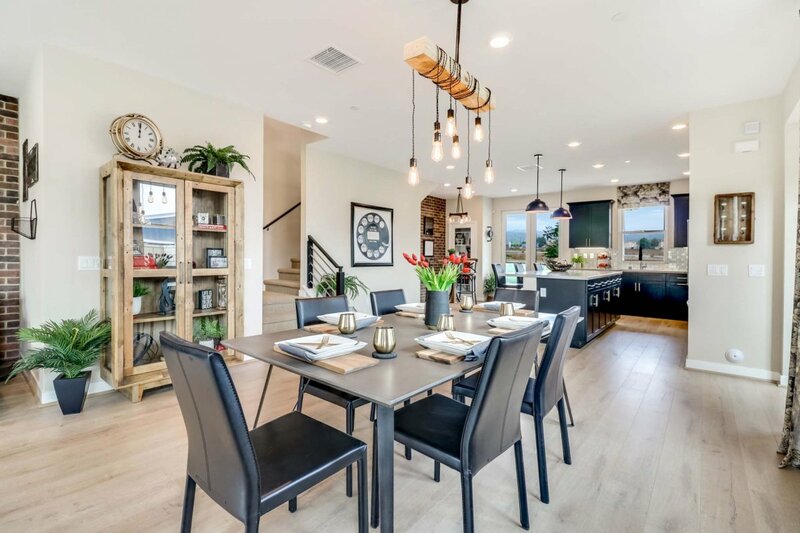 The inviting Topa Topa collection features 36 single-family homes, beautifully designed to meet the needs of today’s families. 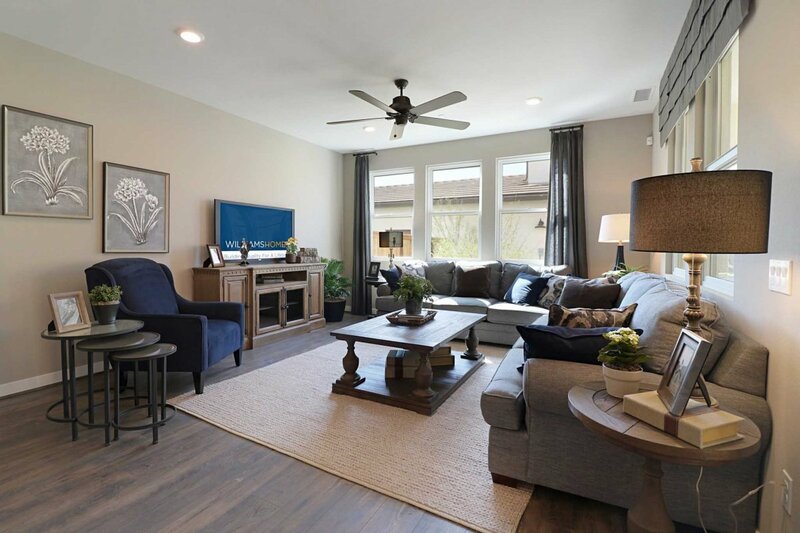 Choose from three stunning floorplans that showcase traditional front porch architecture and modern, open interior designs that blend comfort and style with seamless precision. 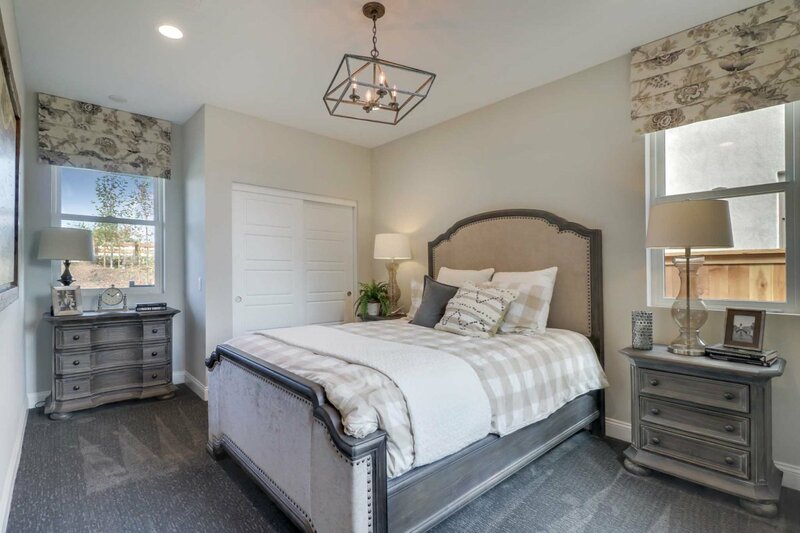 Visit soon to experience this intimate residential collection and give your family the home of their dreams at The Farm. 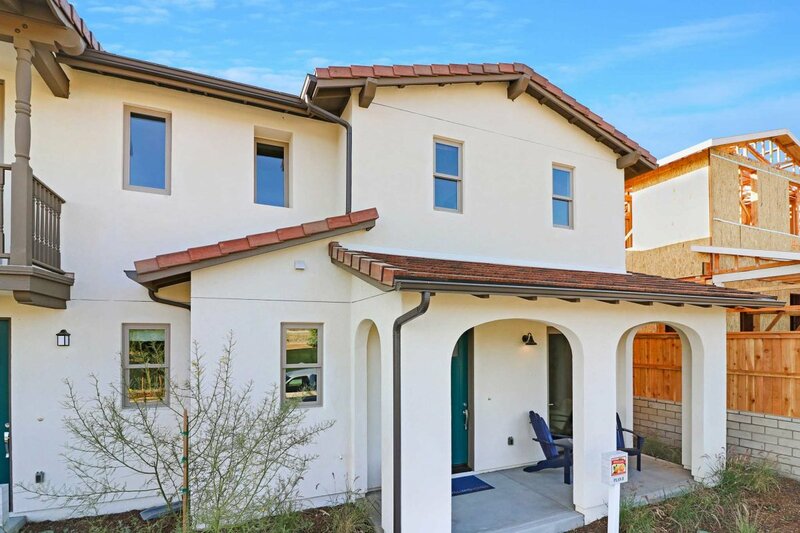 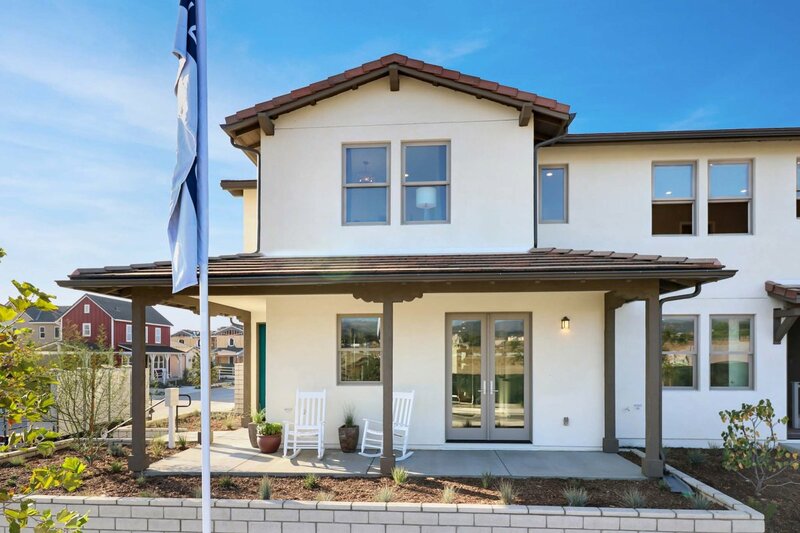 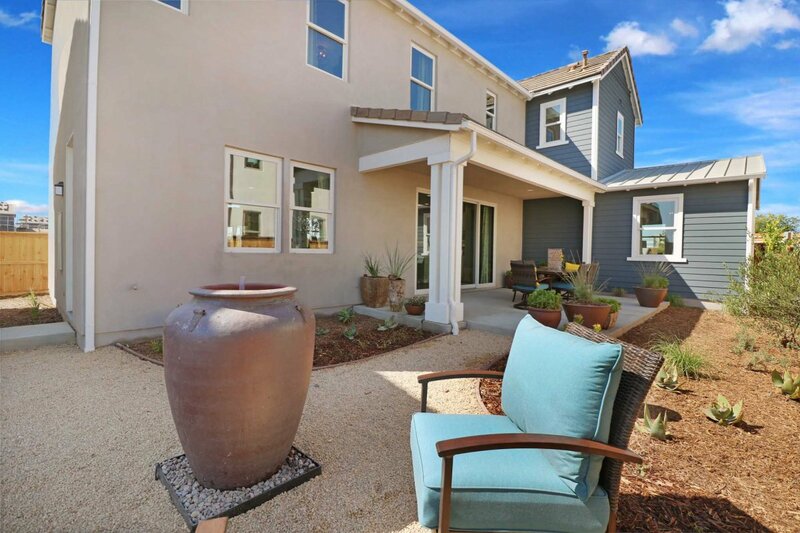 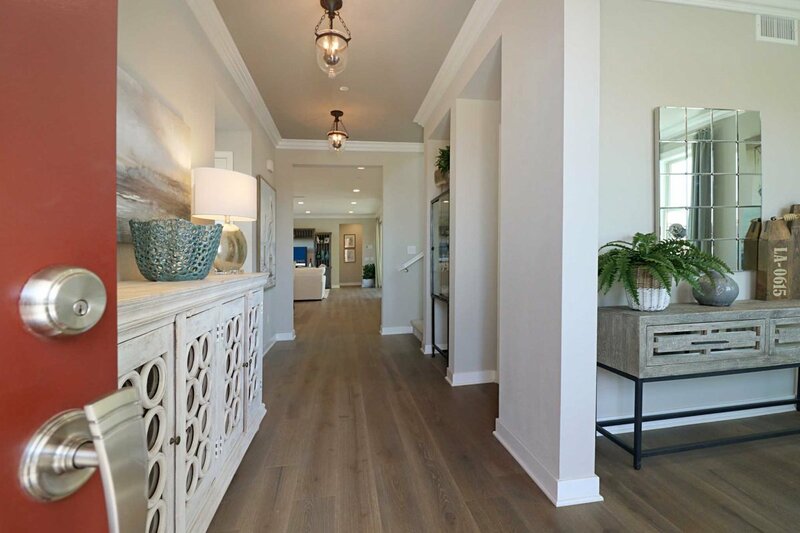 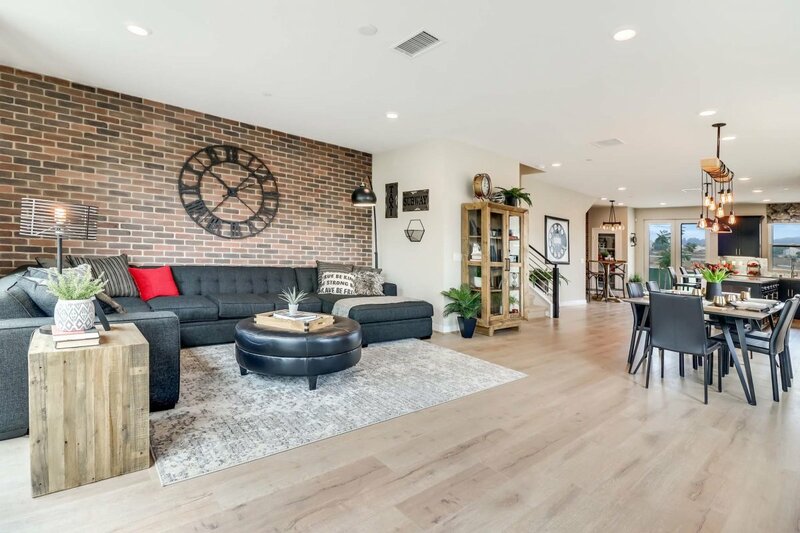 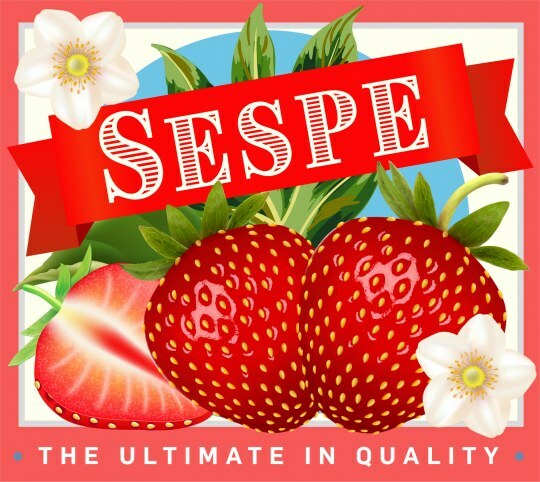 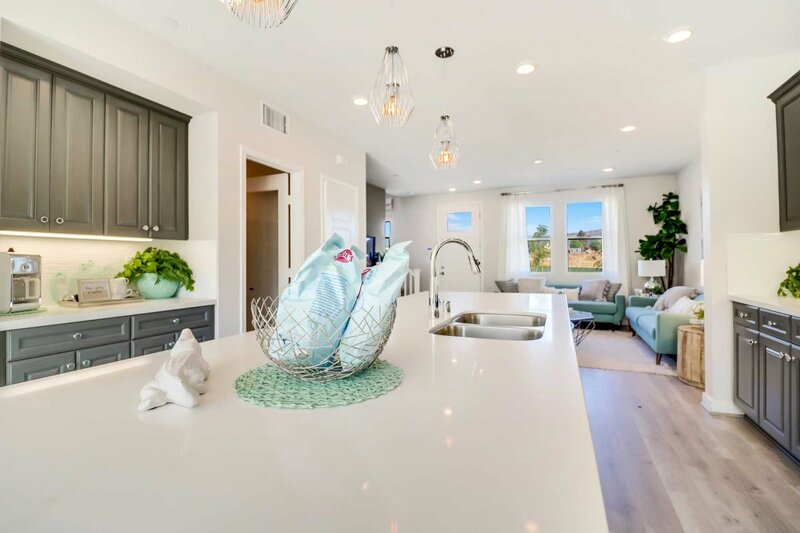 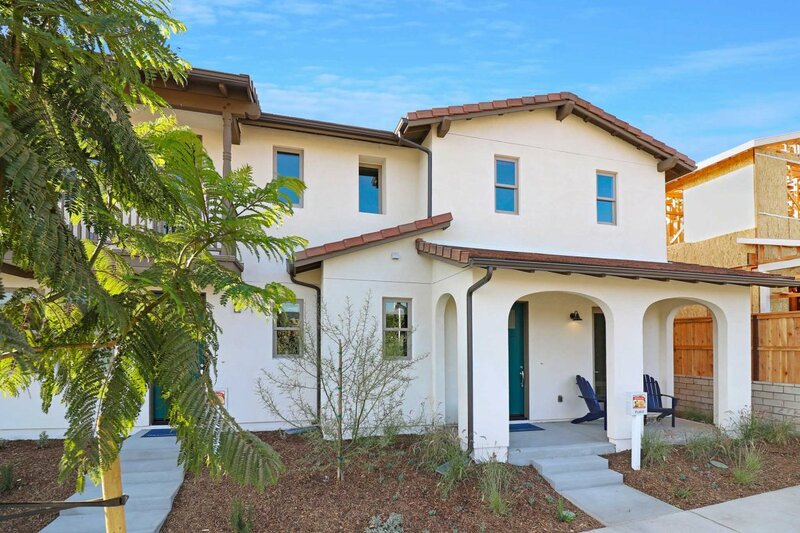 Sespe, with its impressive traditional architecture, is destined to be one of Ventura’s most prestigious new-home neighborhoods. 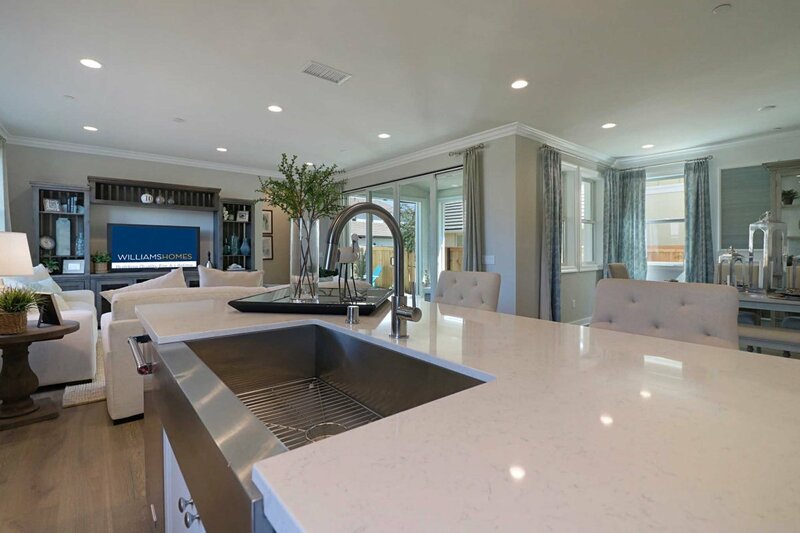 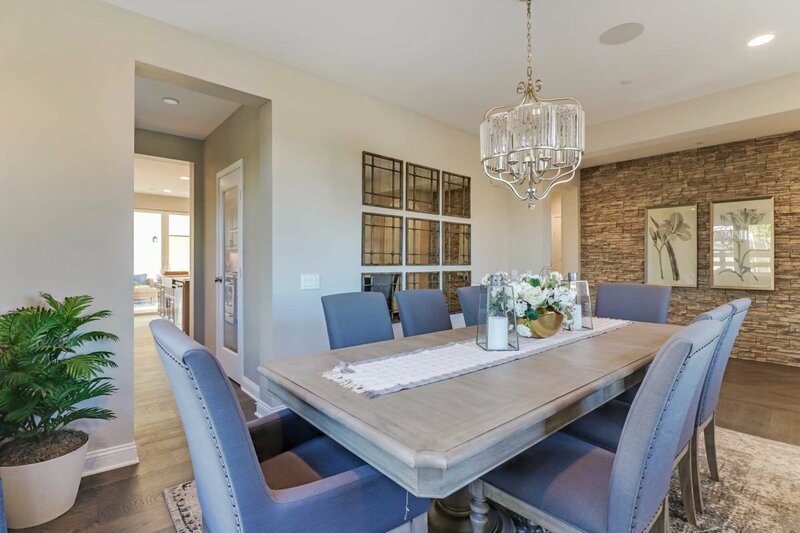 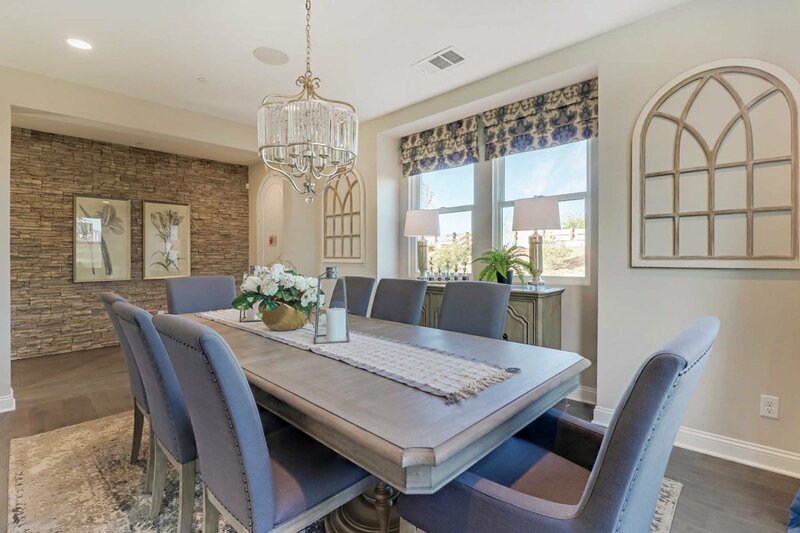 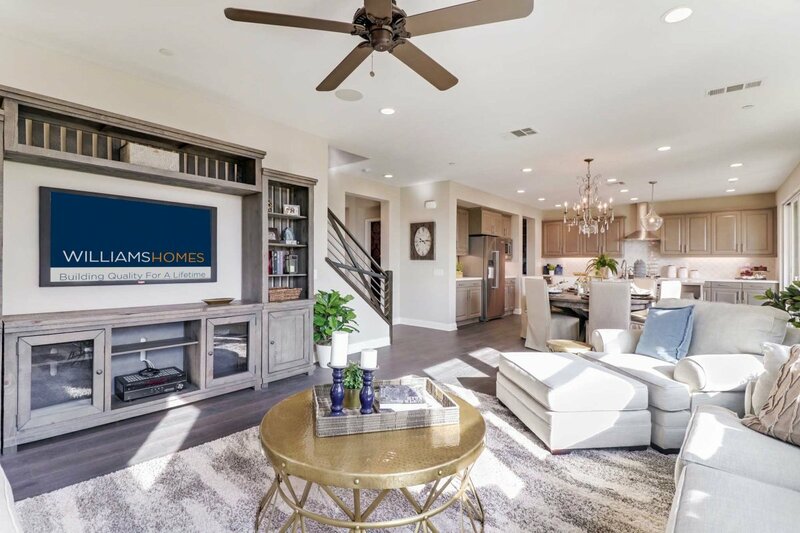 These spacious executive homes offer dramatic open-concept living spaces spanning from 2,787 to 3,343 square feet with up to six bedrooms and four and one-half baths. 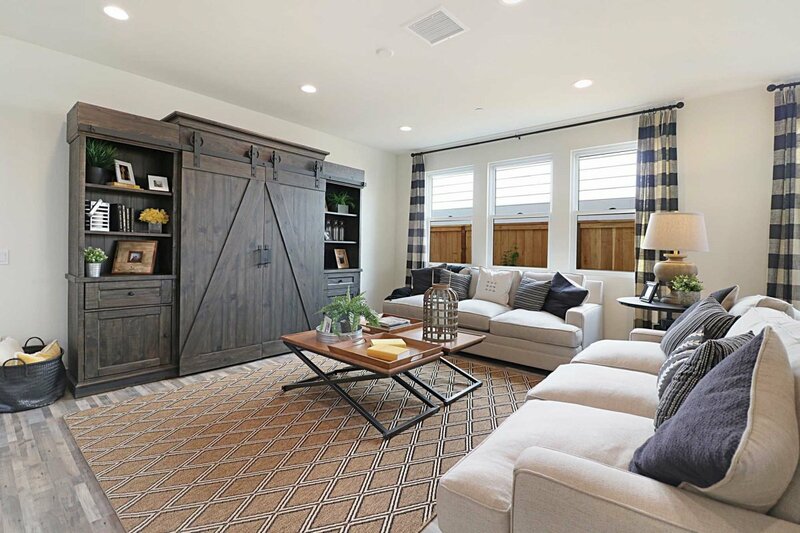 Adding to the appeal are unique design elements not often found in new-home communities, such as the studio or one-bedroom carriage house over the garage in Plans 2 and 3 — innovative spaces that are ideal for in-laws, students or visiting guests. 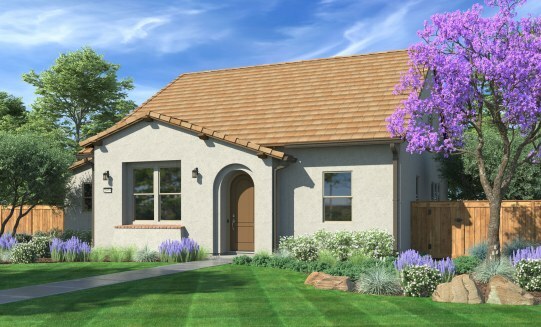 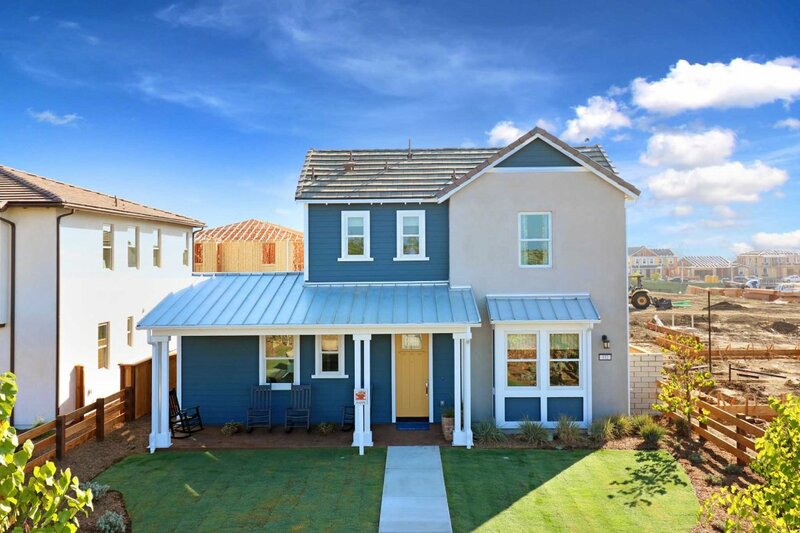 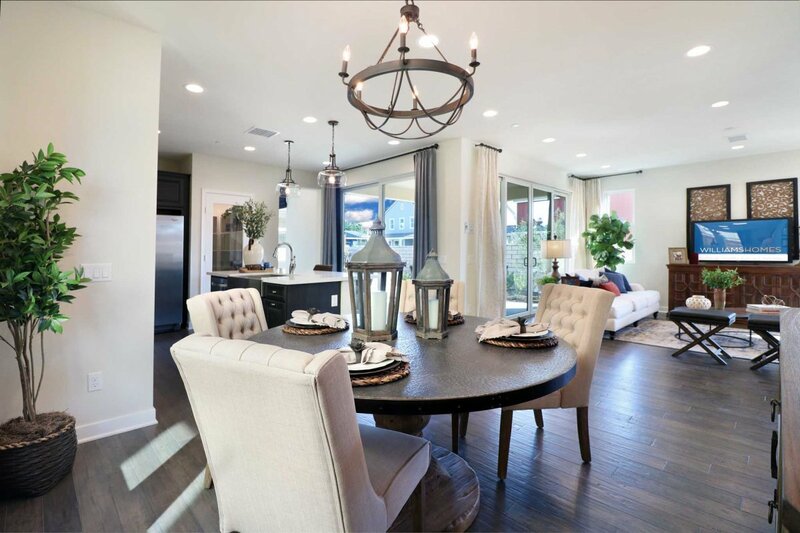 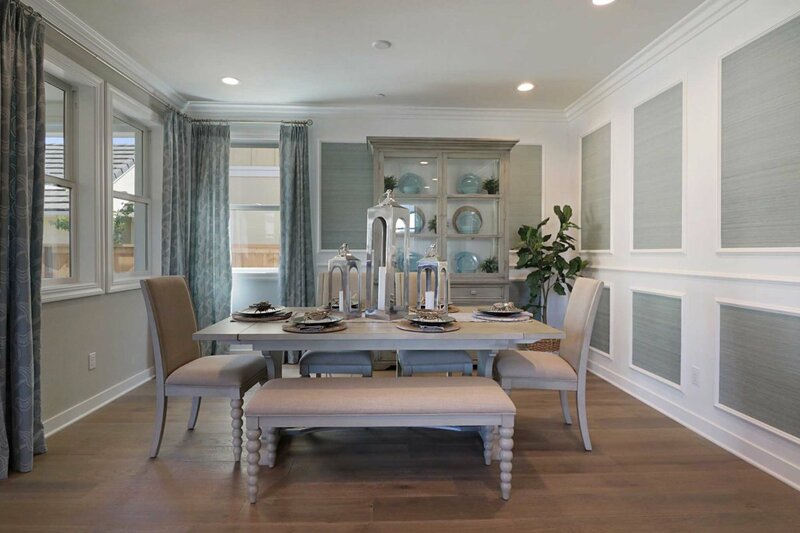 Designed with family living in mind, this distinctive new Ventura home collection is certain to surprise and delight. 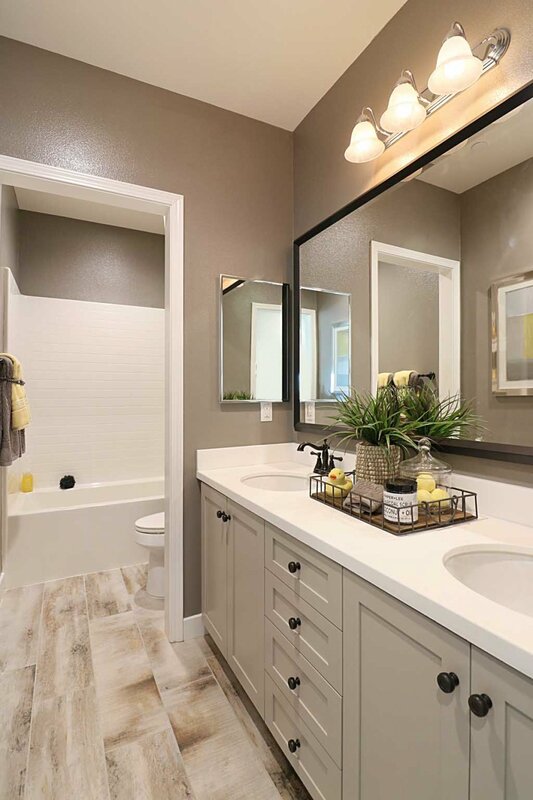 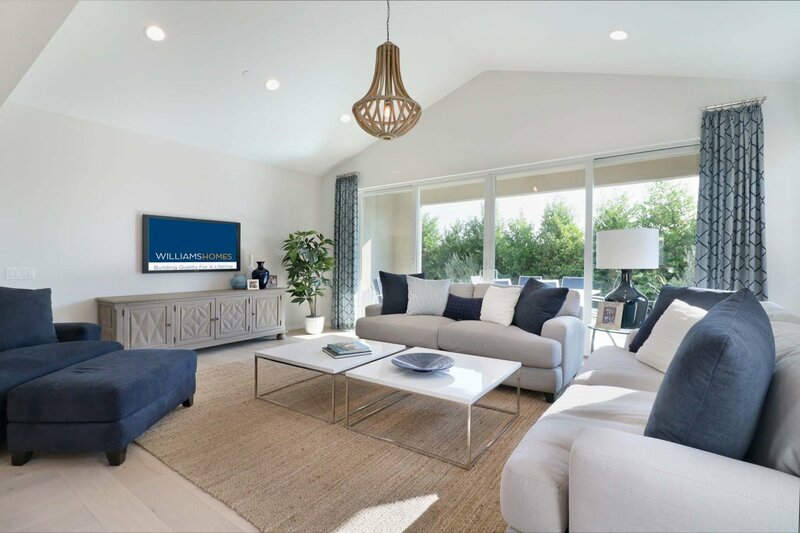 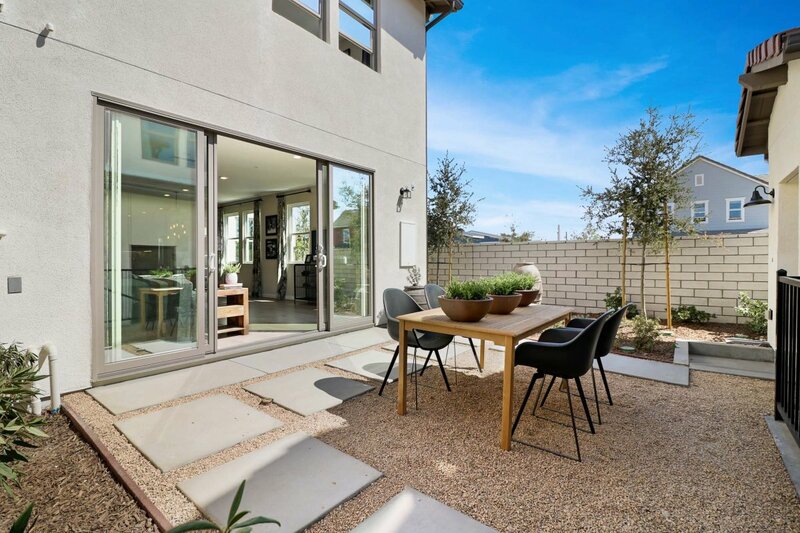 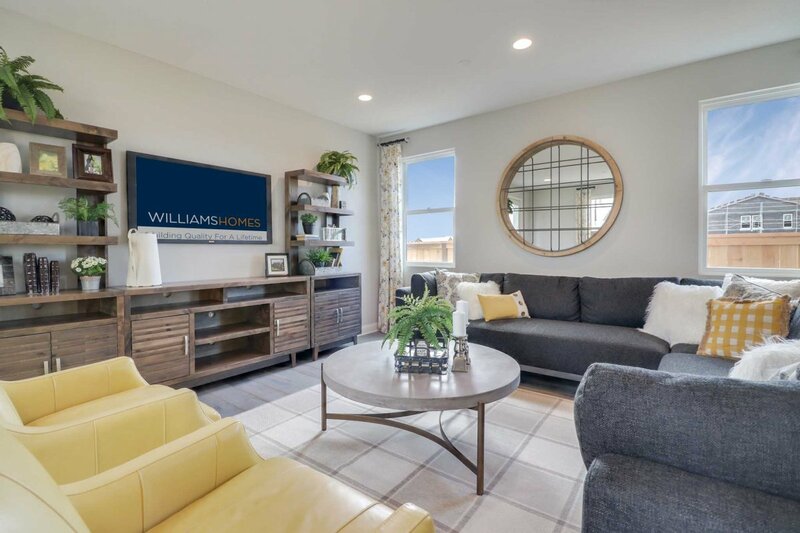 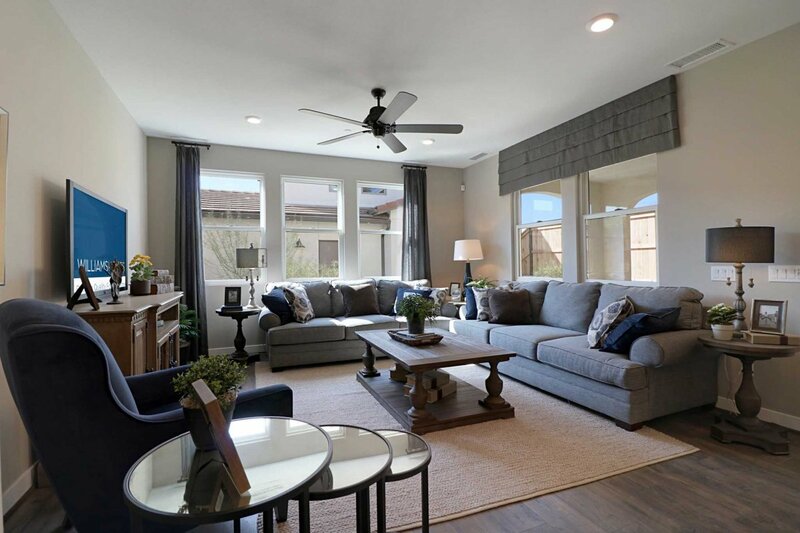 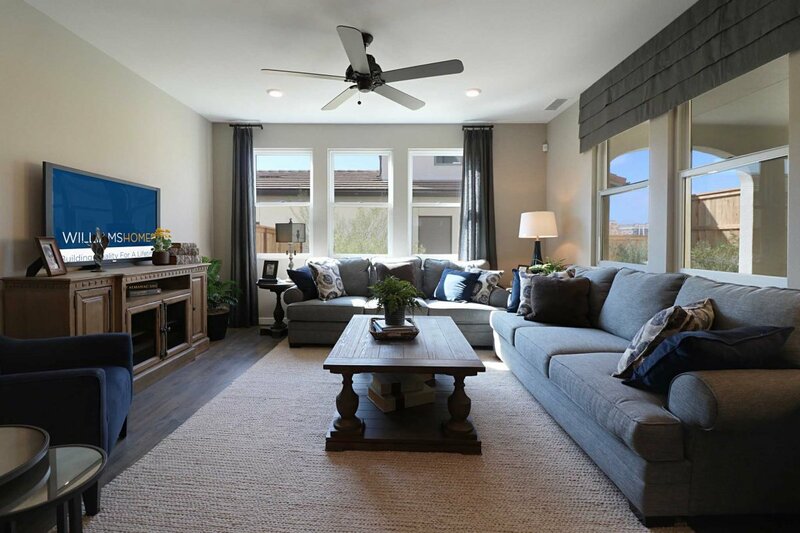 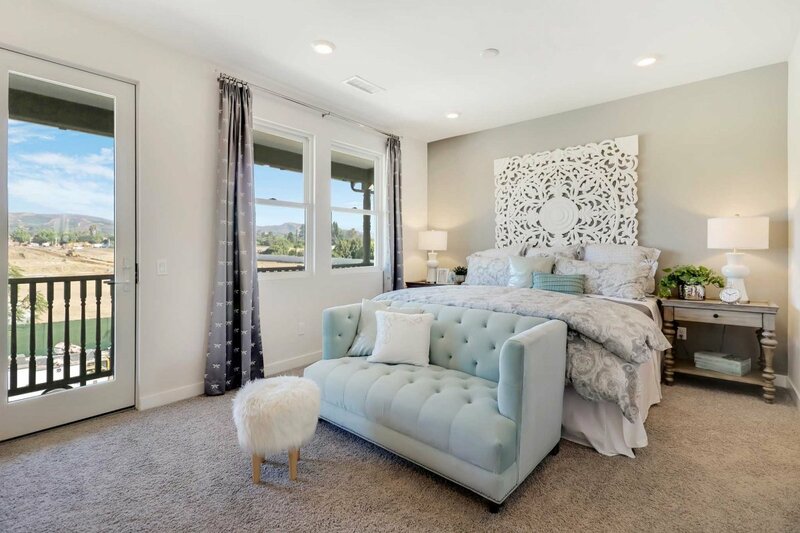 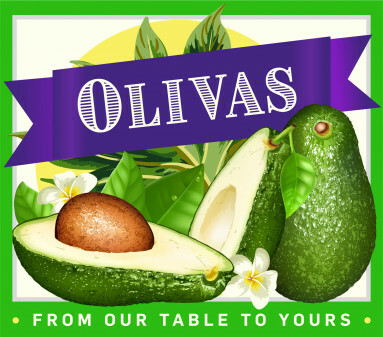 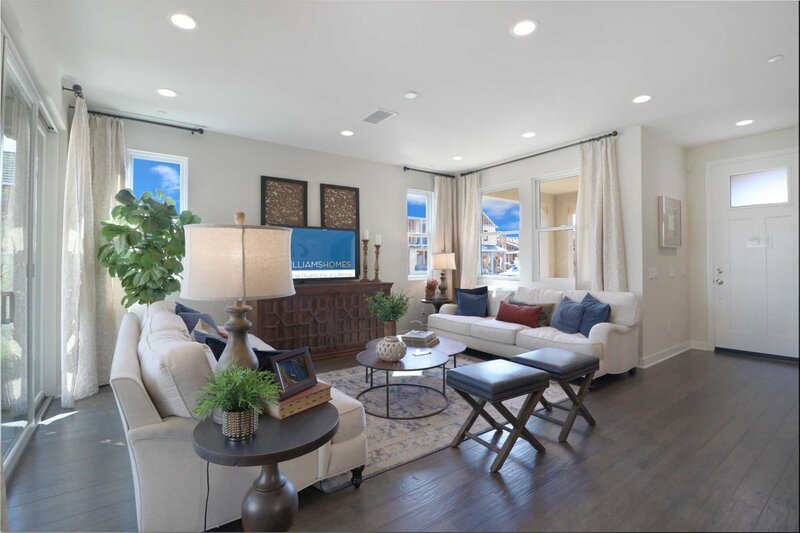 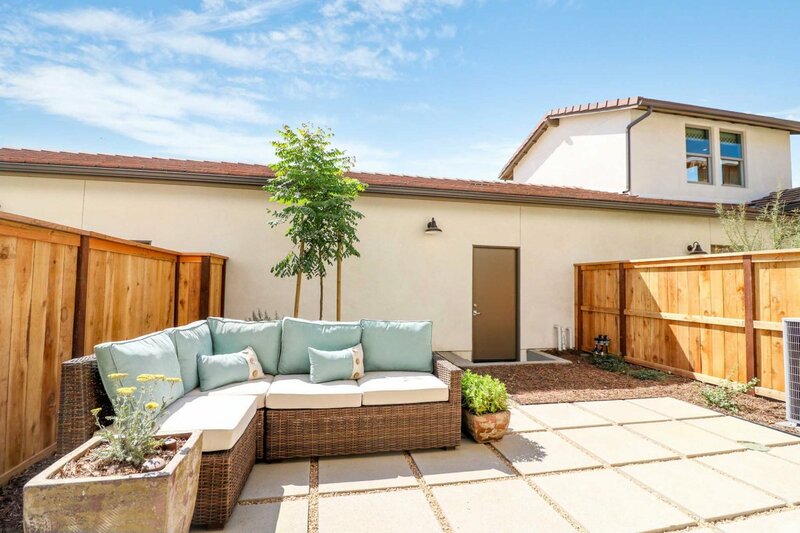 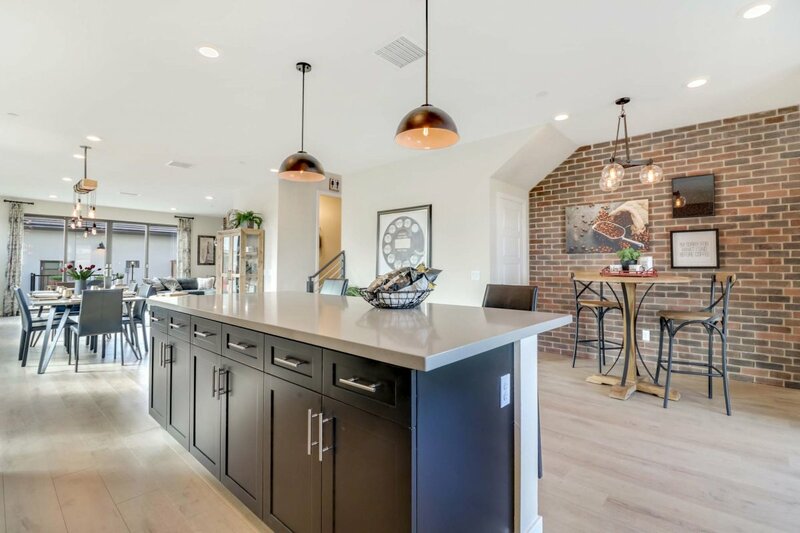 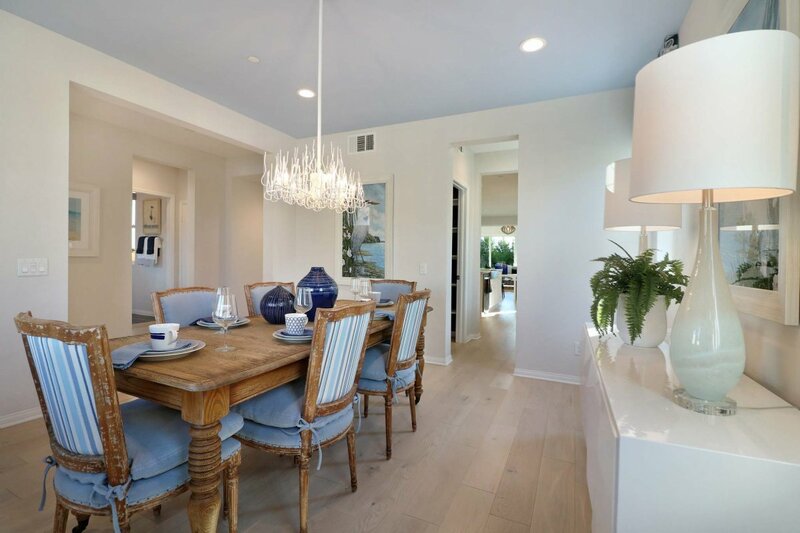 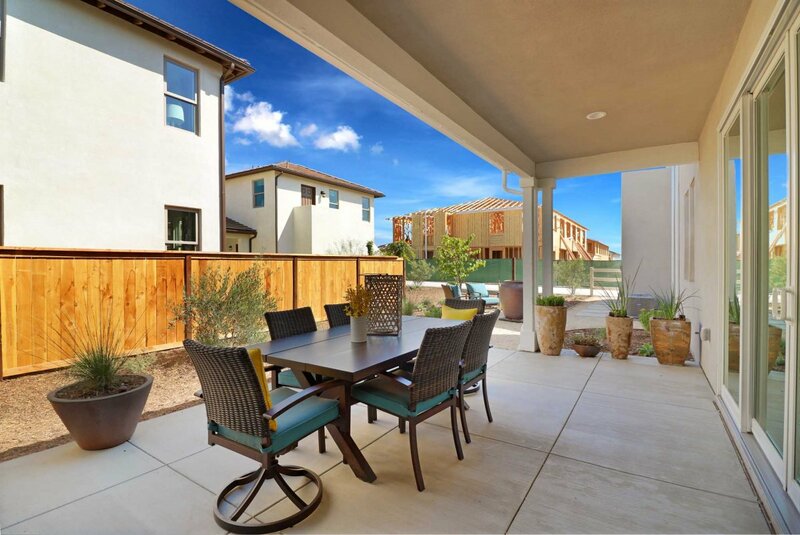 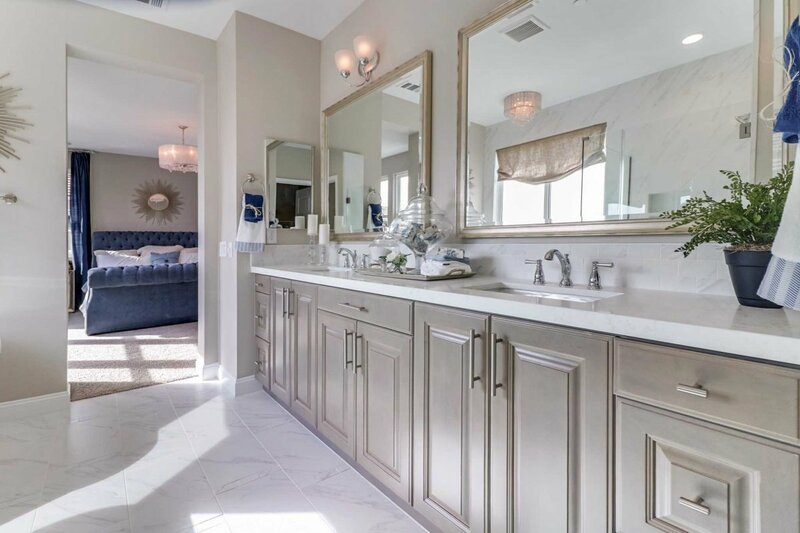 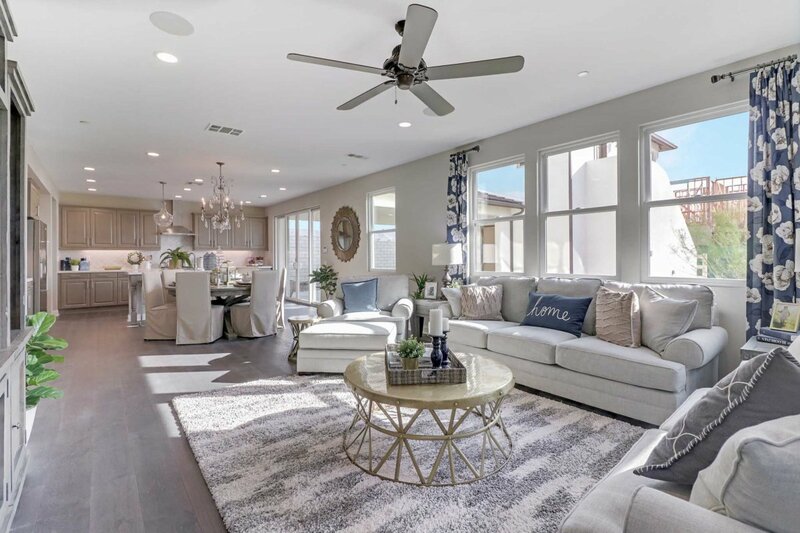 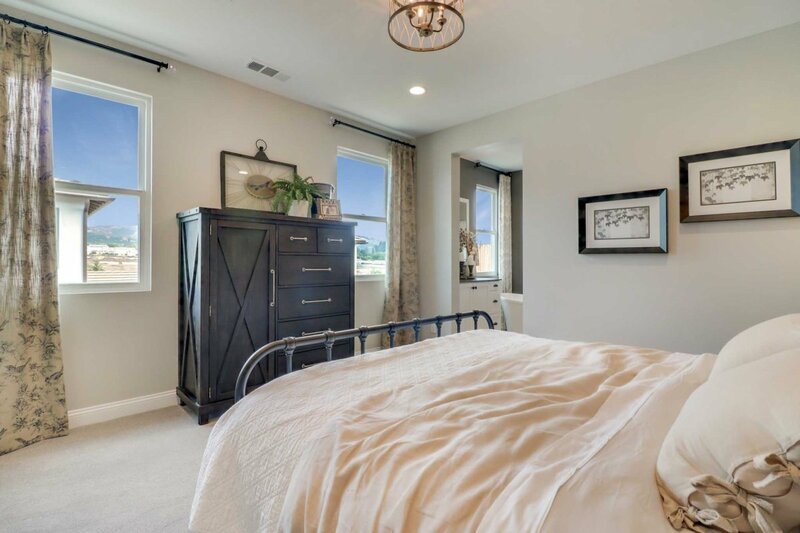 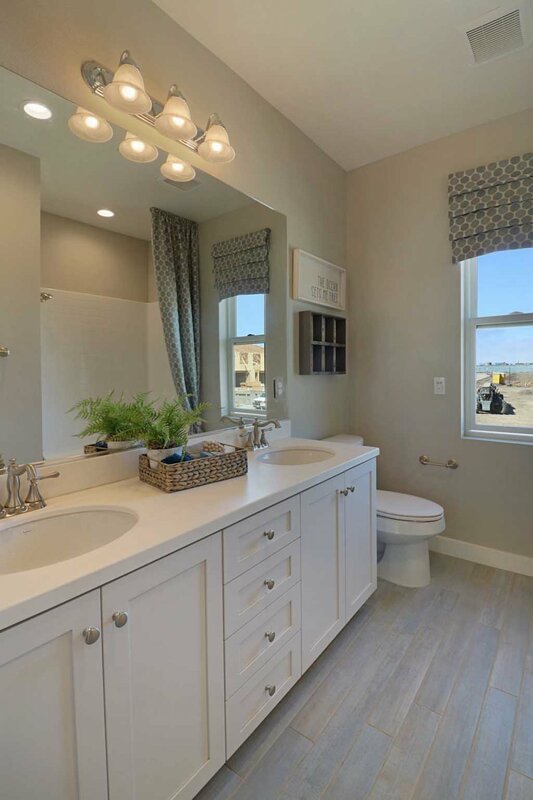 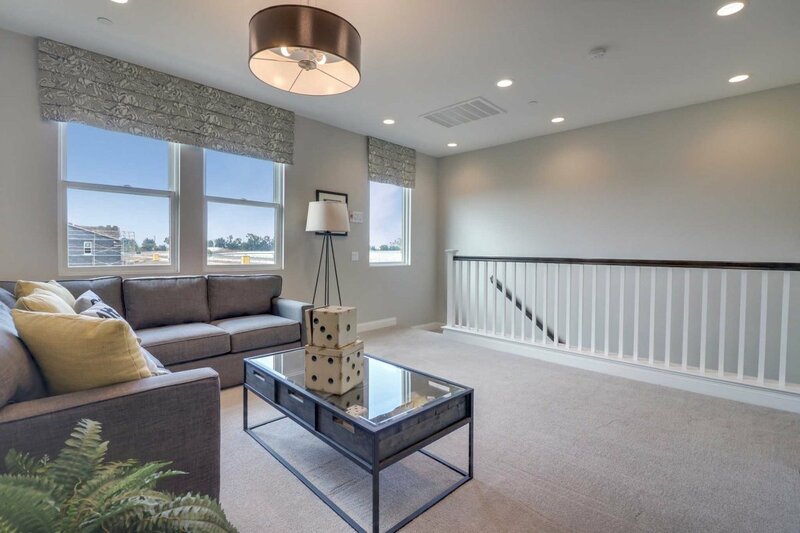 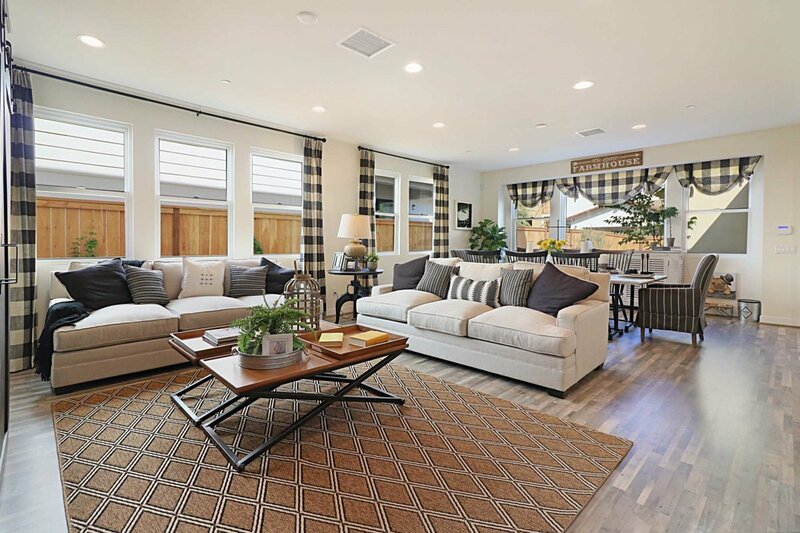 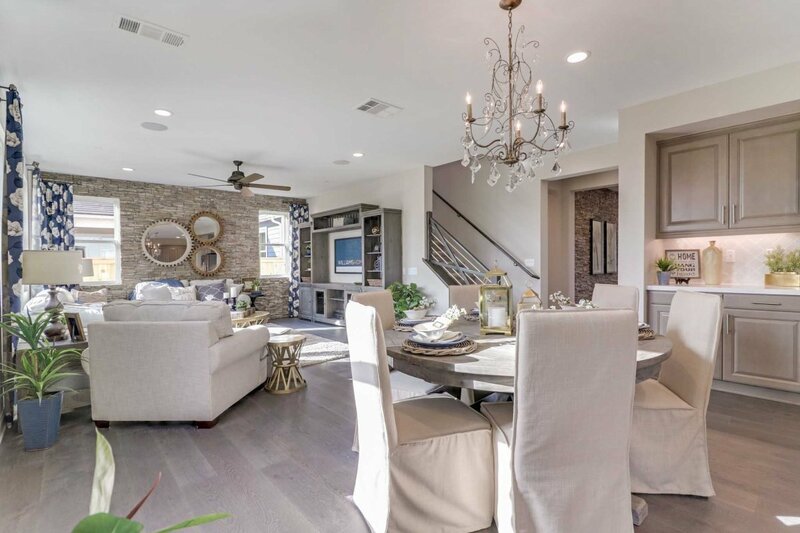 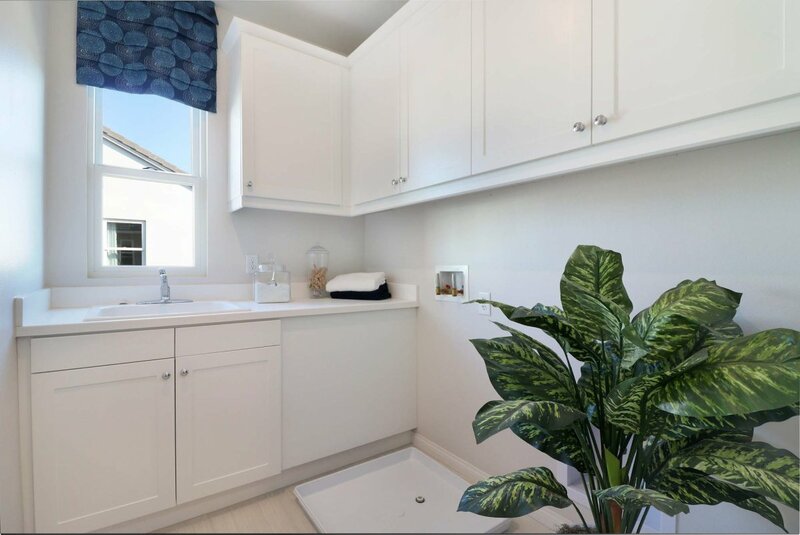 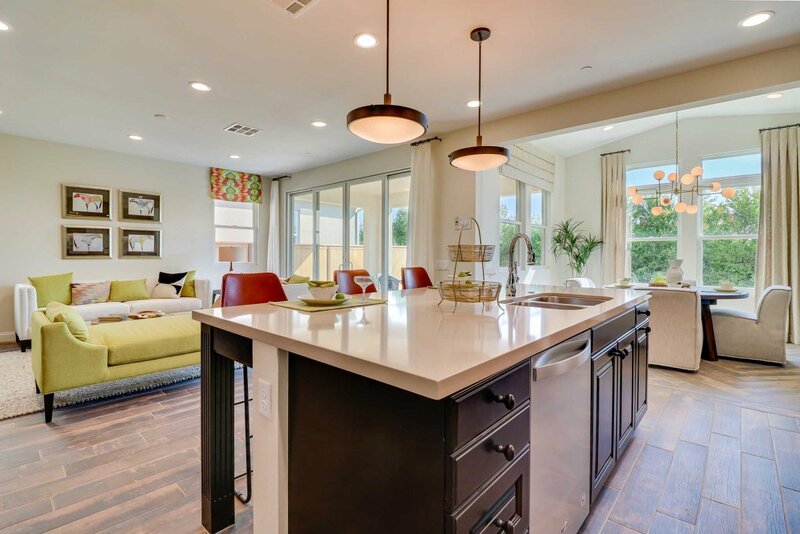 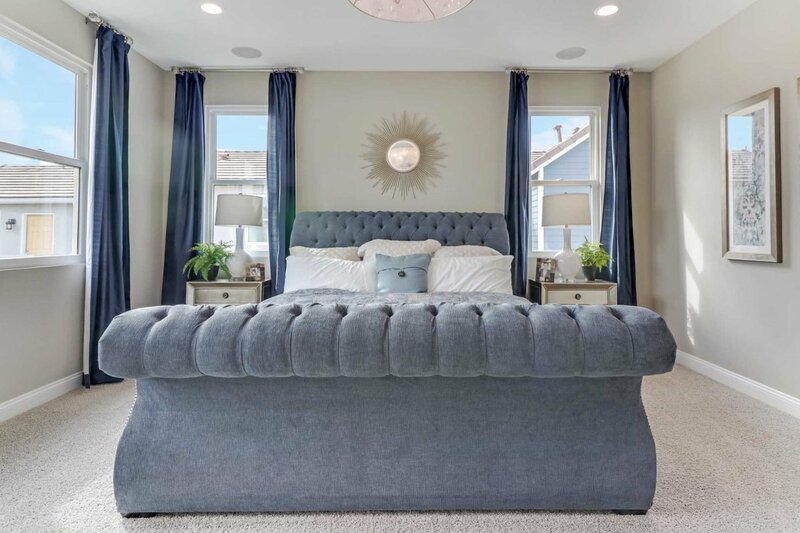 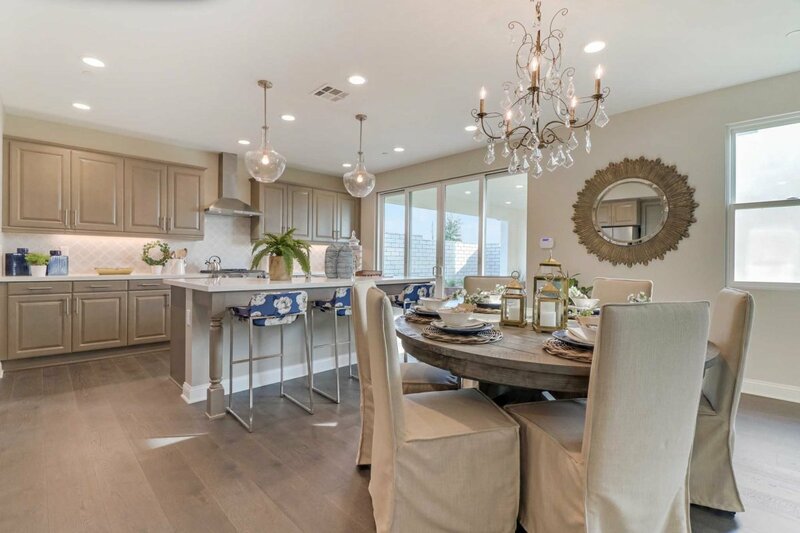 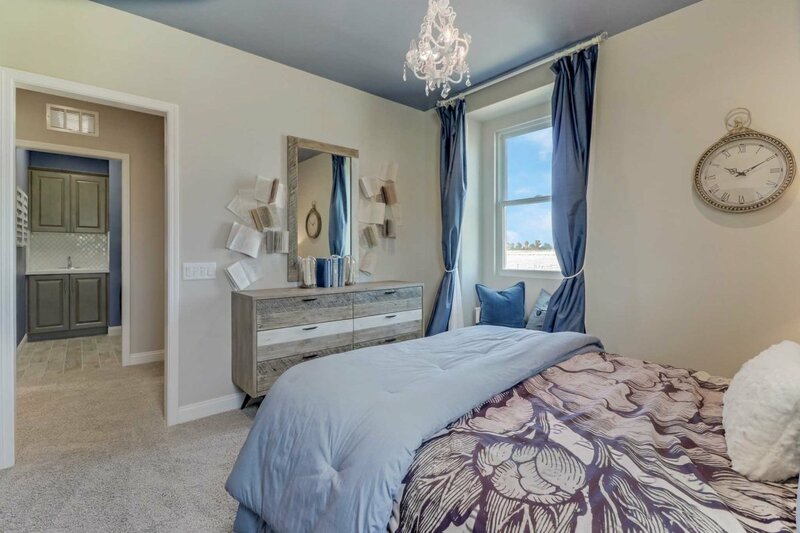 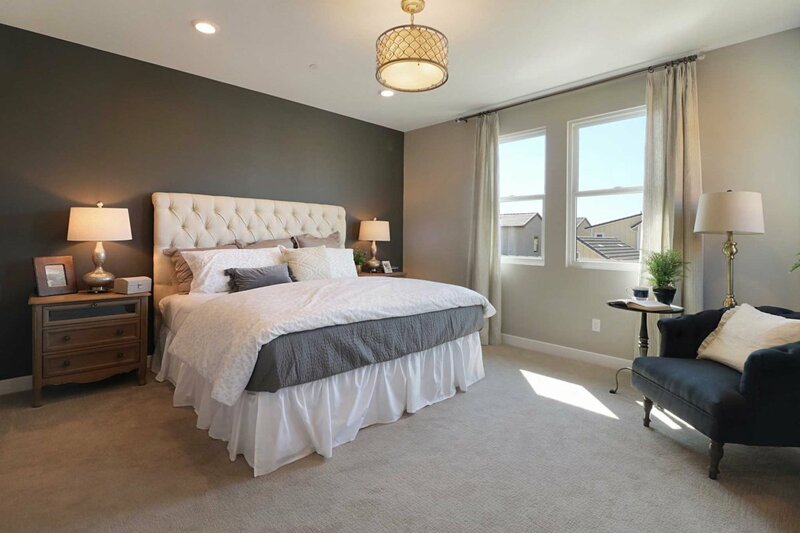 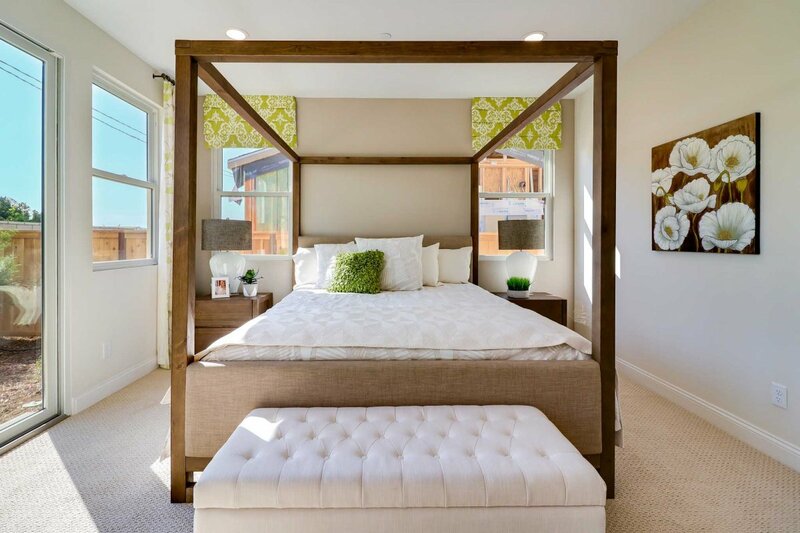 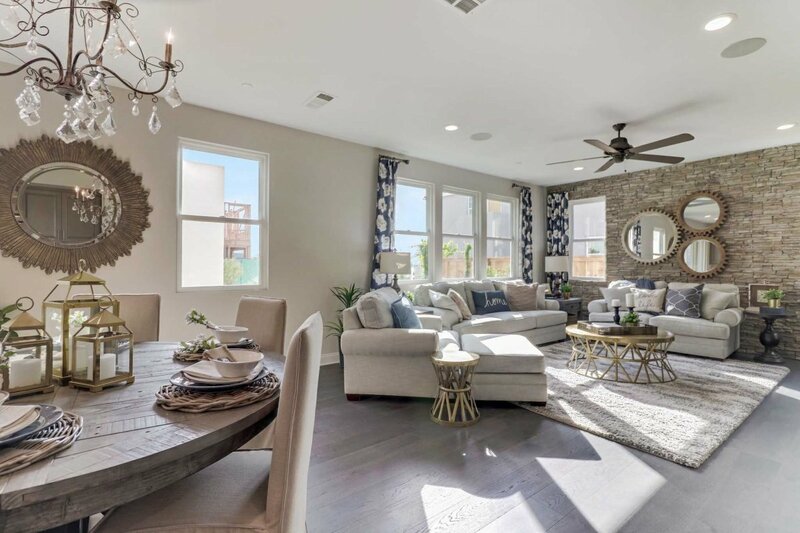 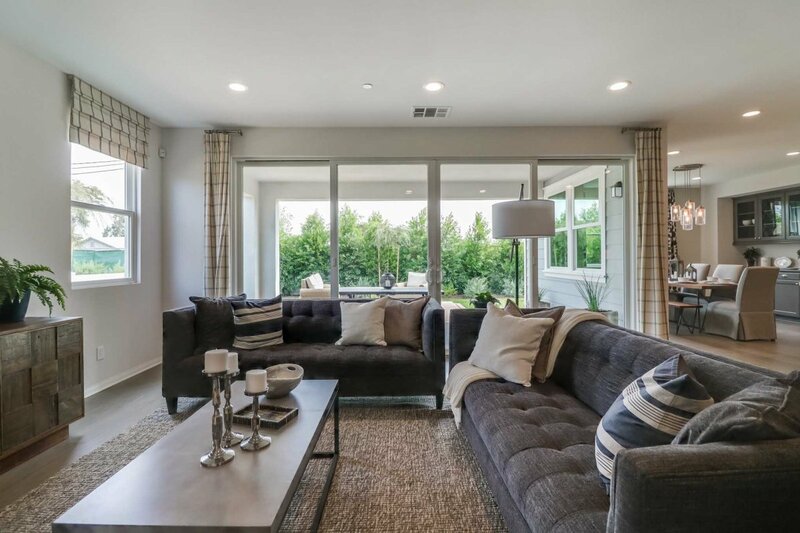 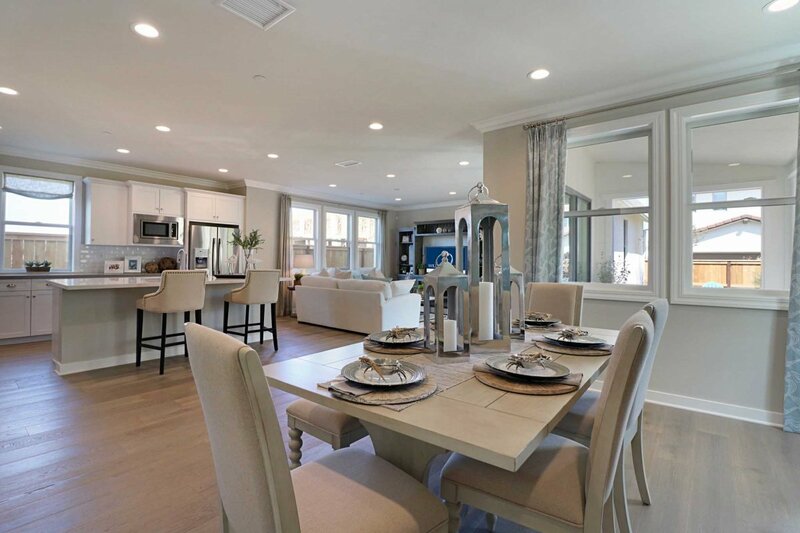 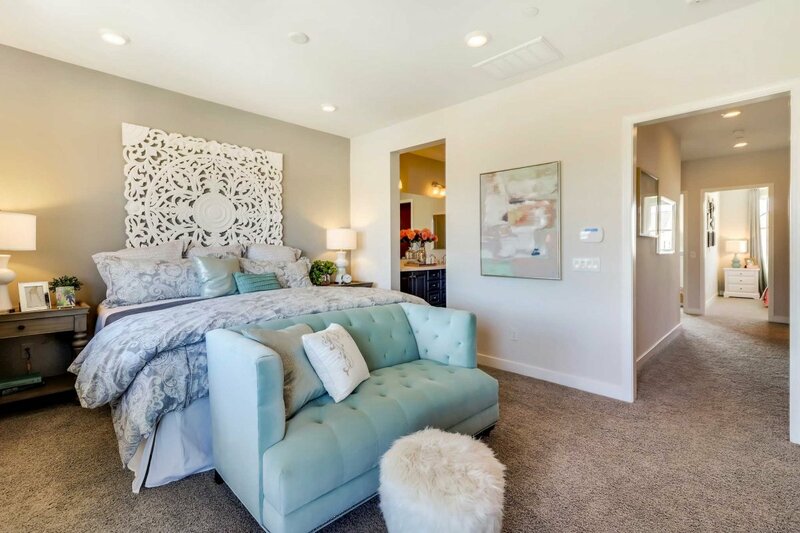 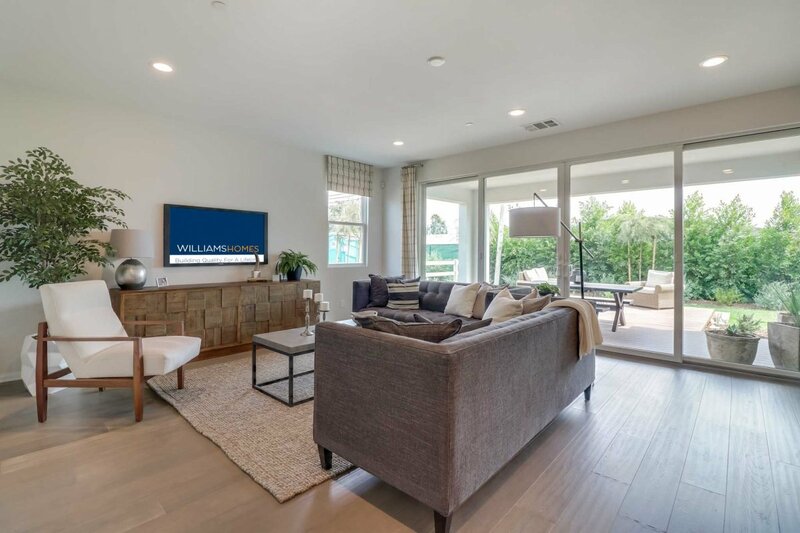 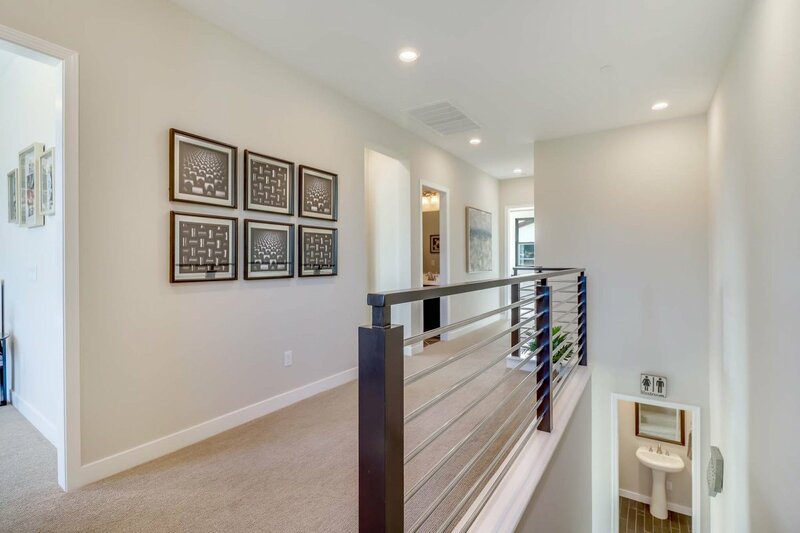 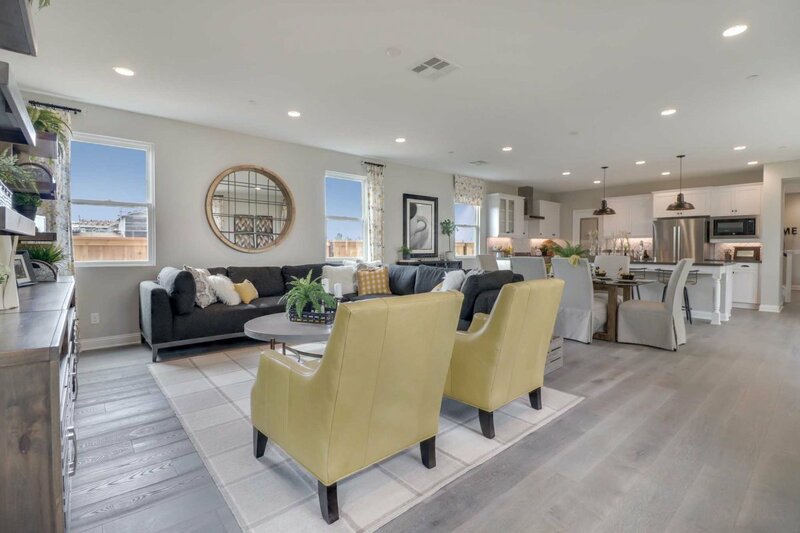 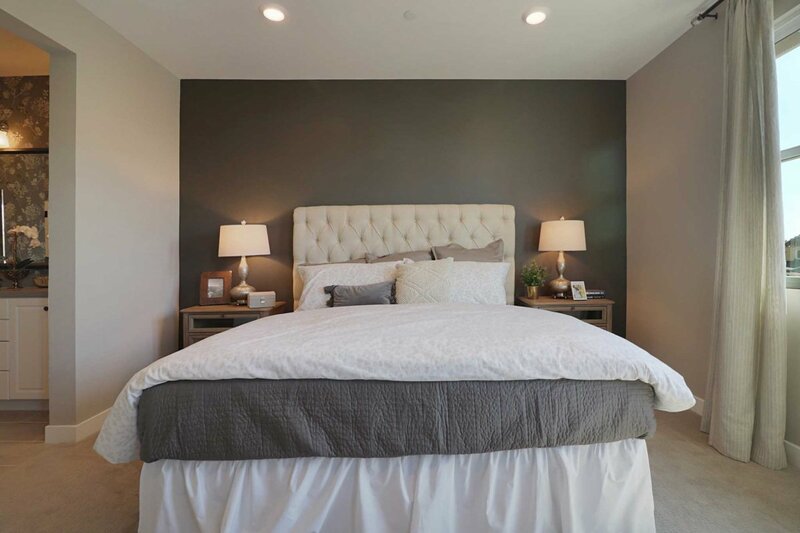 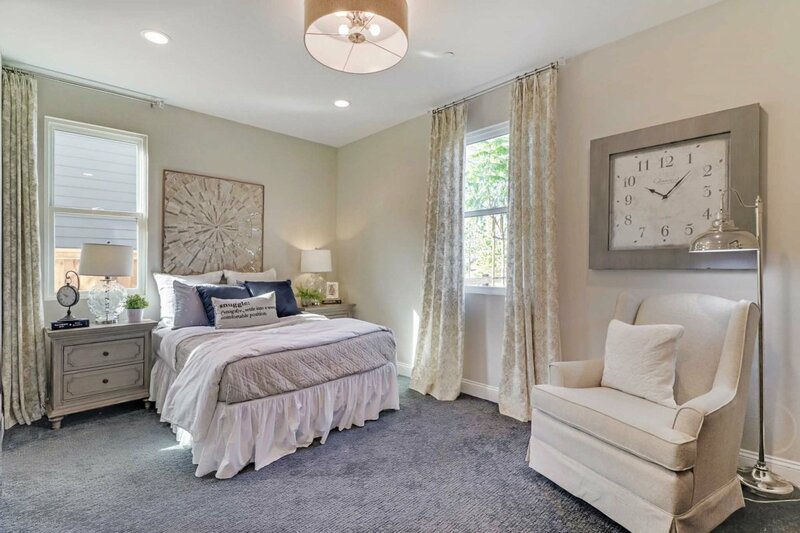 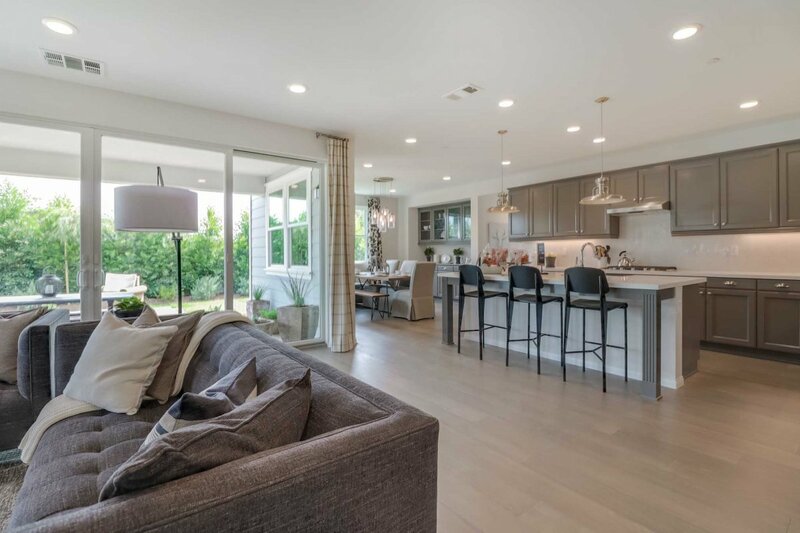 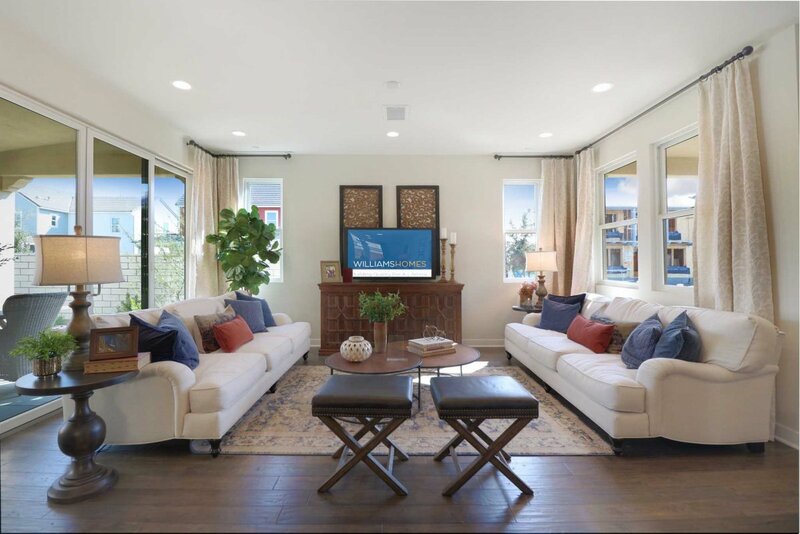 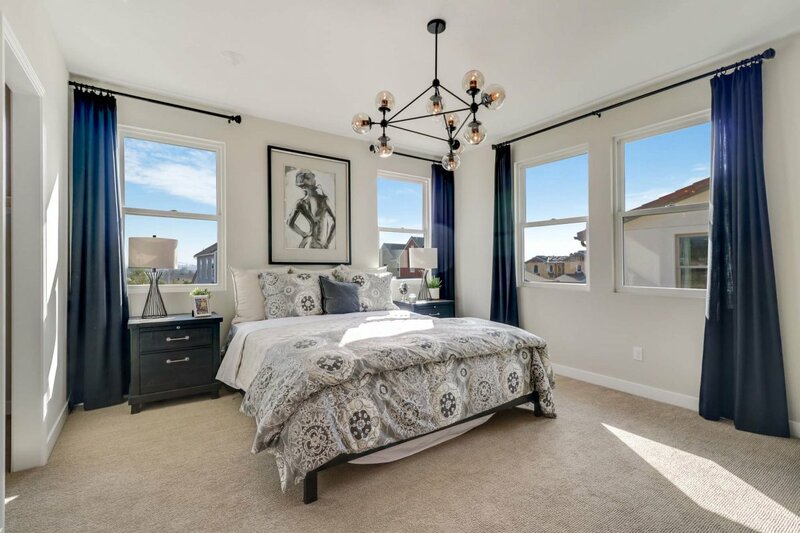 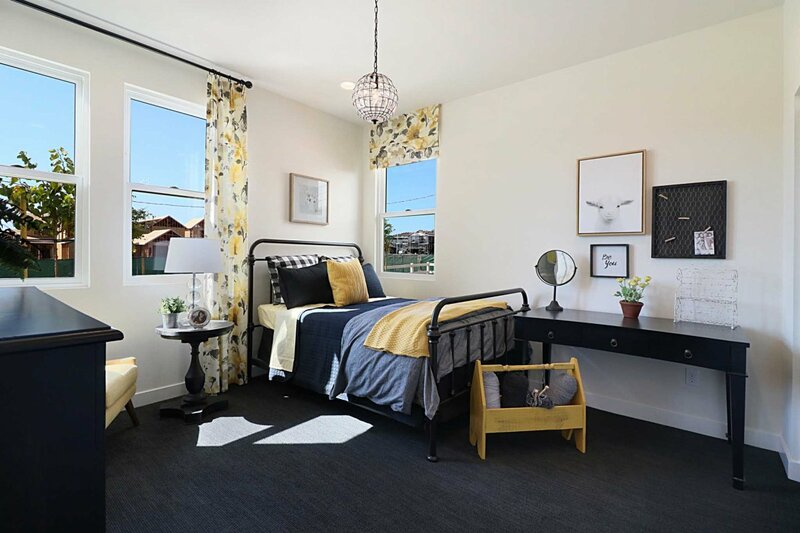 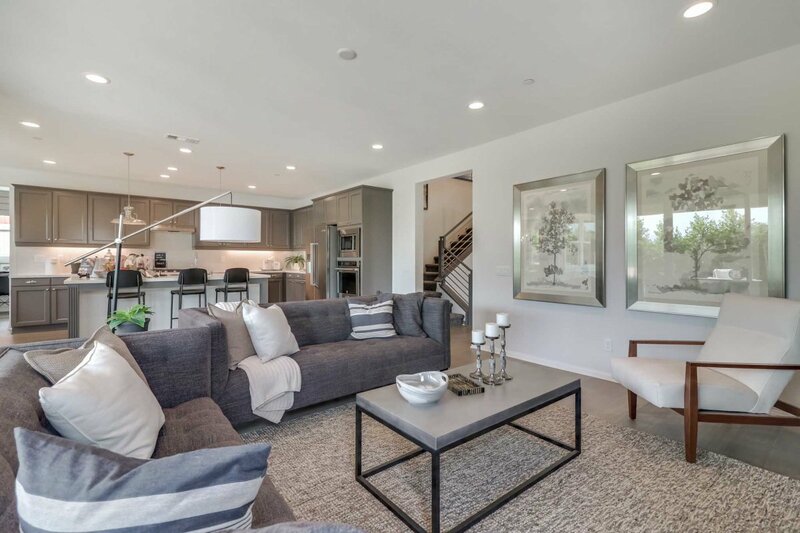 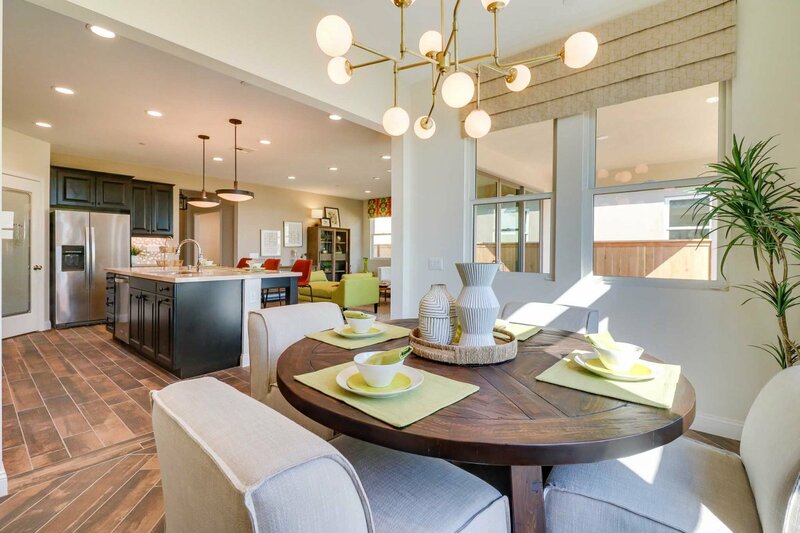 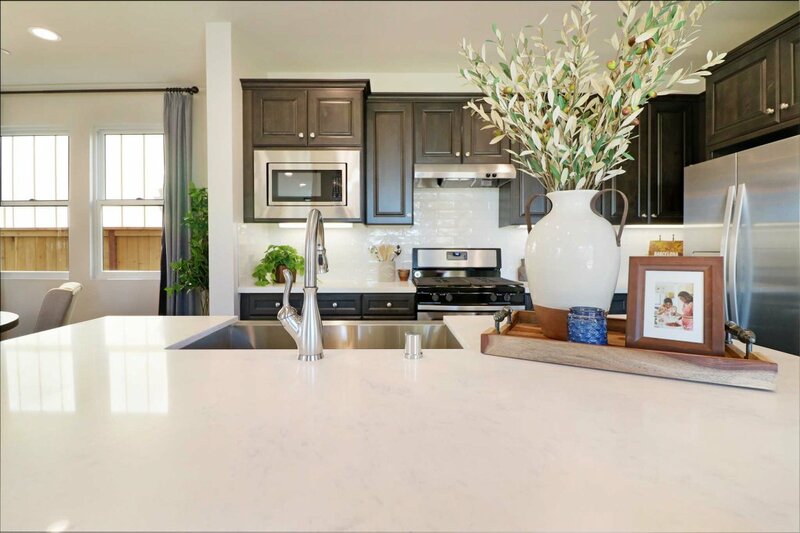 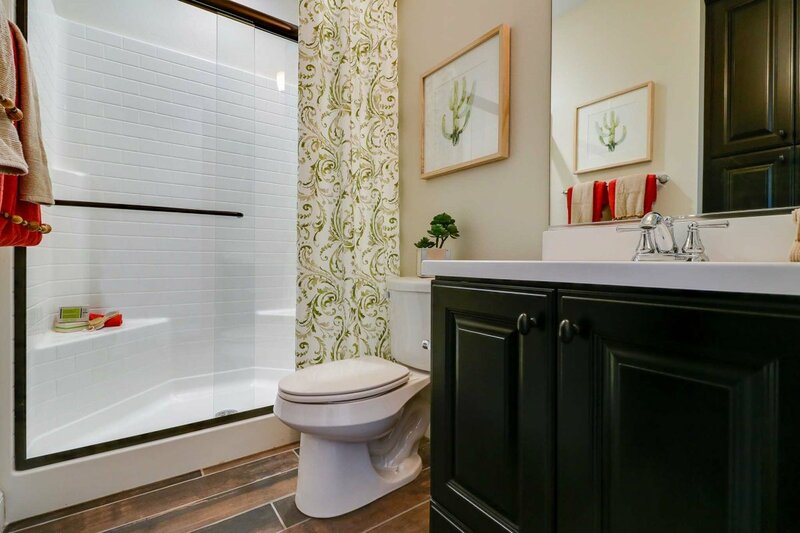 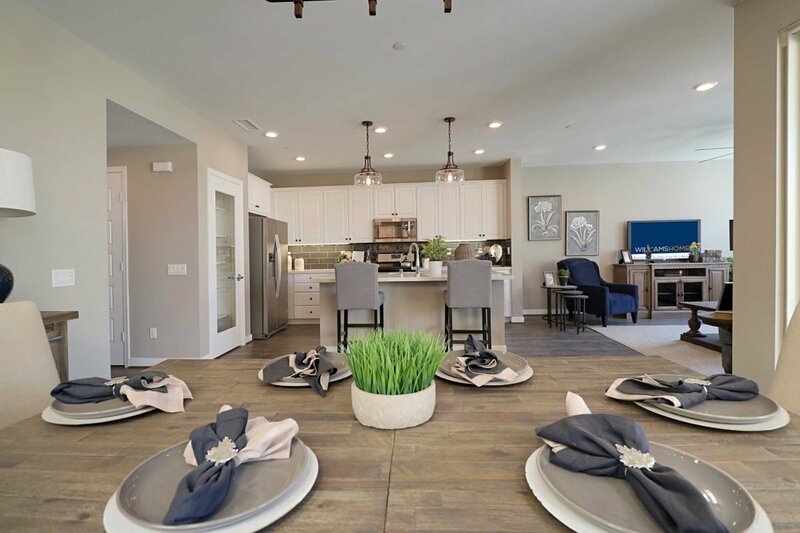 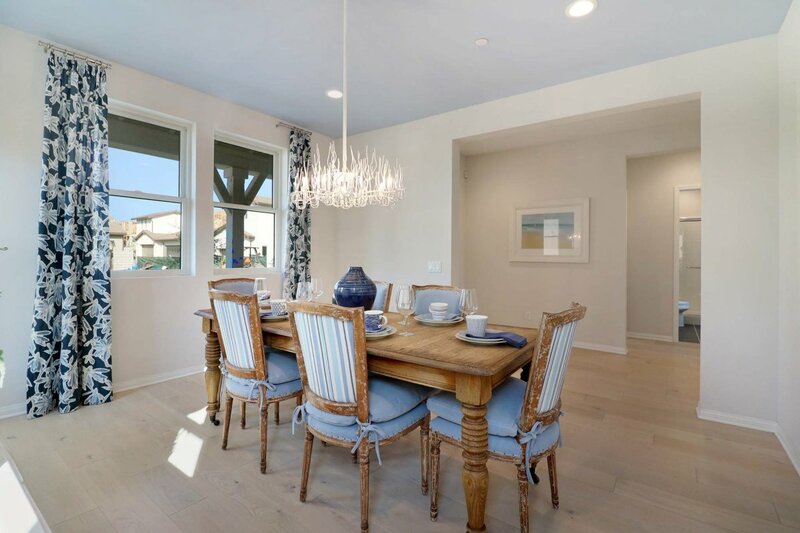 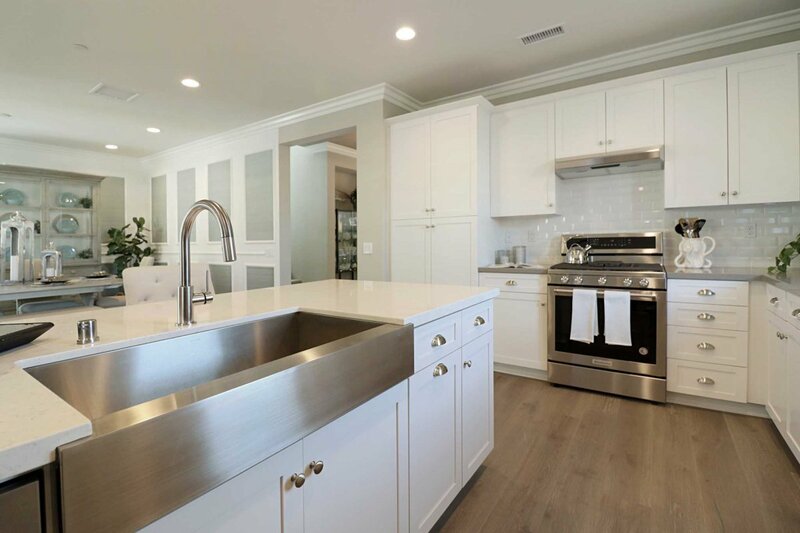 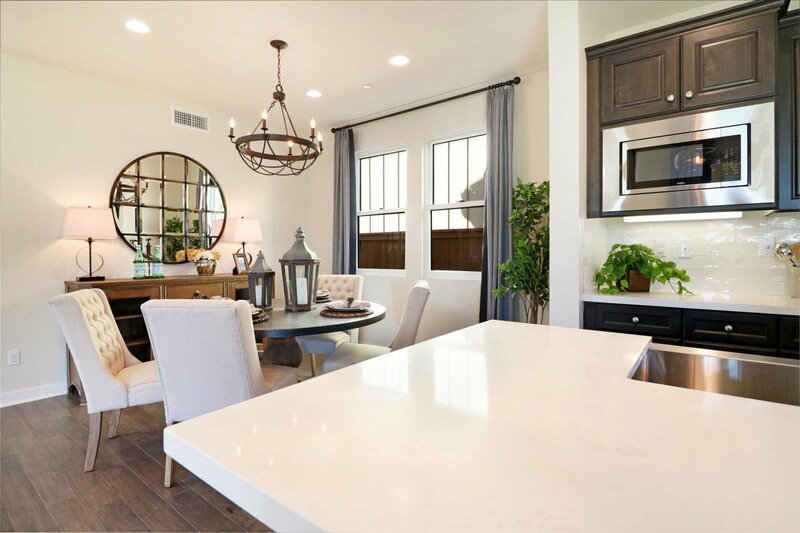 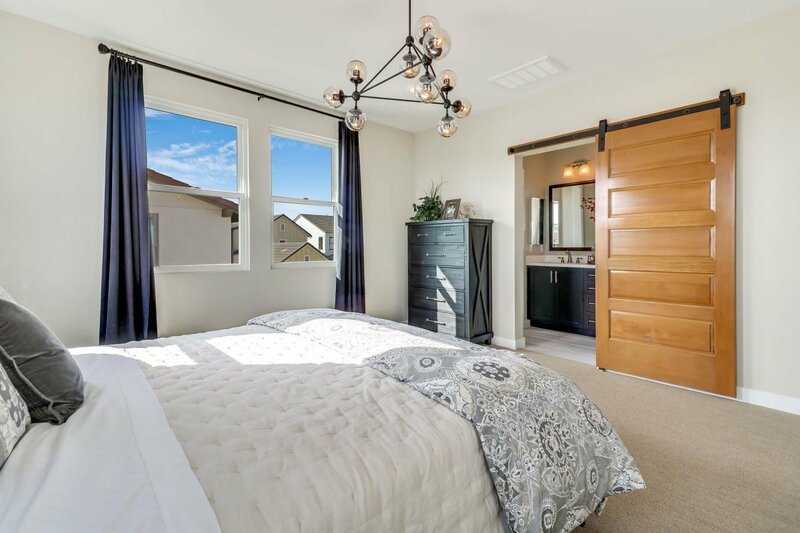 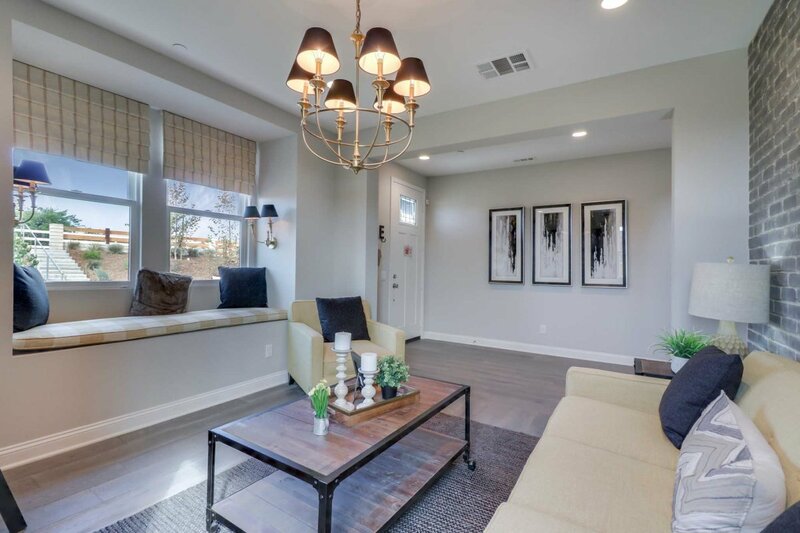 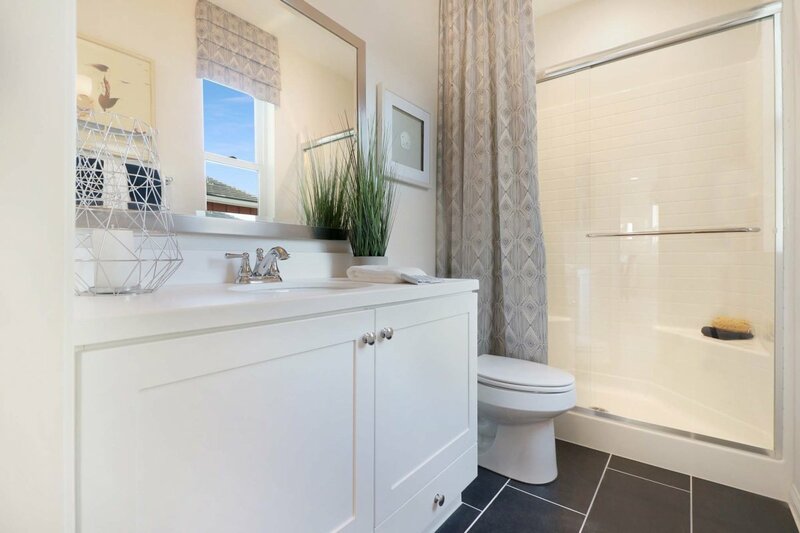 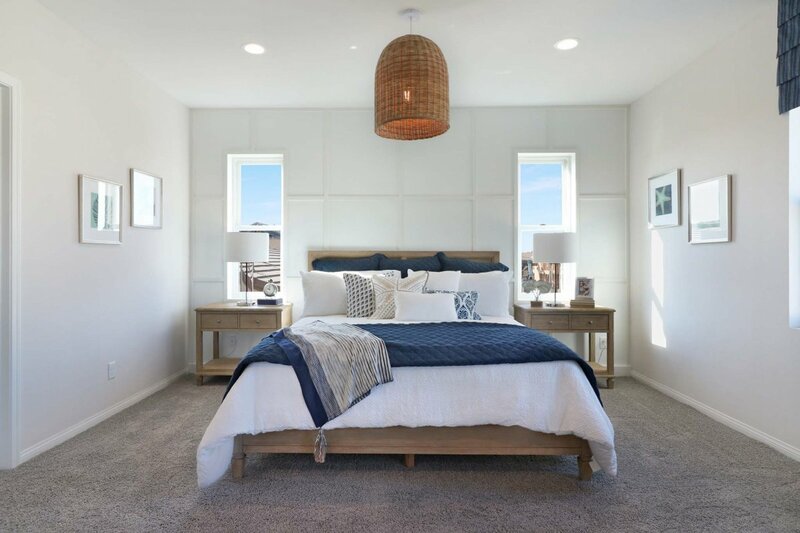 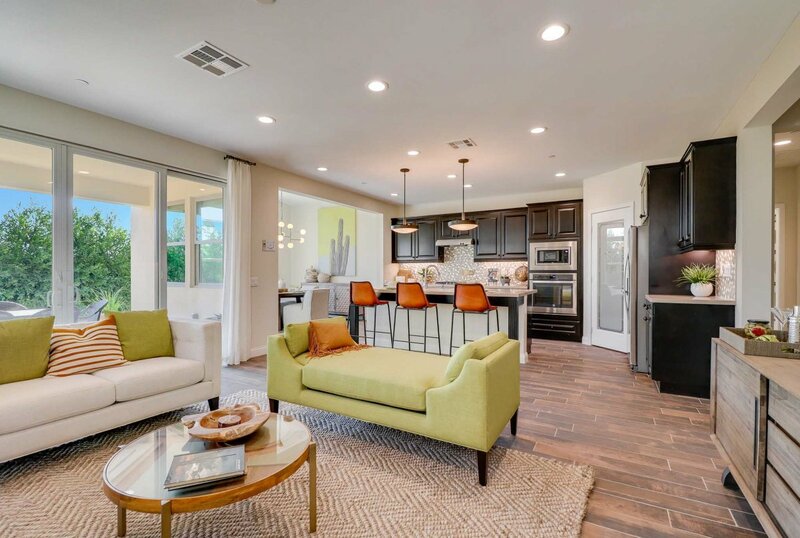 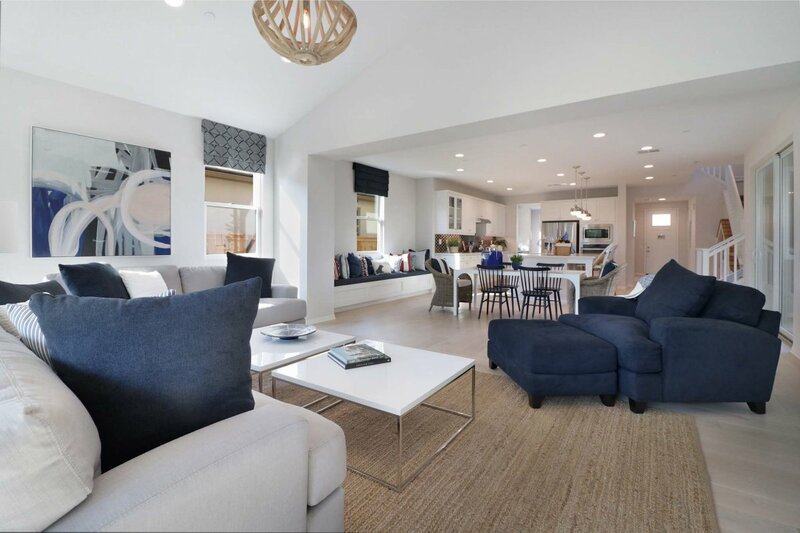 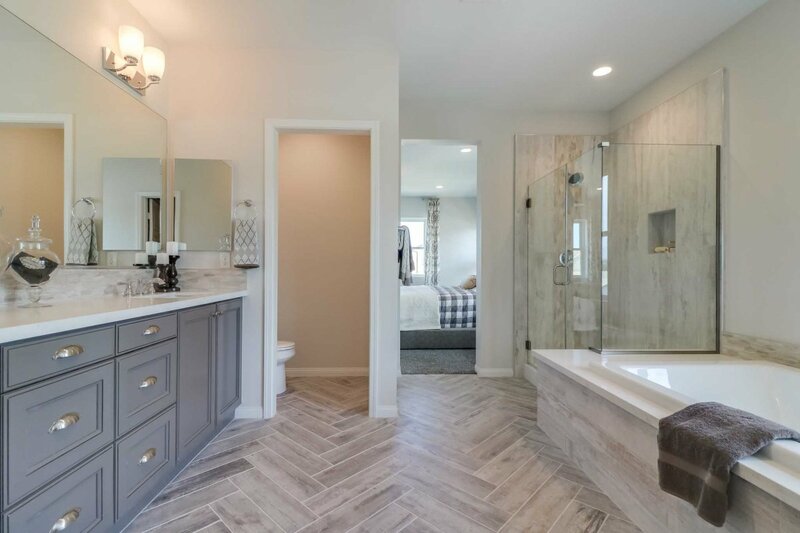 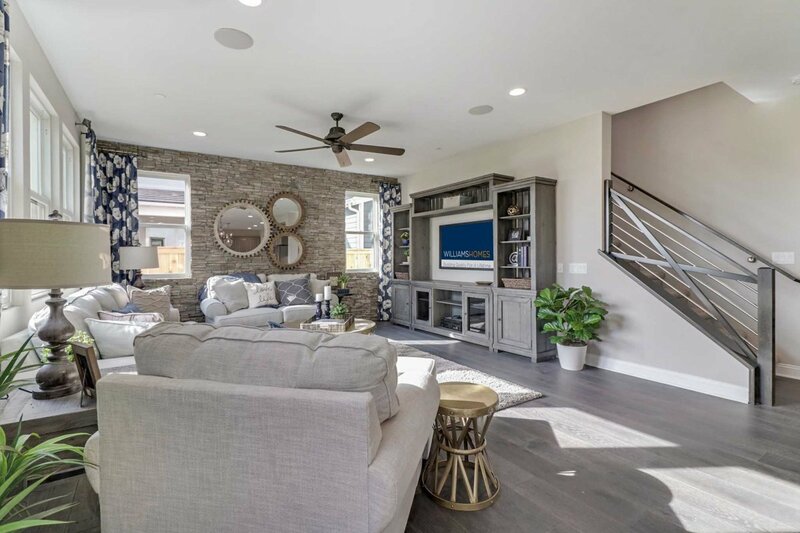 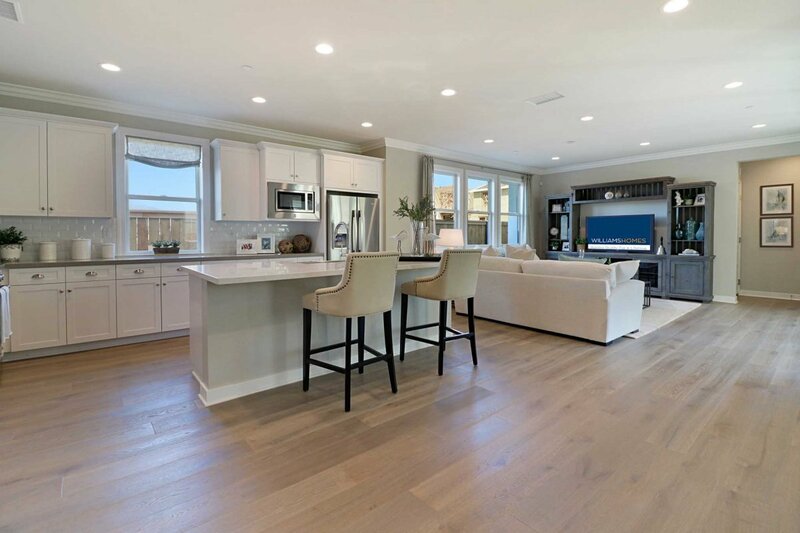 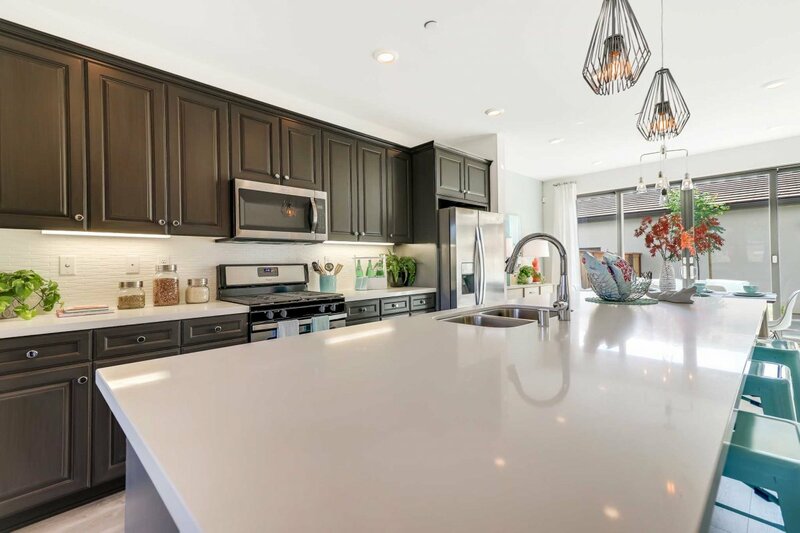 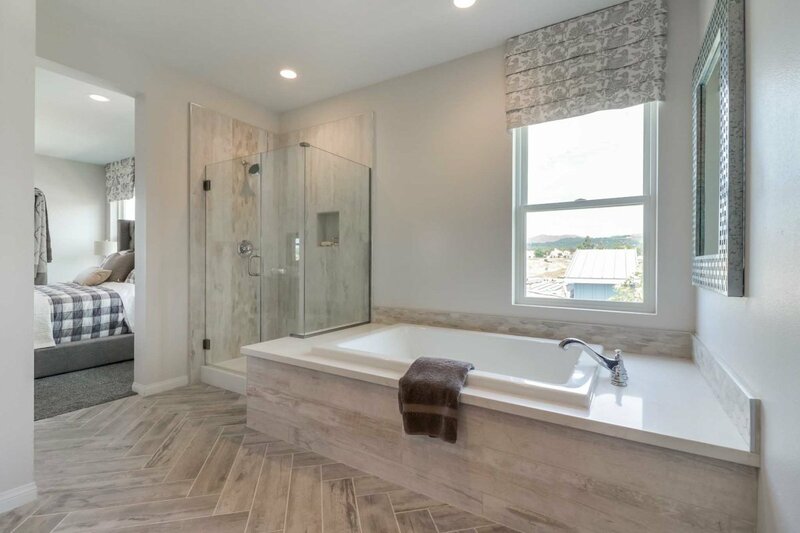 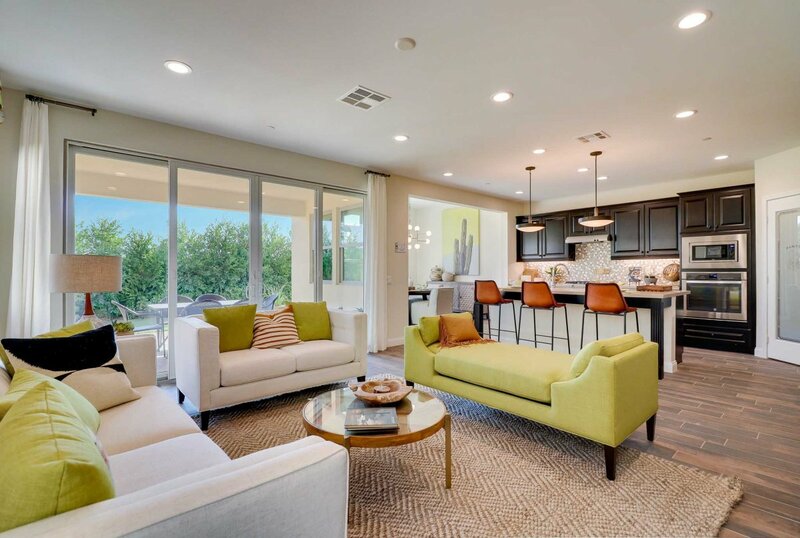 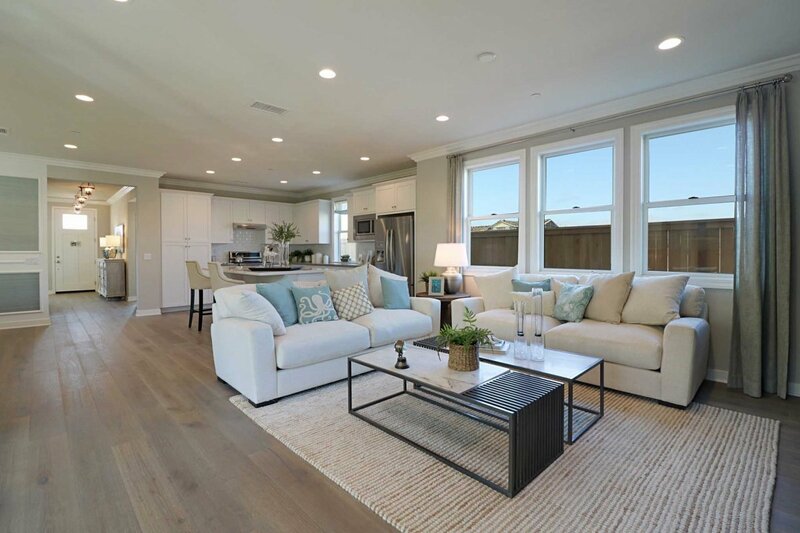 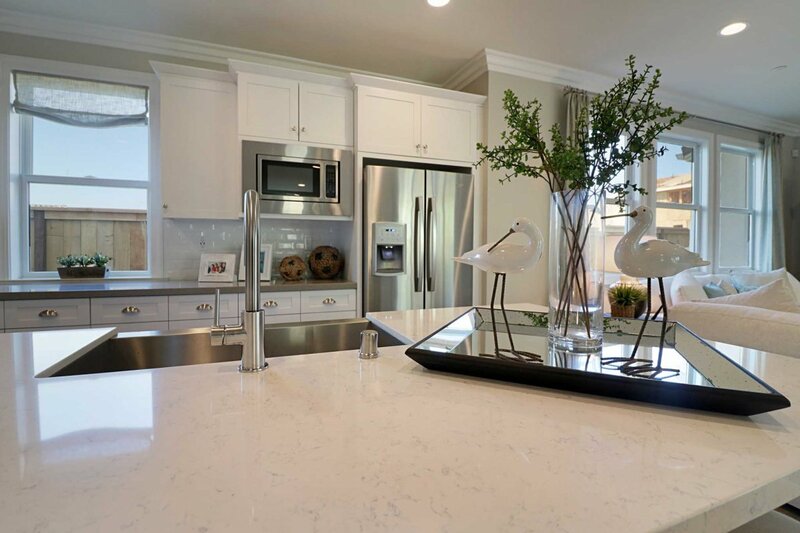 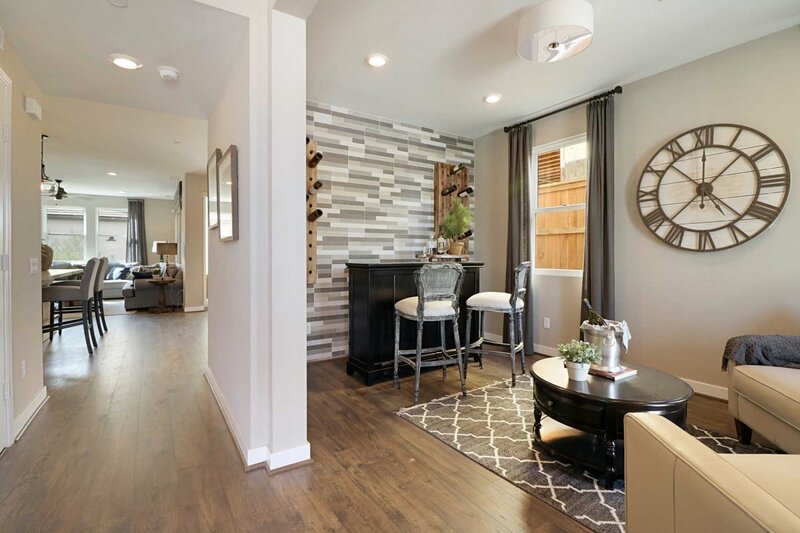 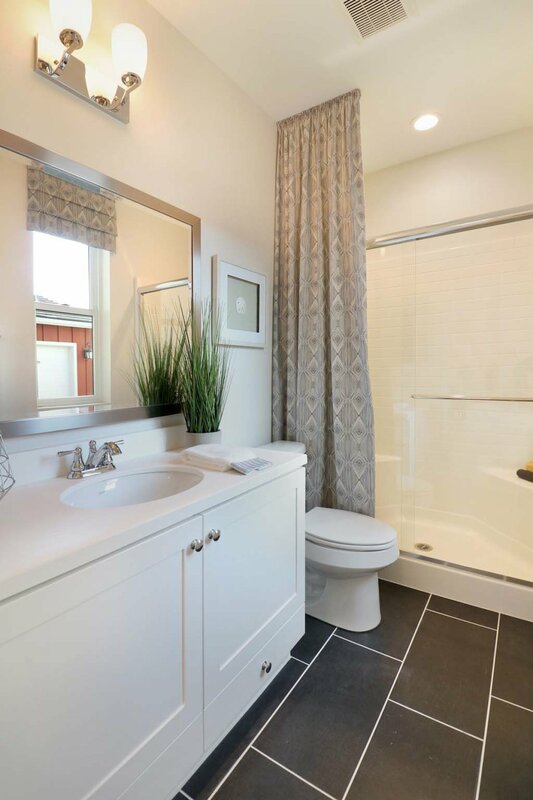 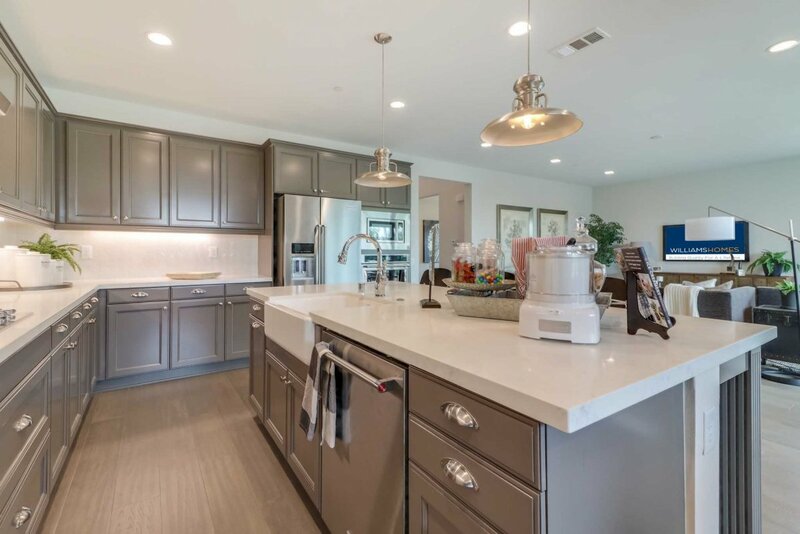 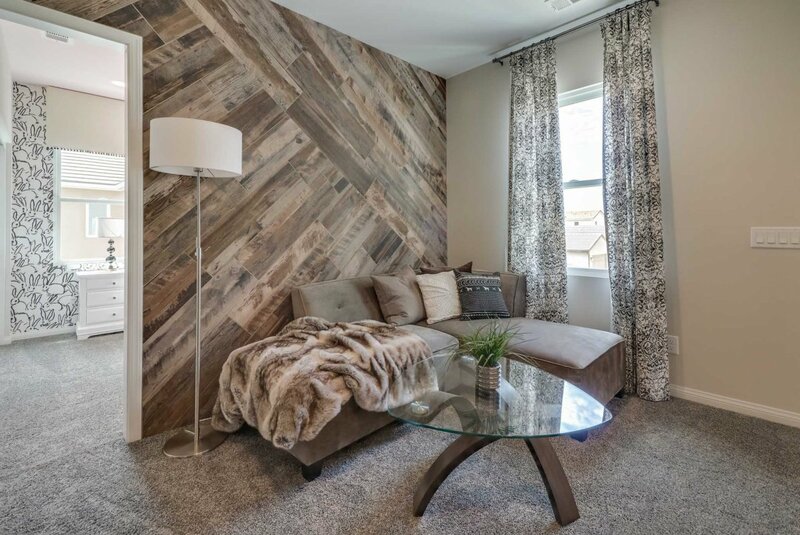 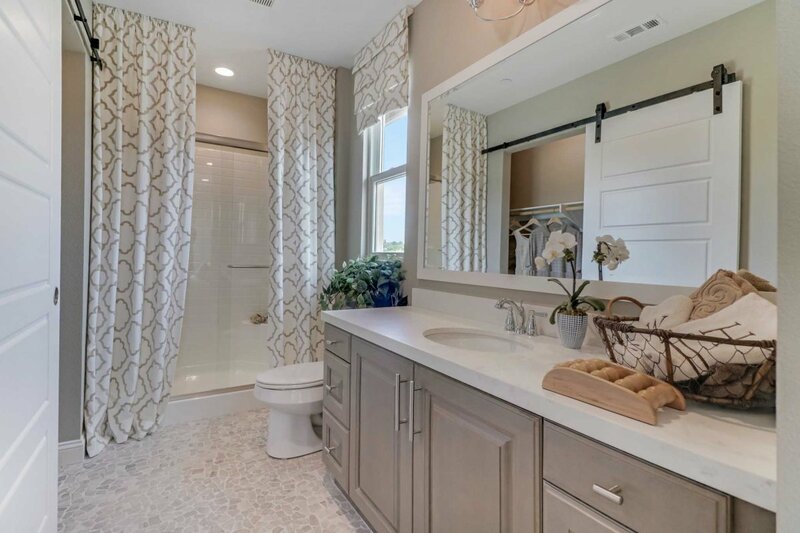 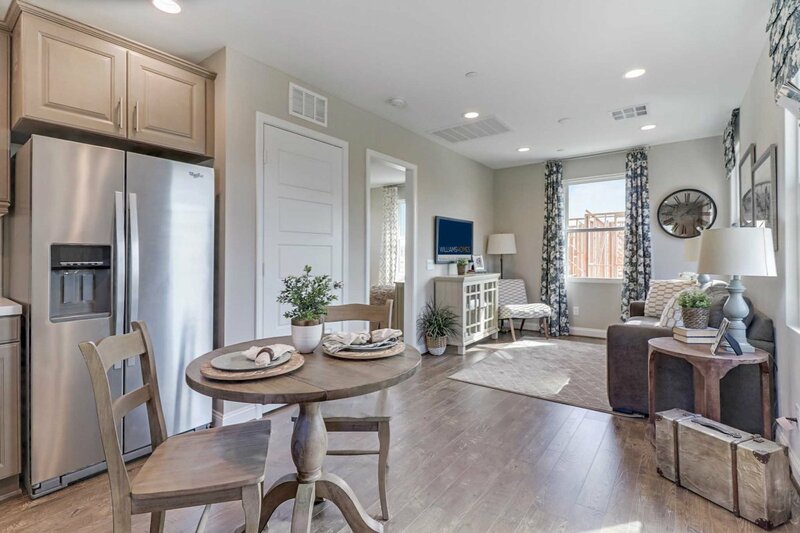 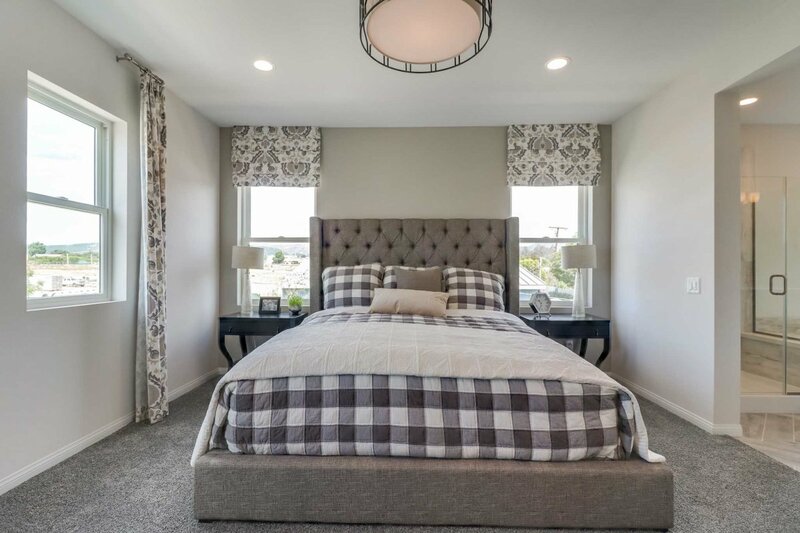 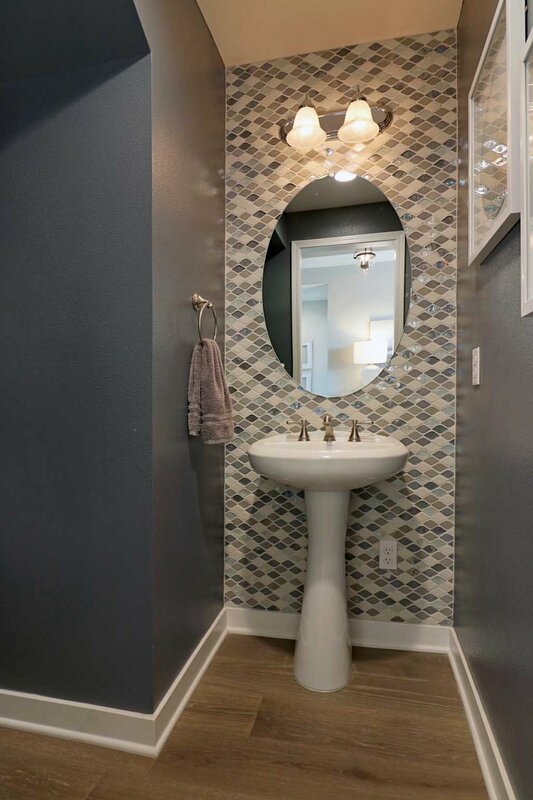 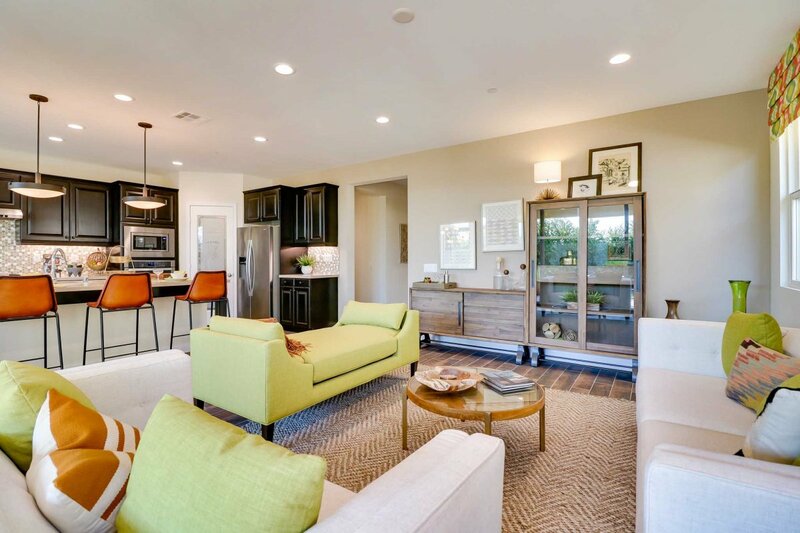 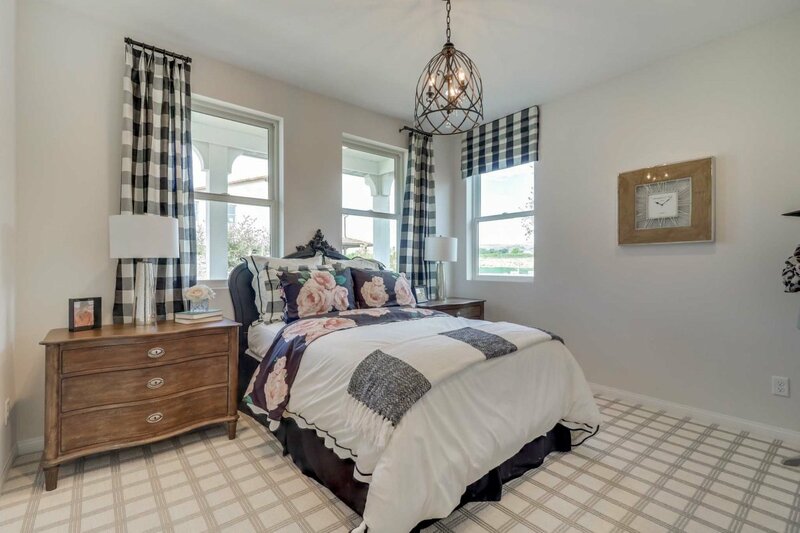 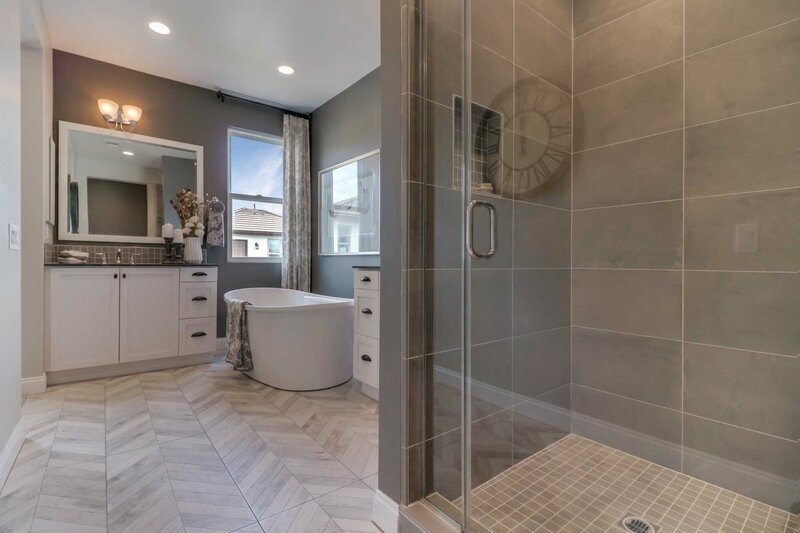 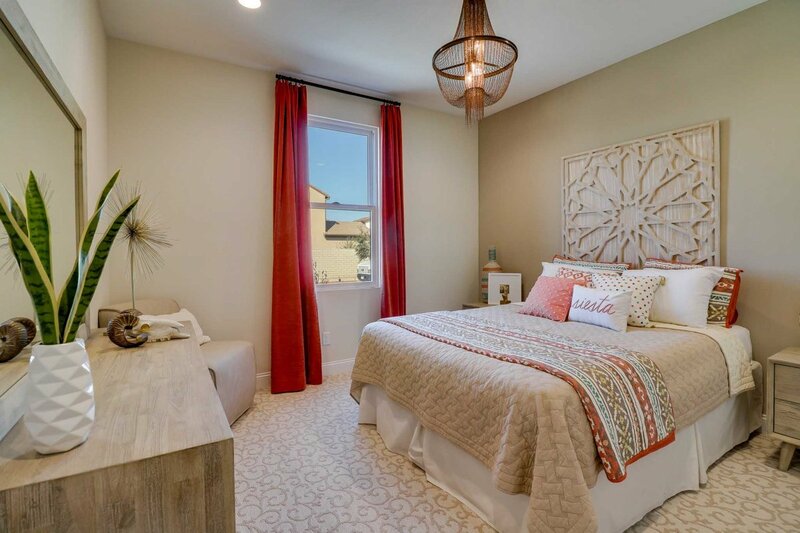 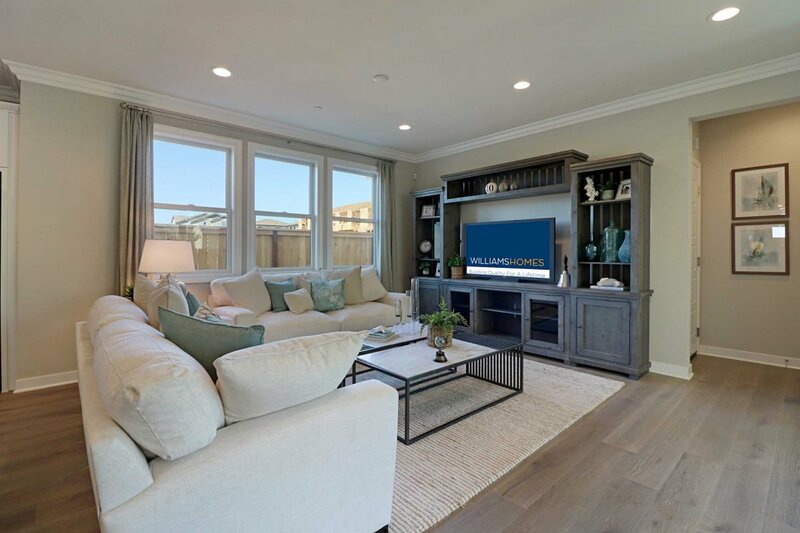 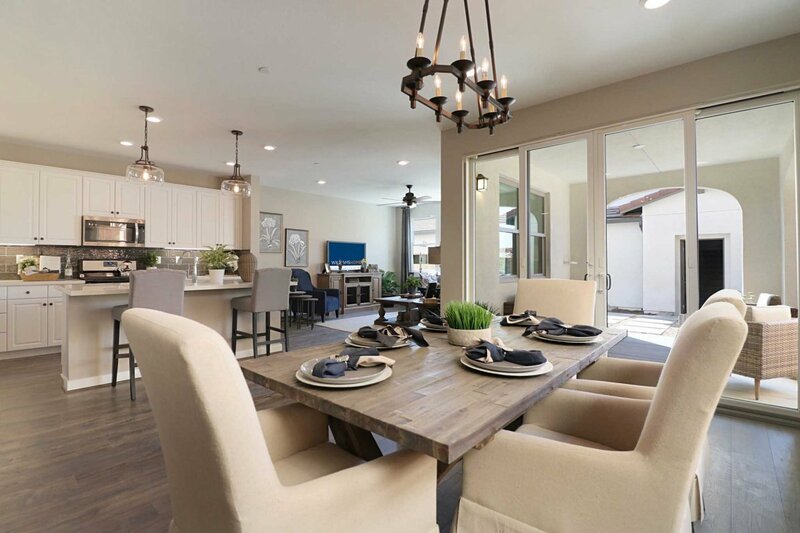 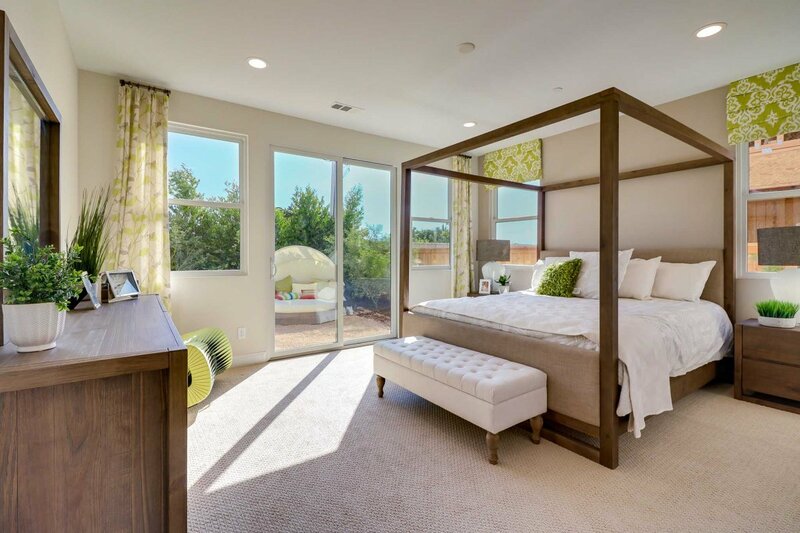 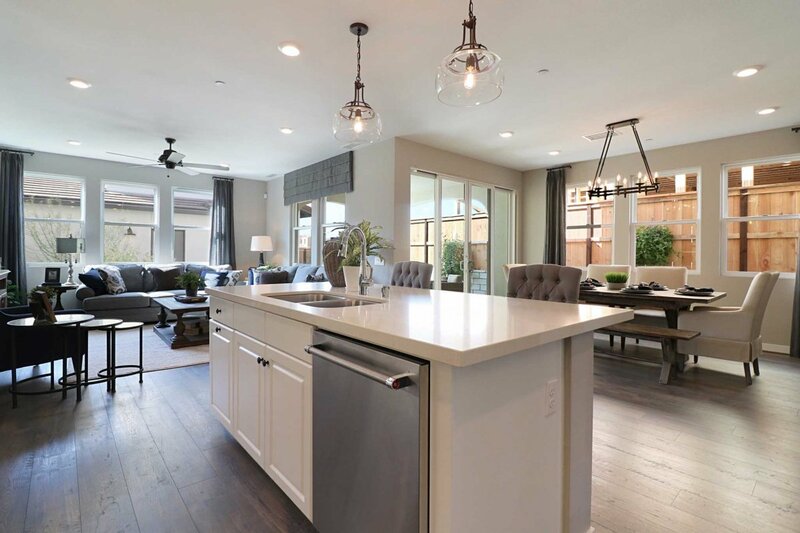 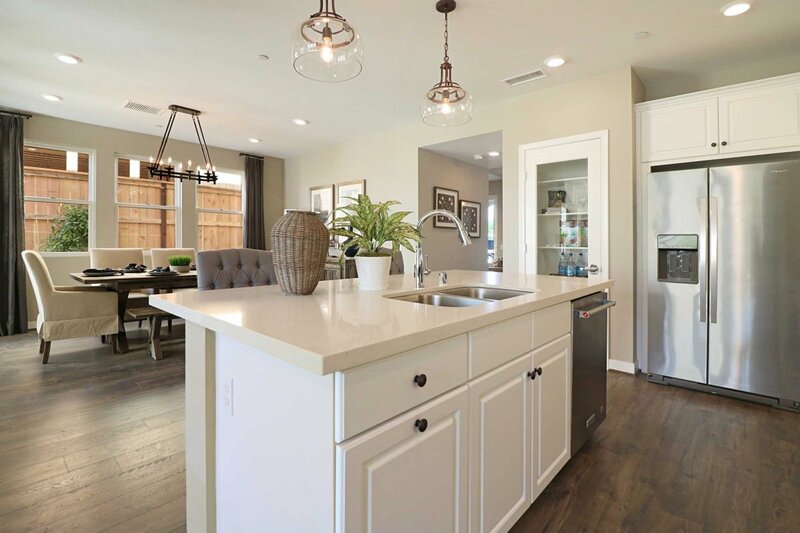 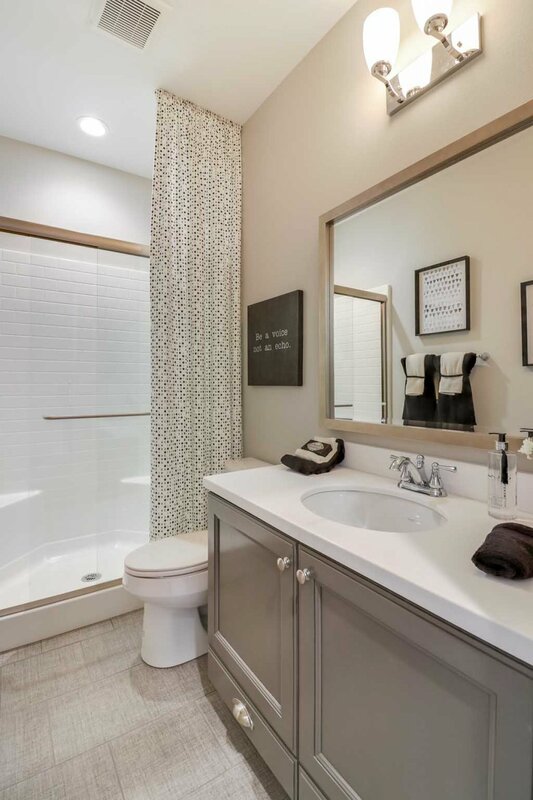 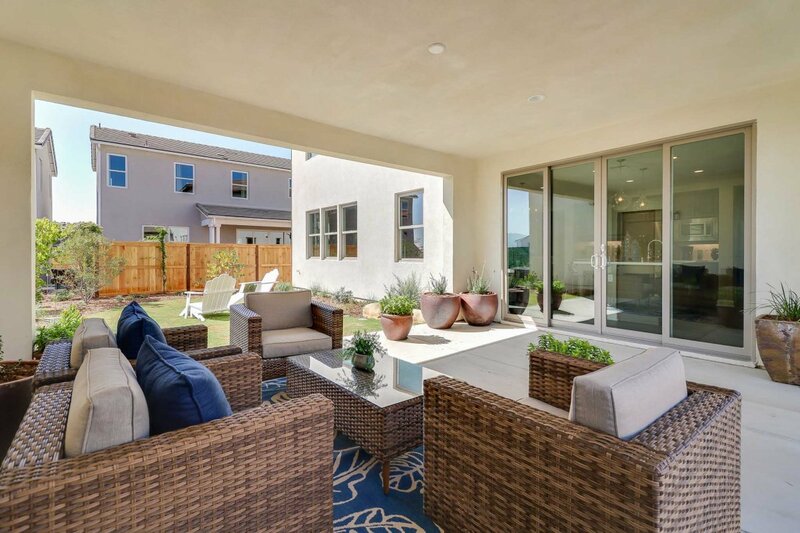 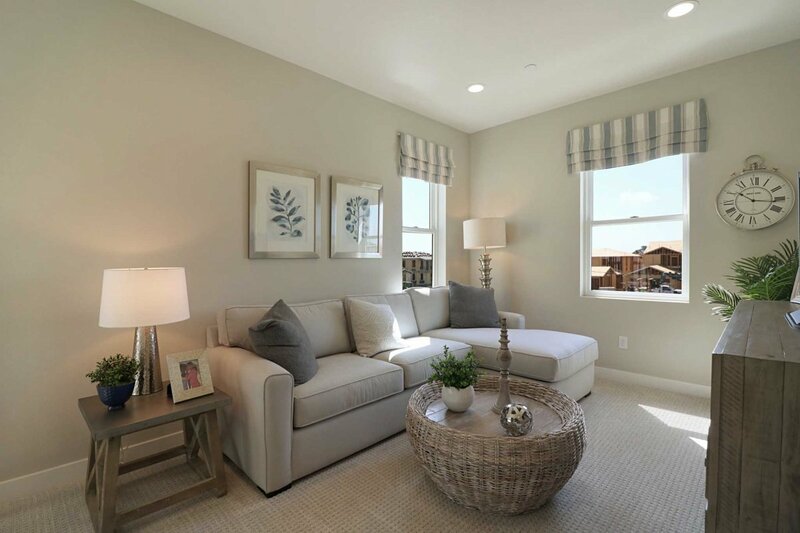 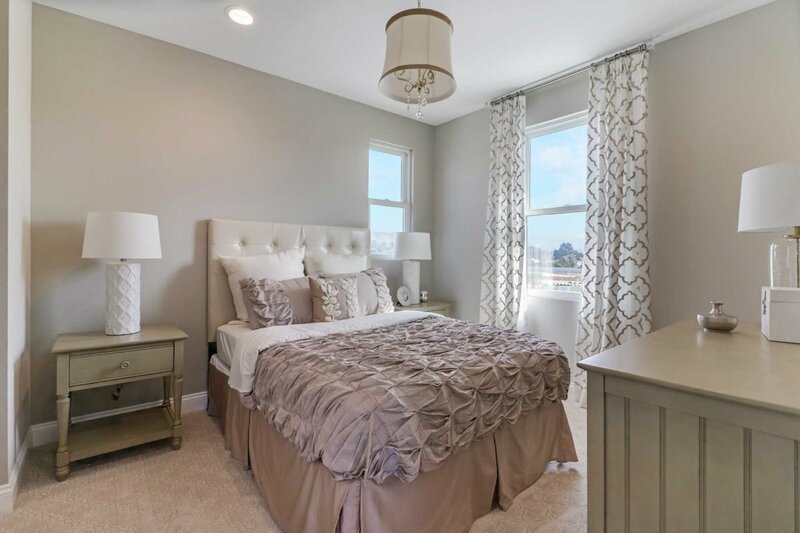 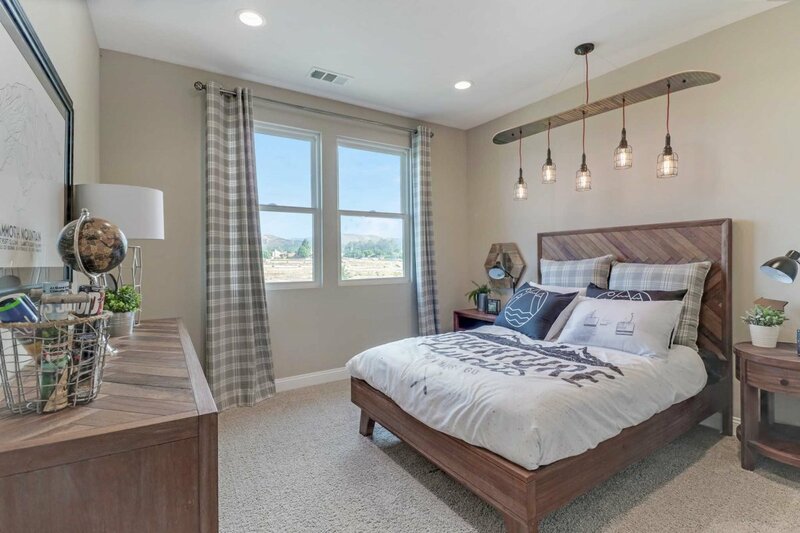 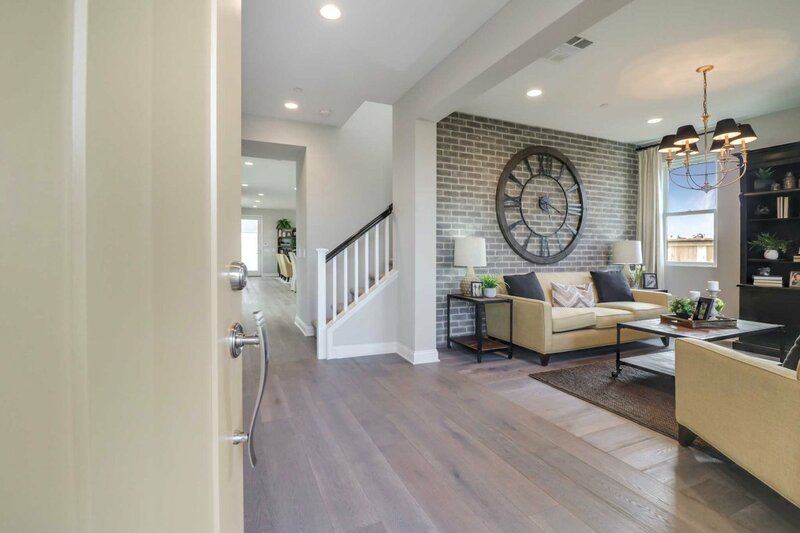 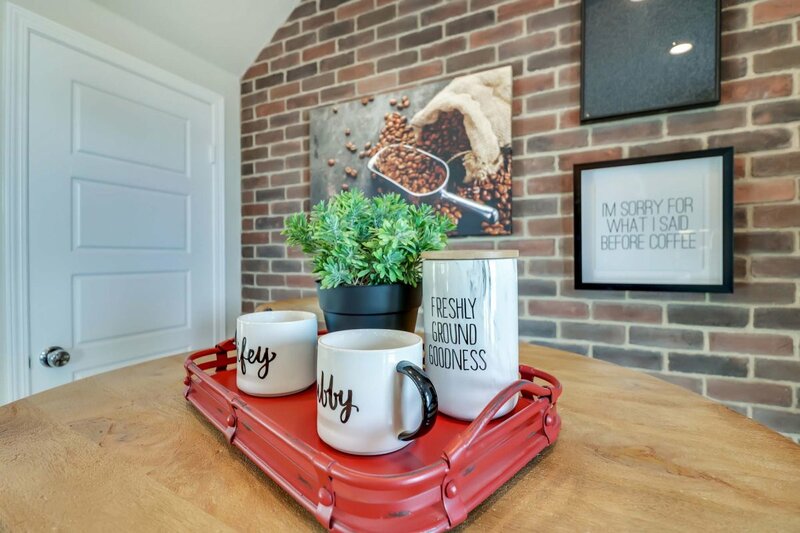 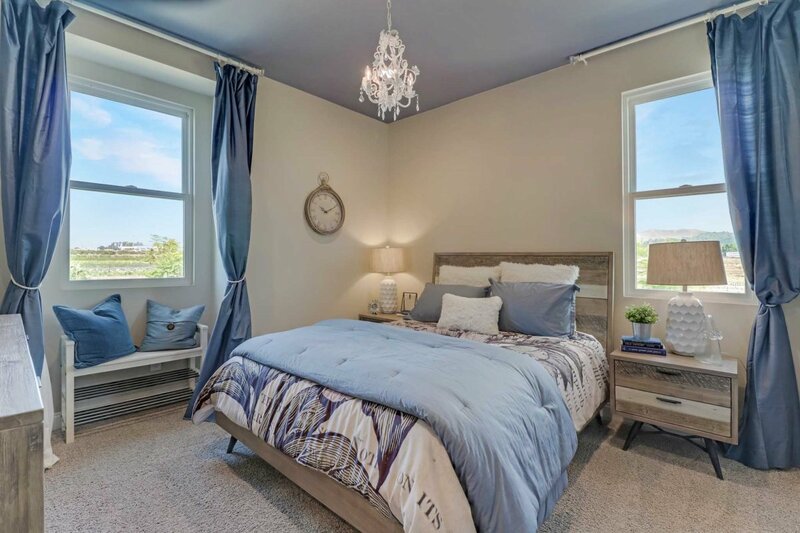 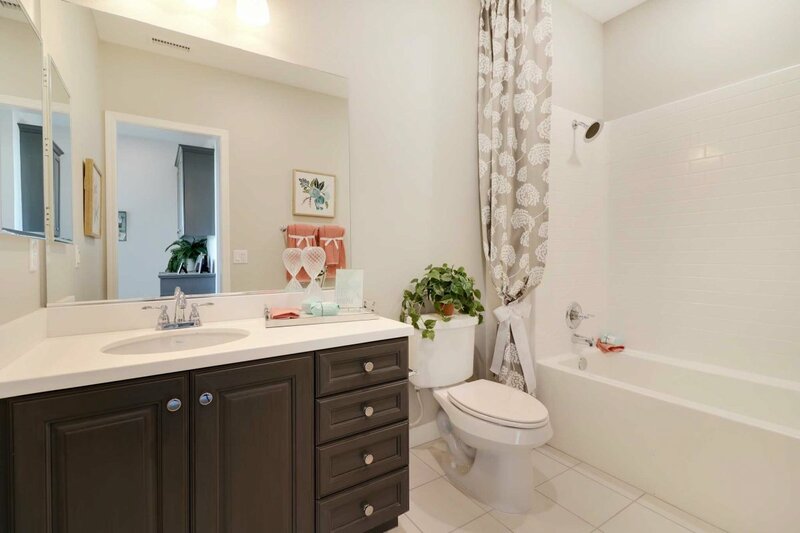 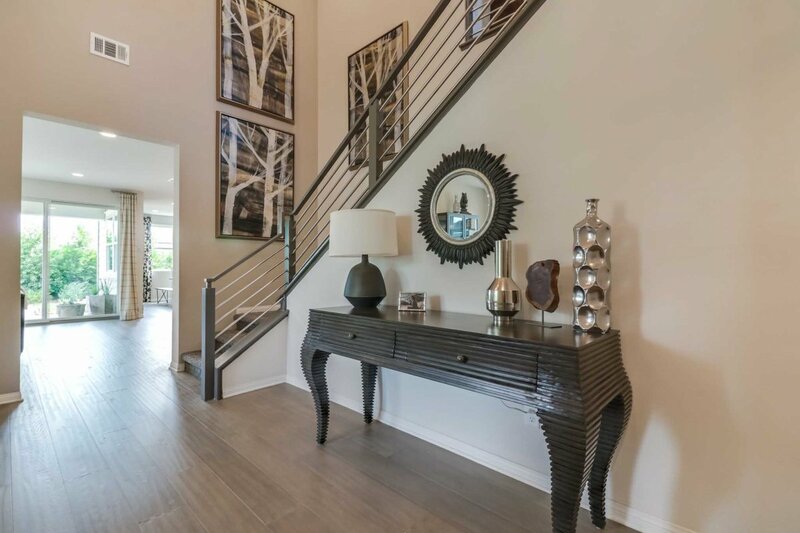 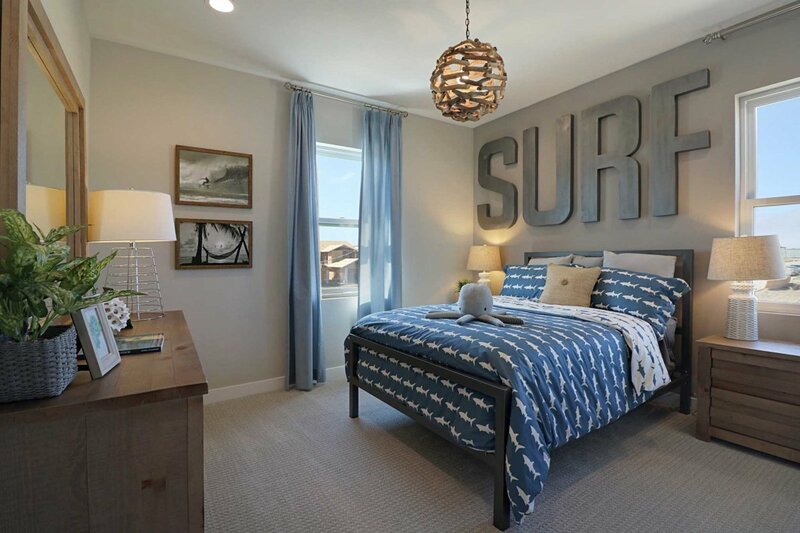 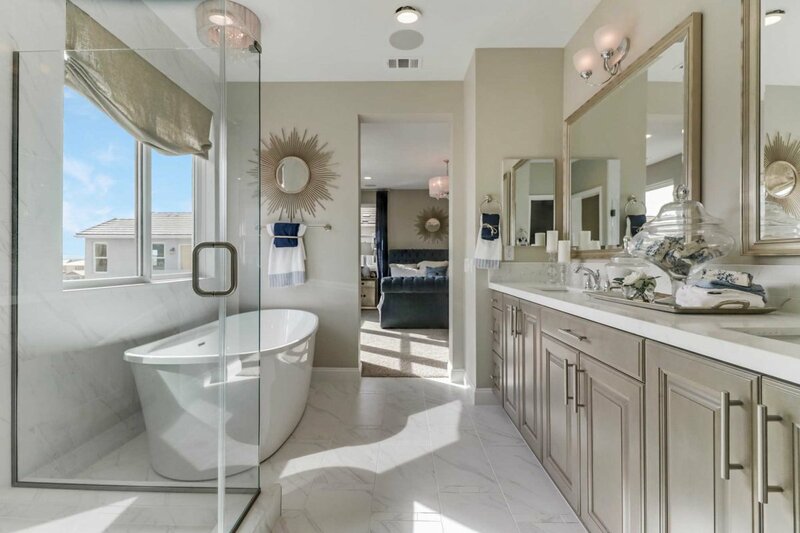 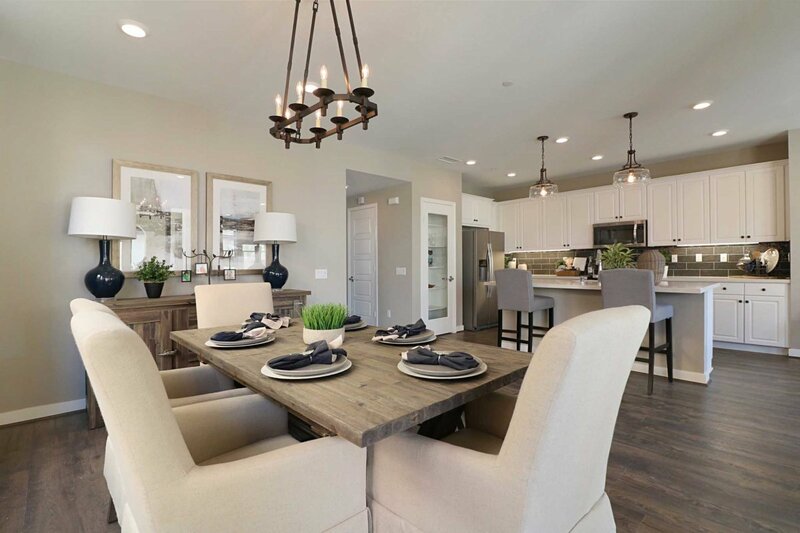 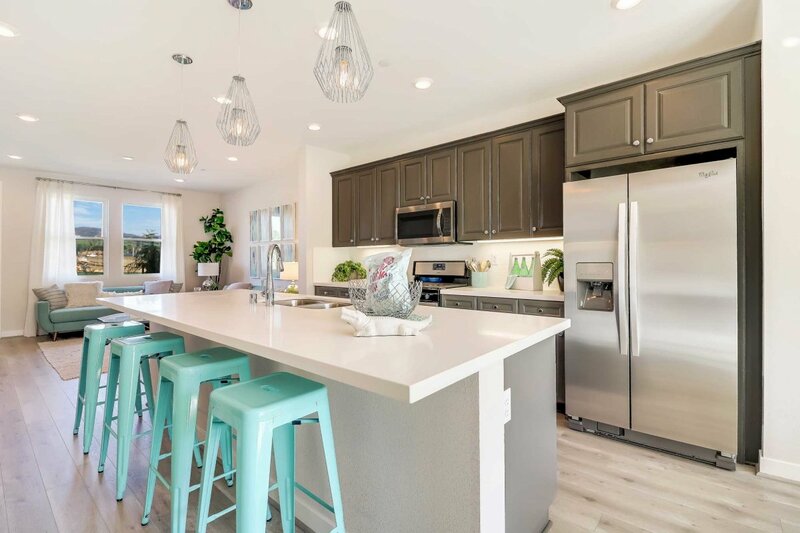 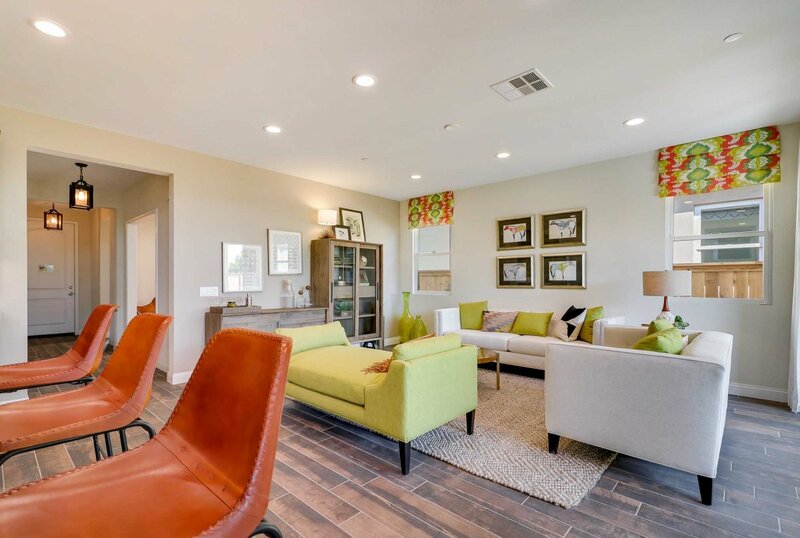 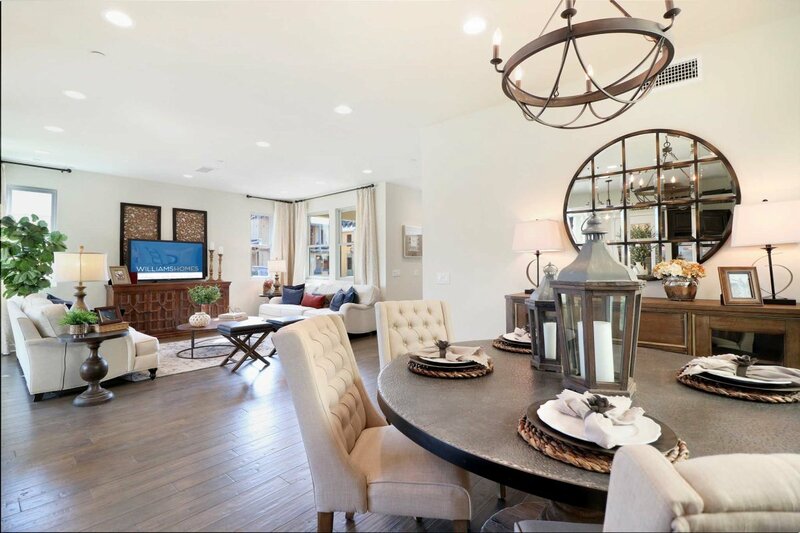 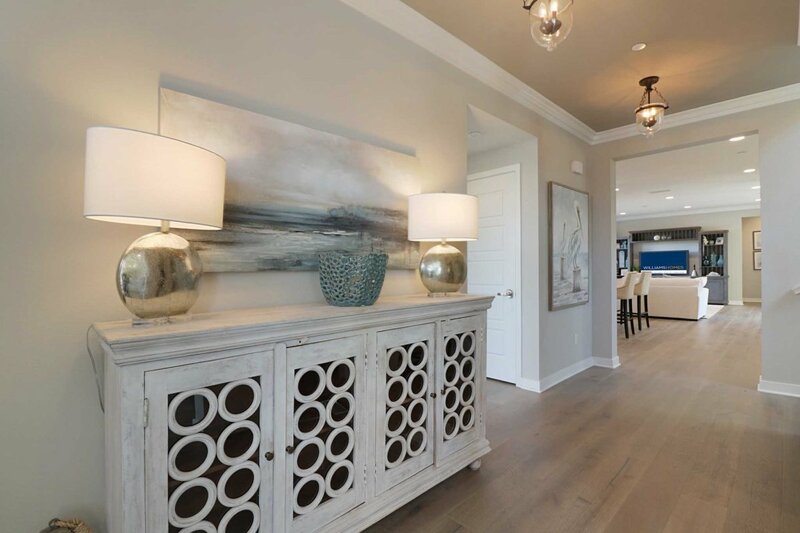 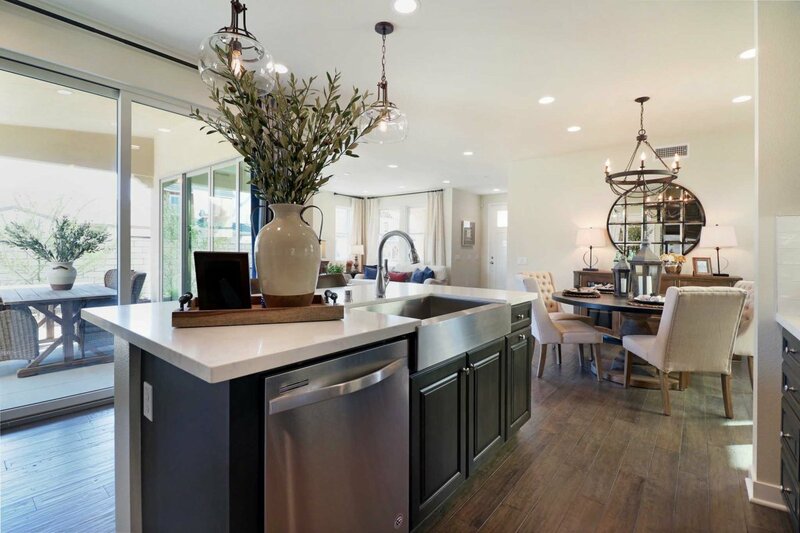 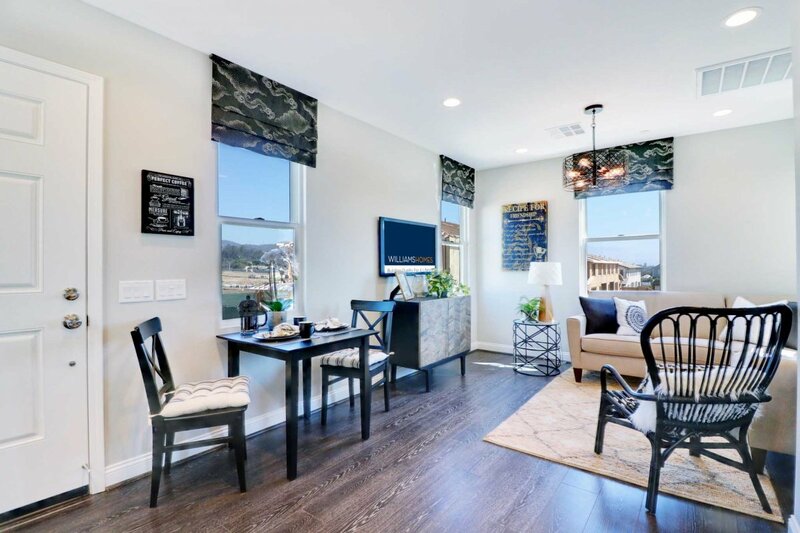 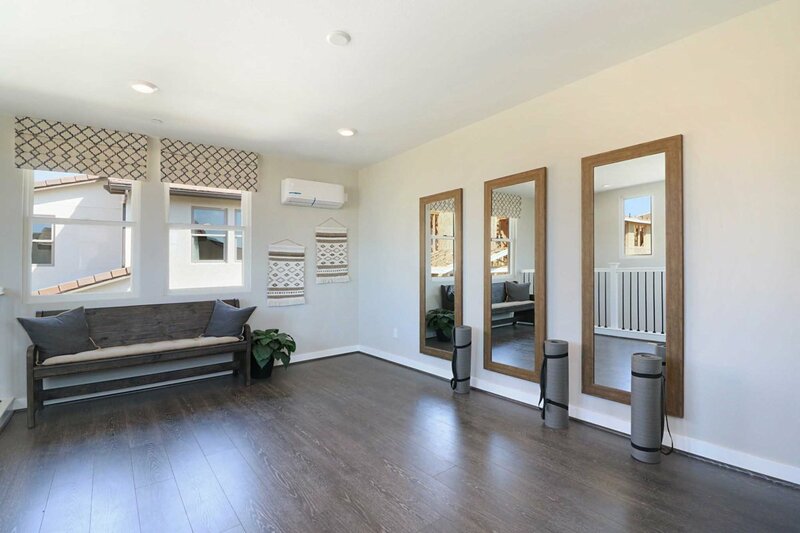 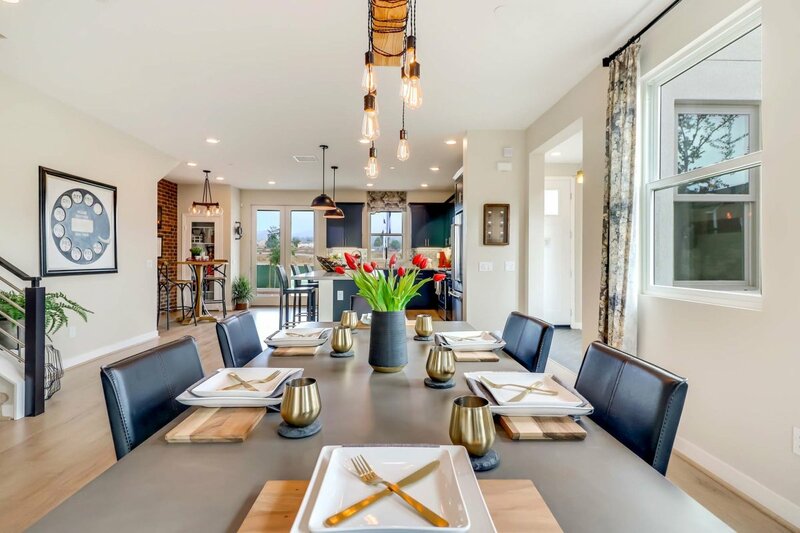 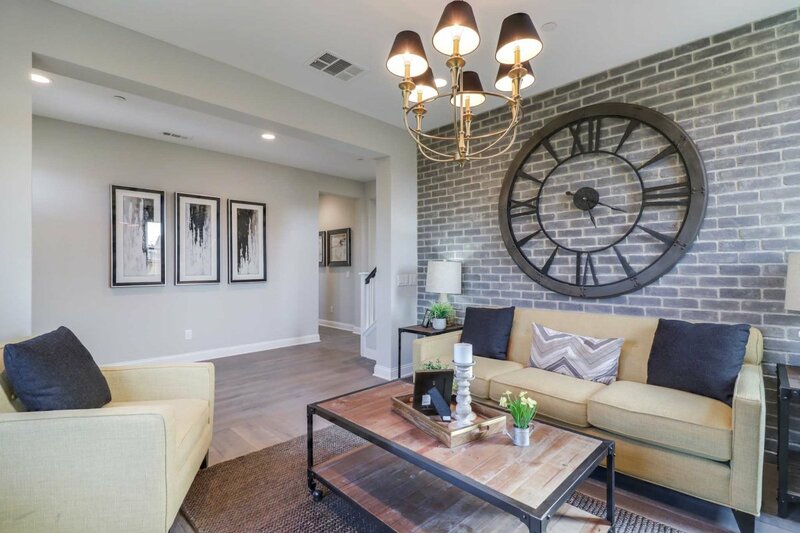 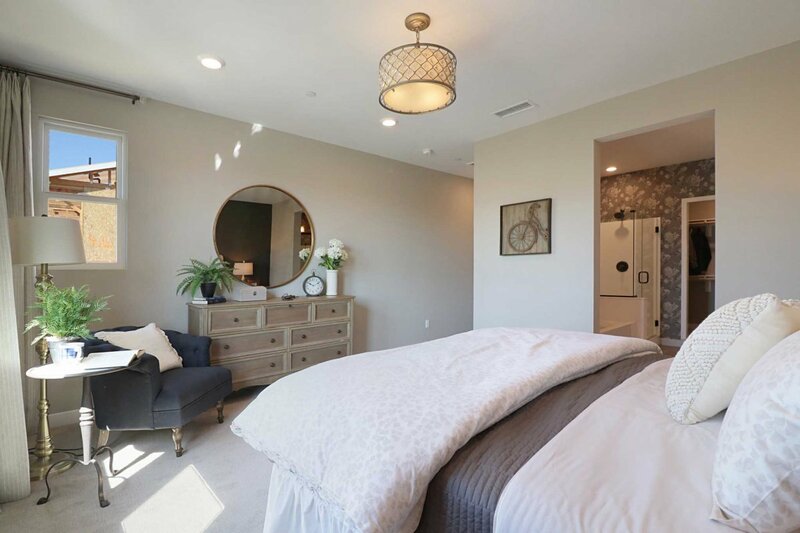 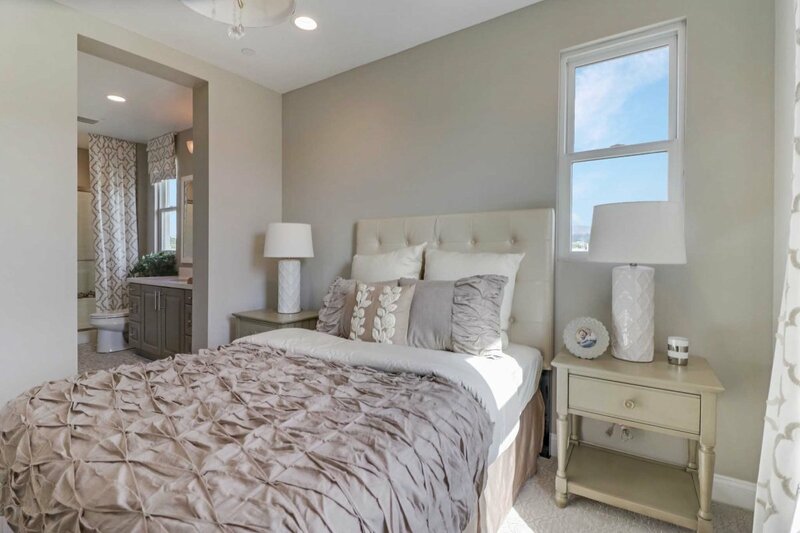 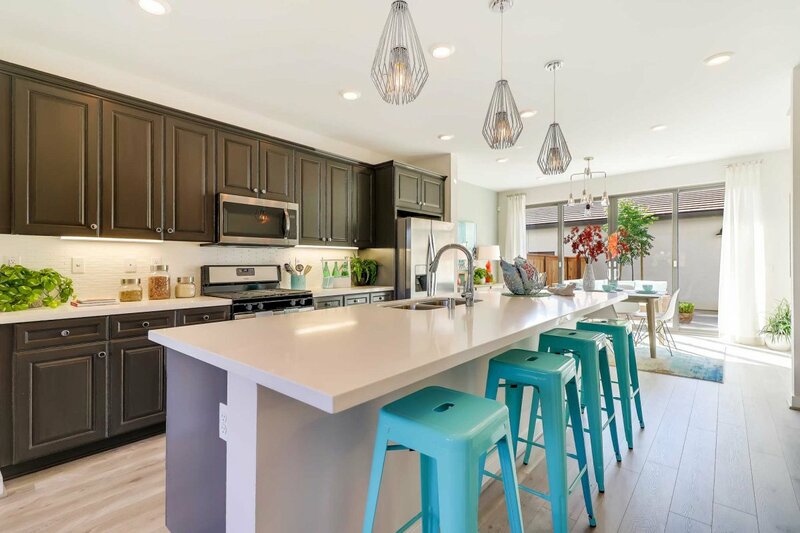 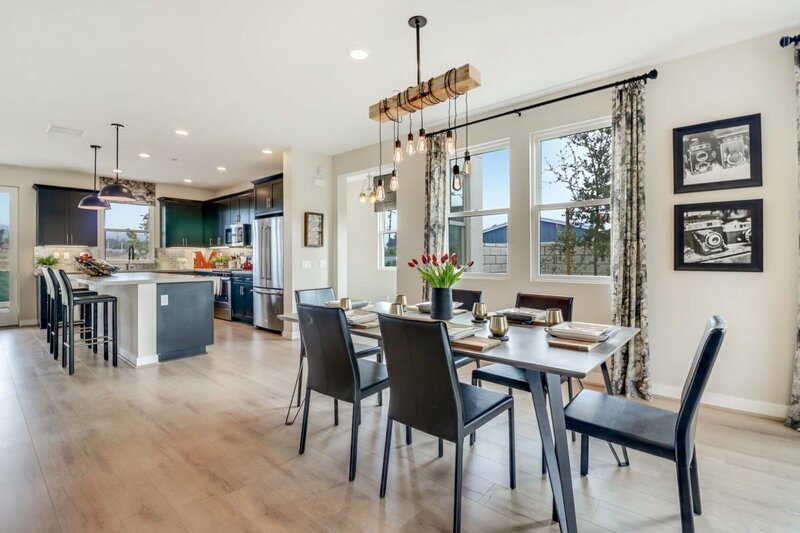 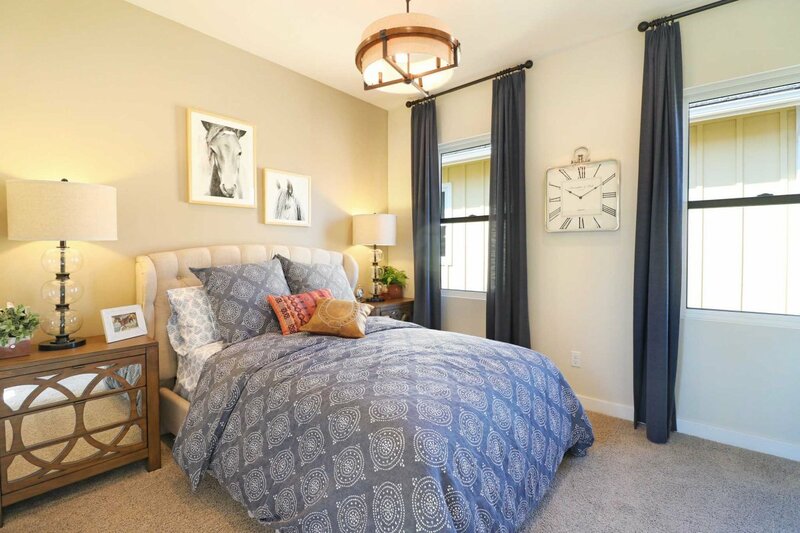 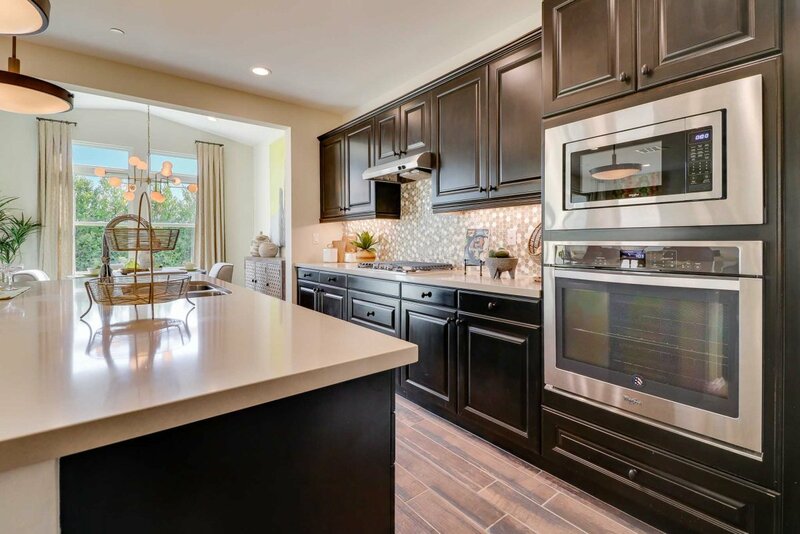 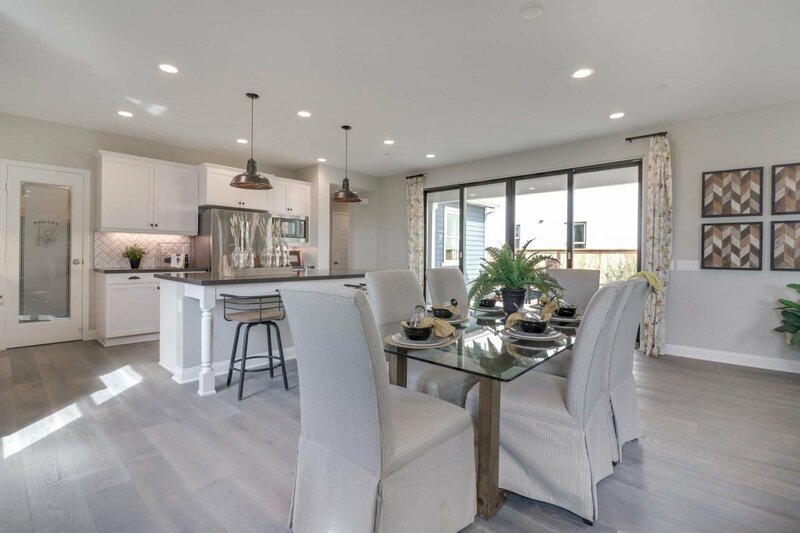 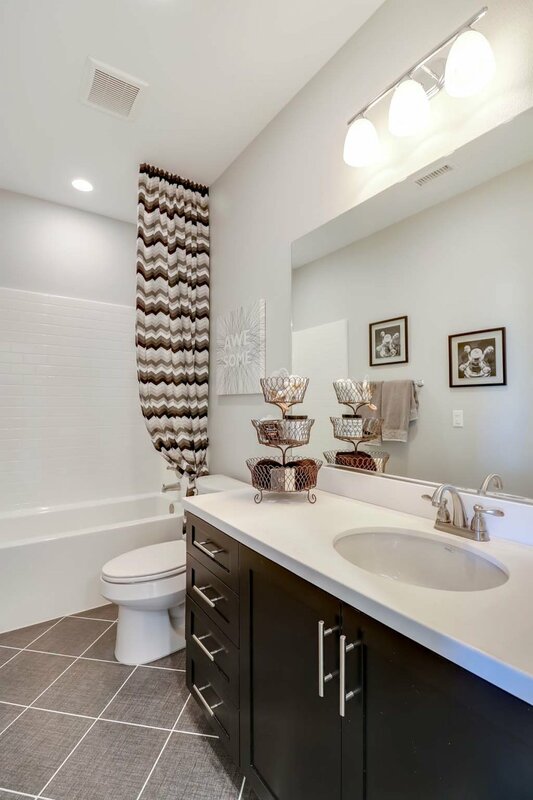 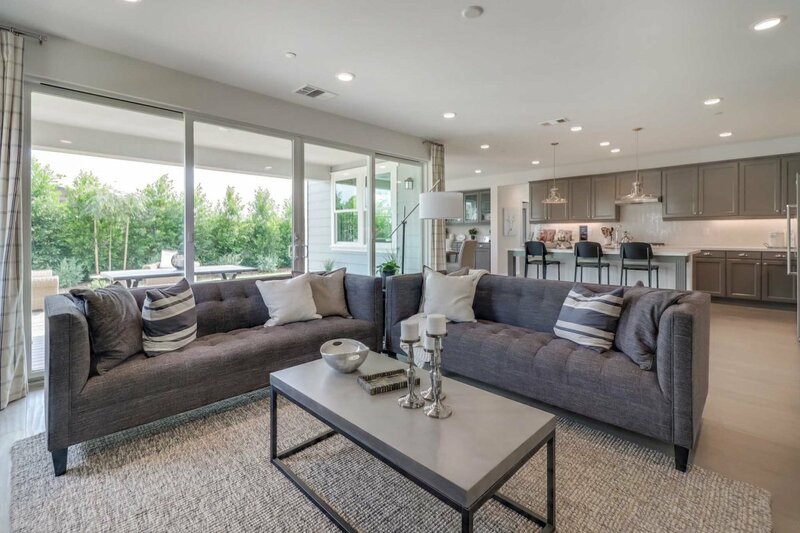 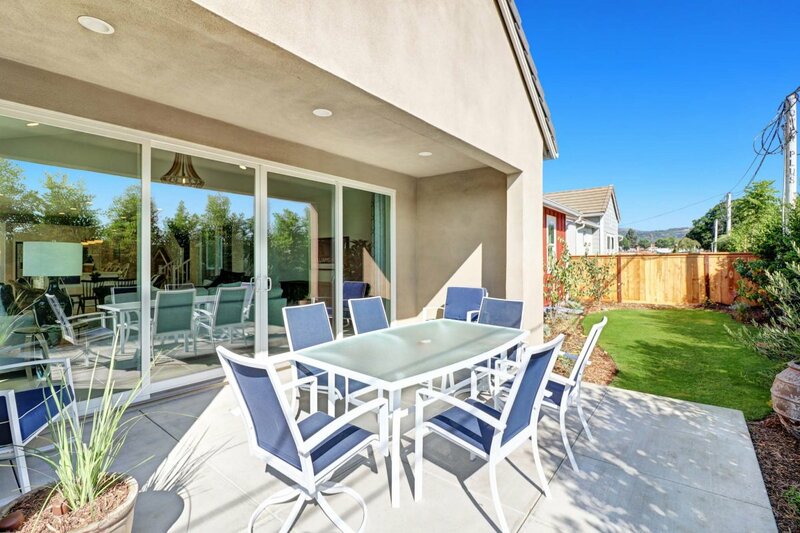 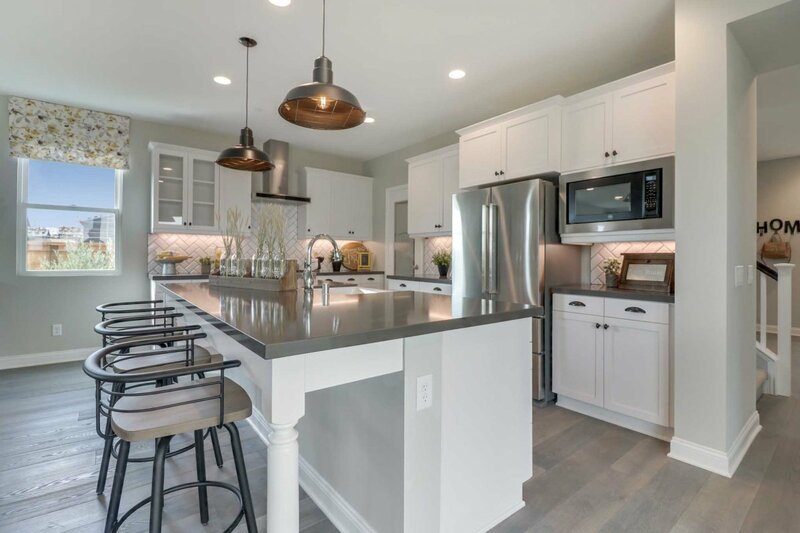 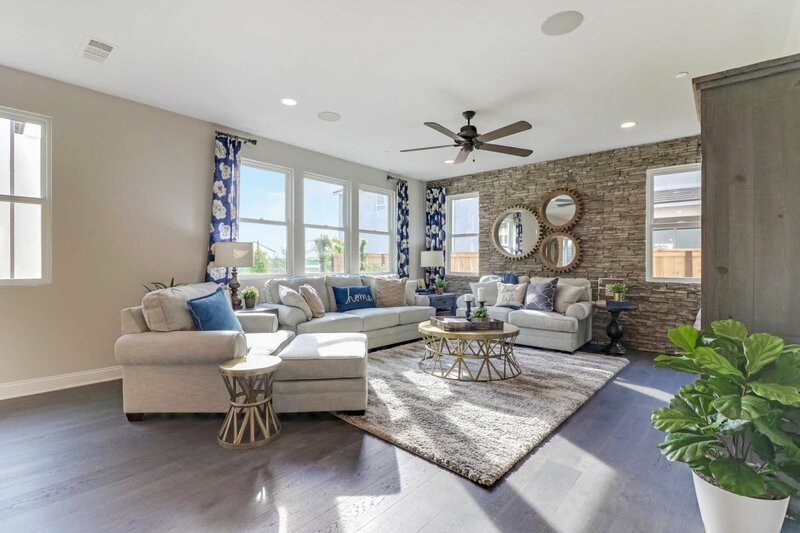 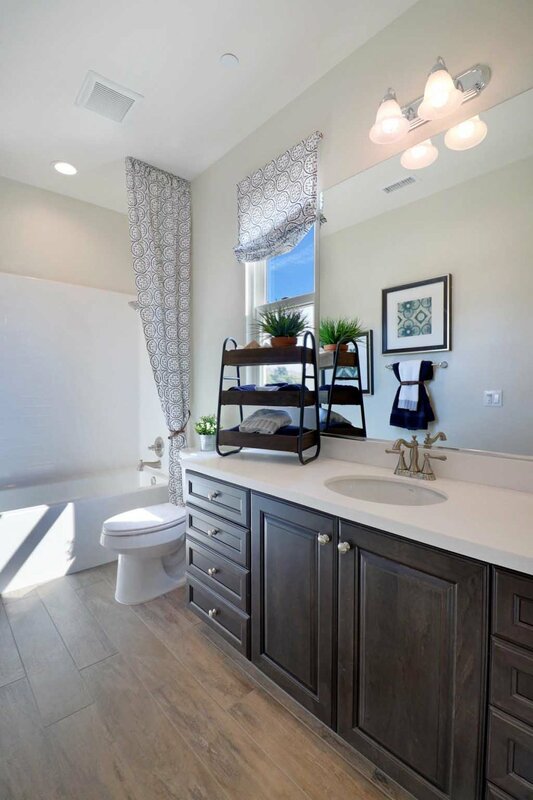 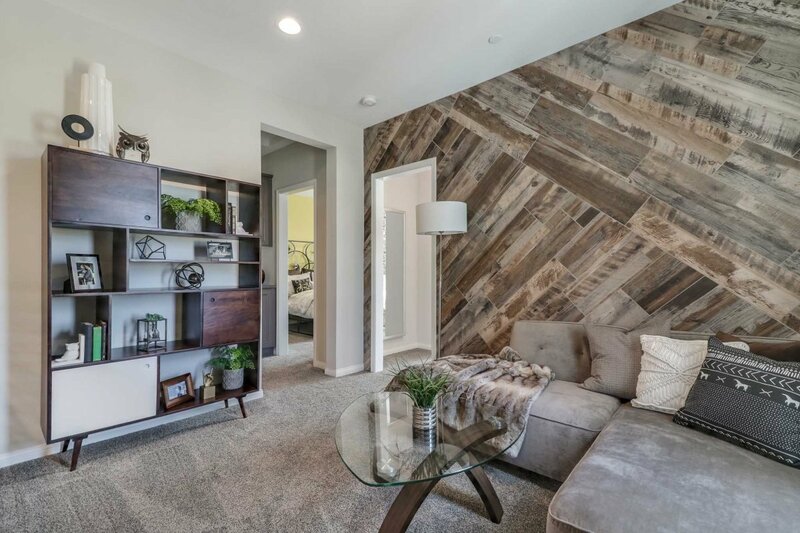 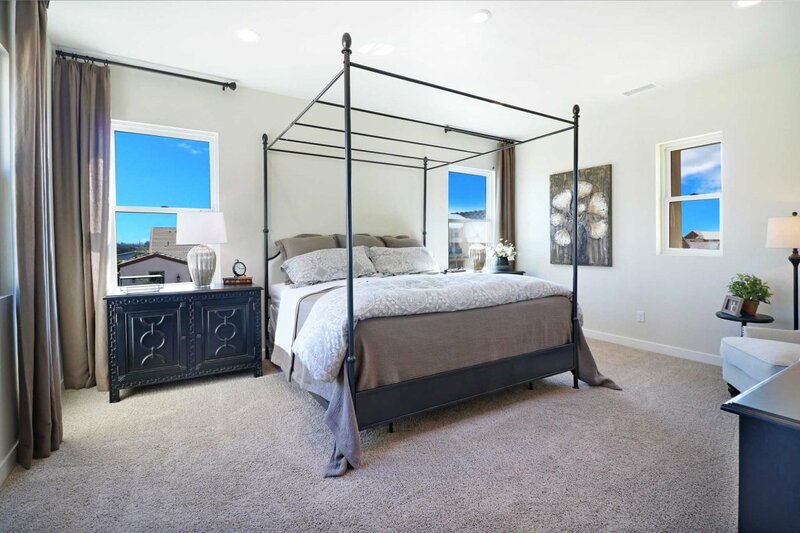 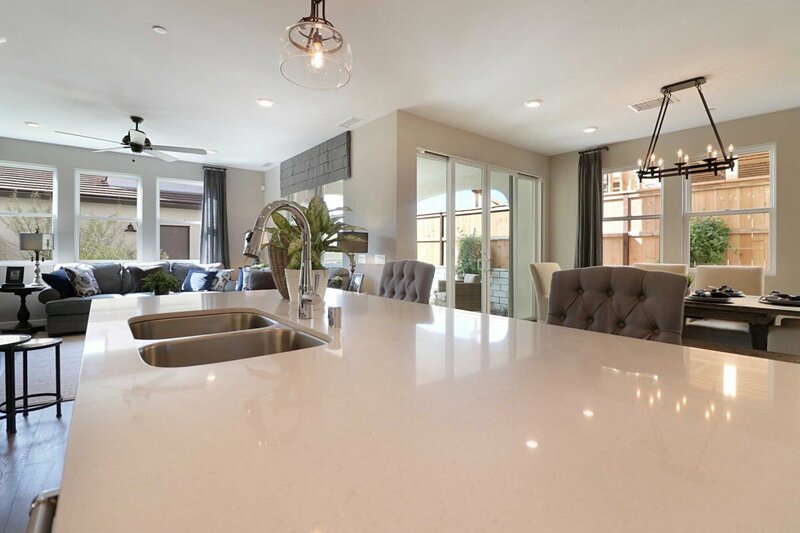 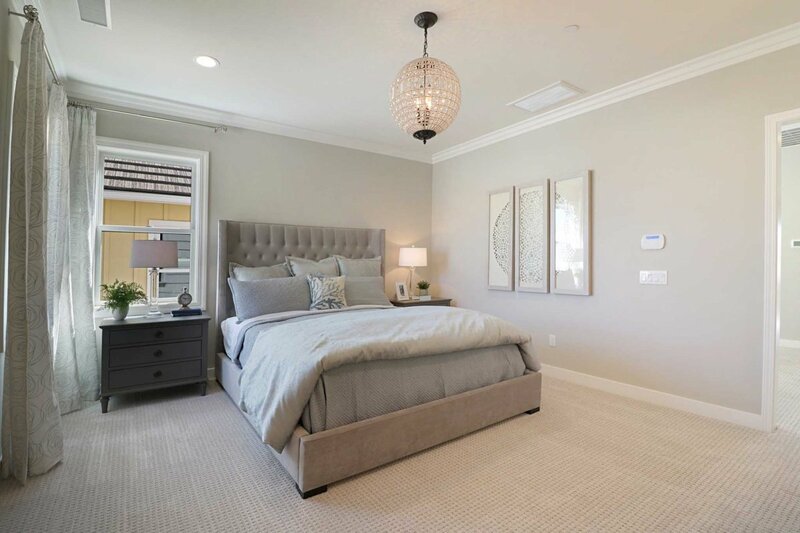 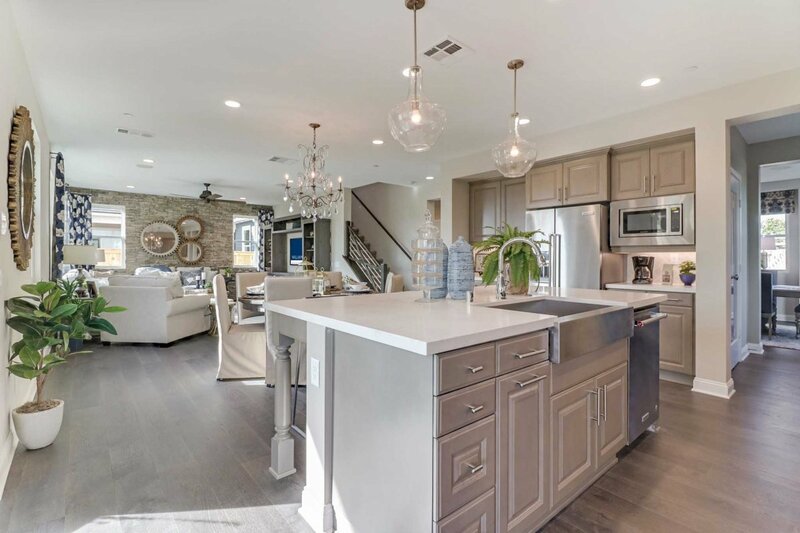 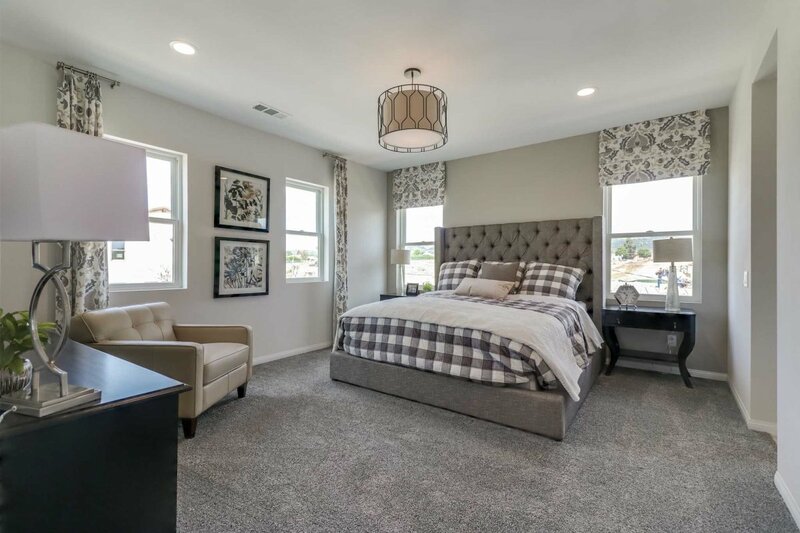 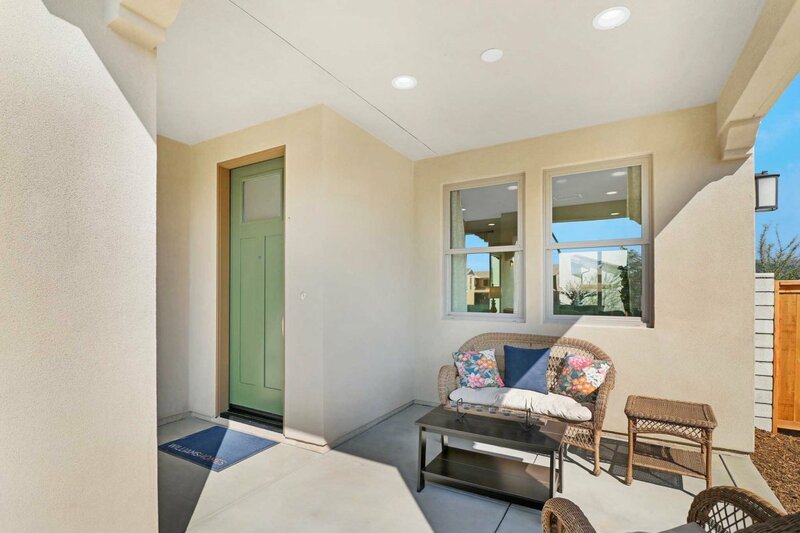 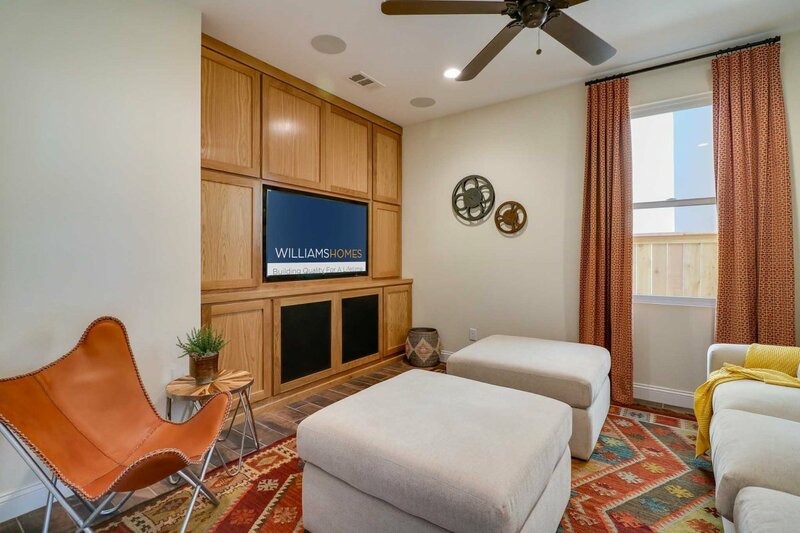 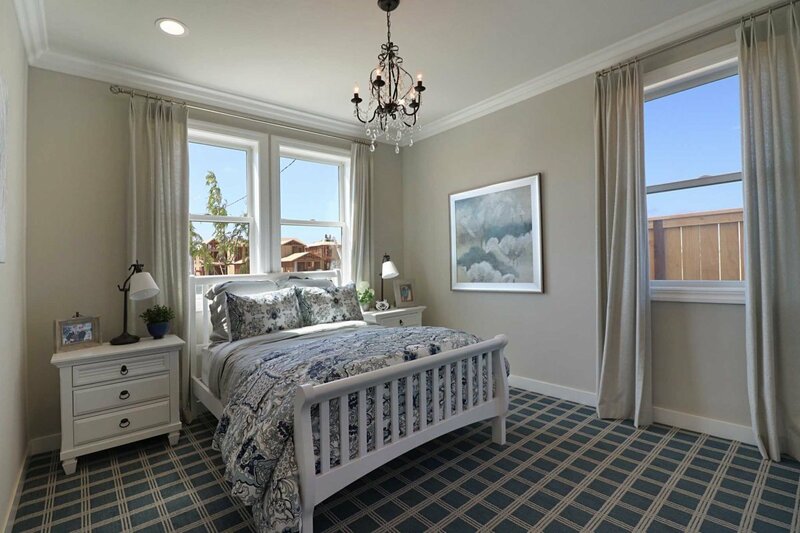 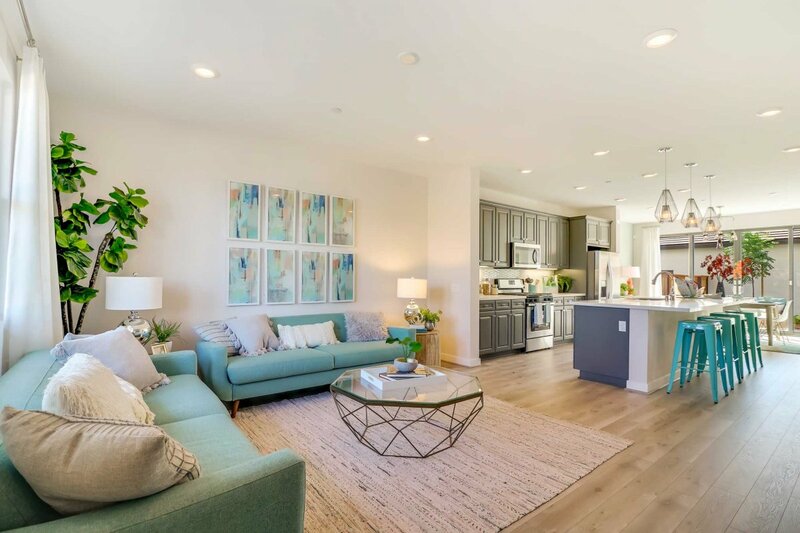 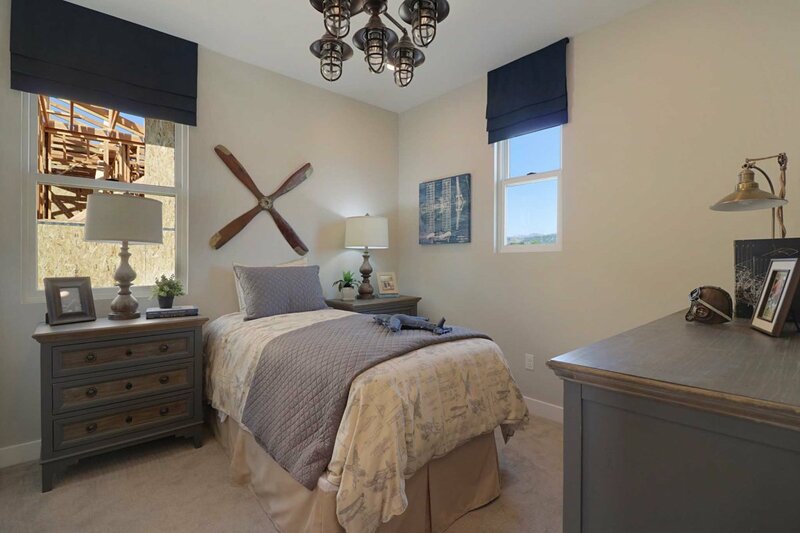 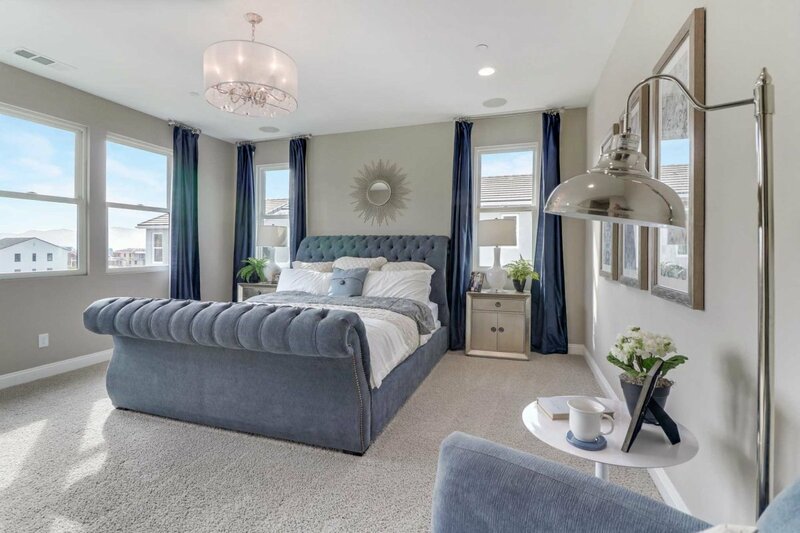 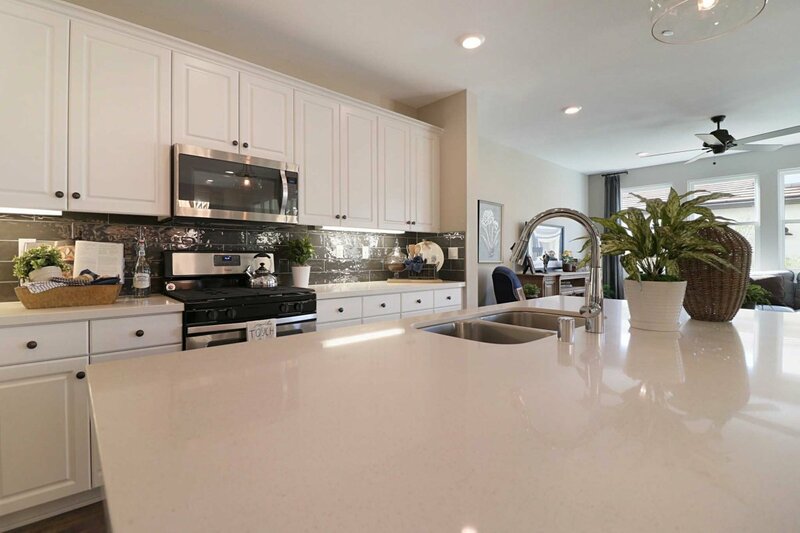 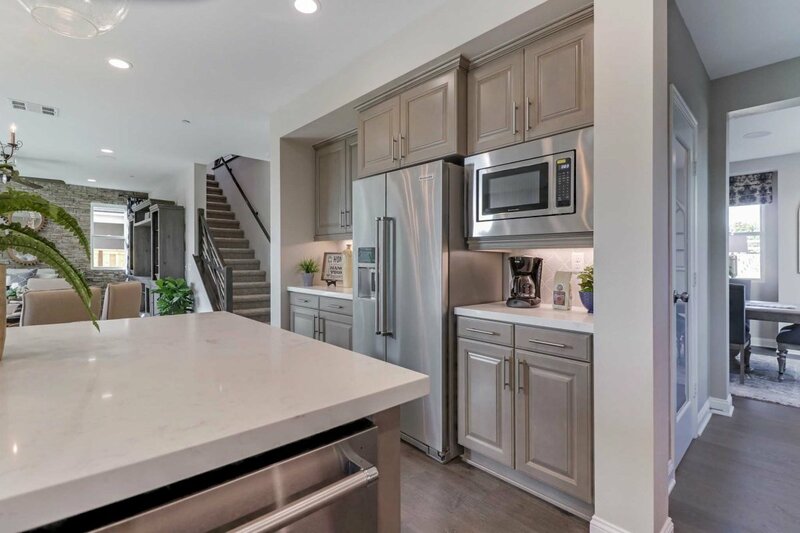 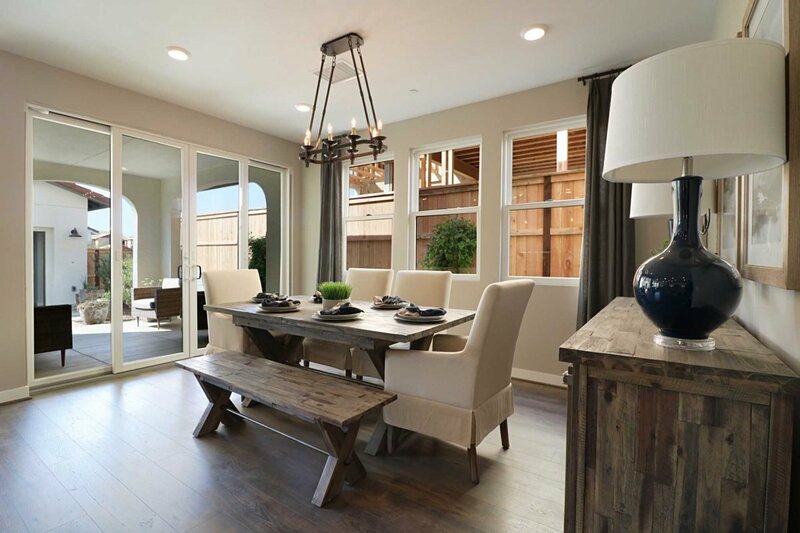 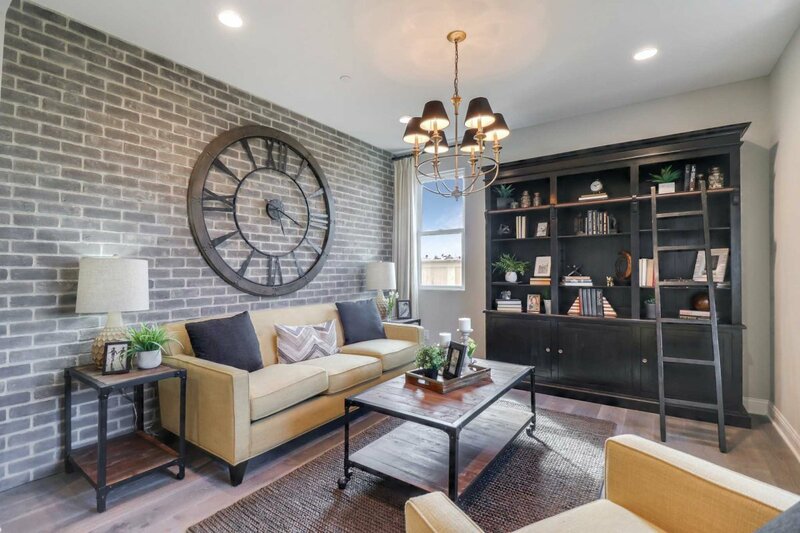 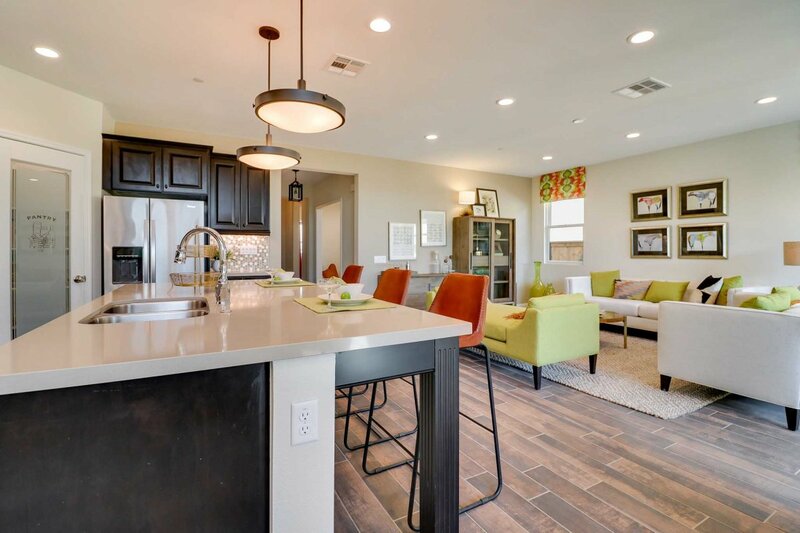 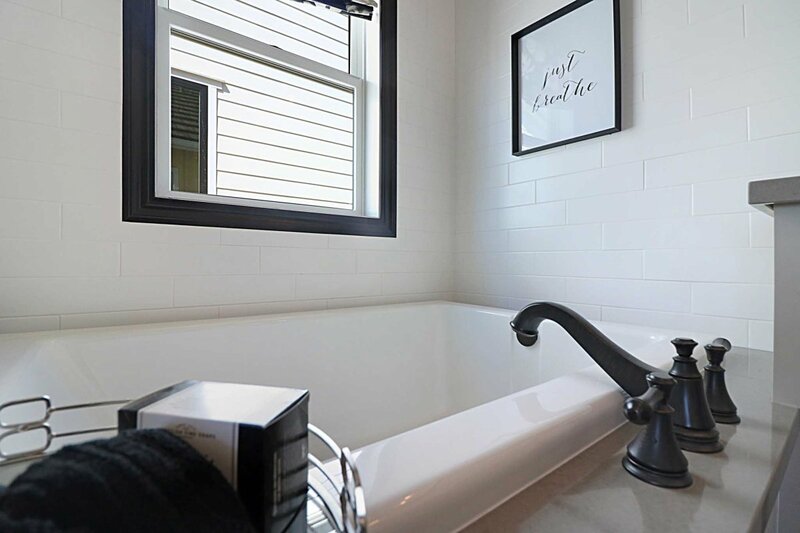 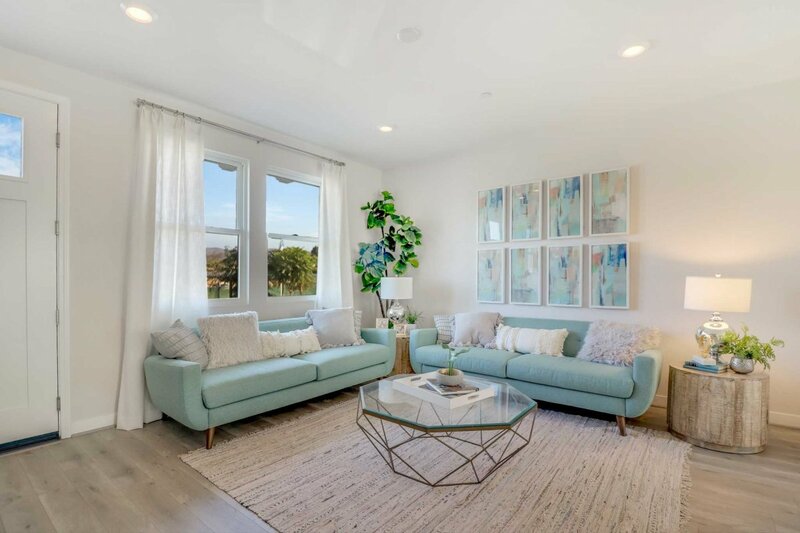 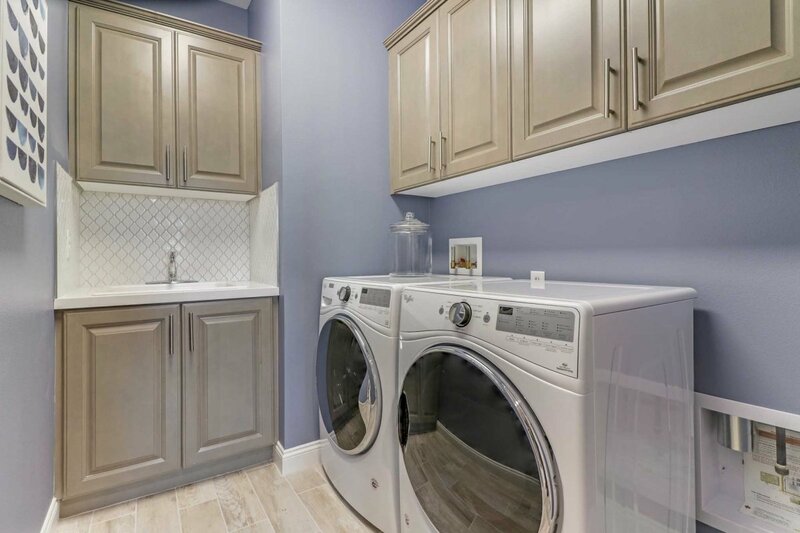 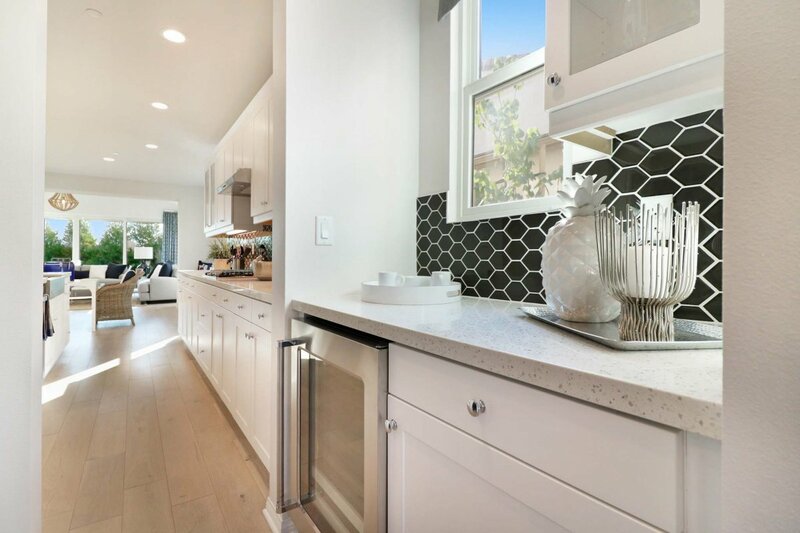 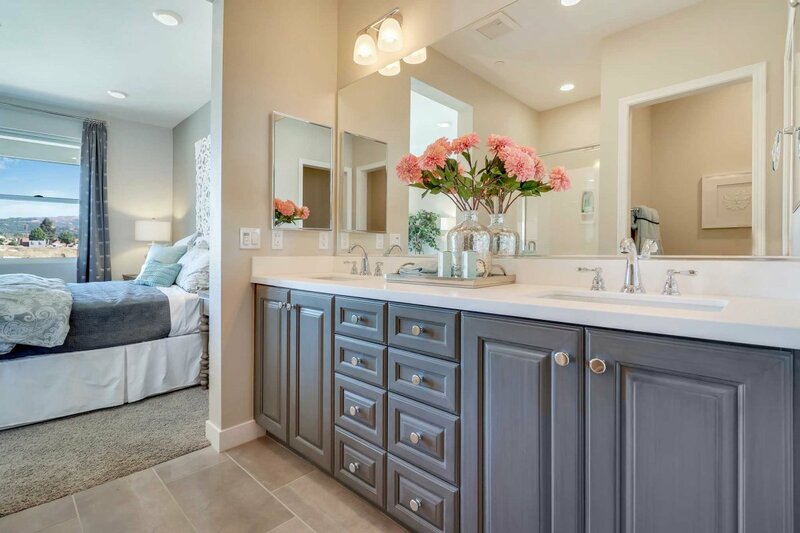 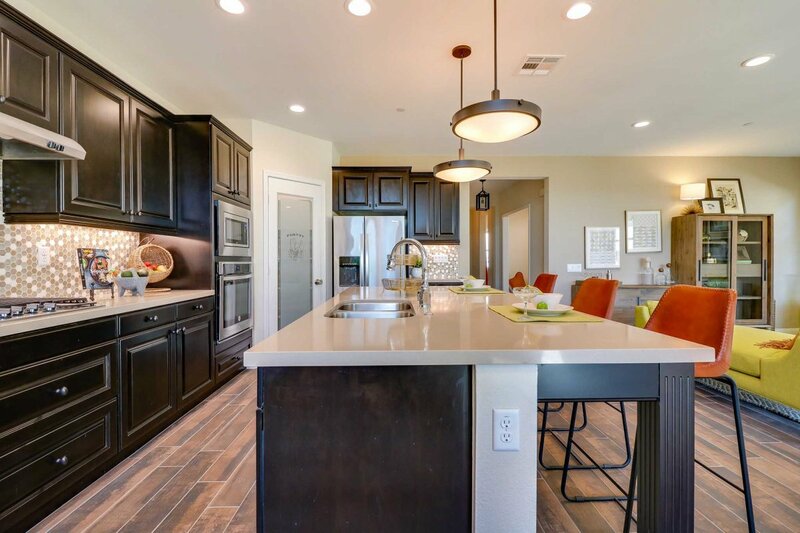 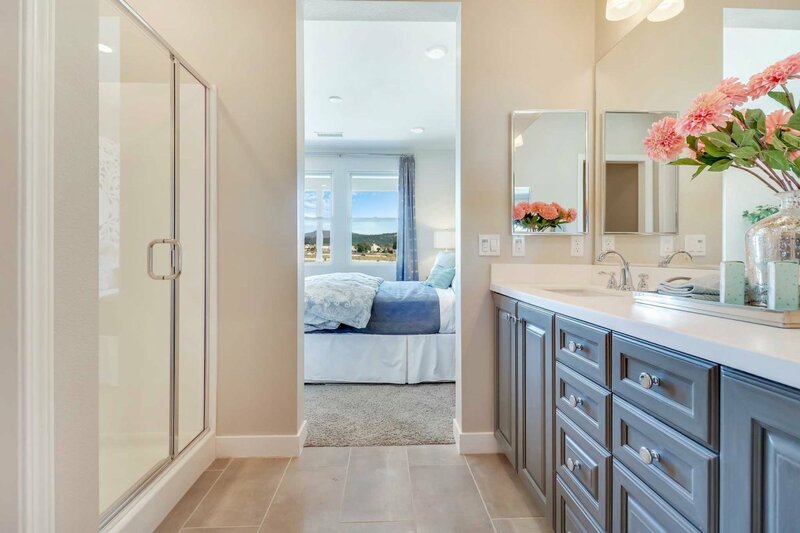 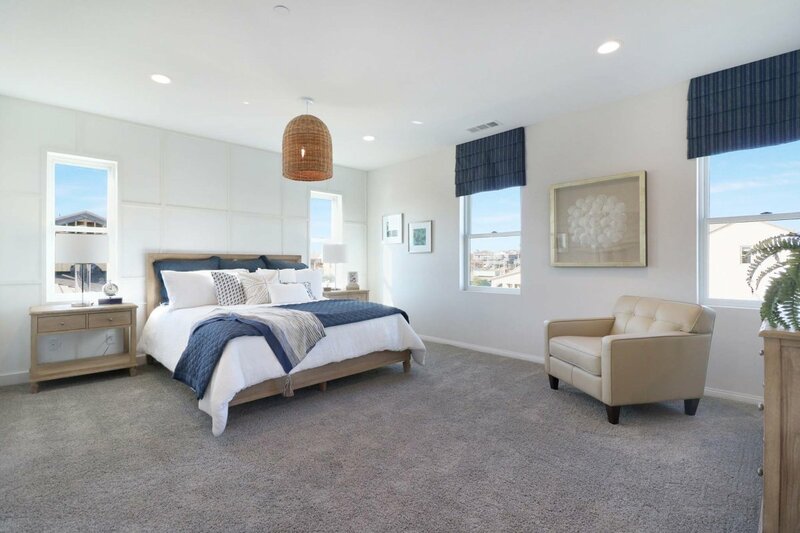 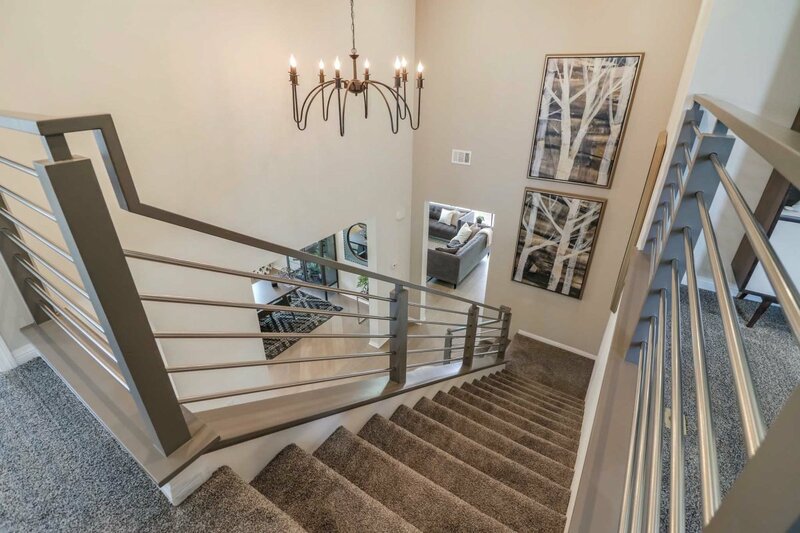 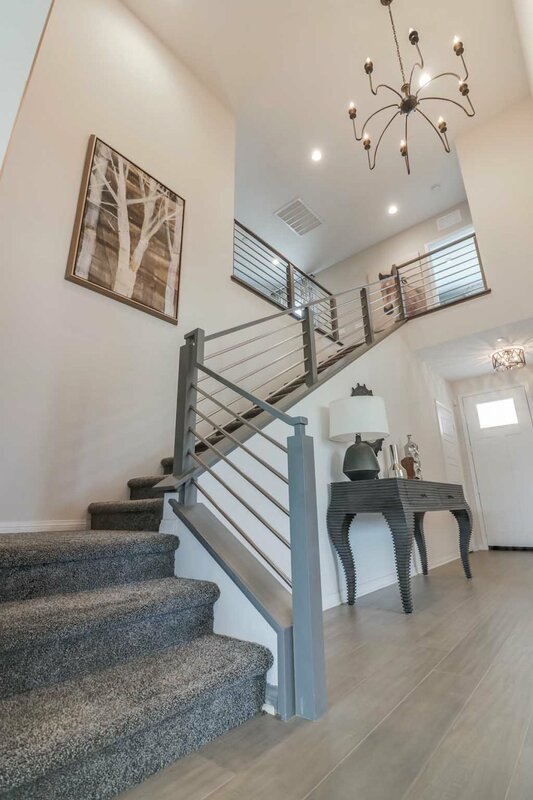 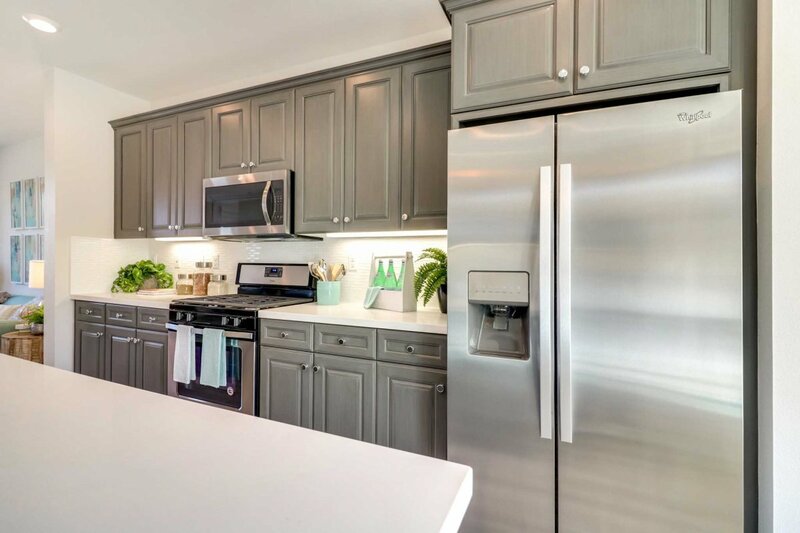 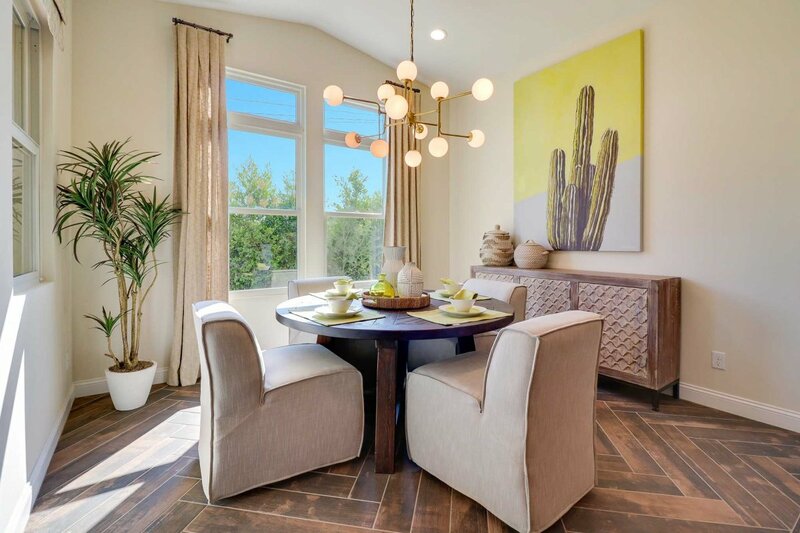 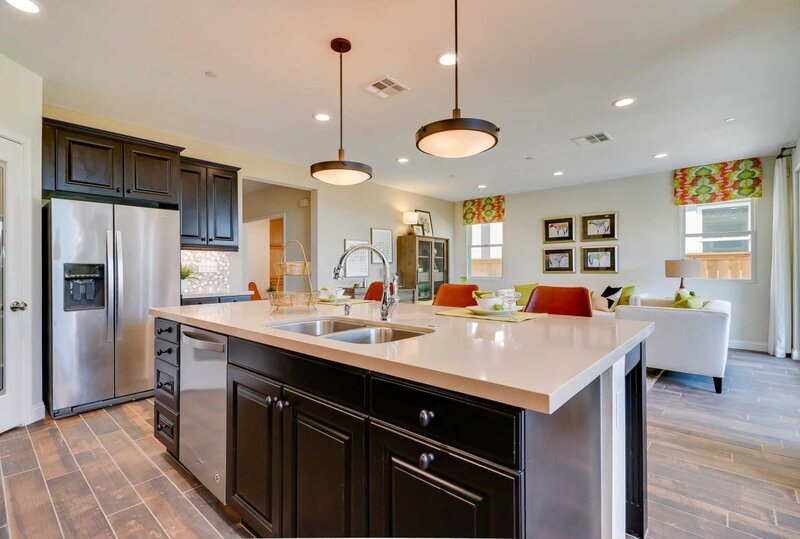 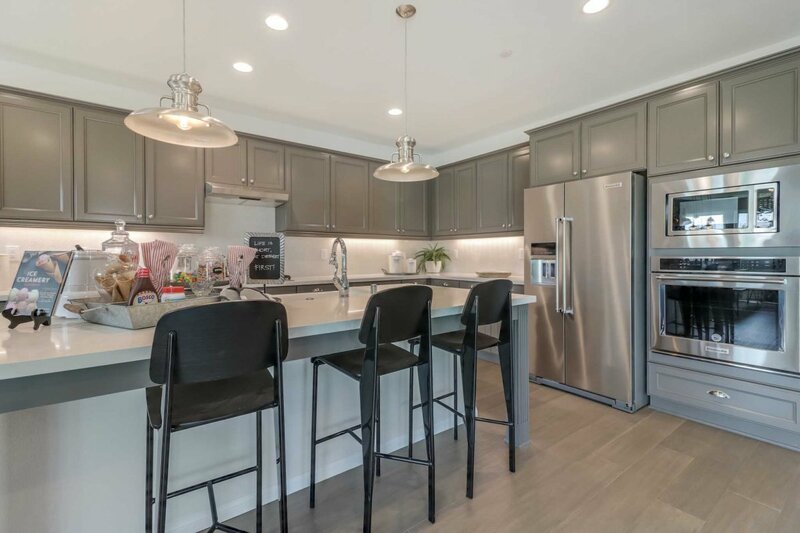 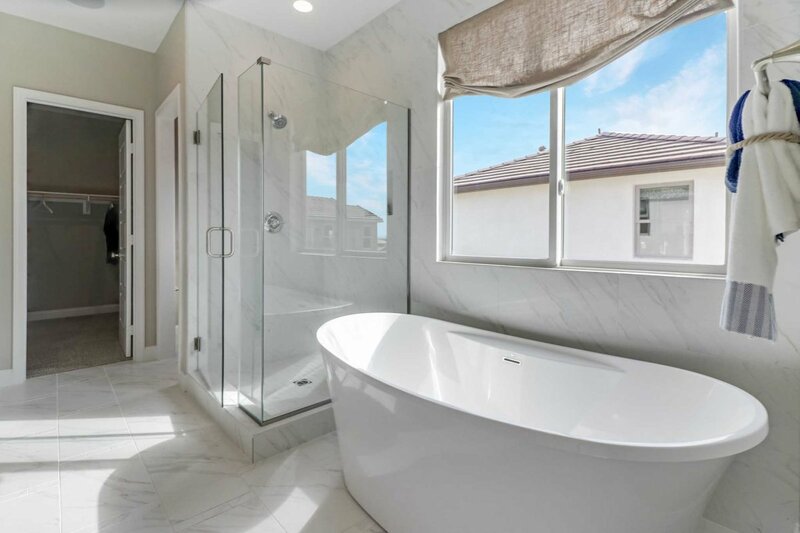 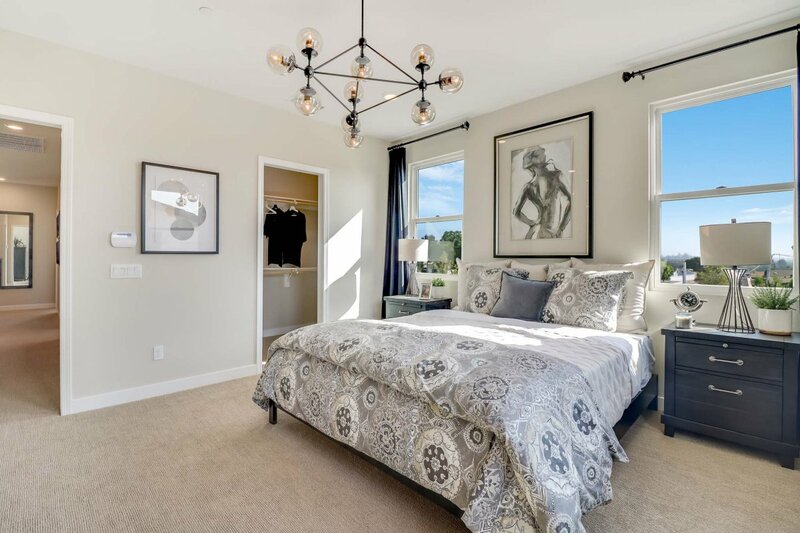 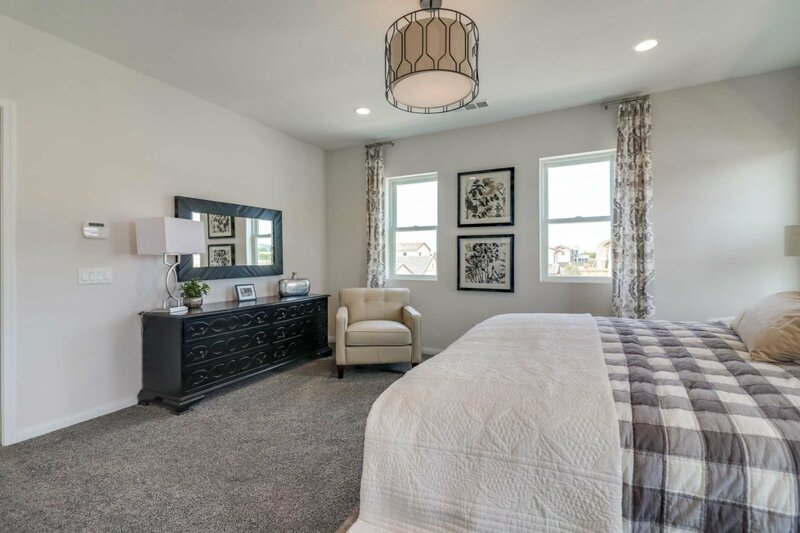 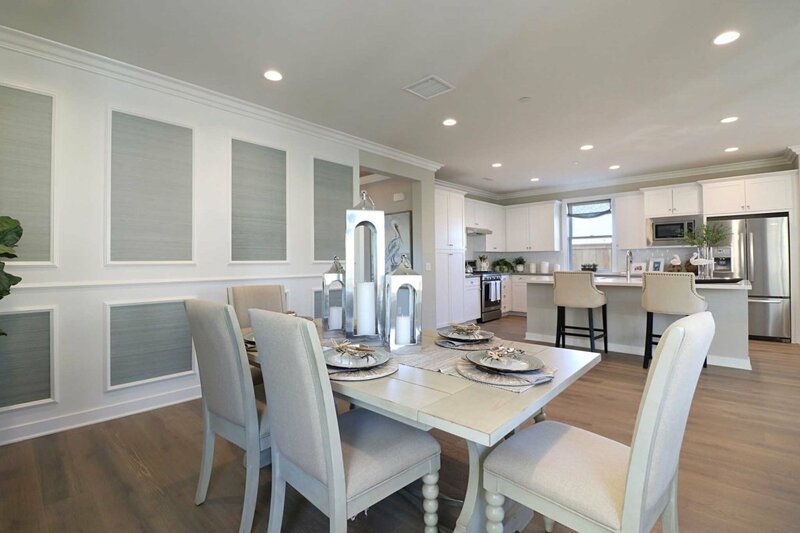 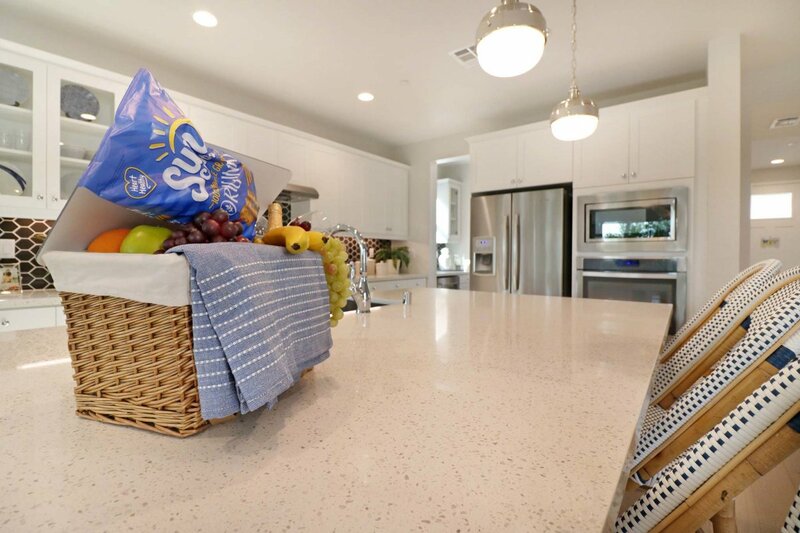 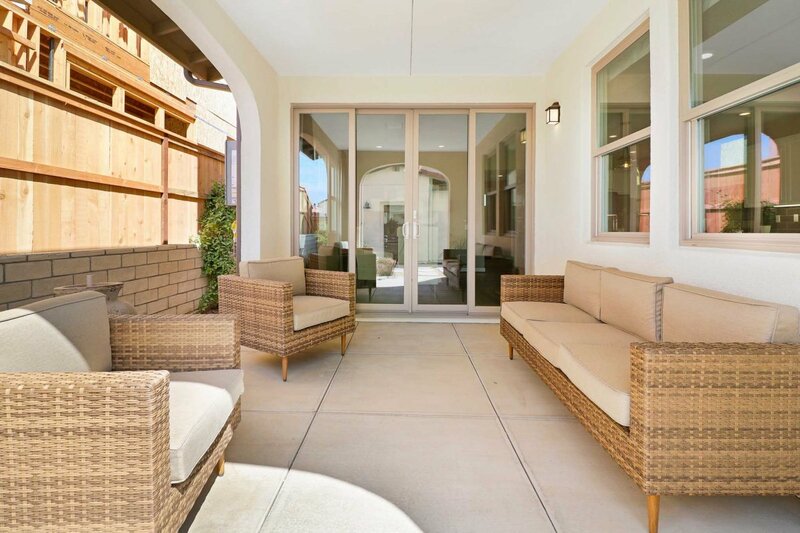 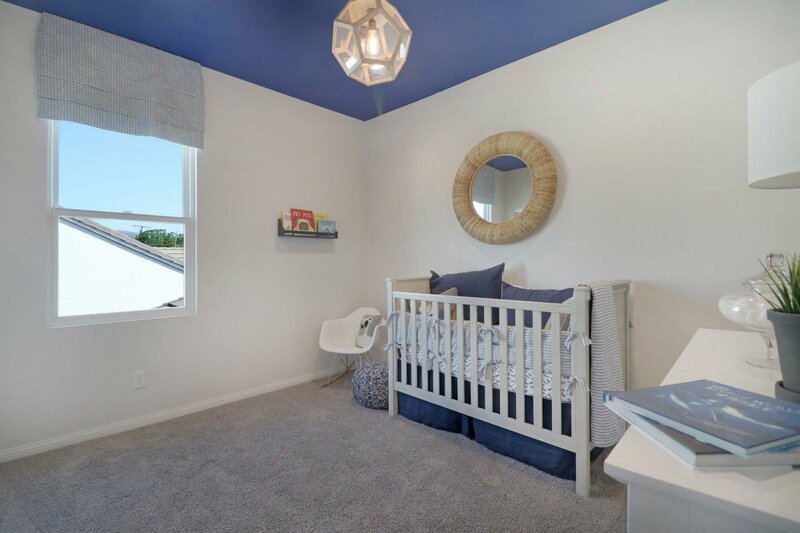 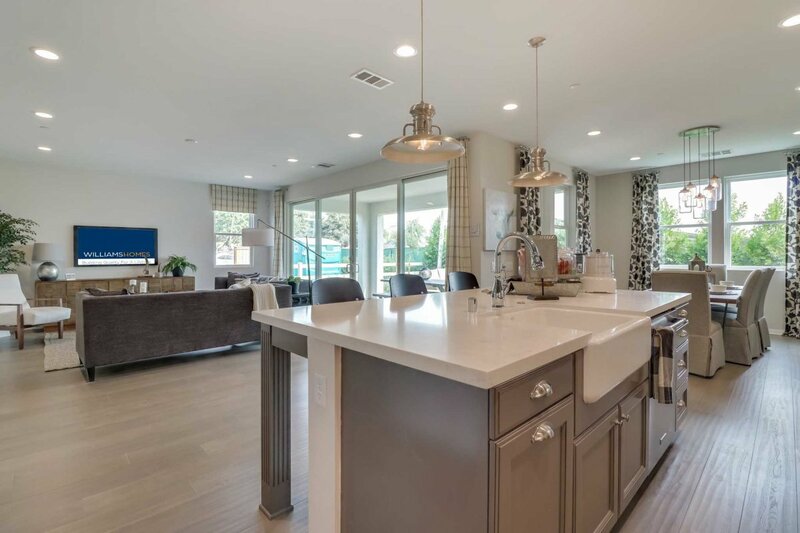 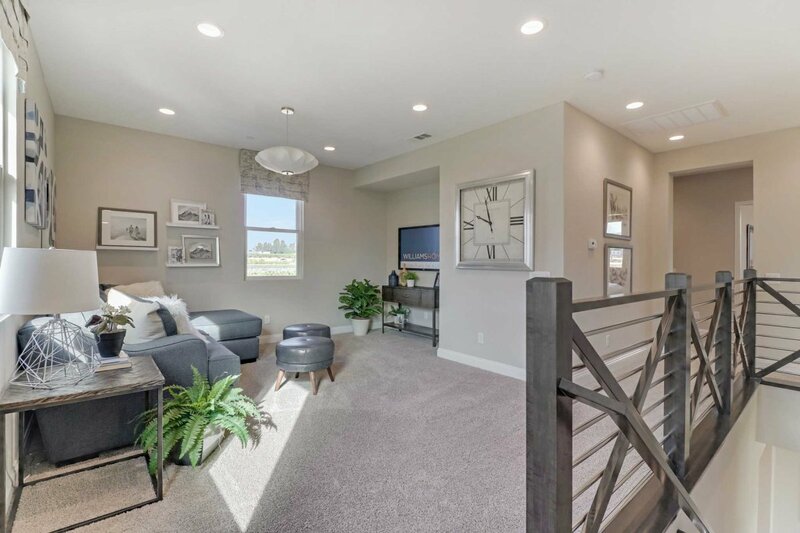 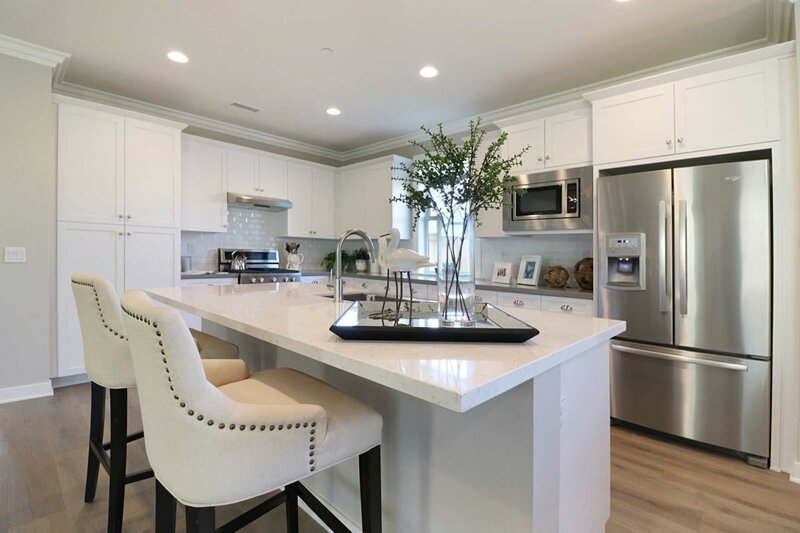 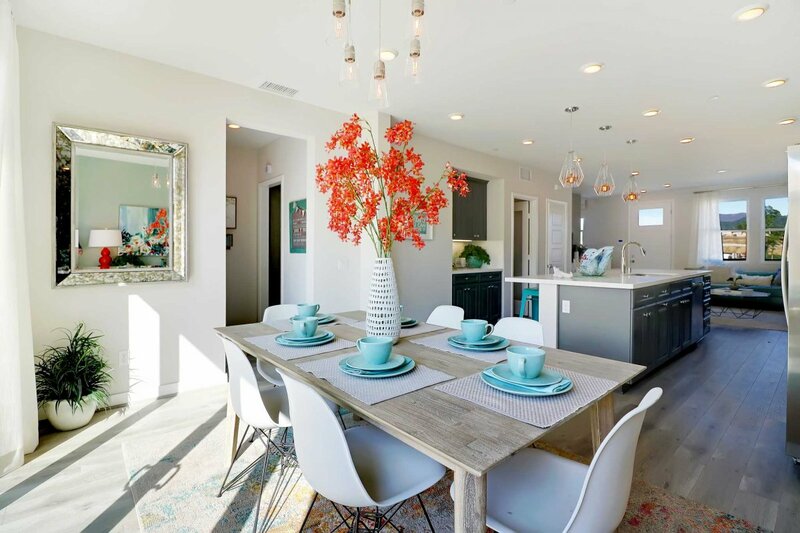 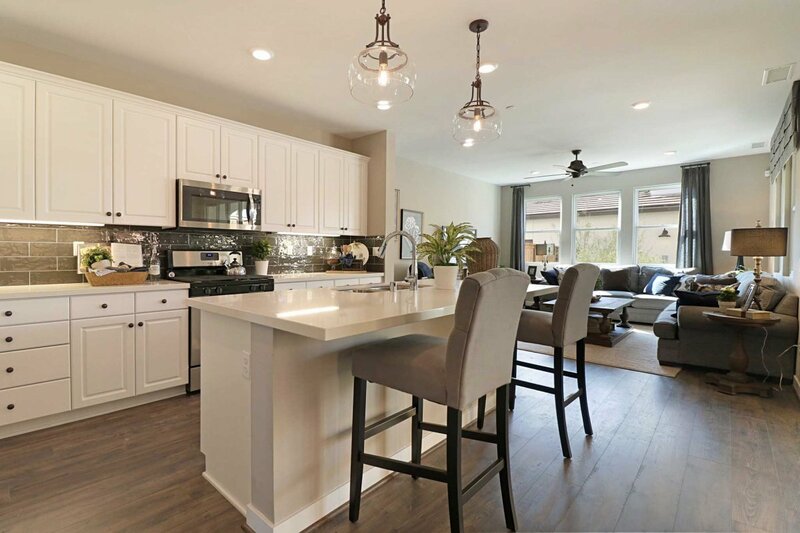 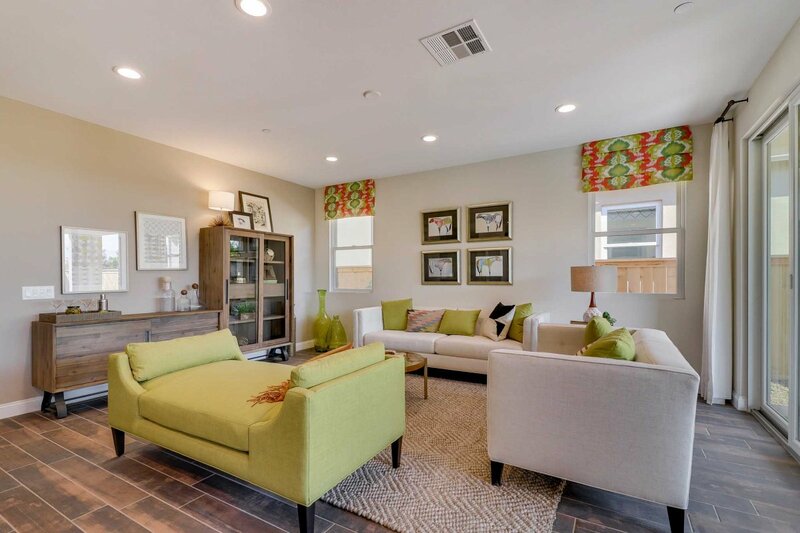 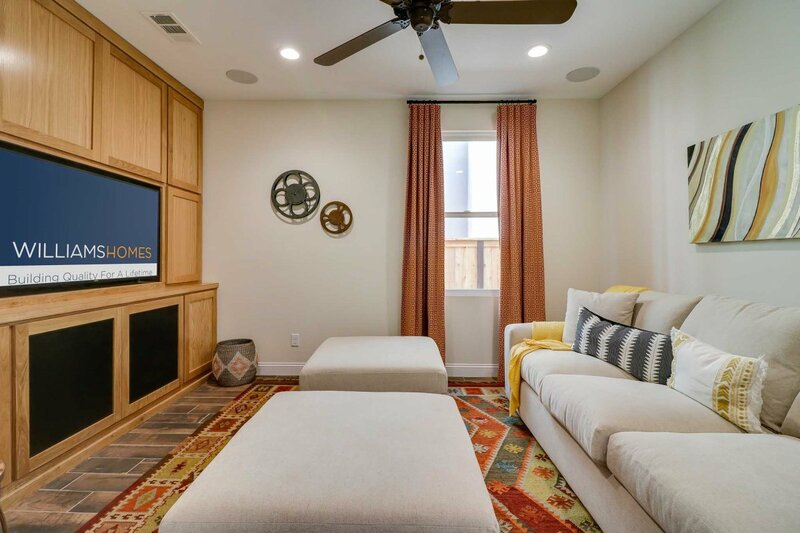 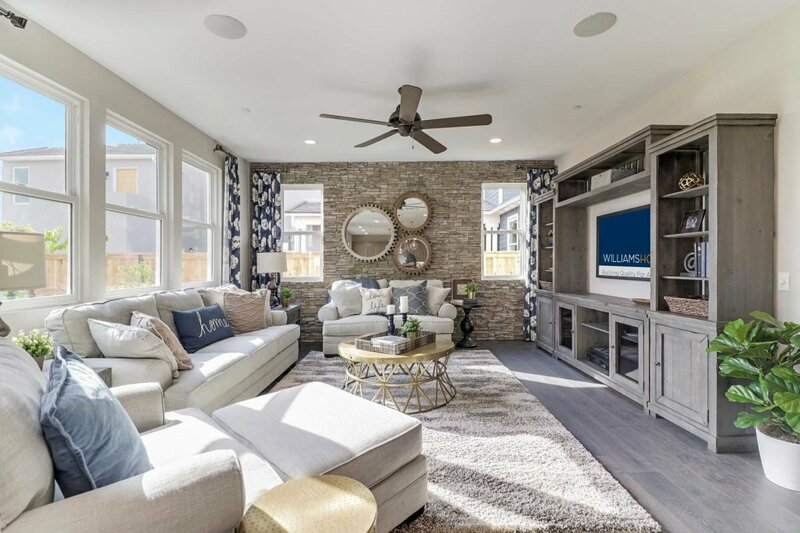 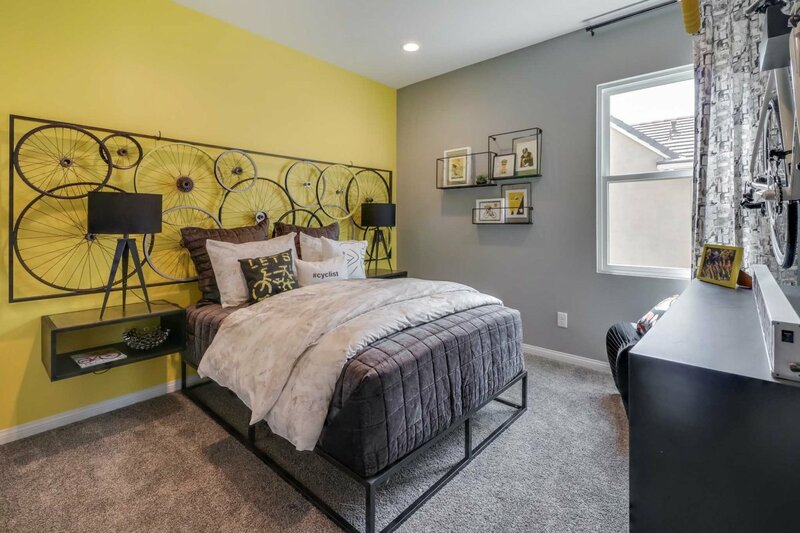 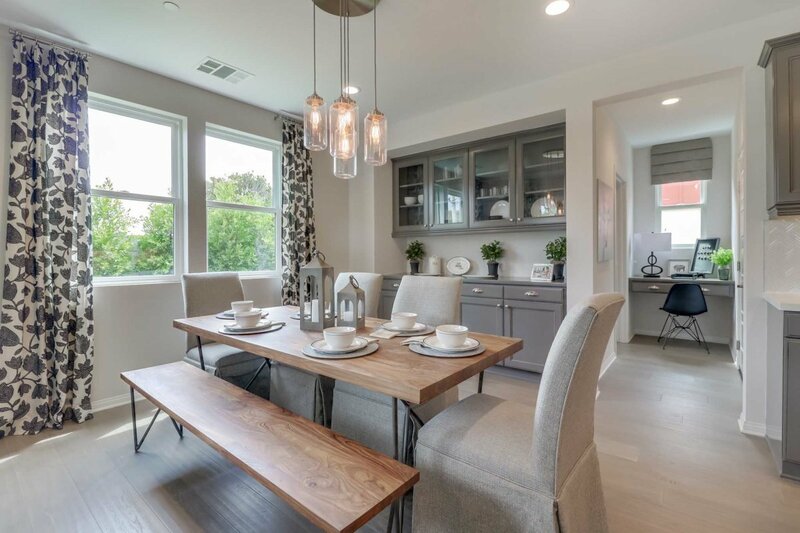 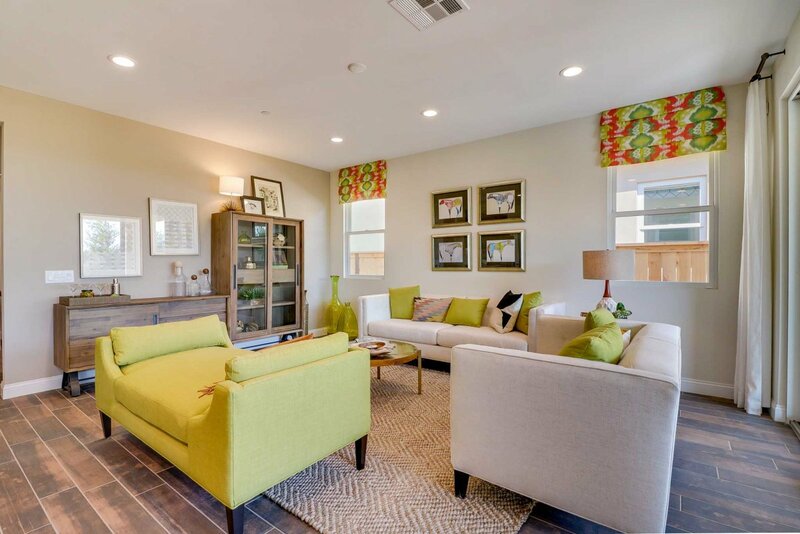 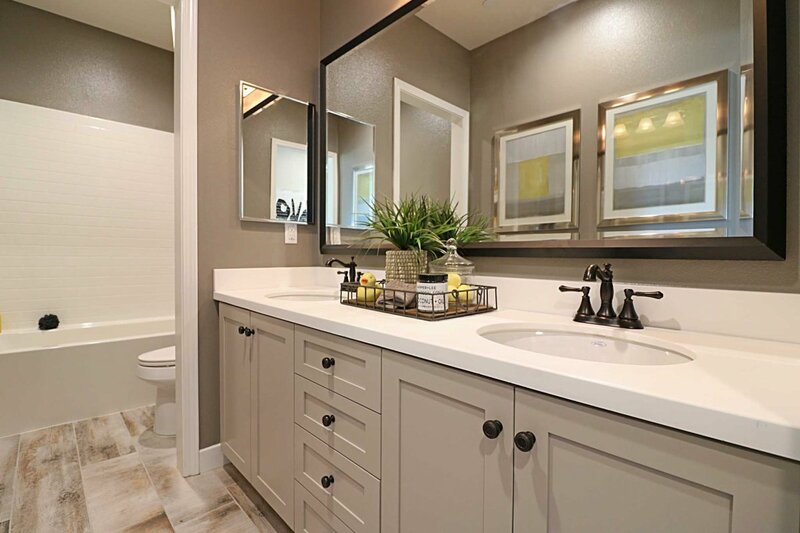 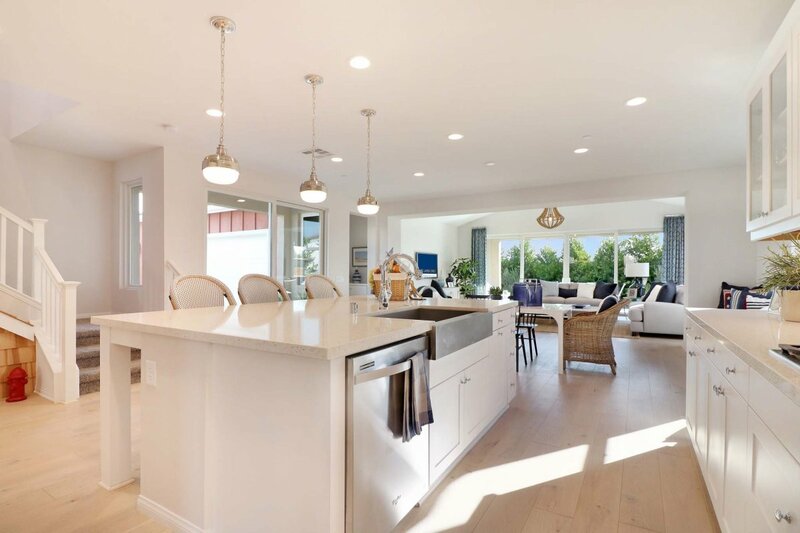 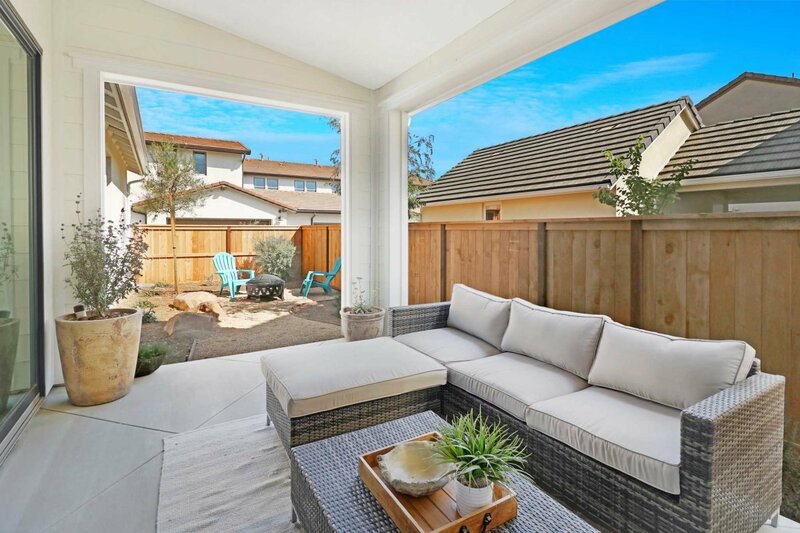 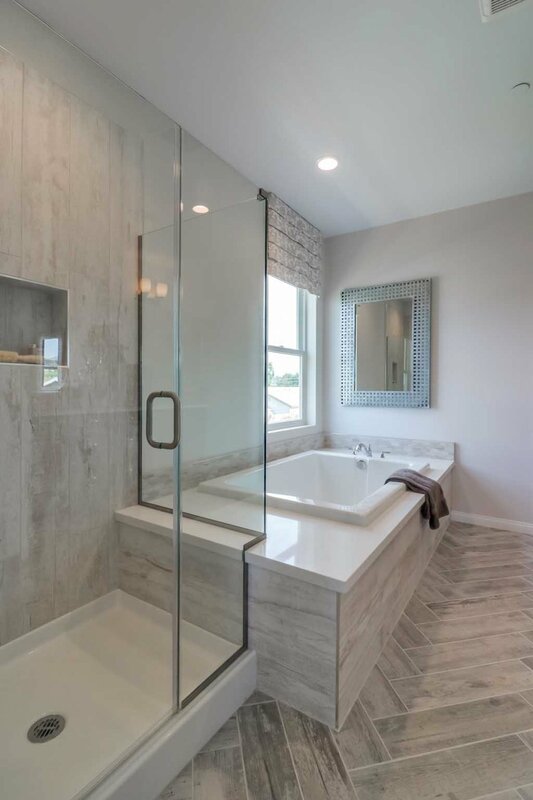 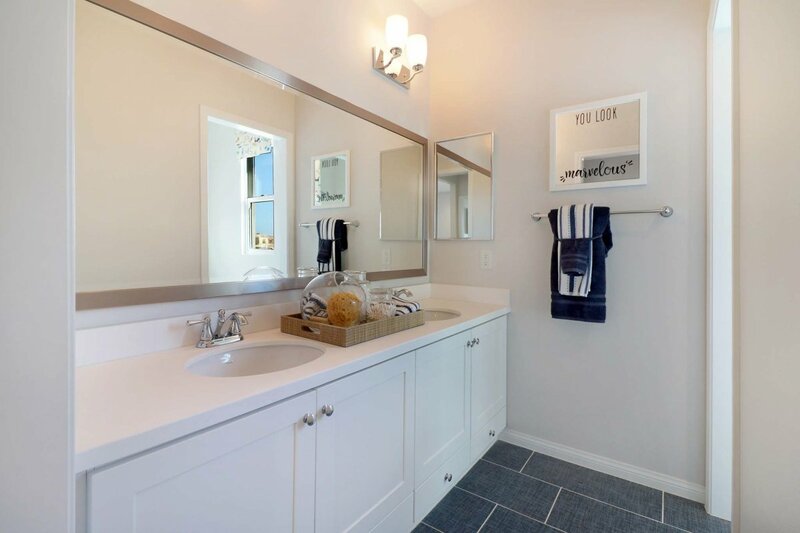 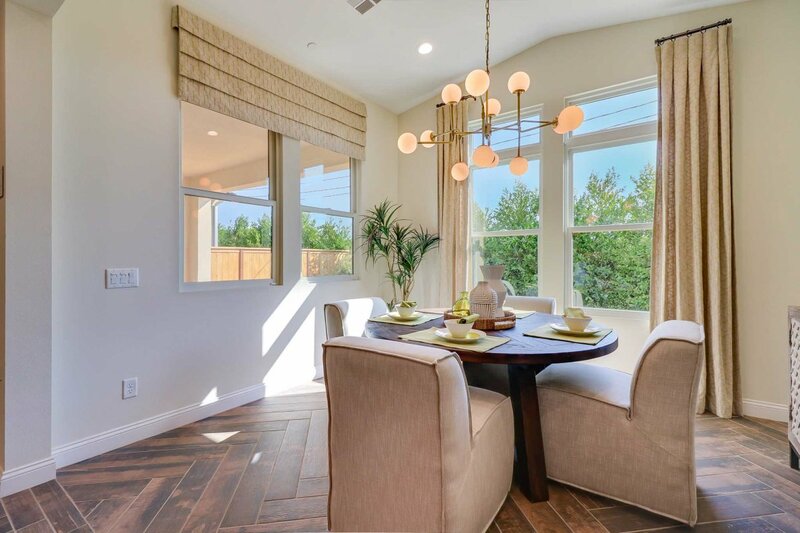 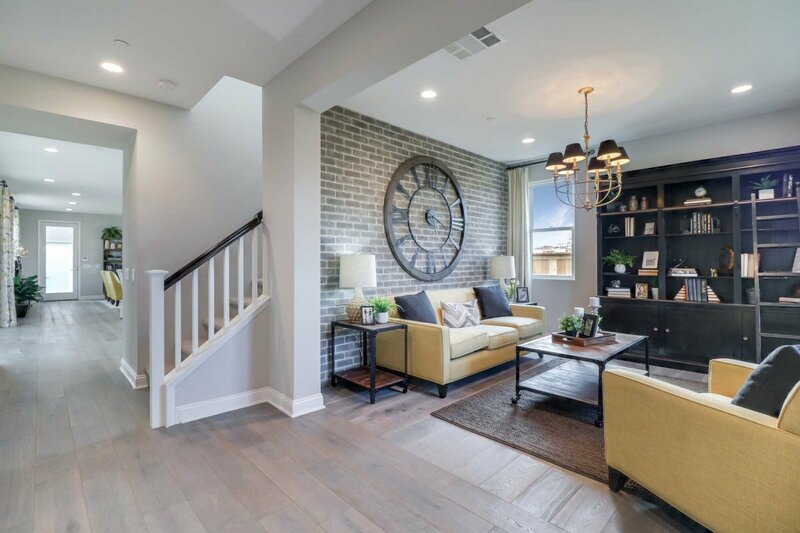 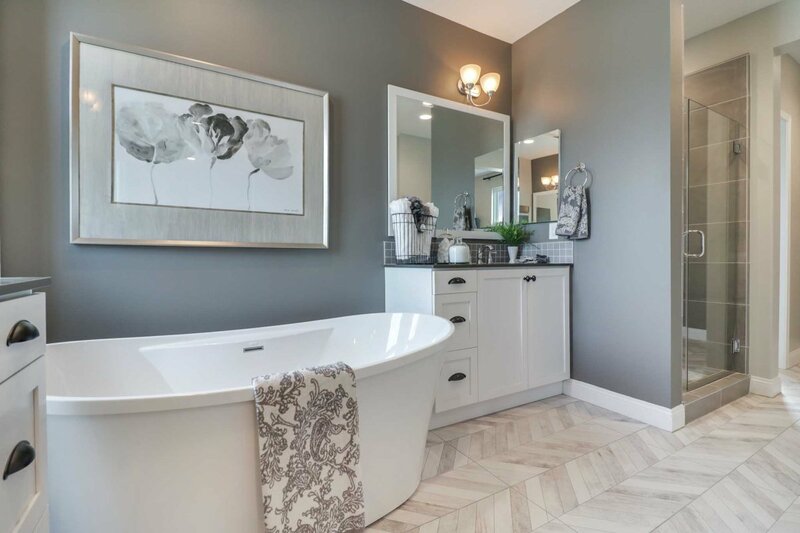 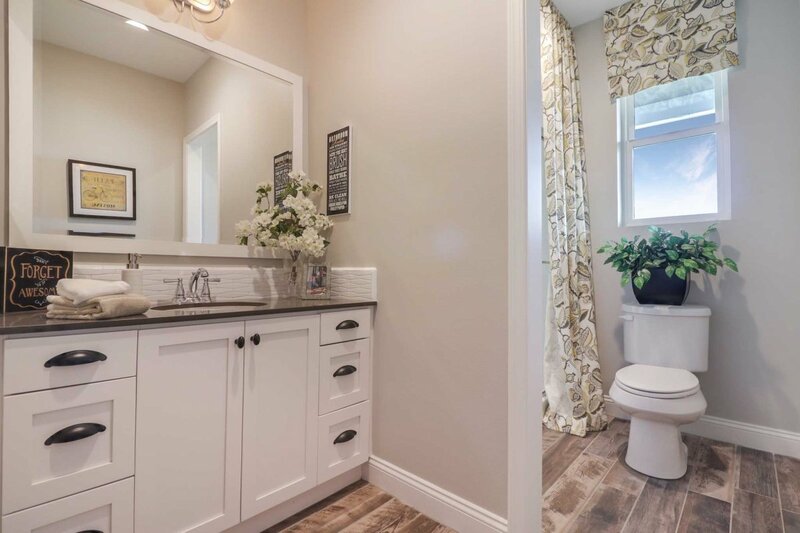 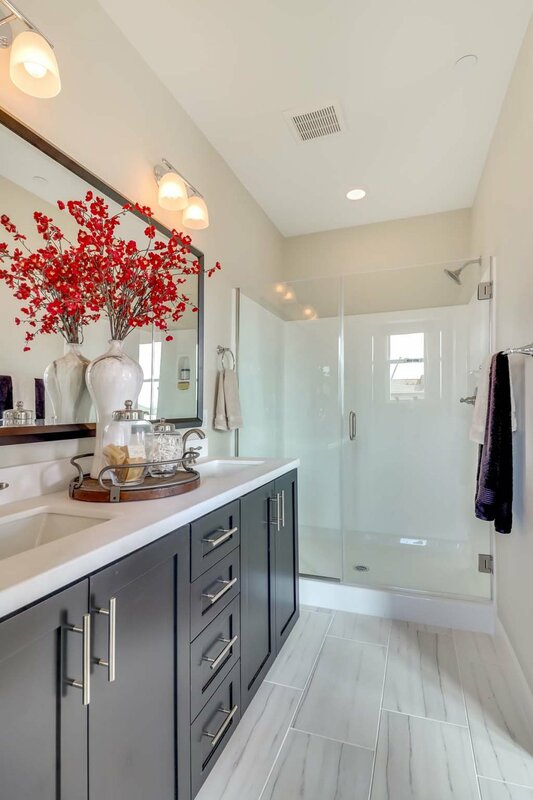 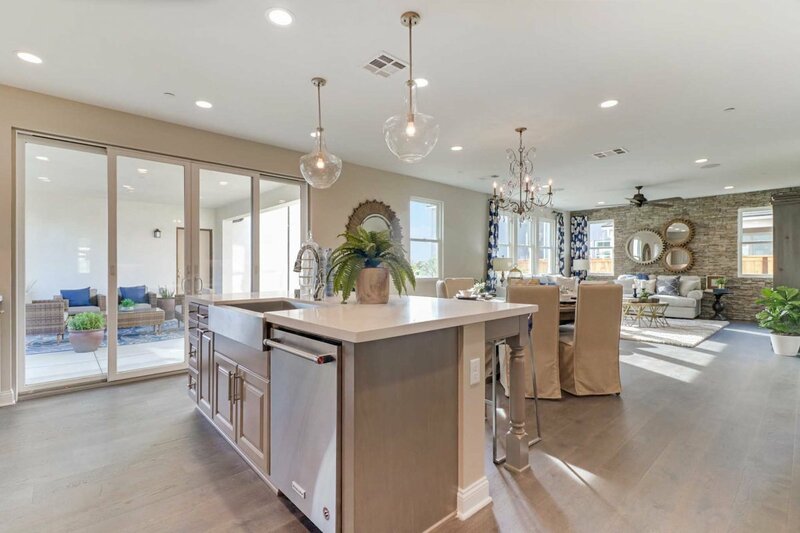 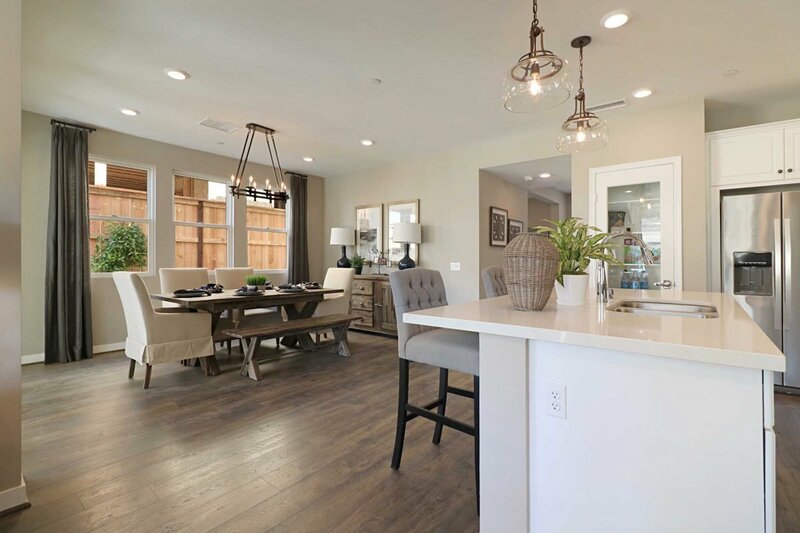 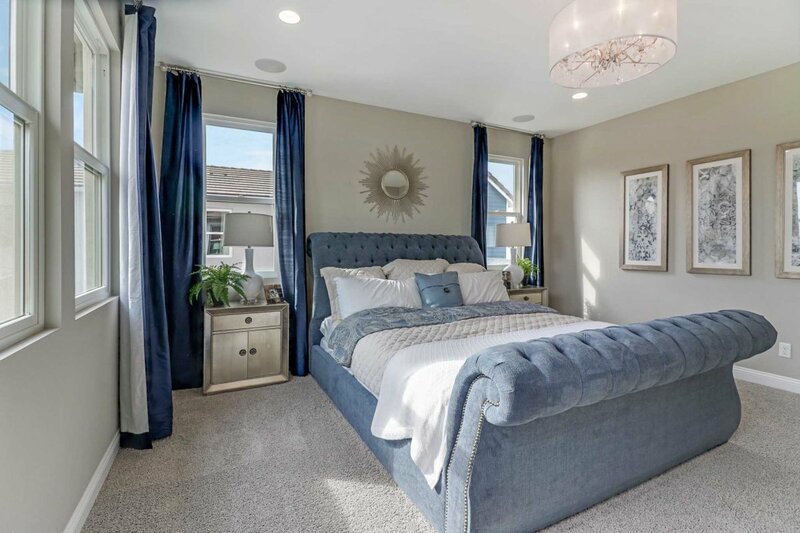 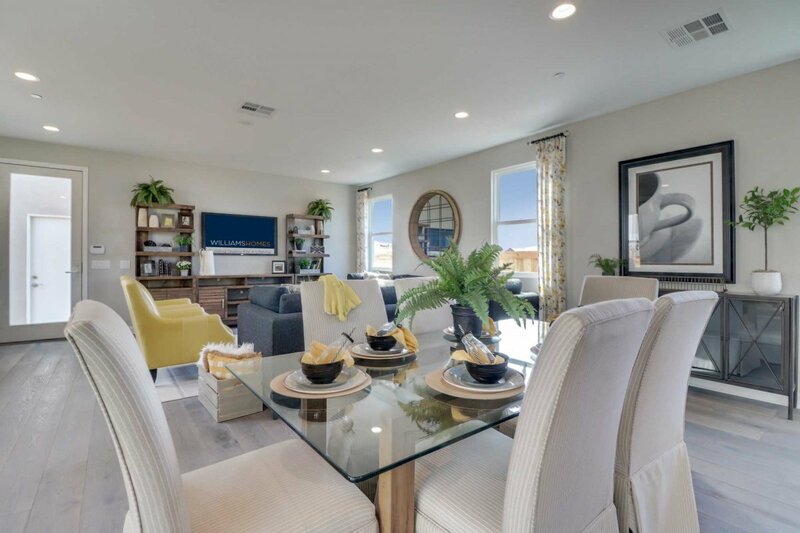 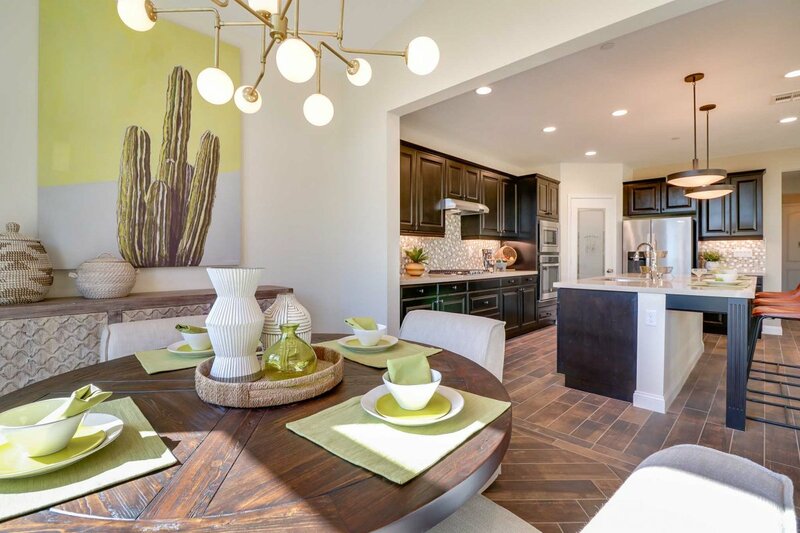 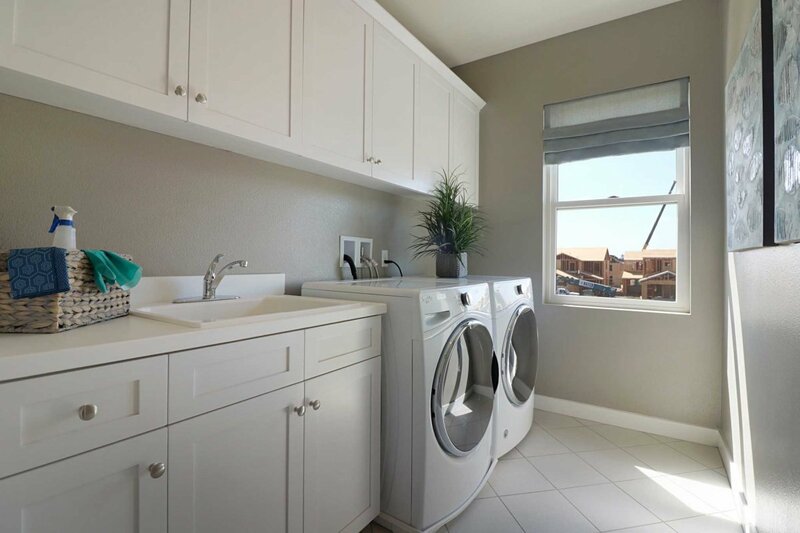 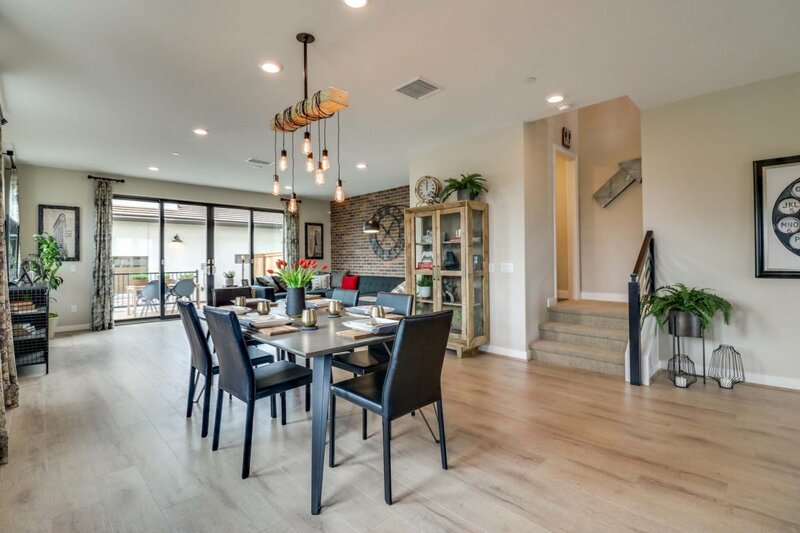 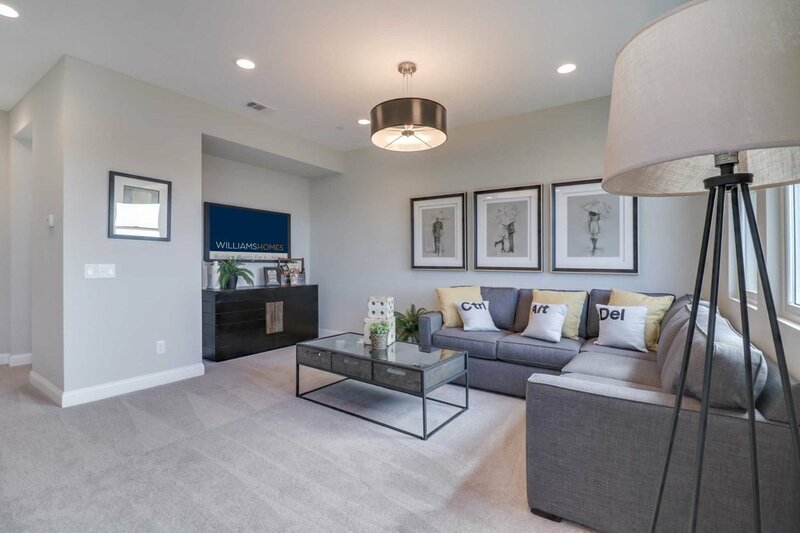 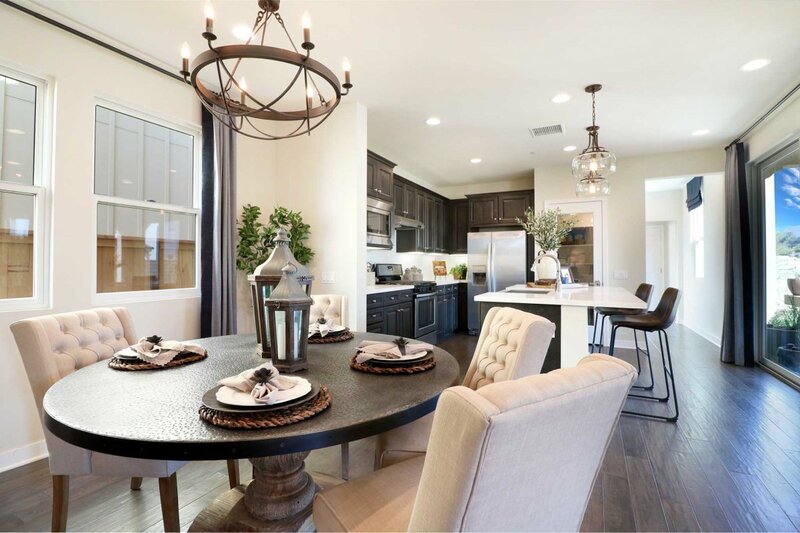 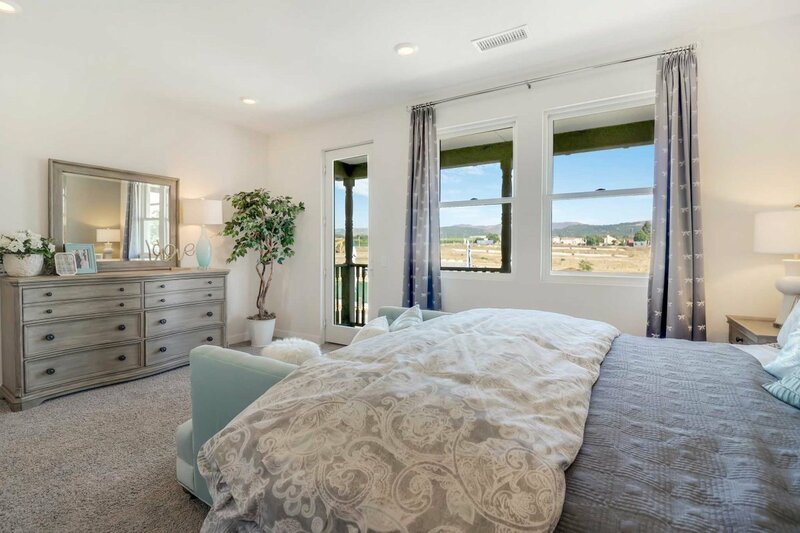 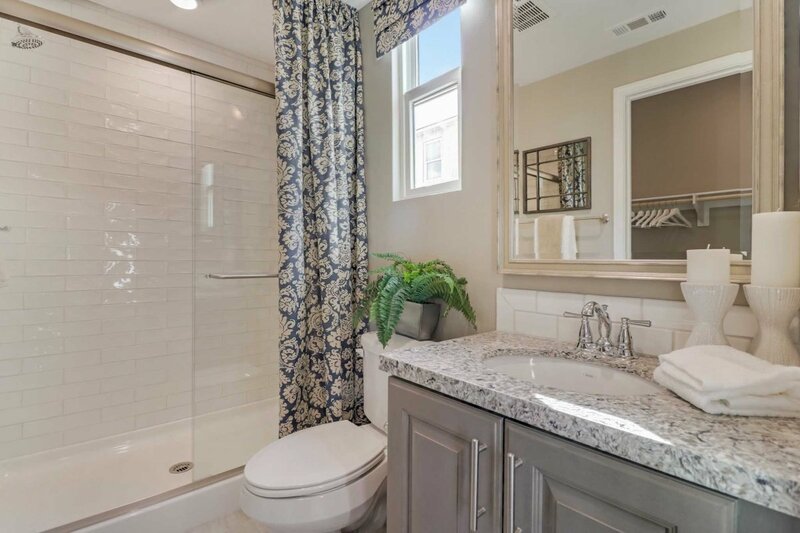 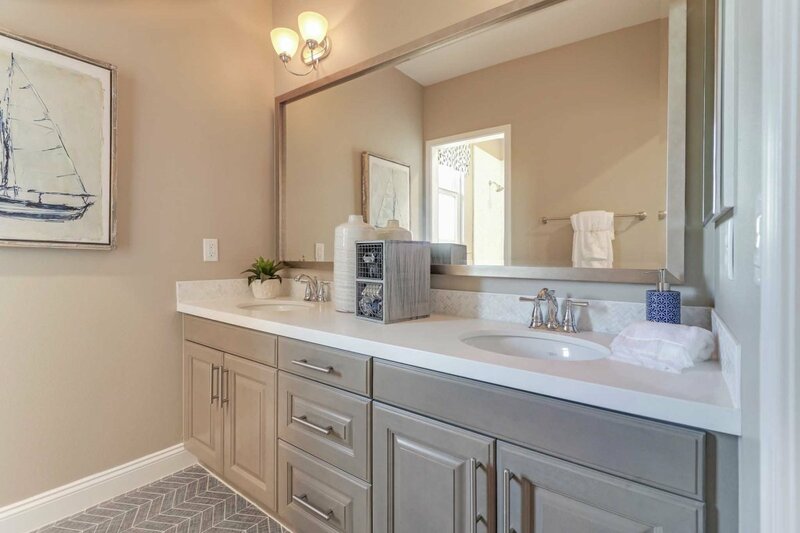 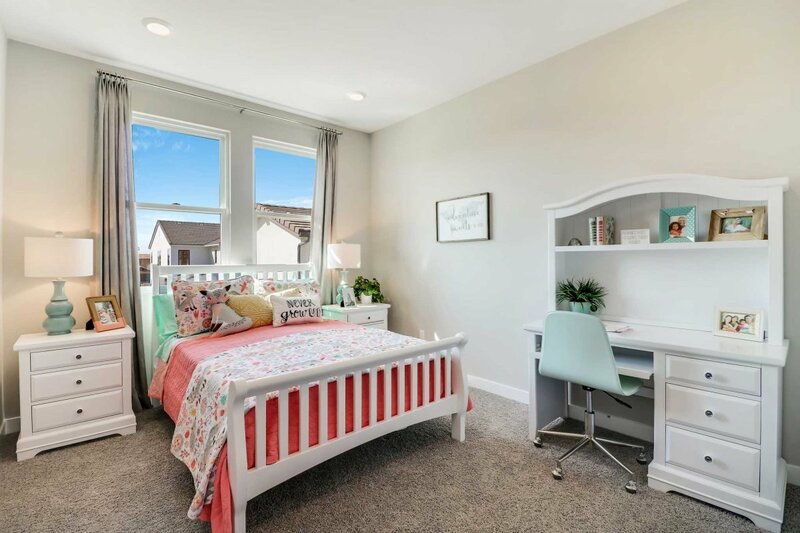 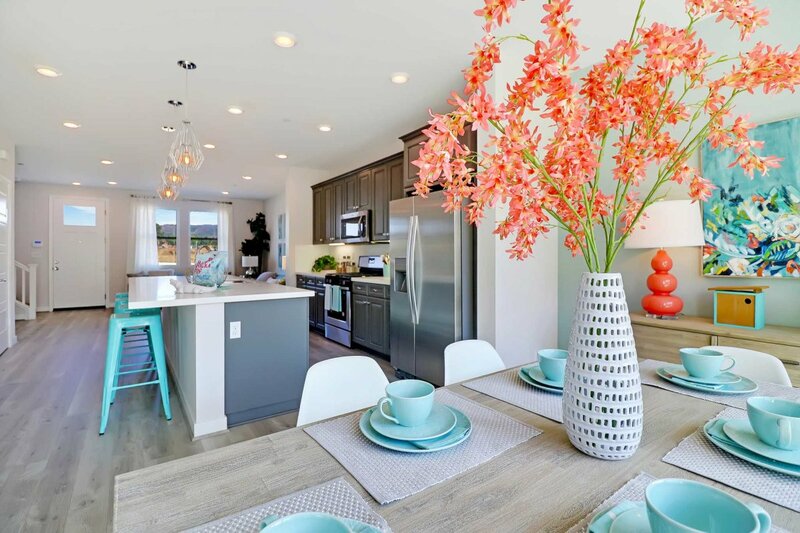 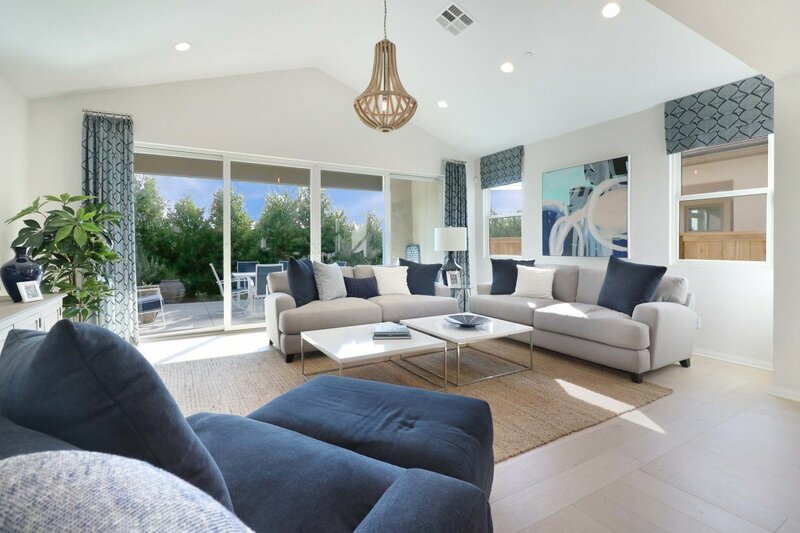 Light-filled and spacious, the homes at Olivas include virtually every feature and amenity imaginable, such as open-concept living spaces, standard or optional California Rooms, and the most sought-after appointments and conveniences. 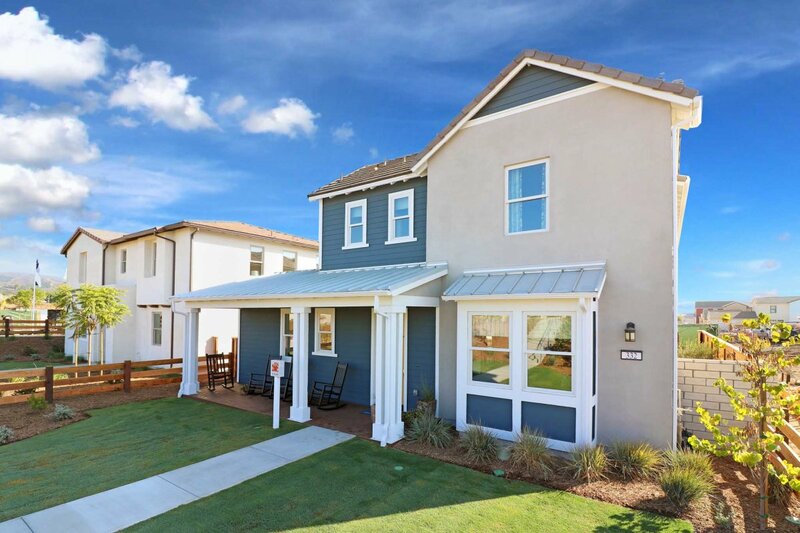 Experience these homes for yourself to appreciate the refreshing appeal of this incredible new neighborhood at The Farm. 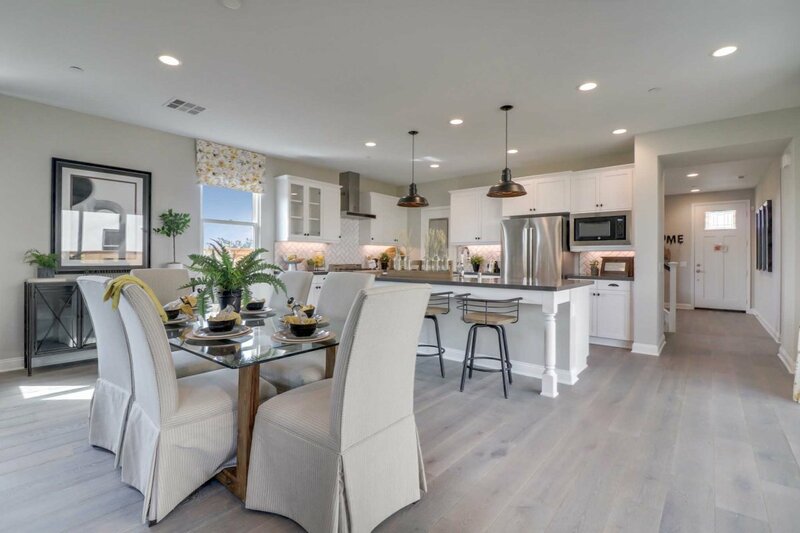 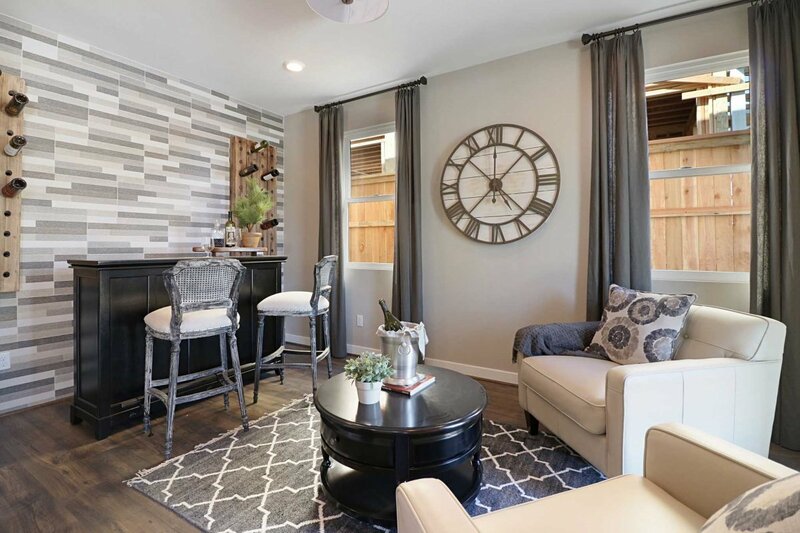 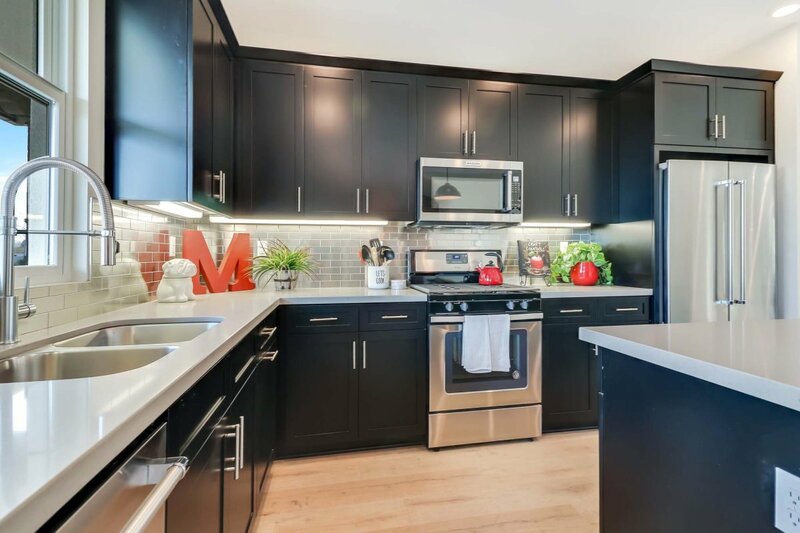 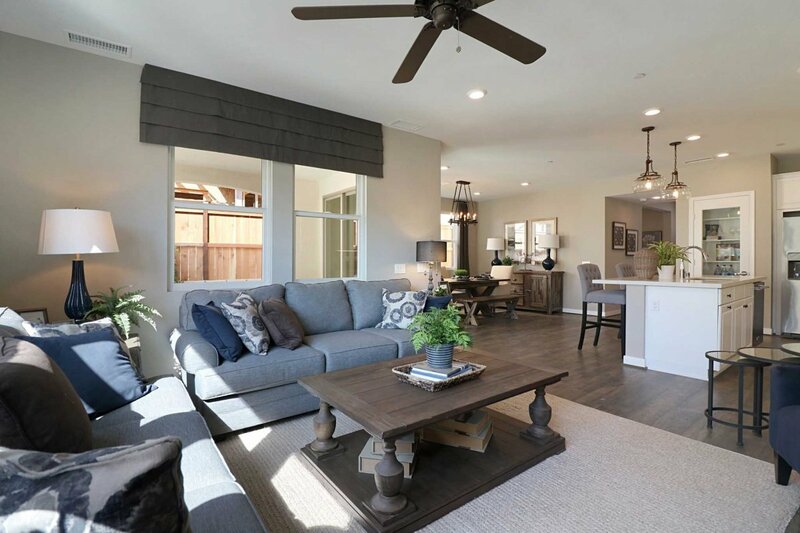 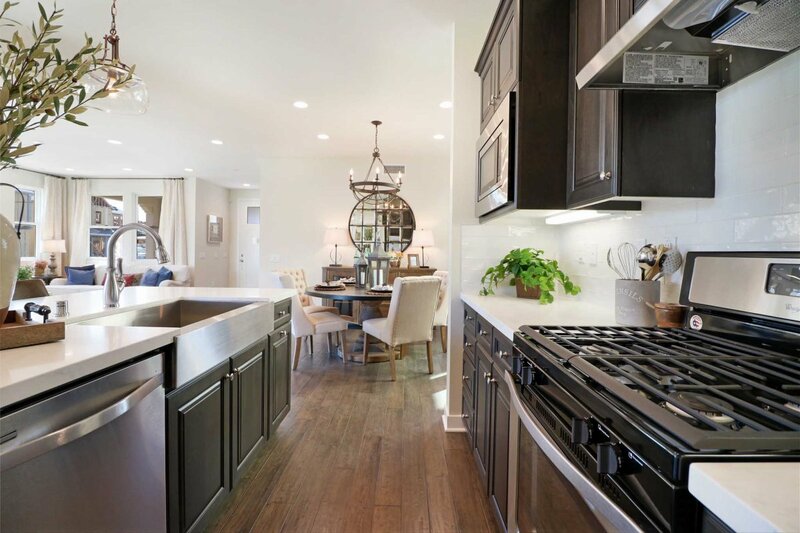 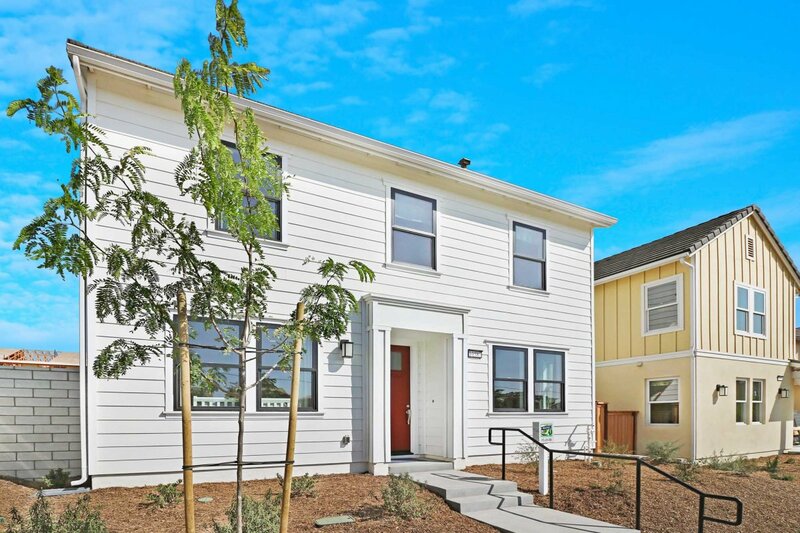 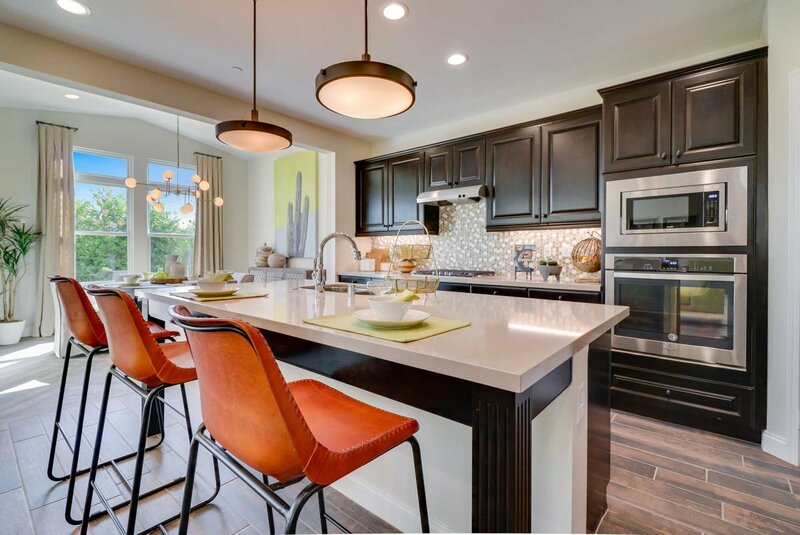 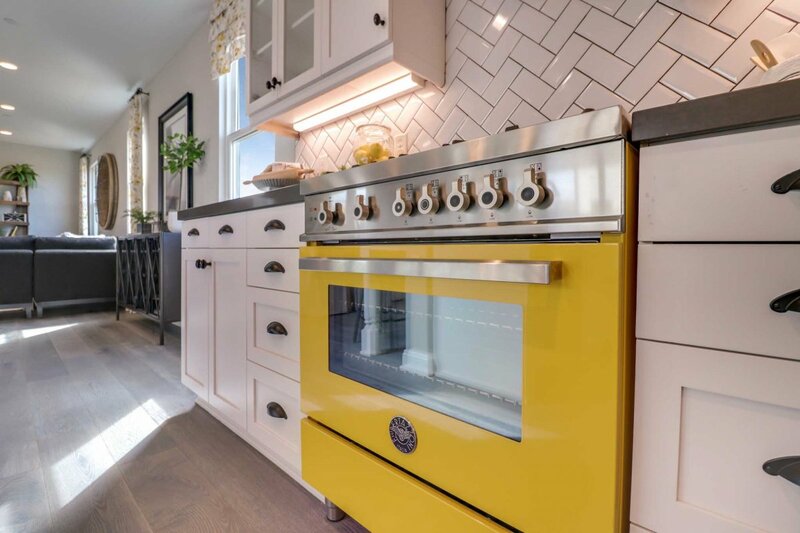 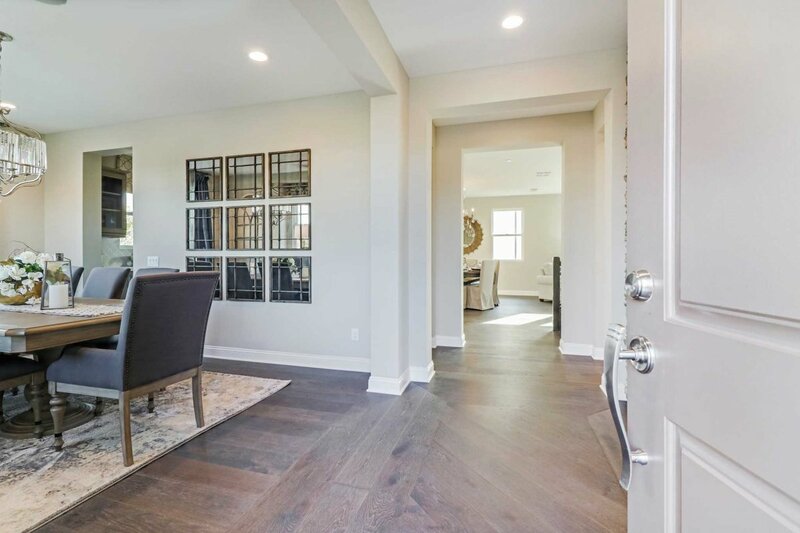 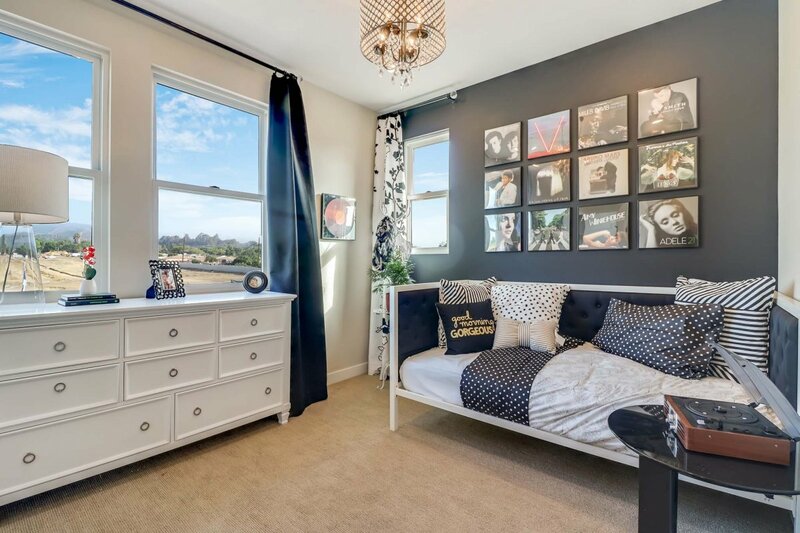 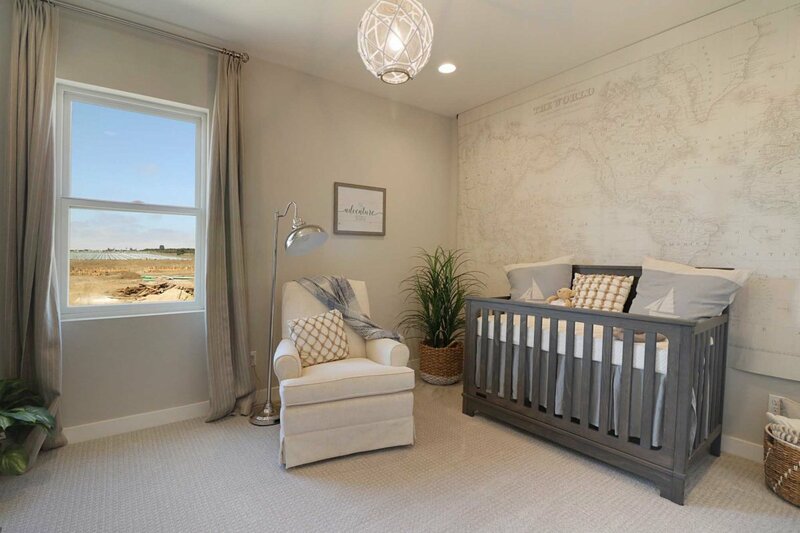 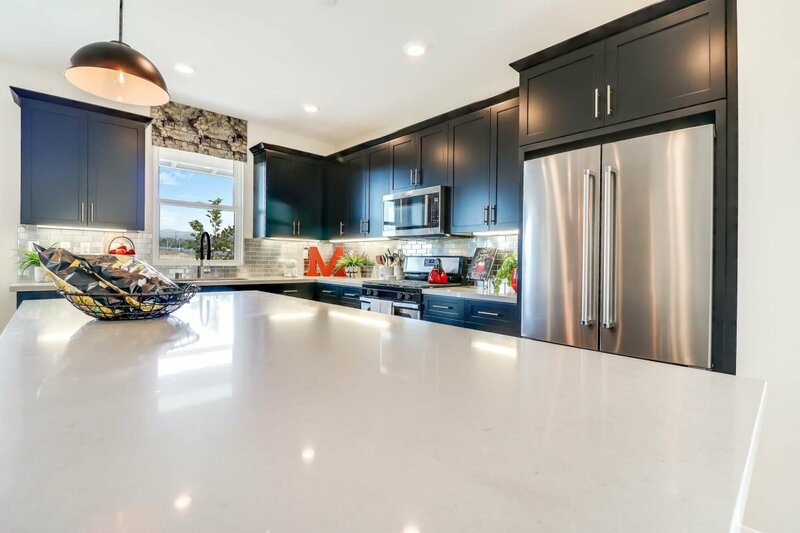 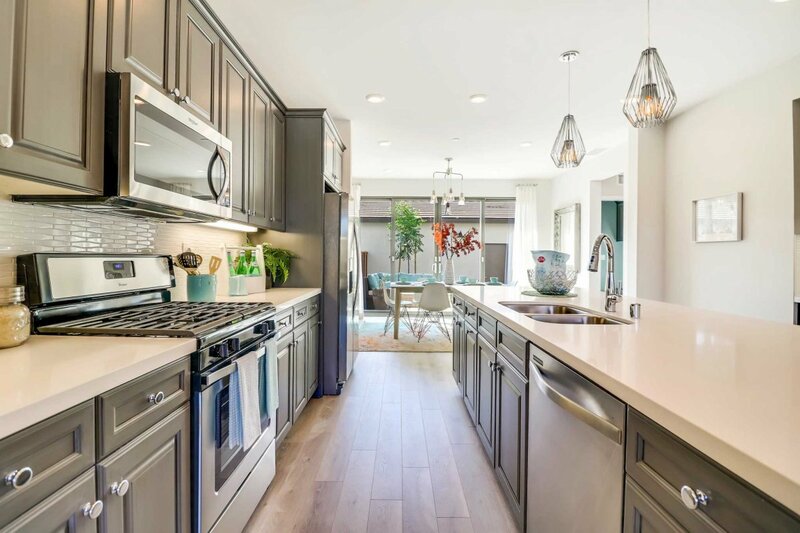 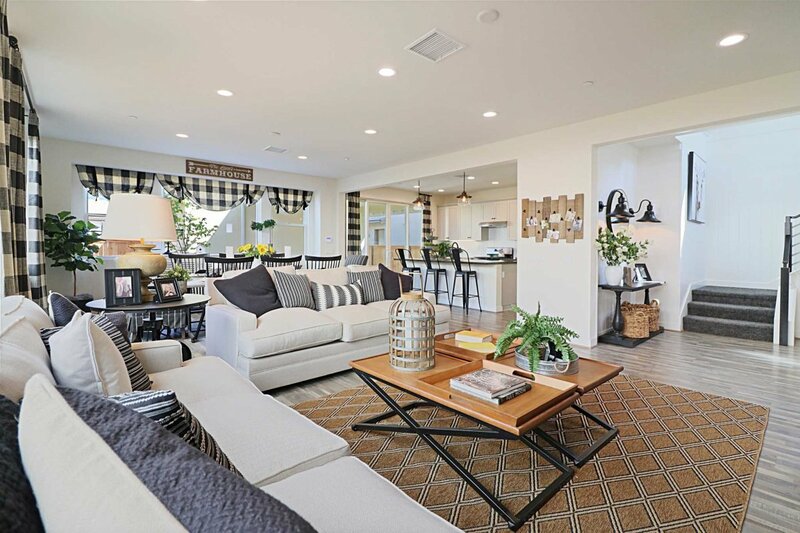 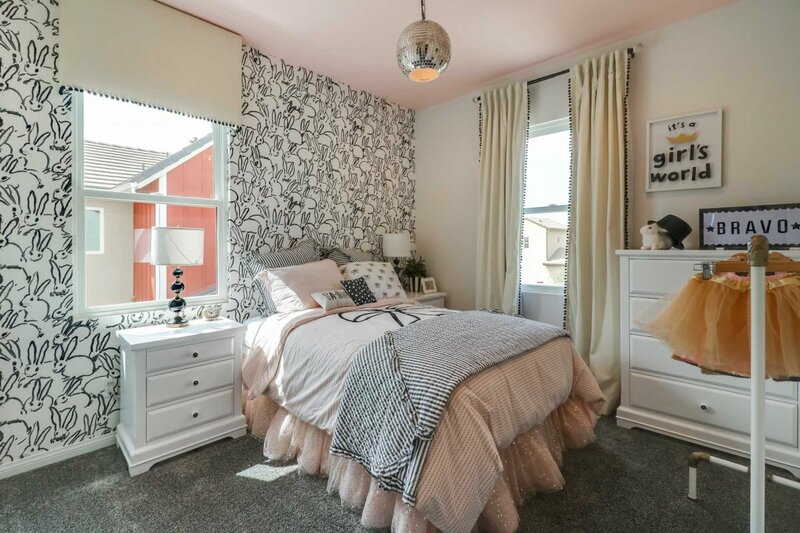 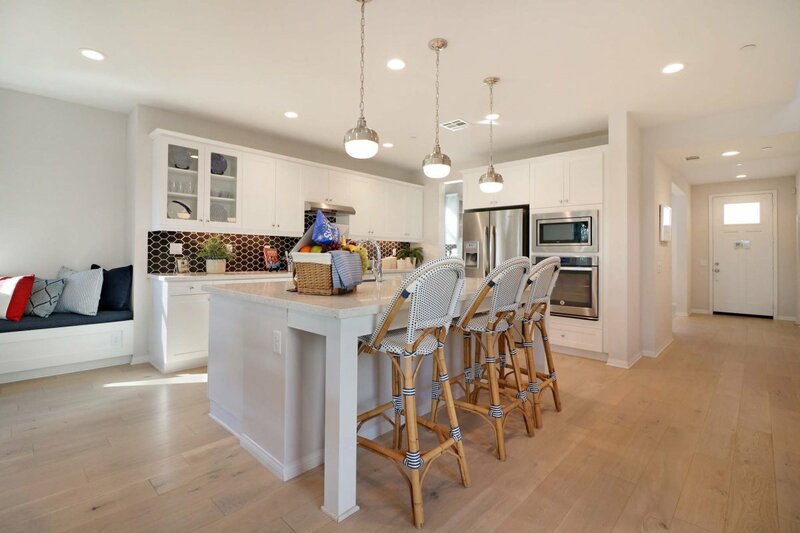 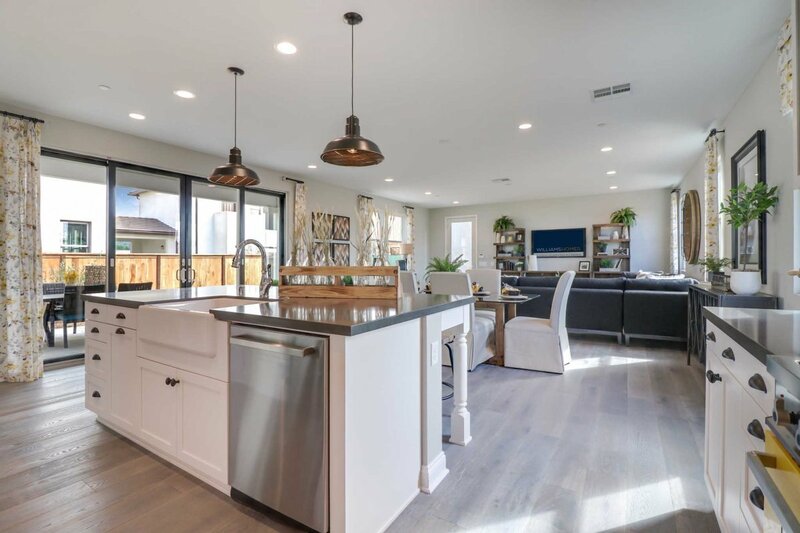 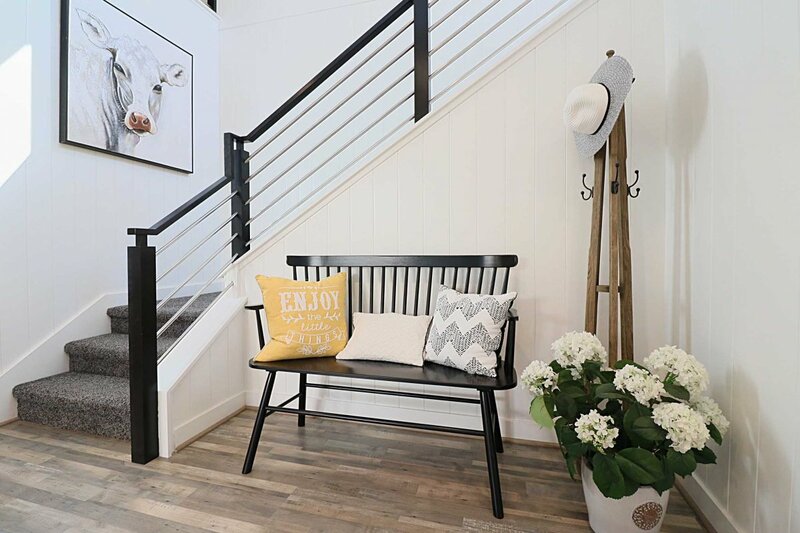 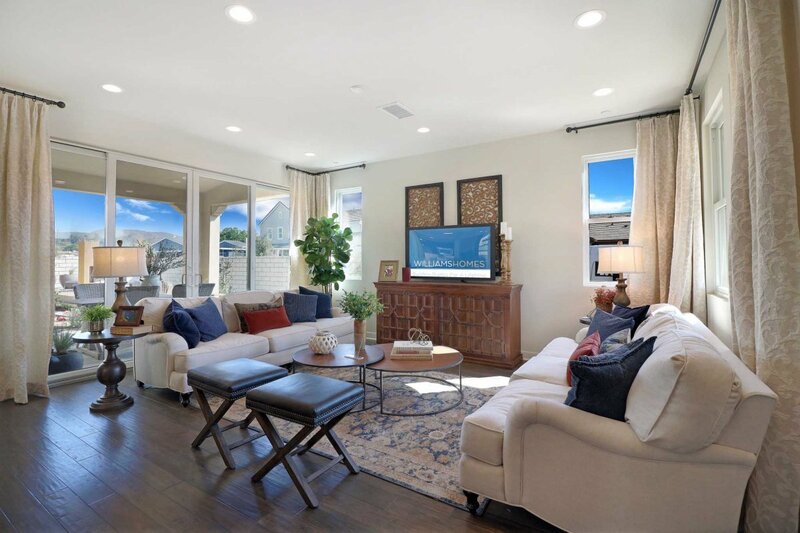 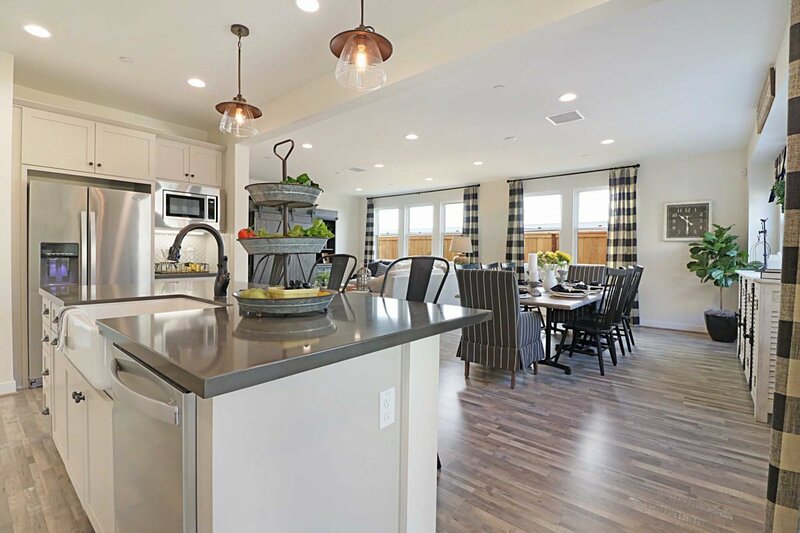 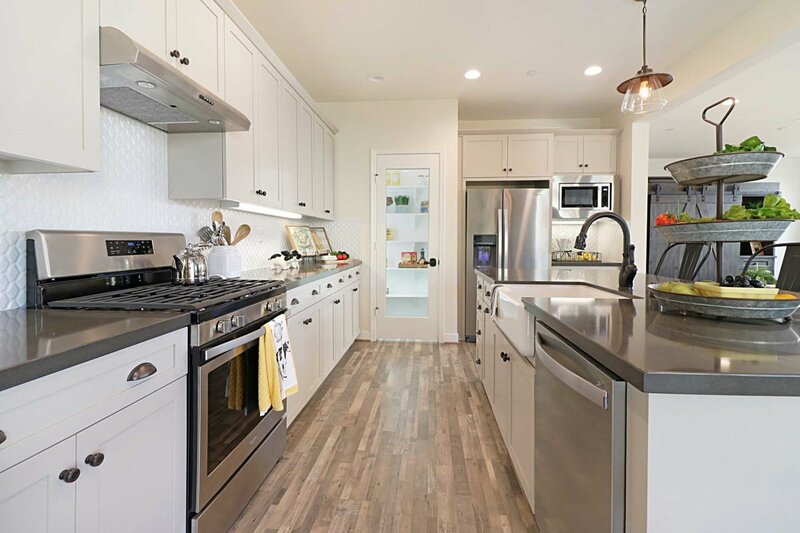 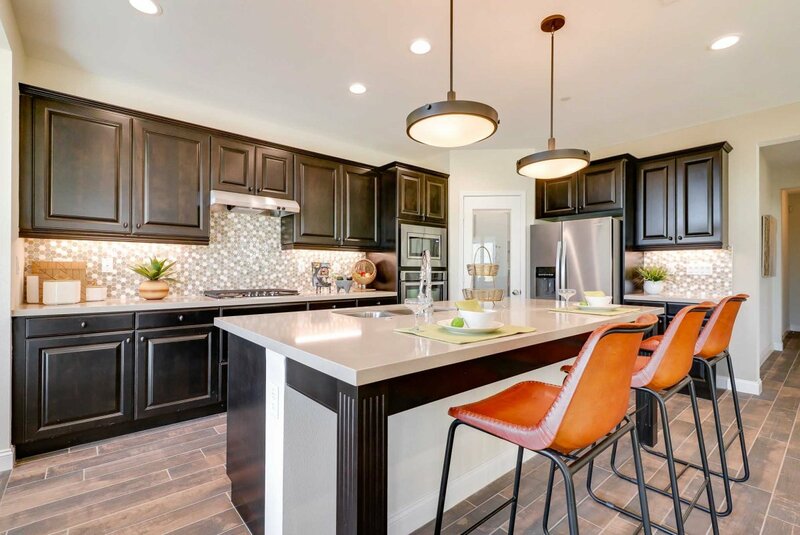 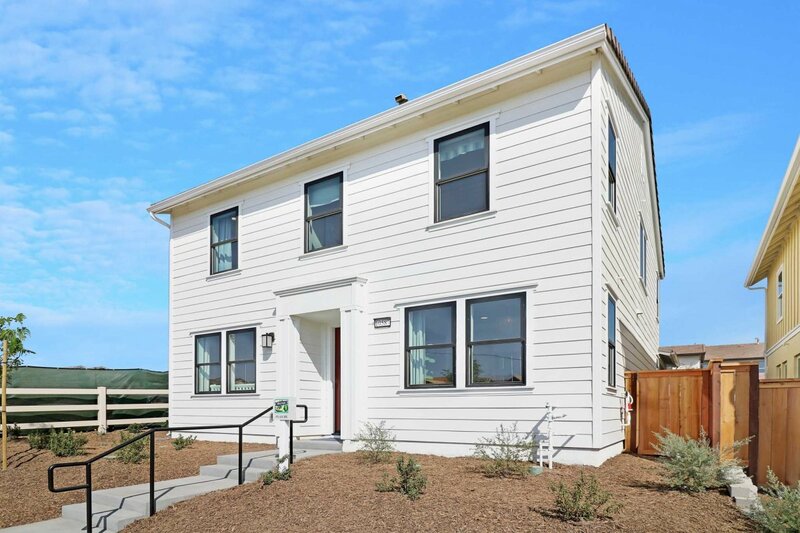 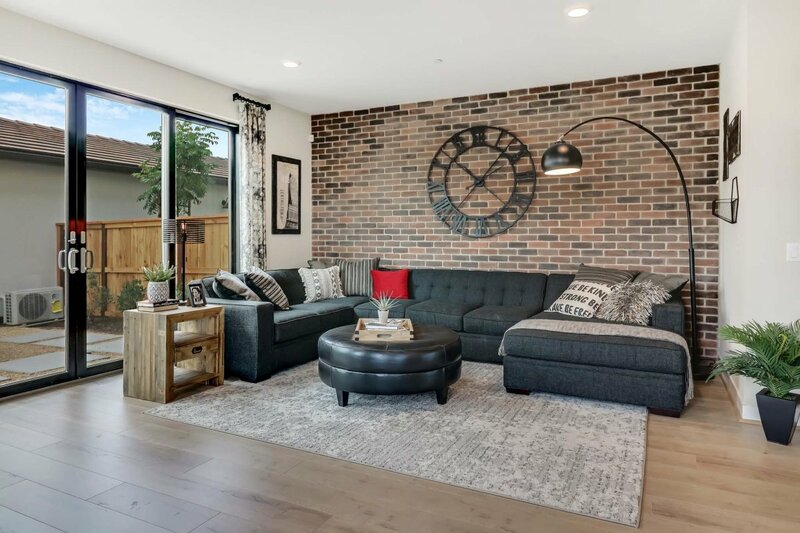 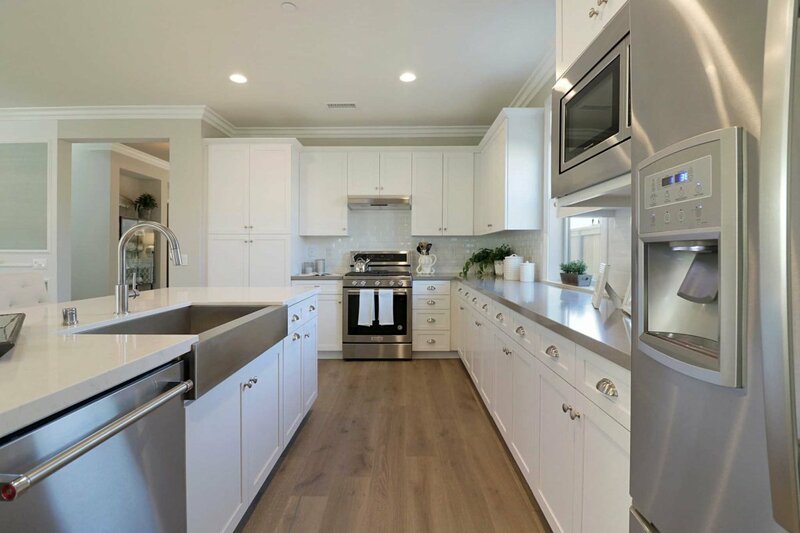 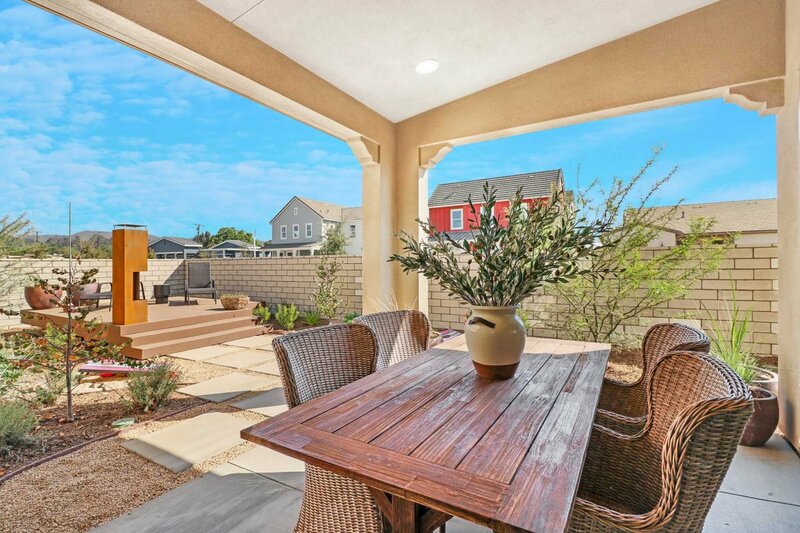 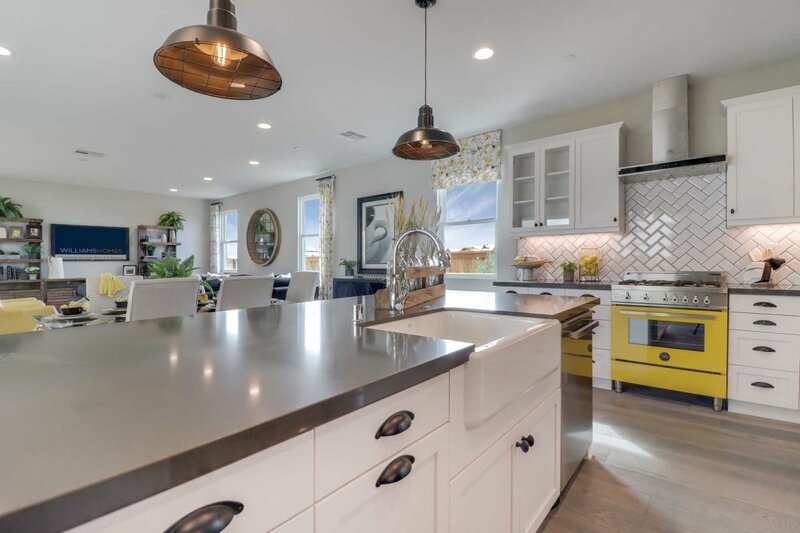 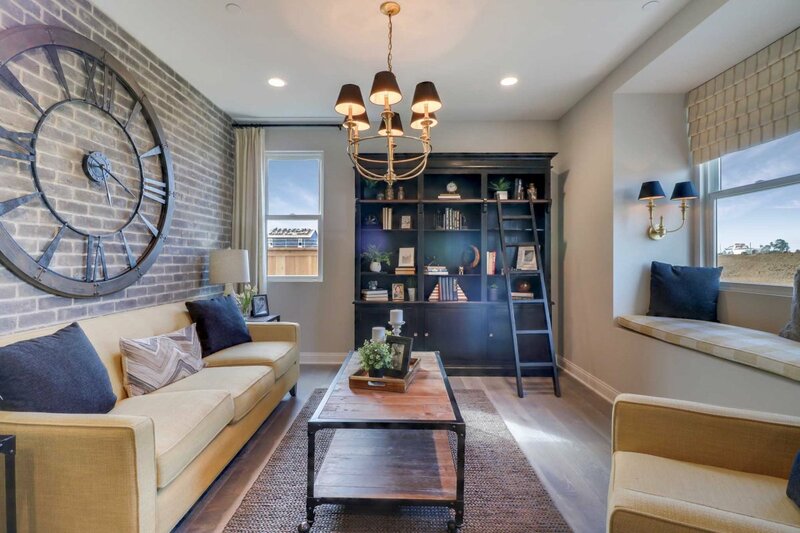 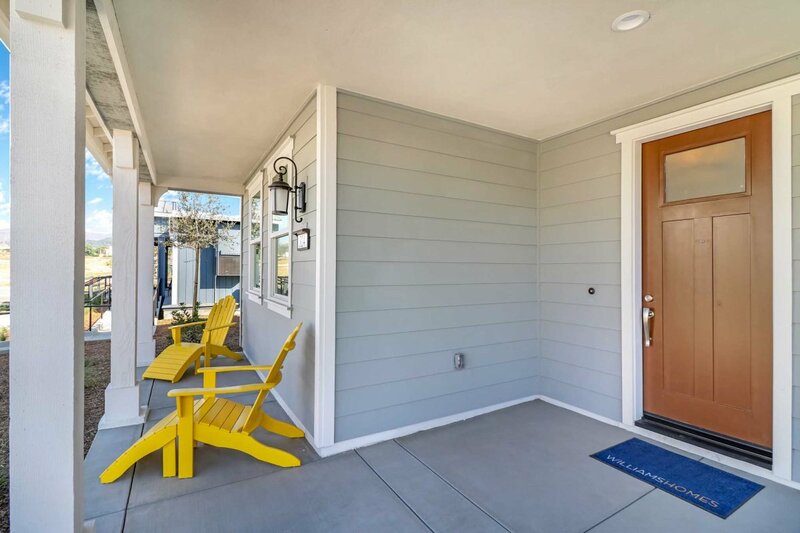 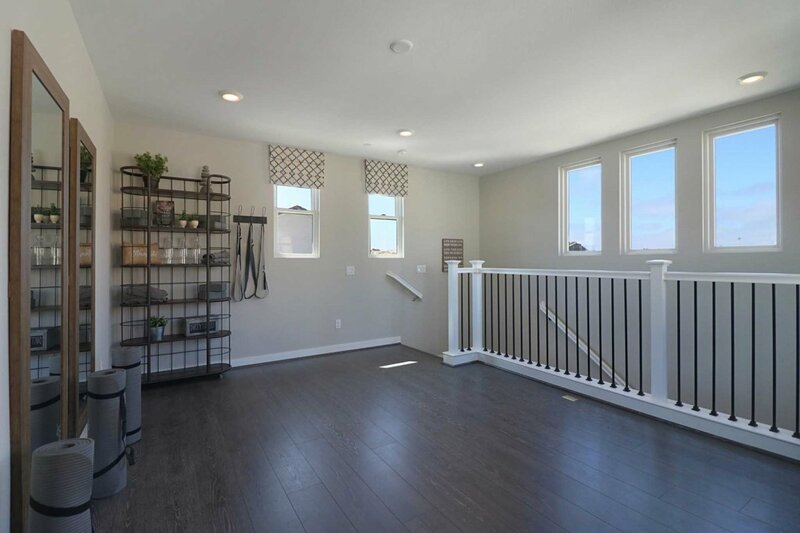 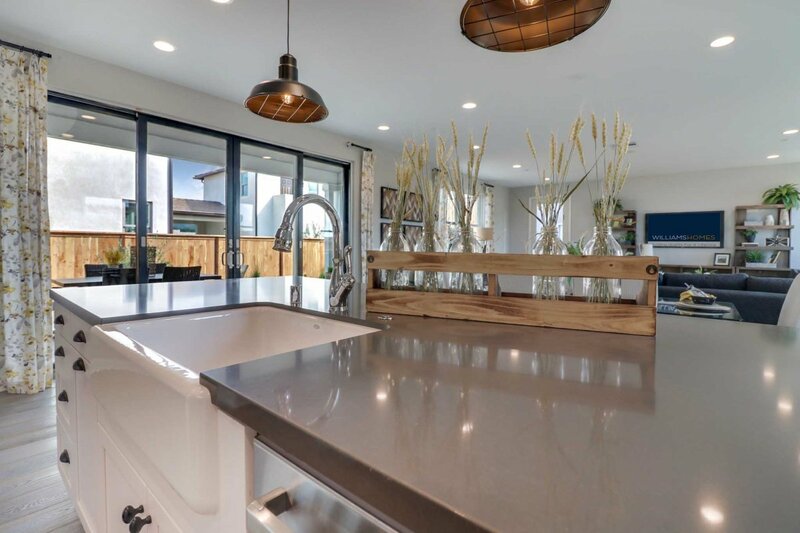 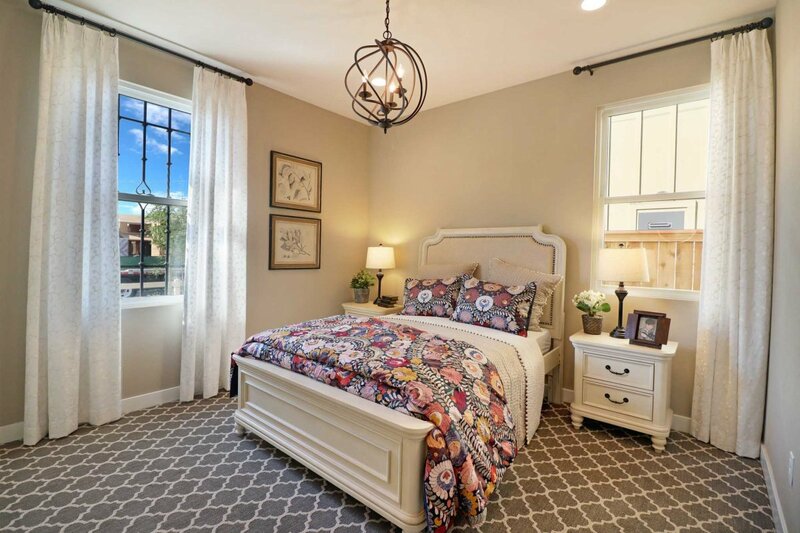 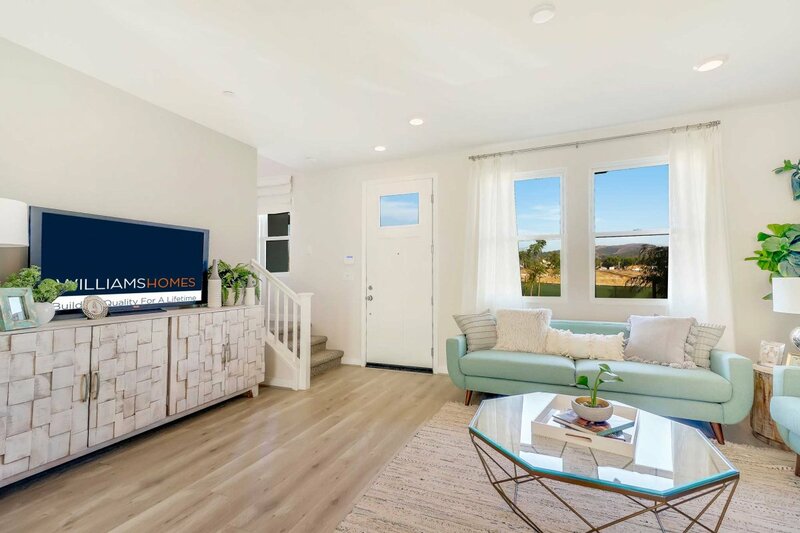 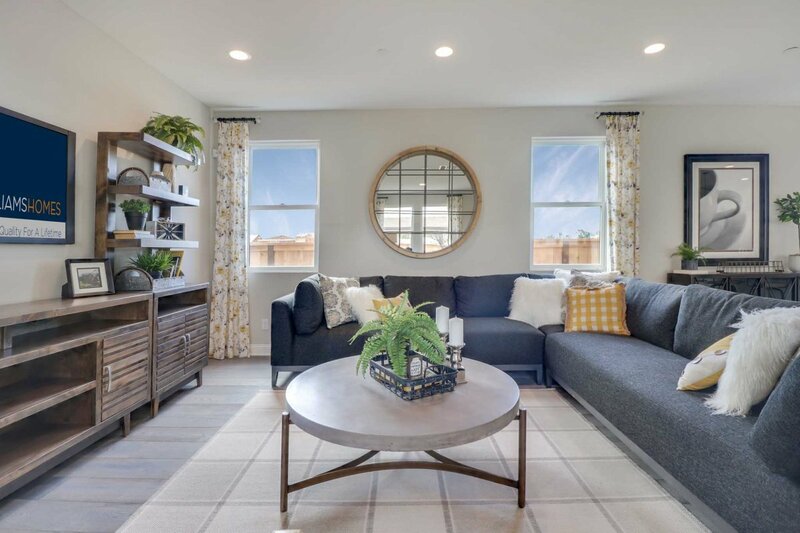 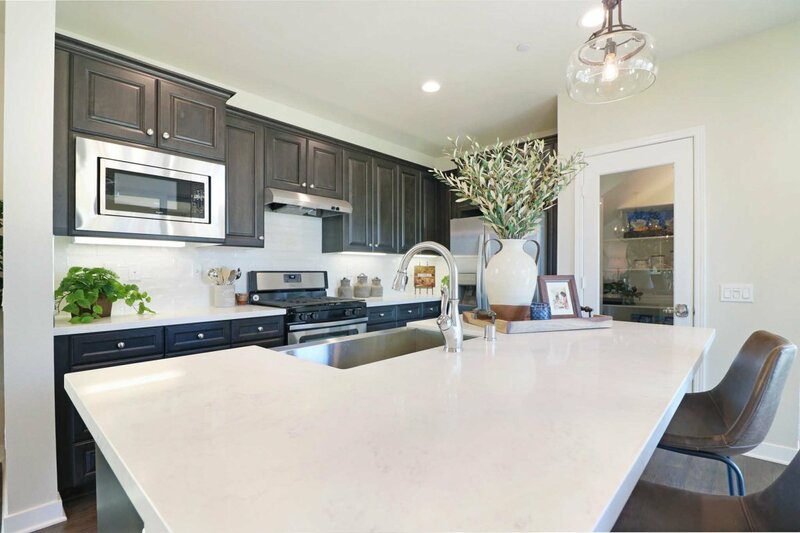 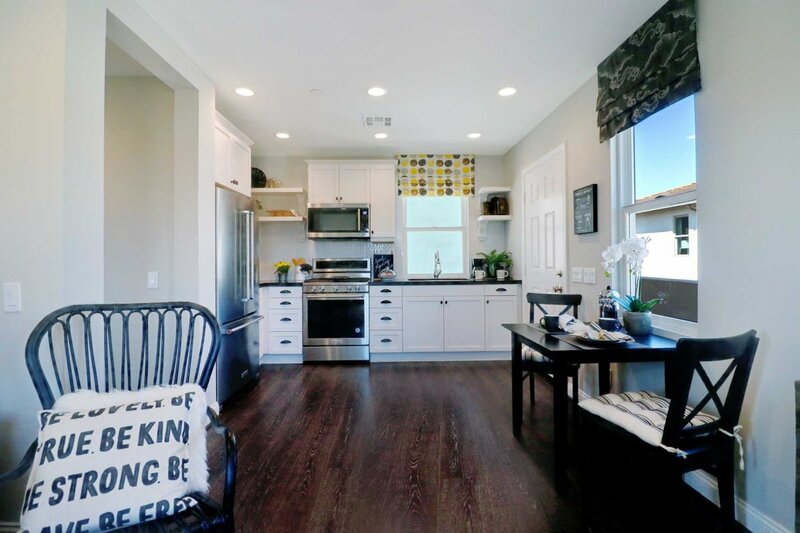 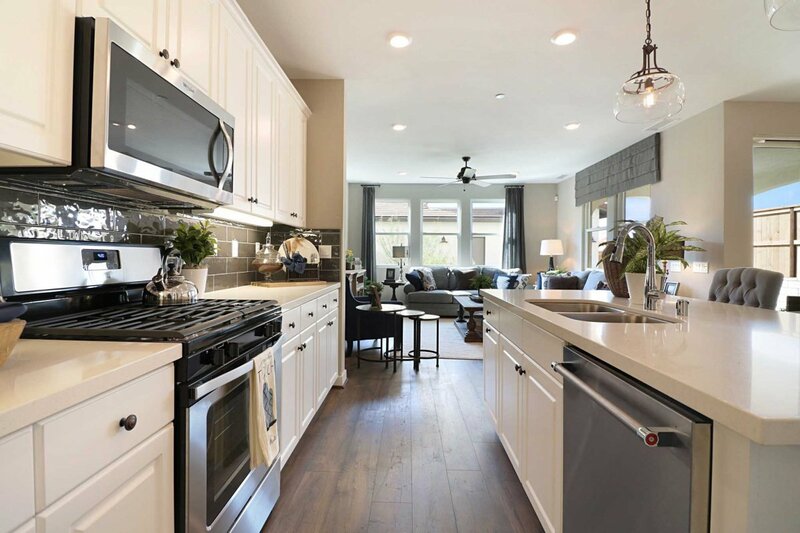 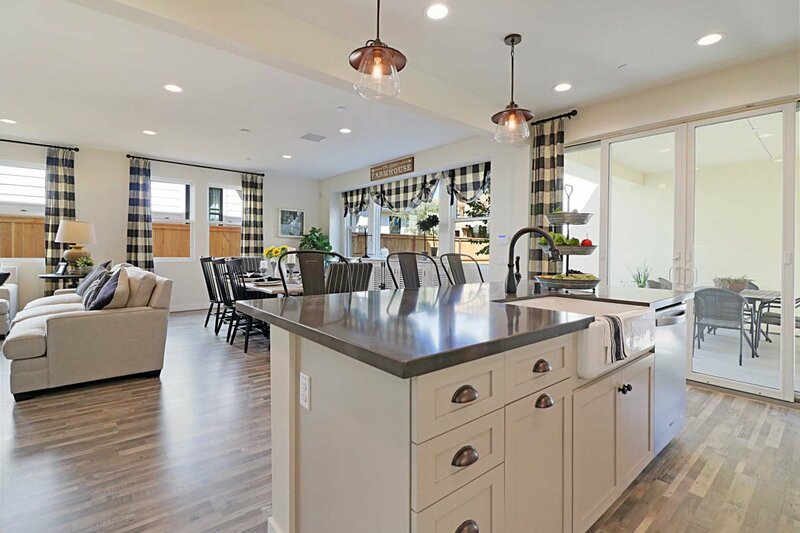 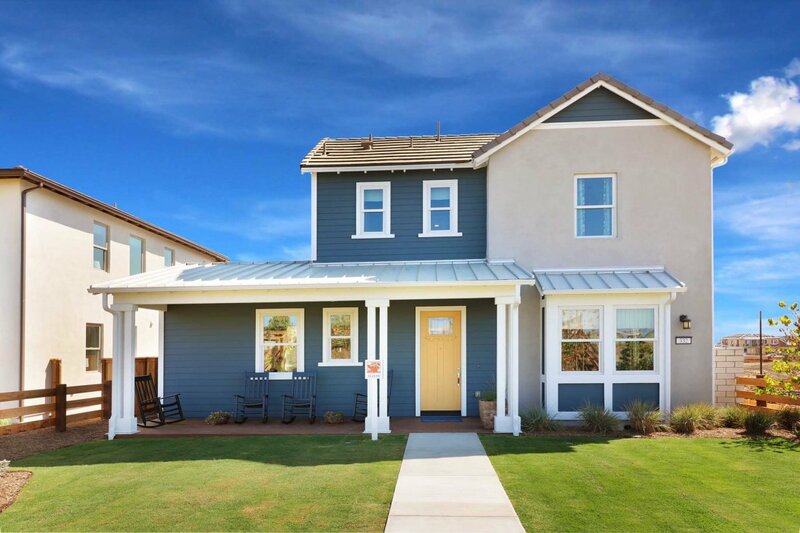 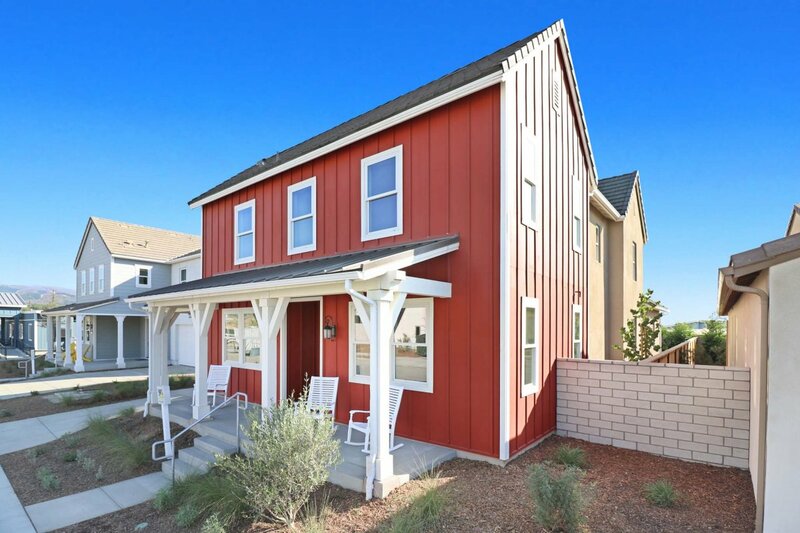 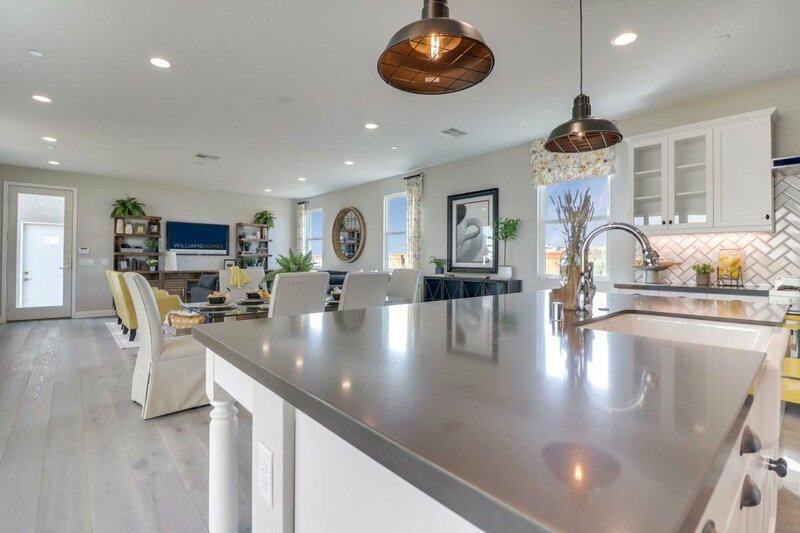 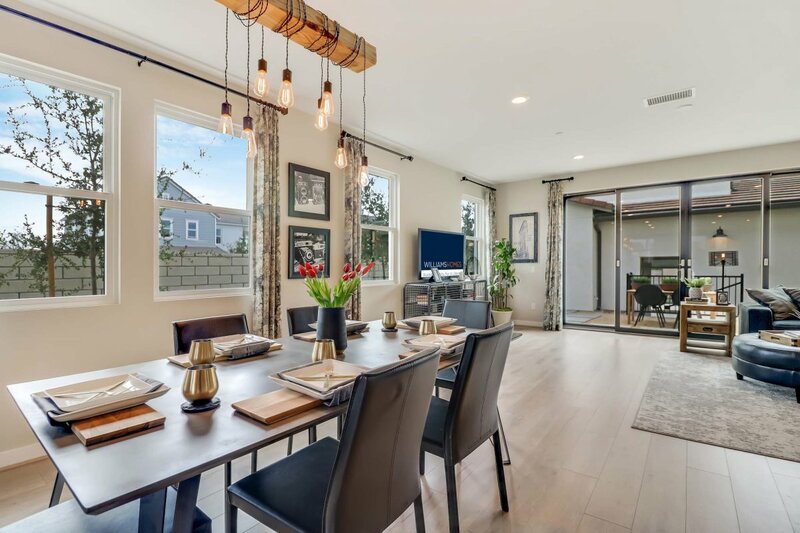 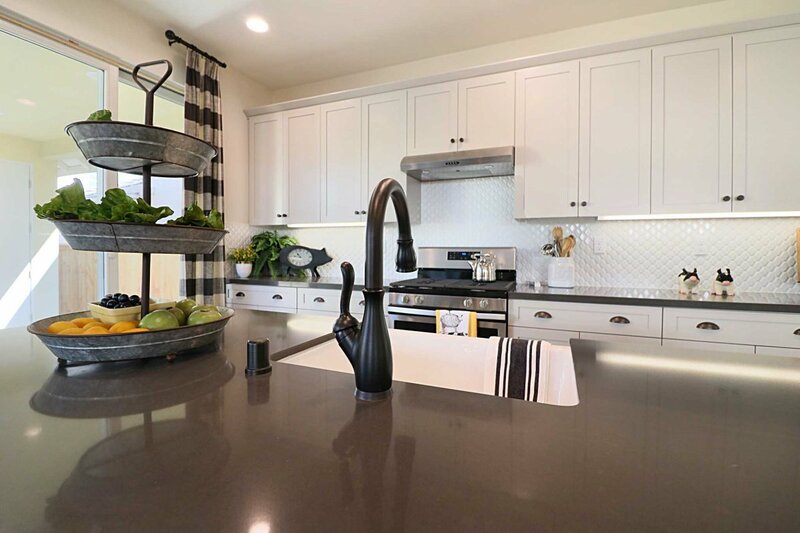 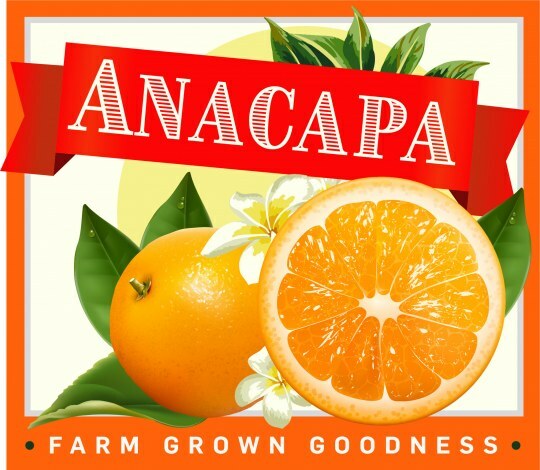 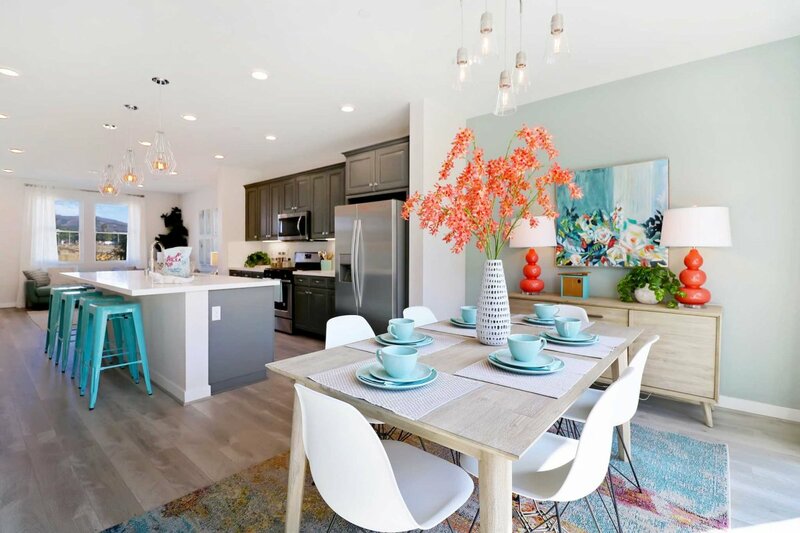 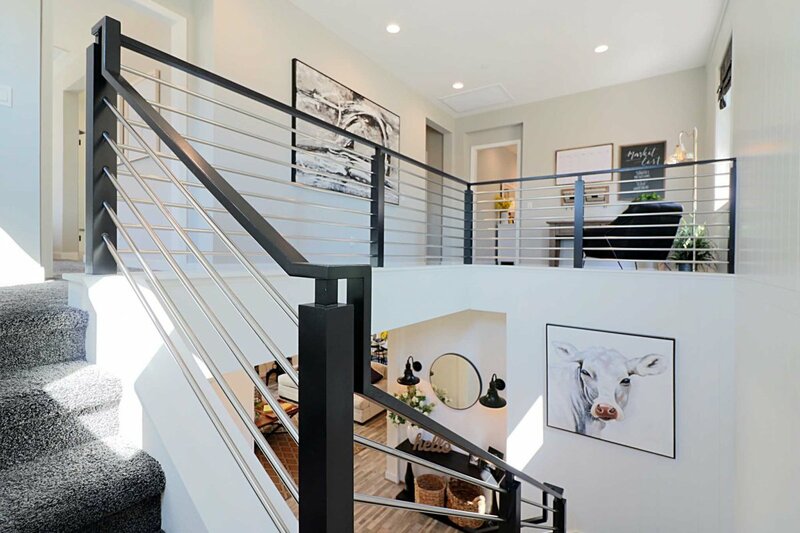 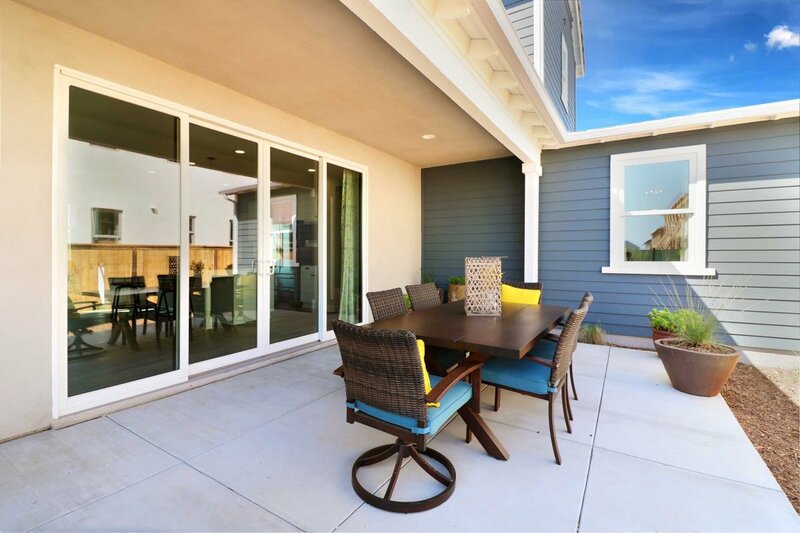 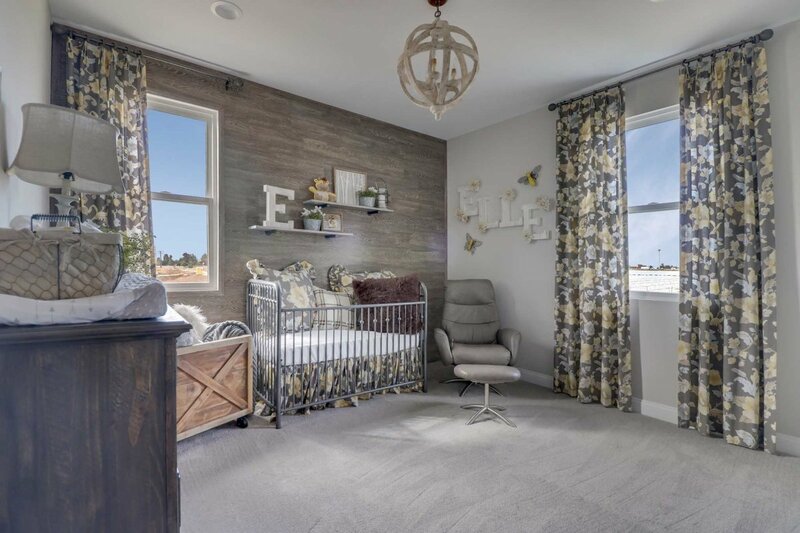 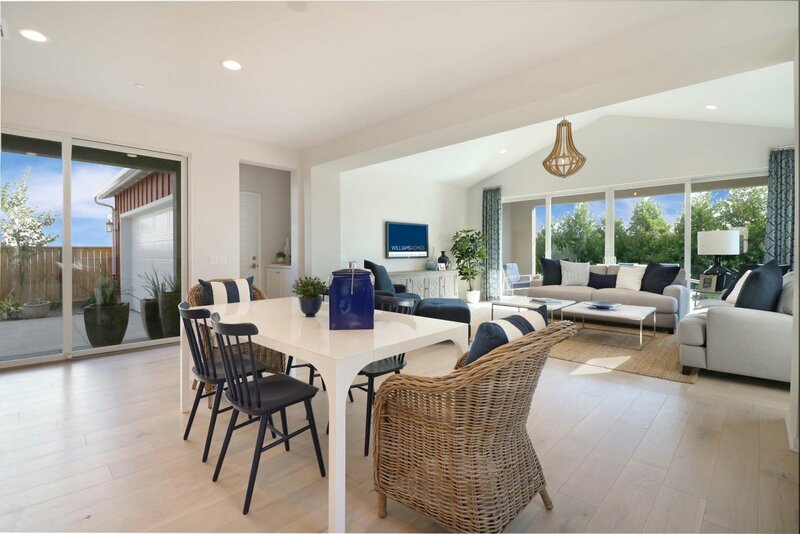 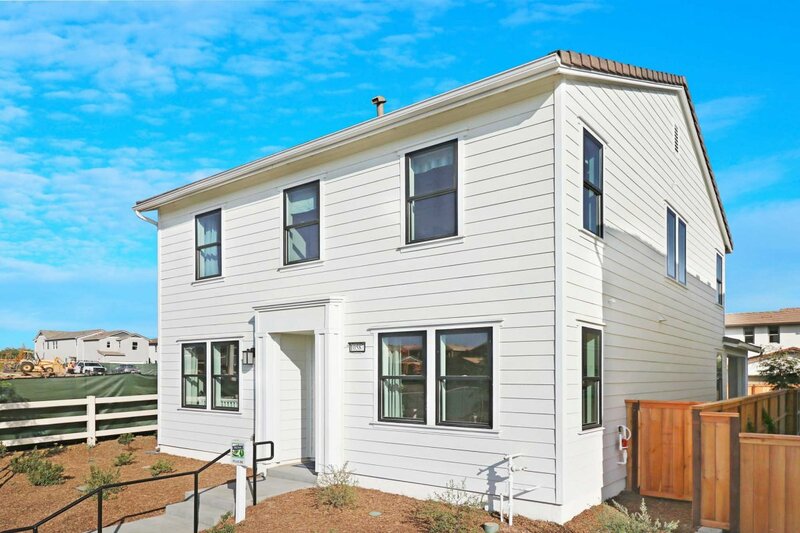 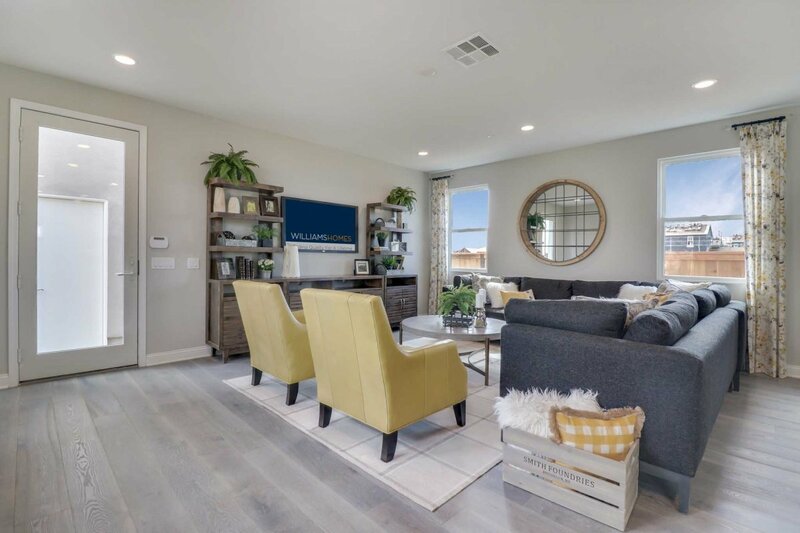 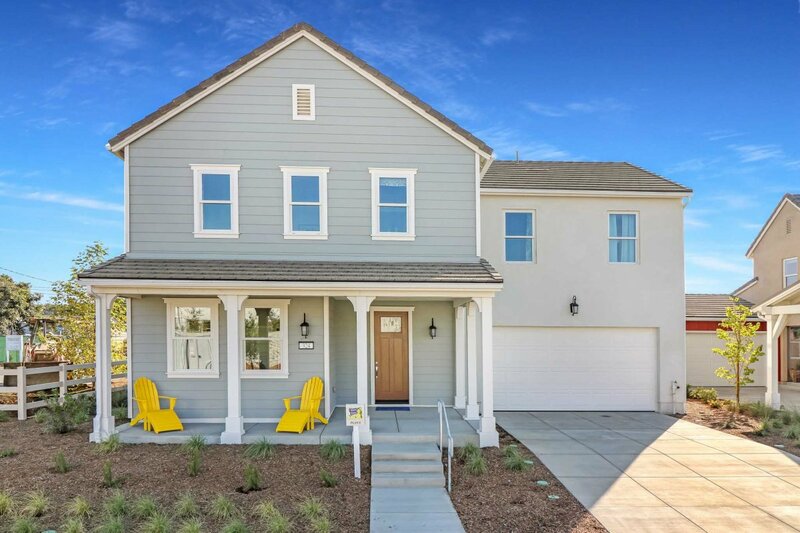 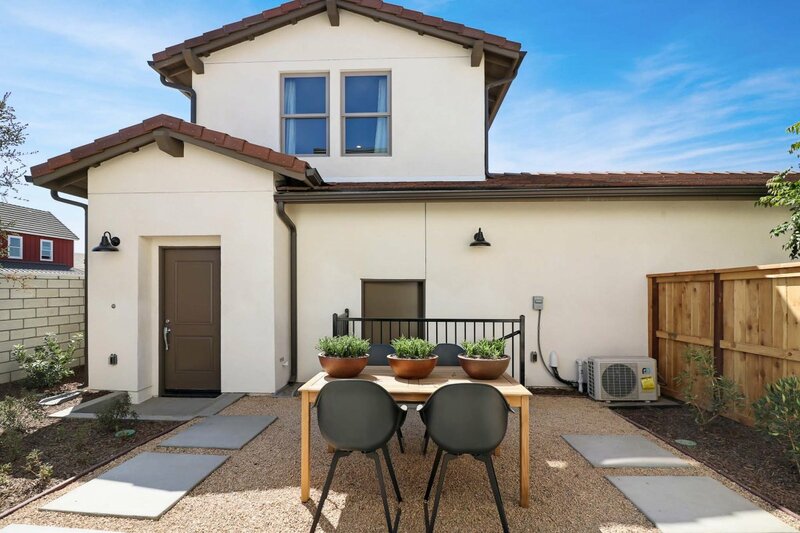 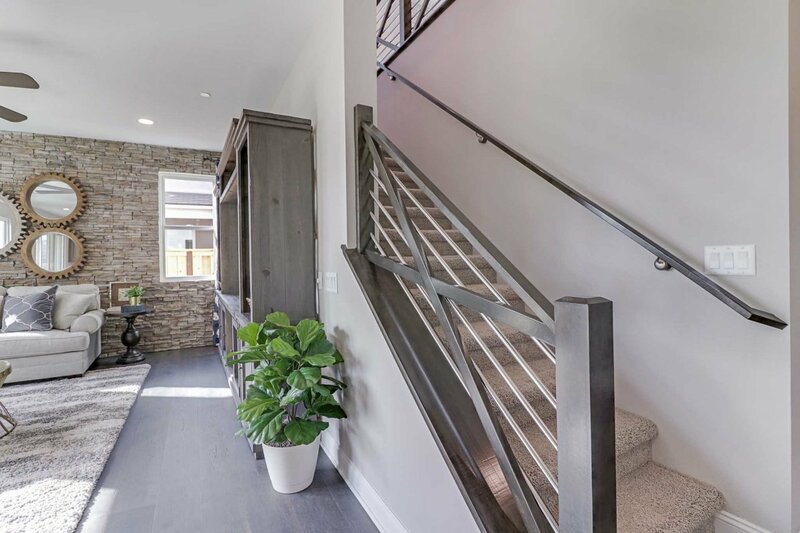 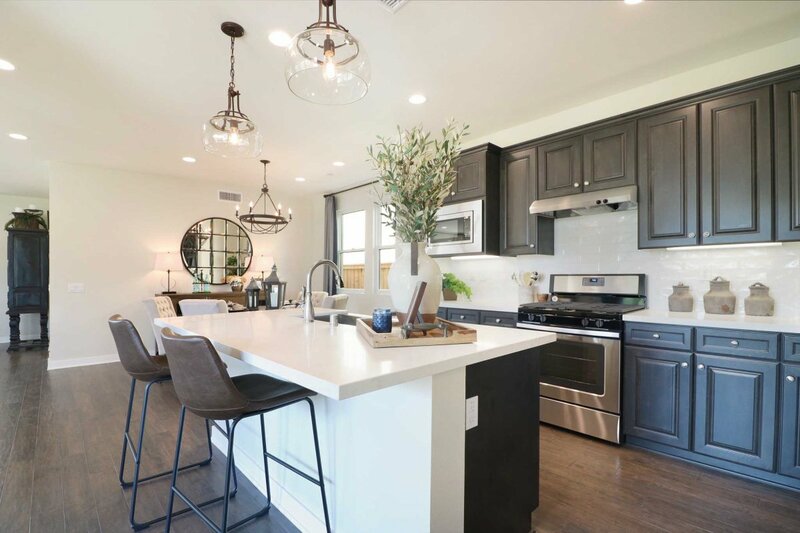 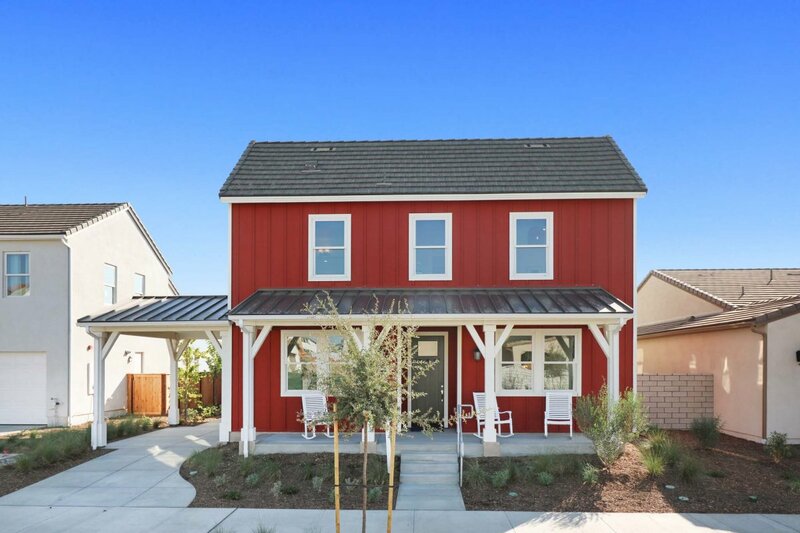 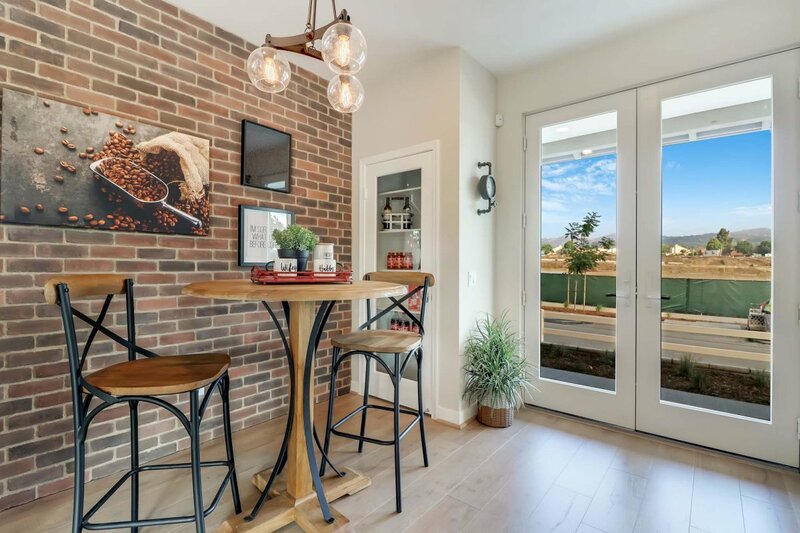 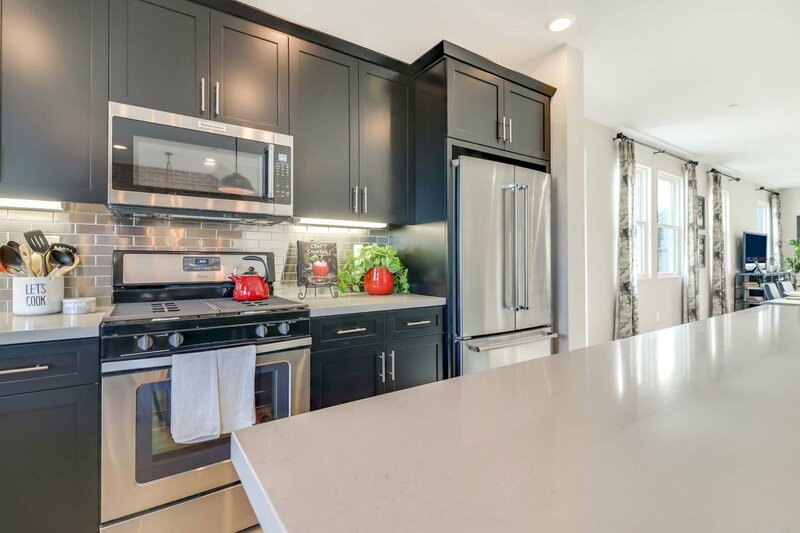 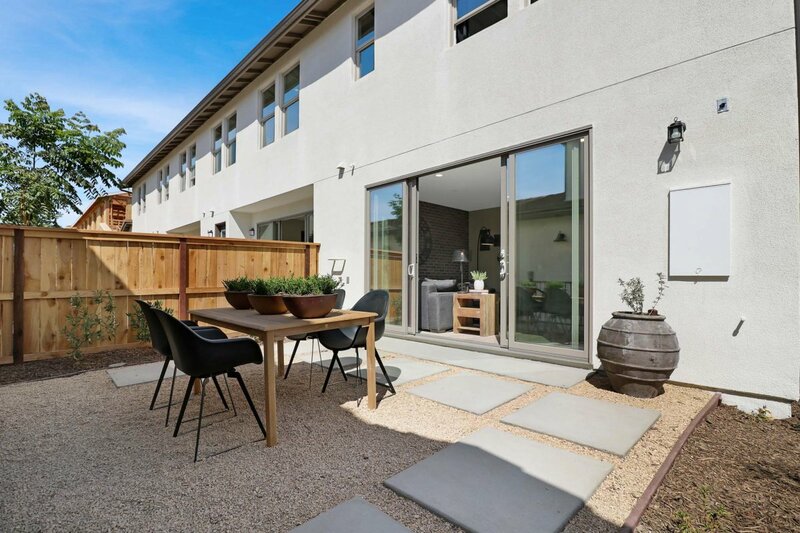 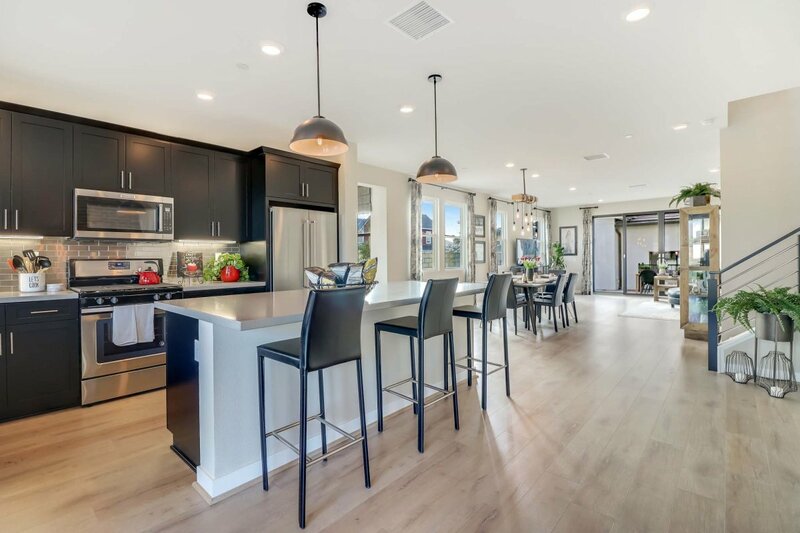 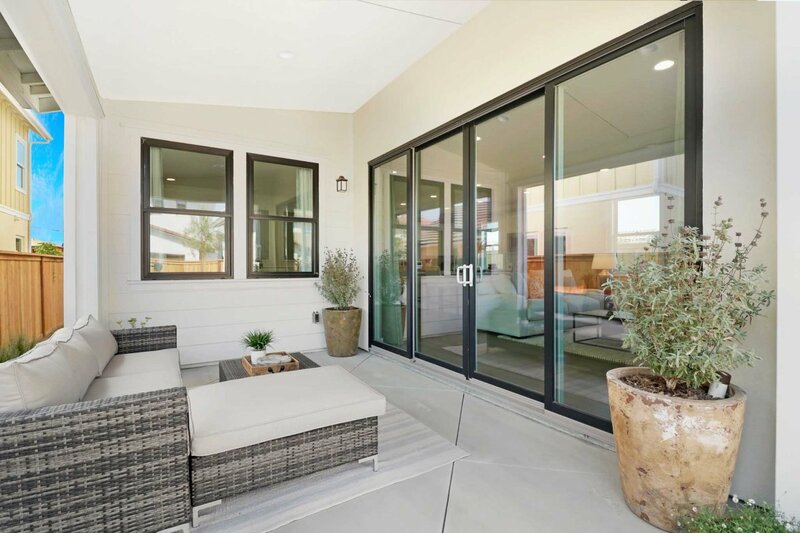 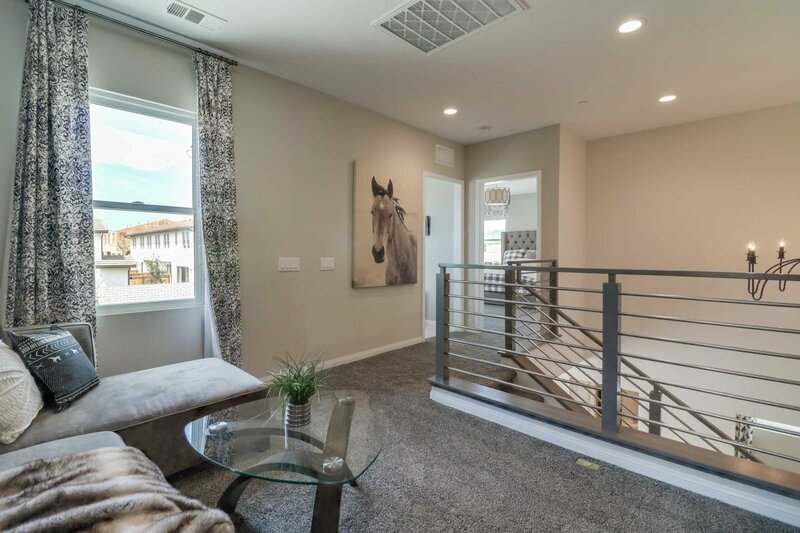 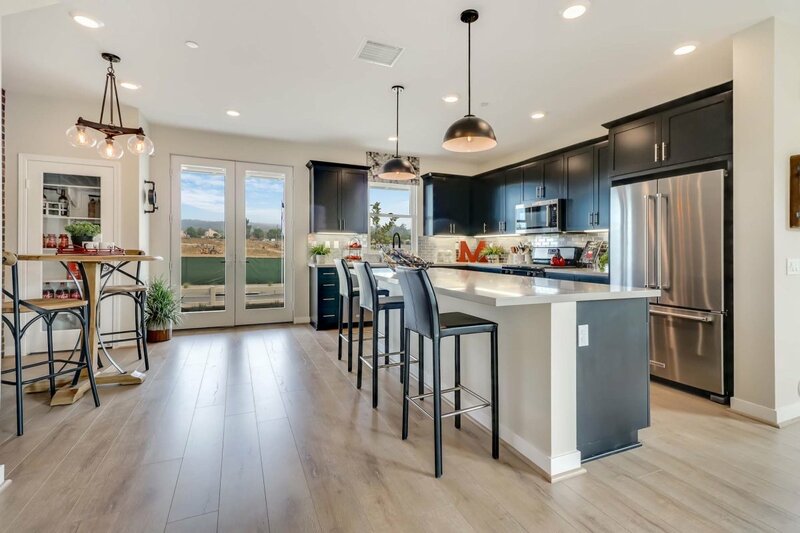 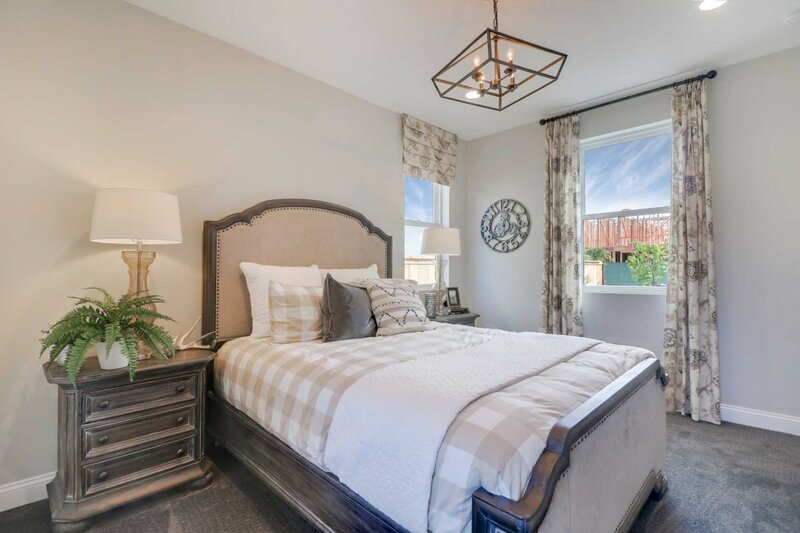 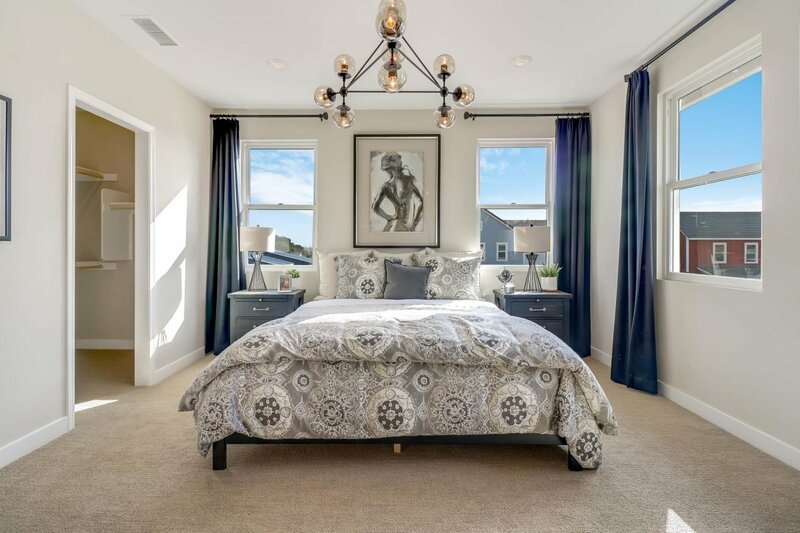 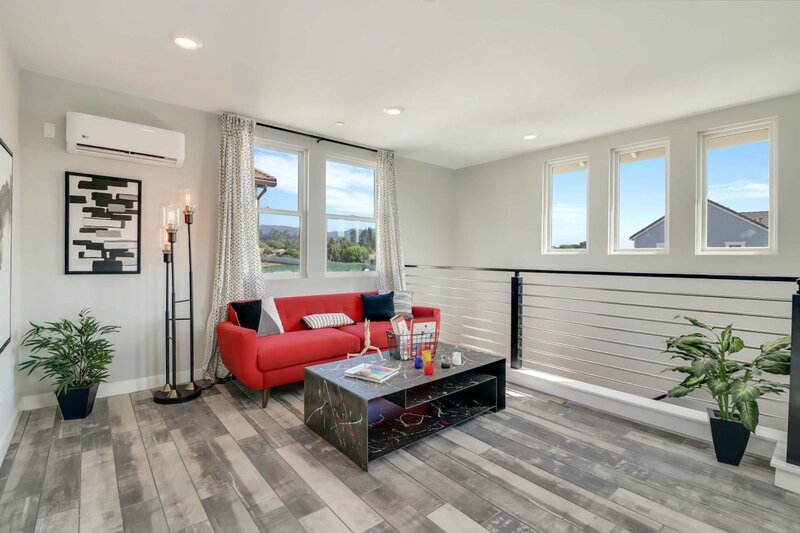 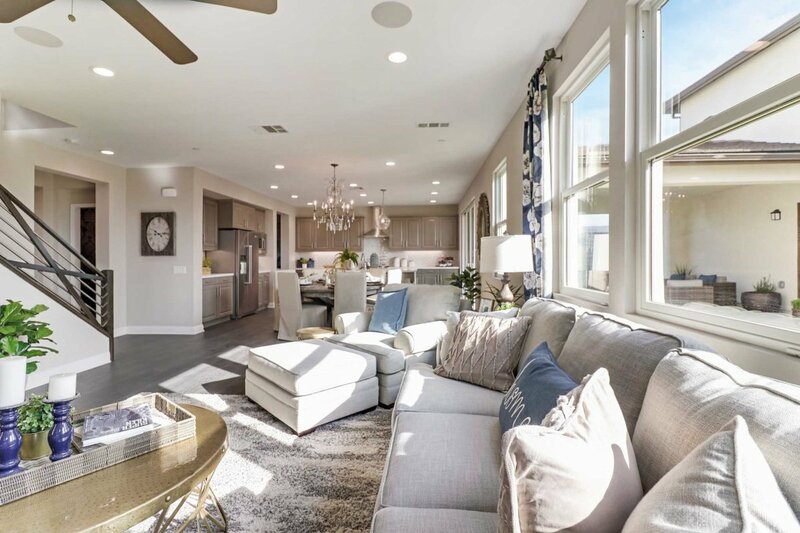 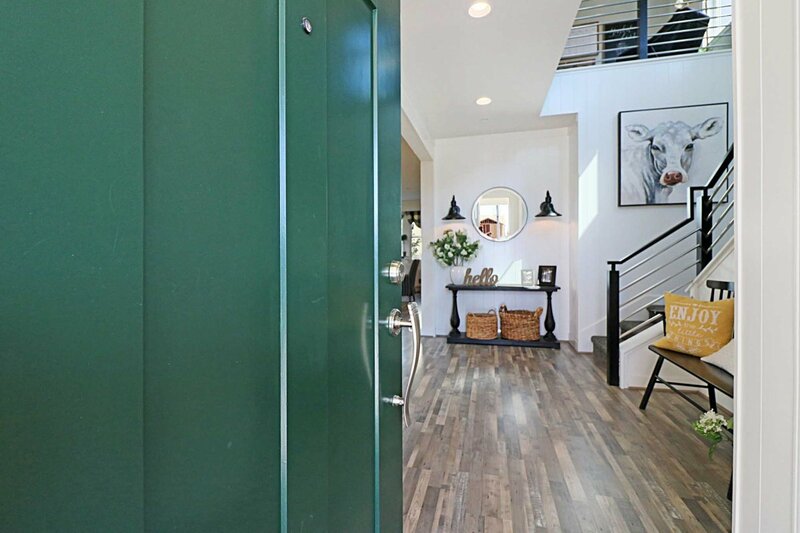 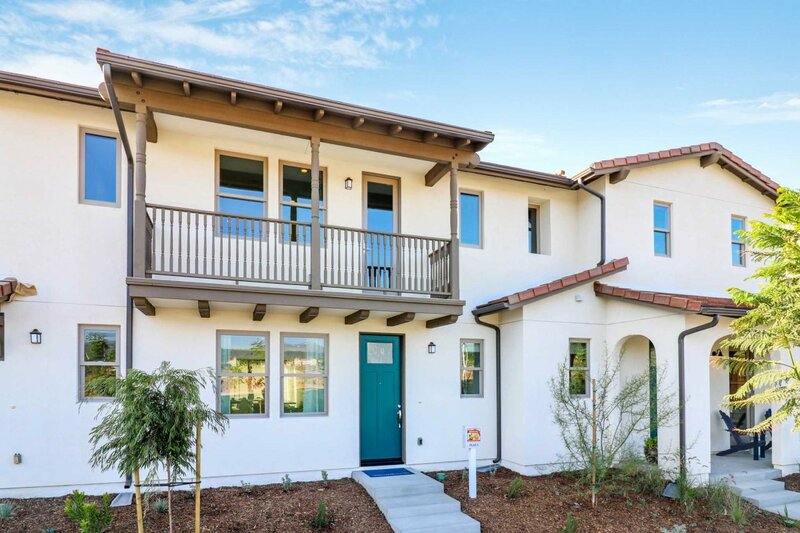 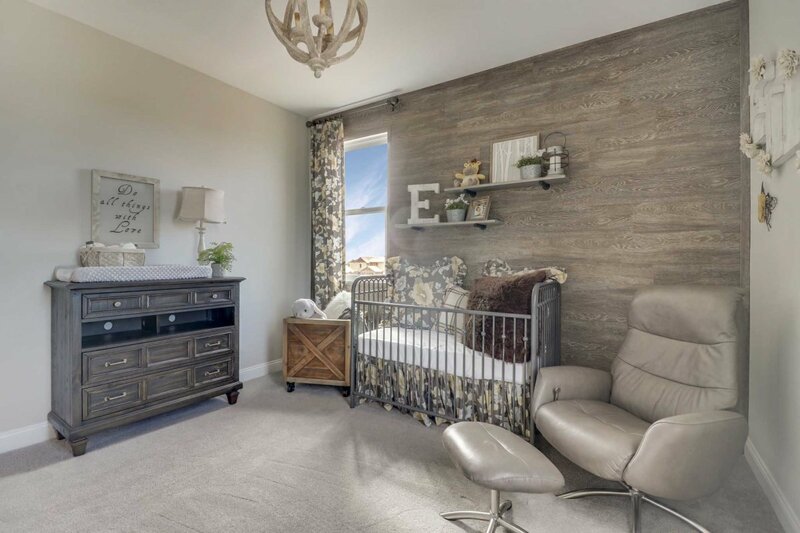 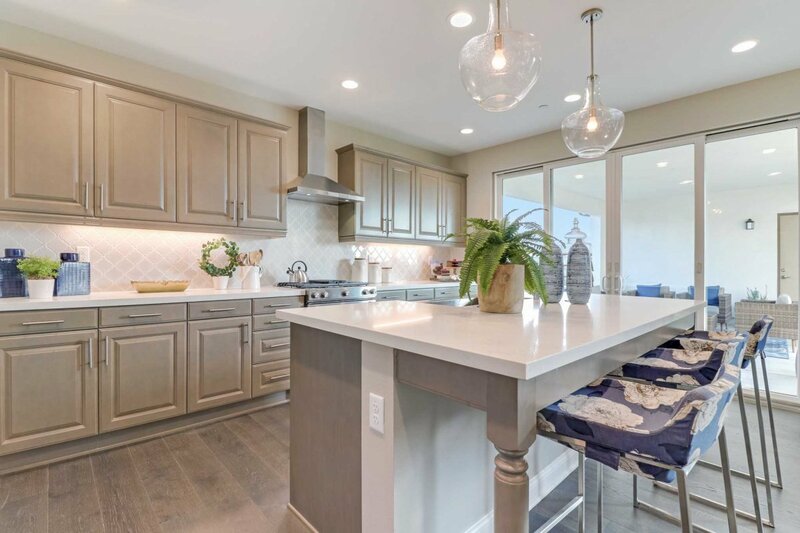 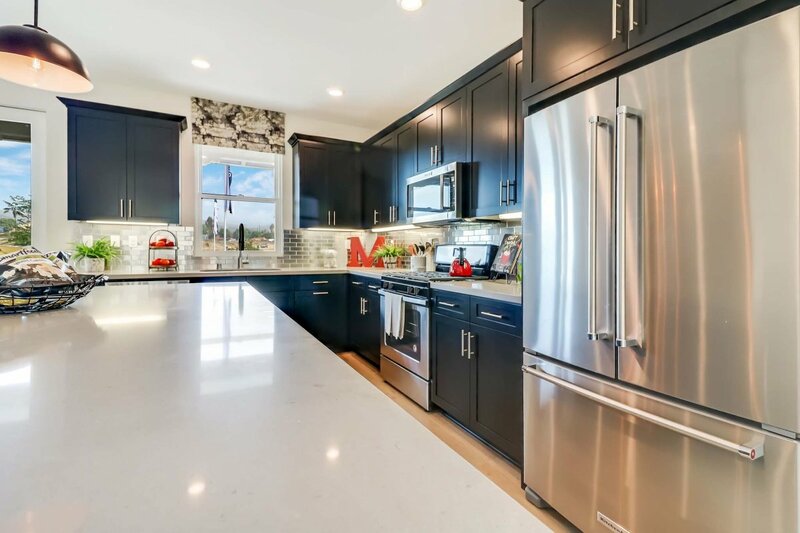 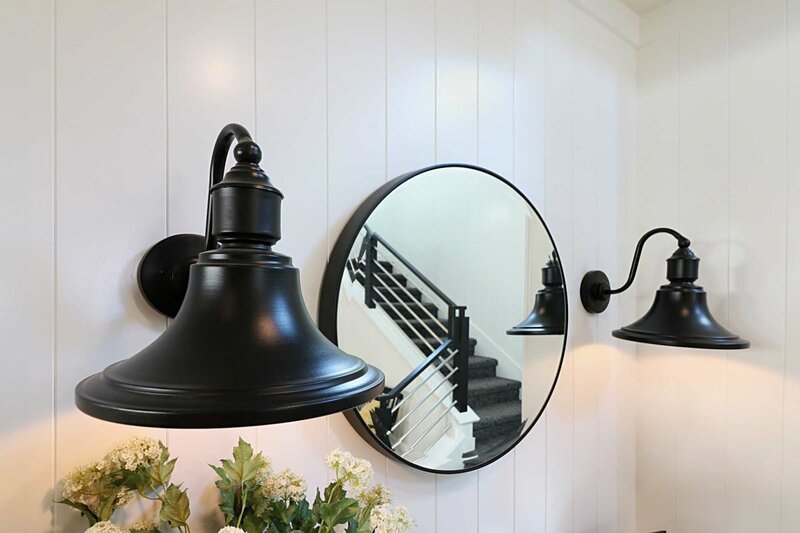 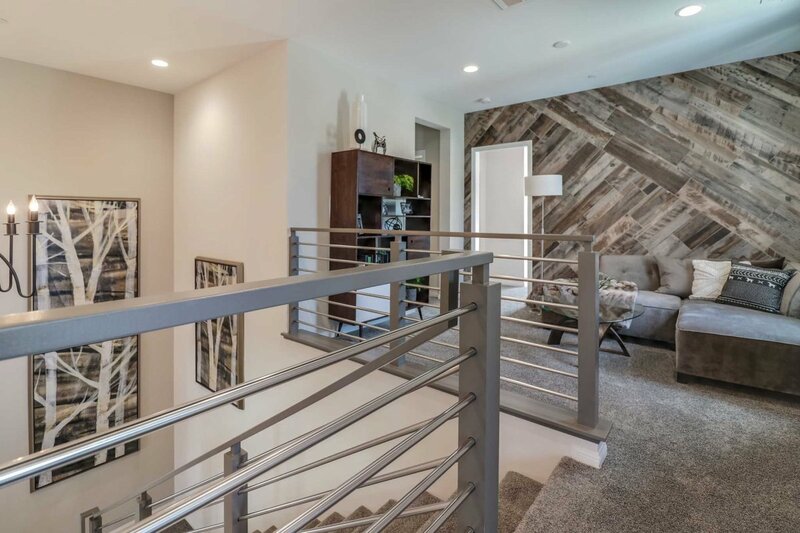 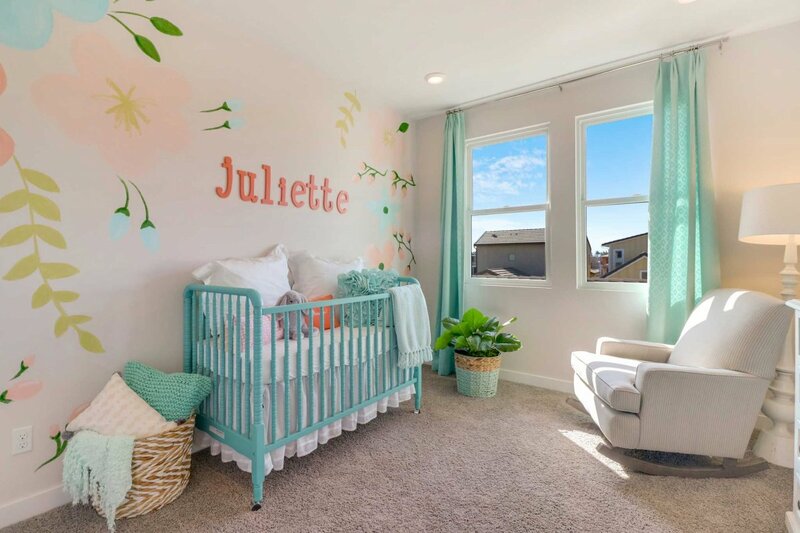 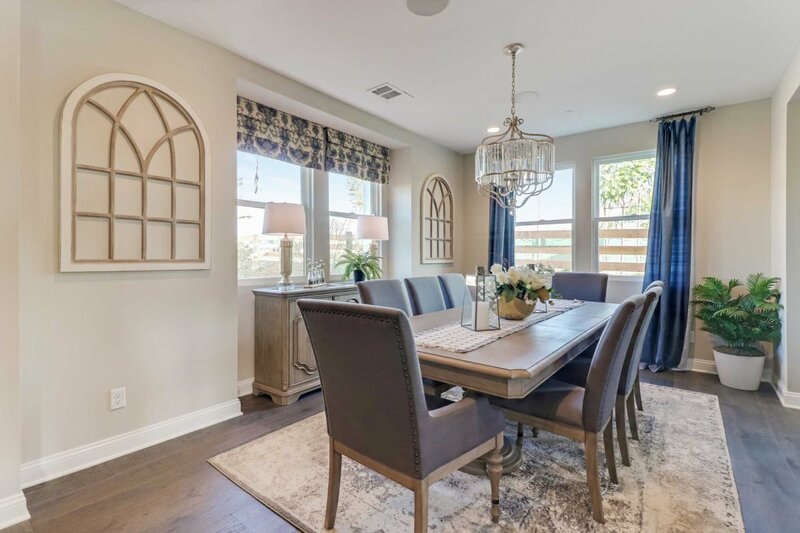 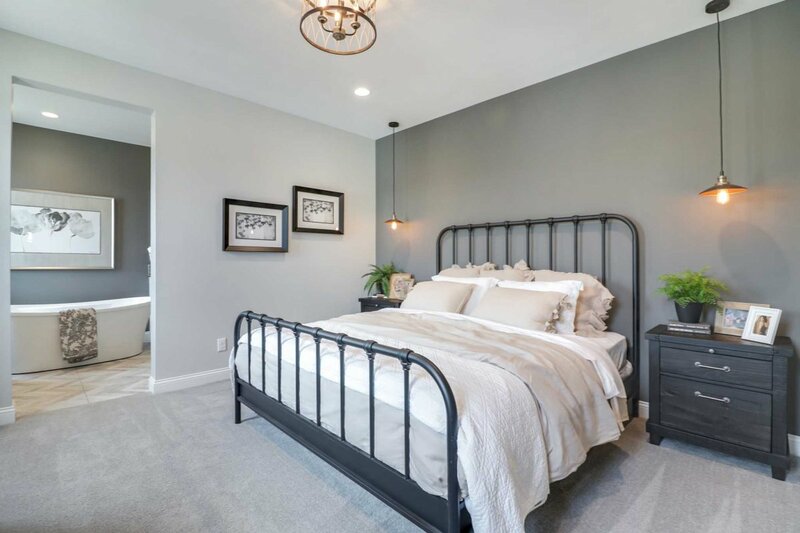 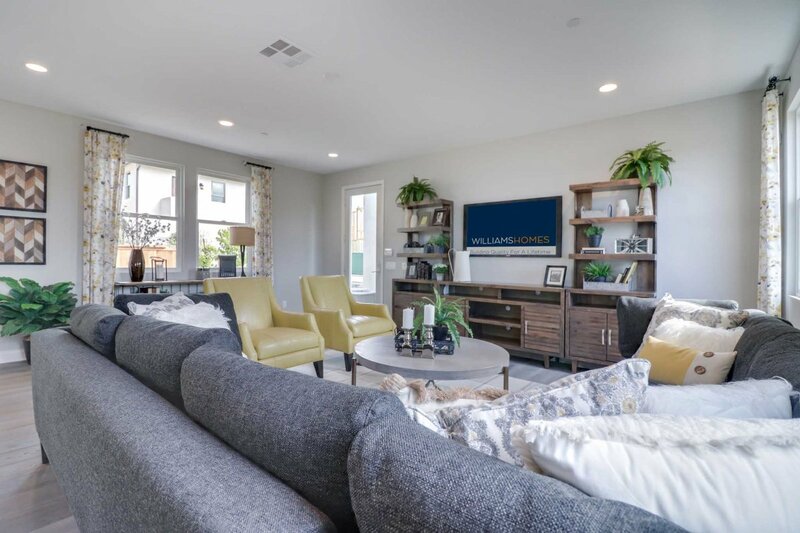 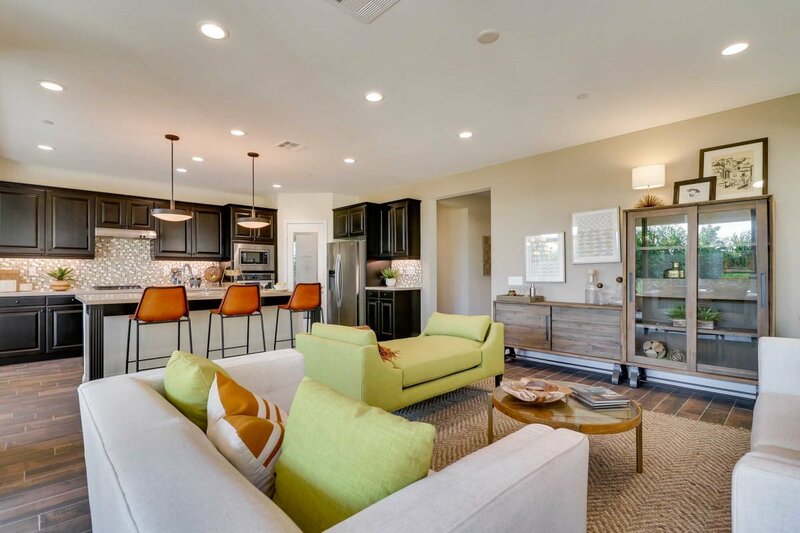 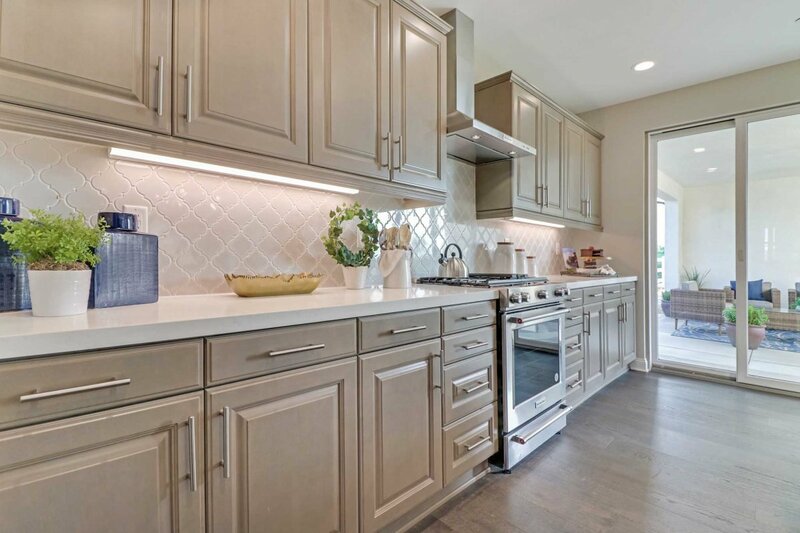 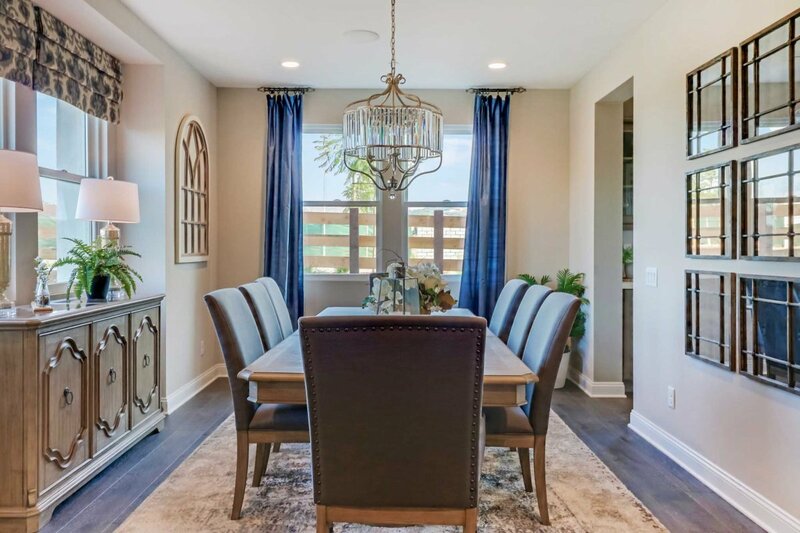 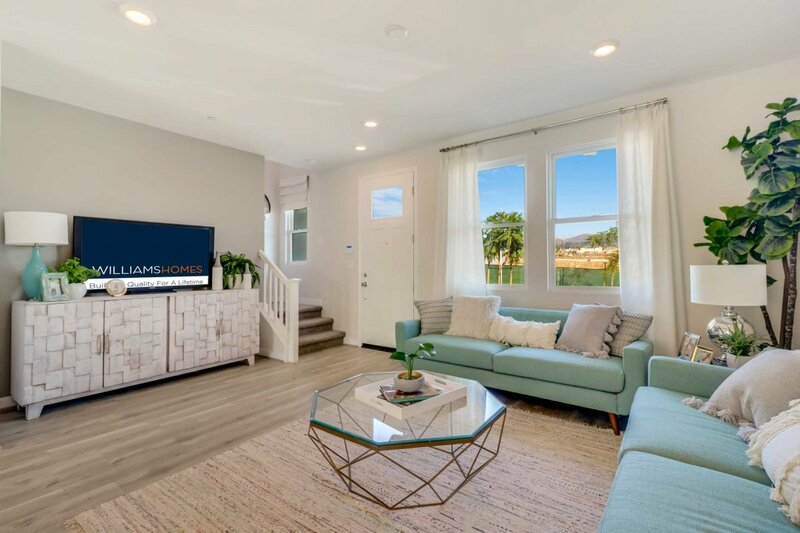 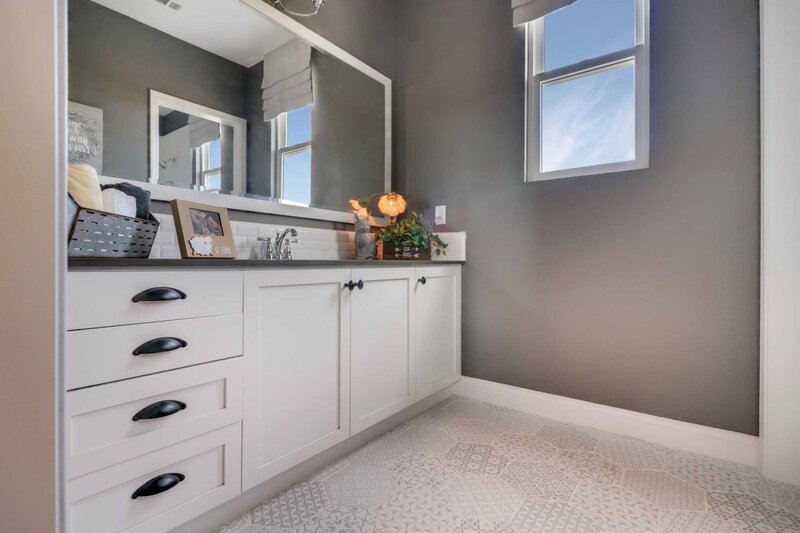 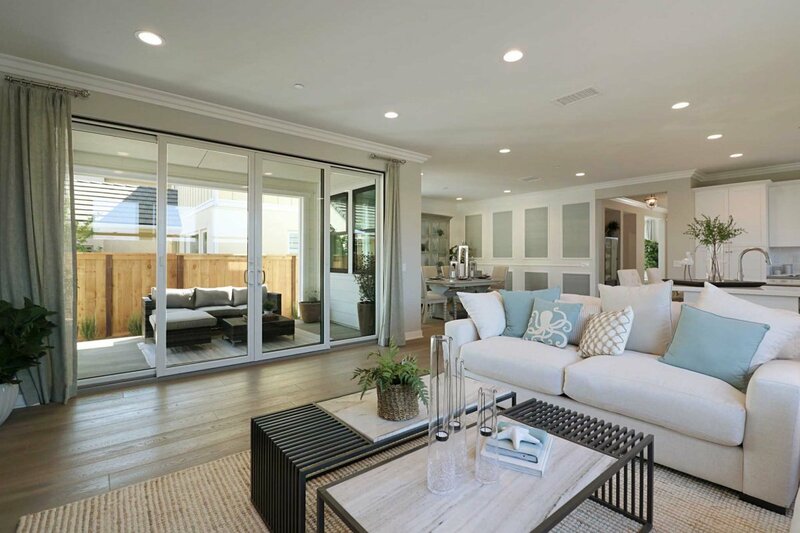 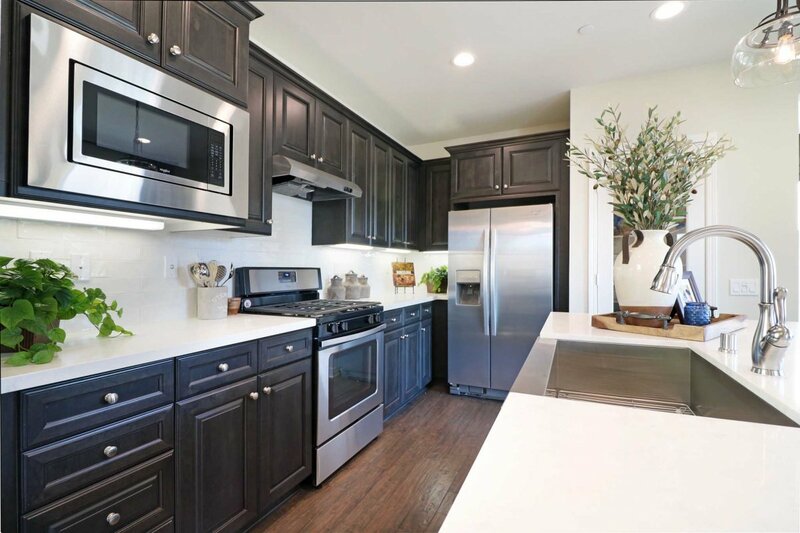 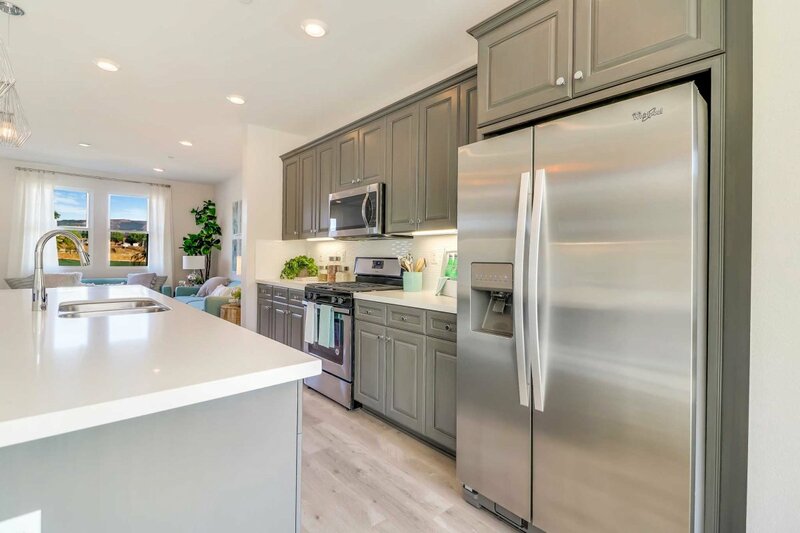 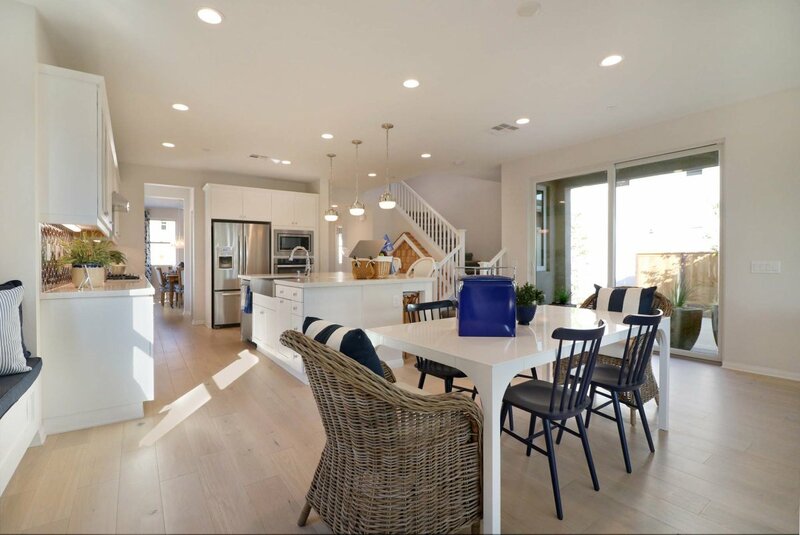 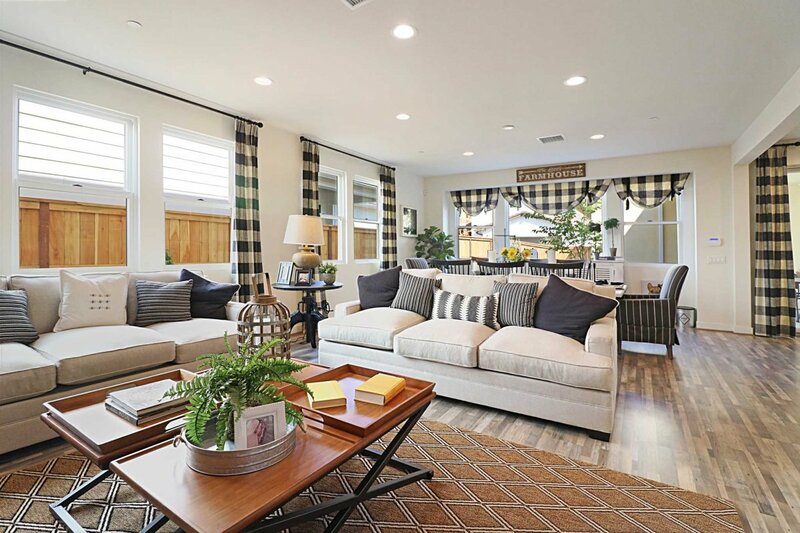 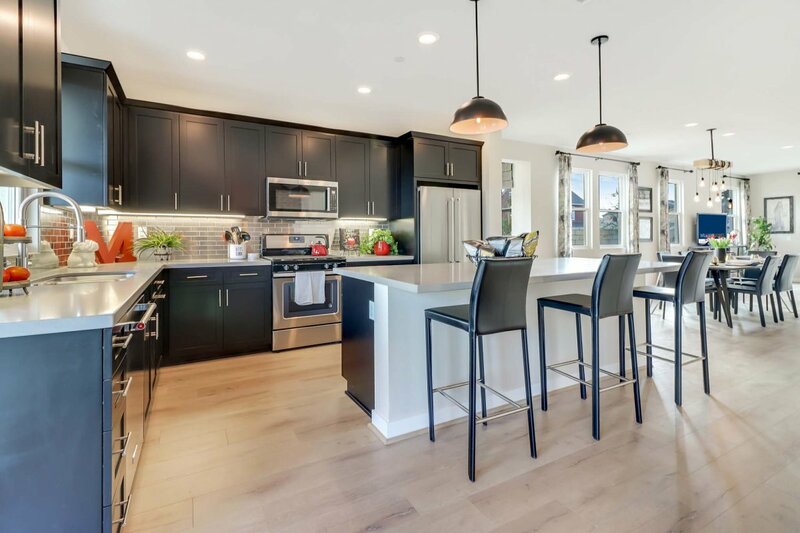 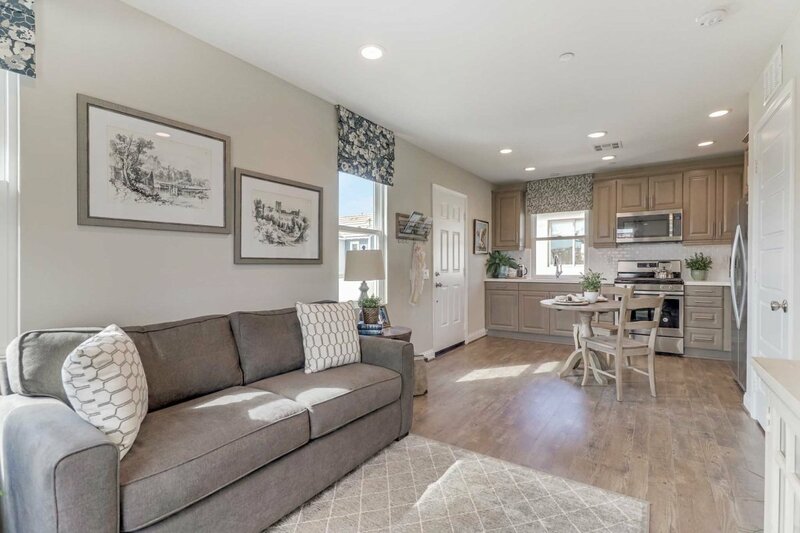 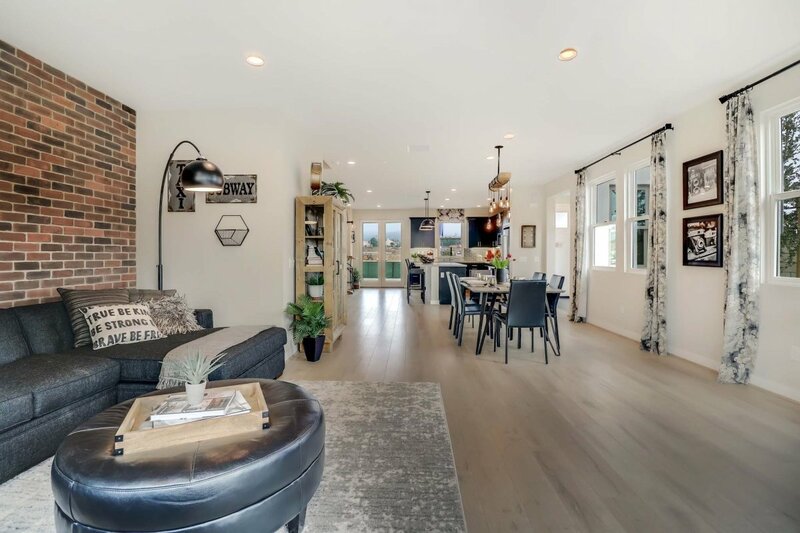 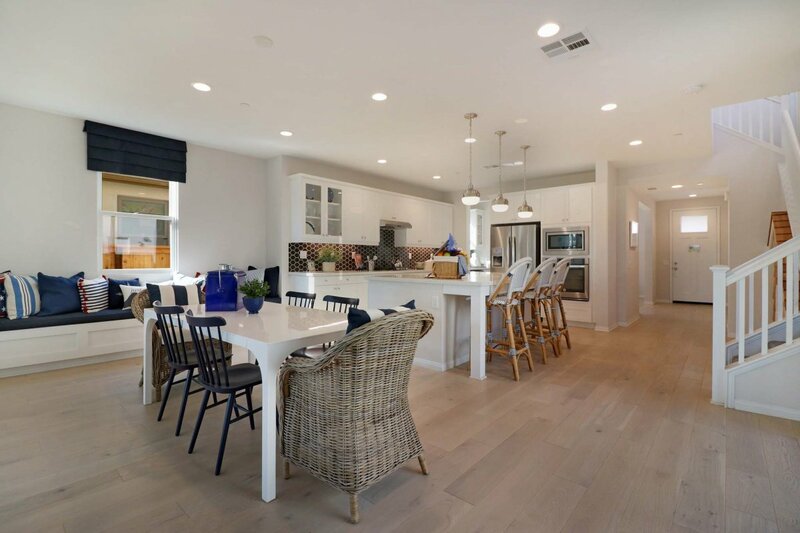 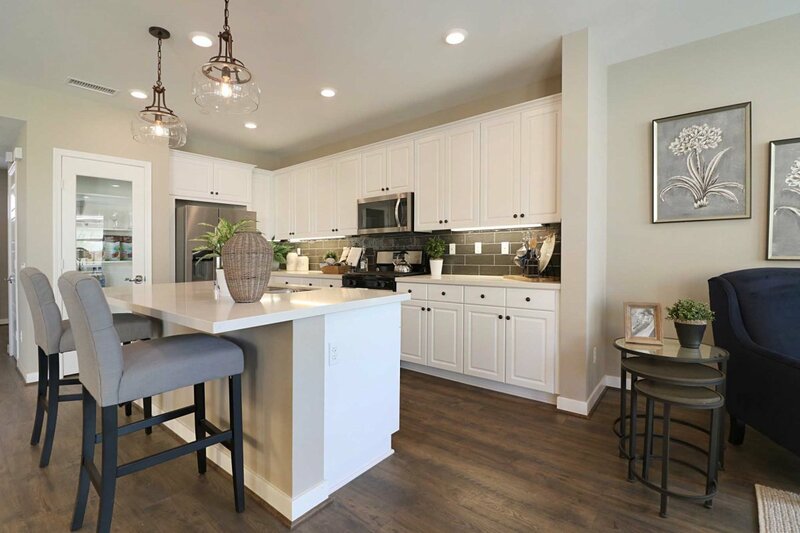 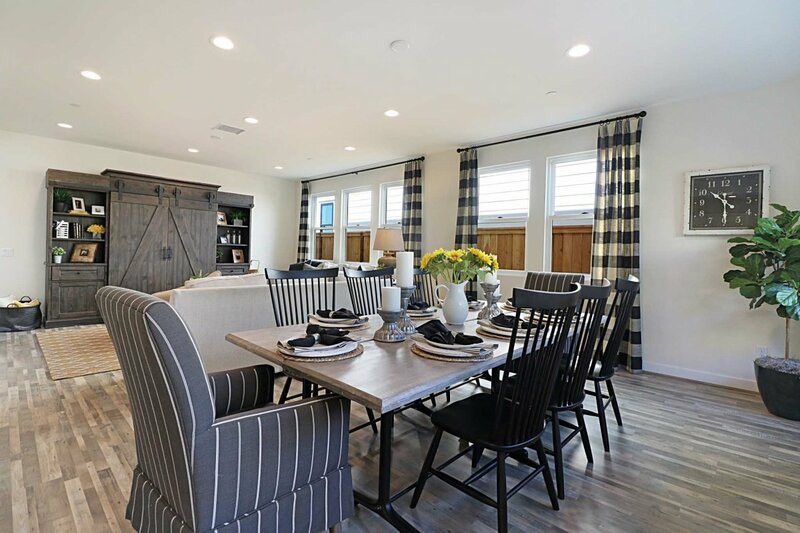 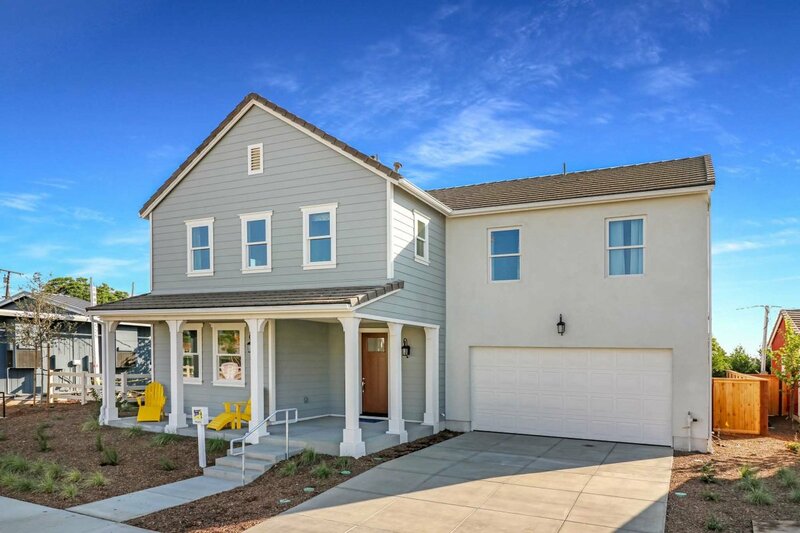 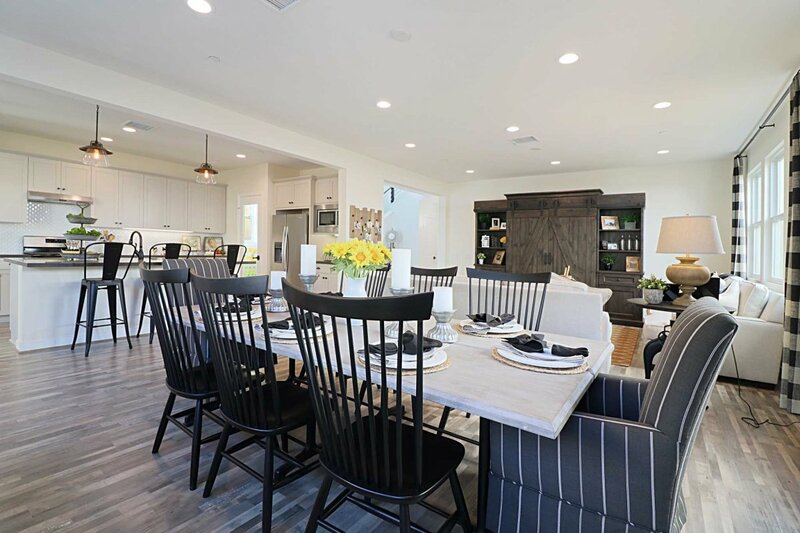 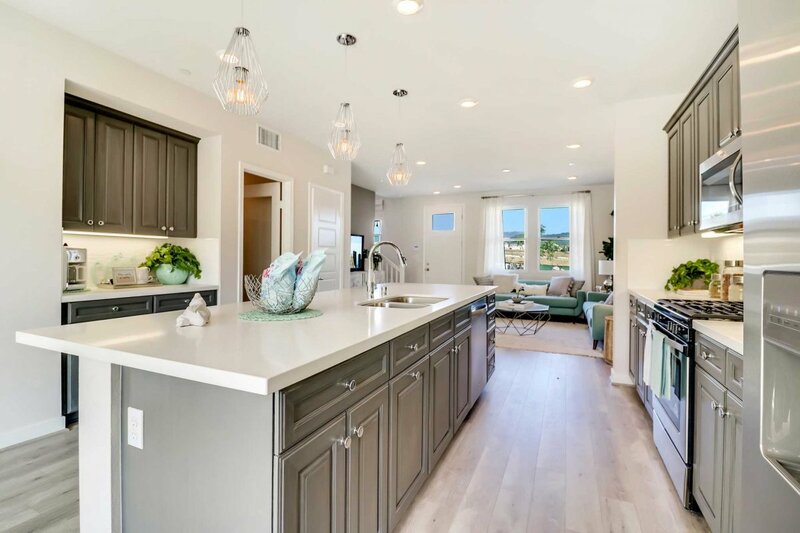 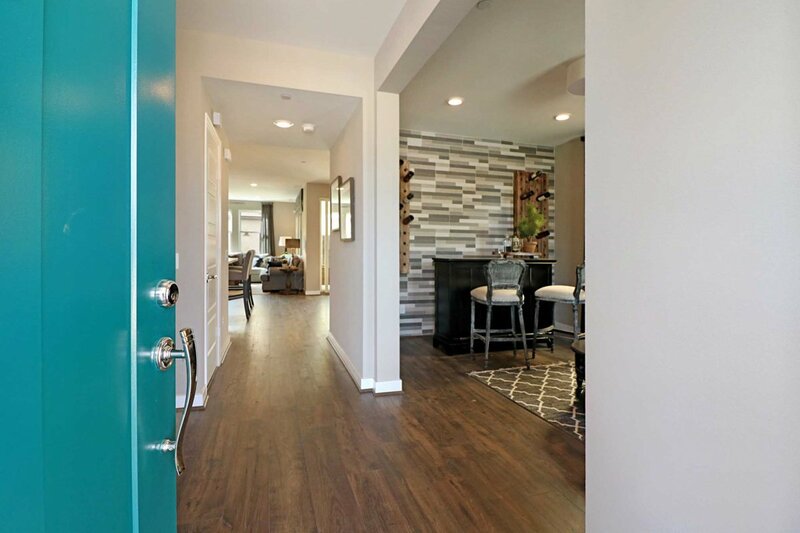 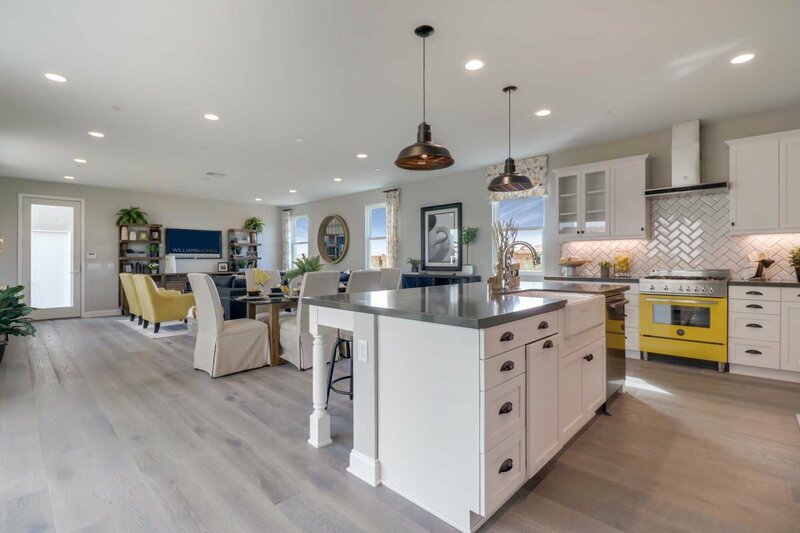 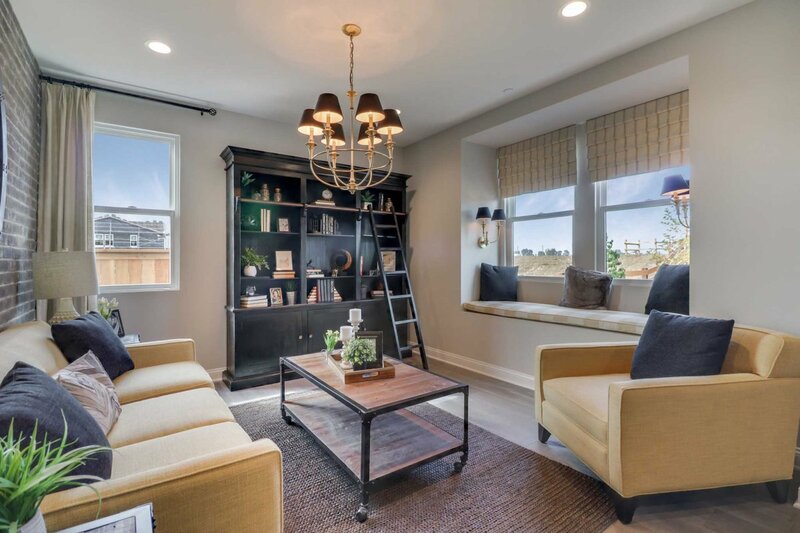 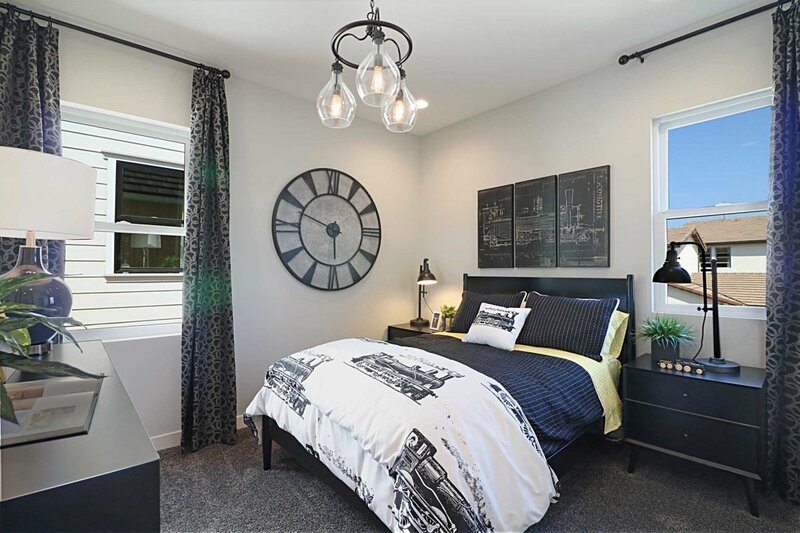 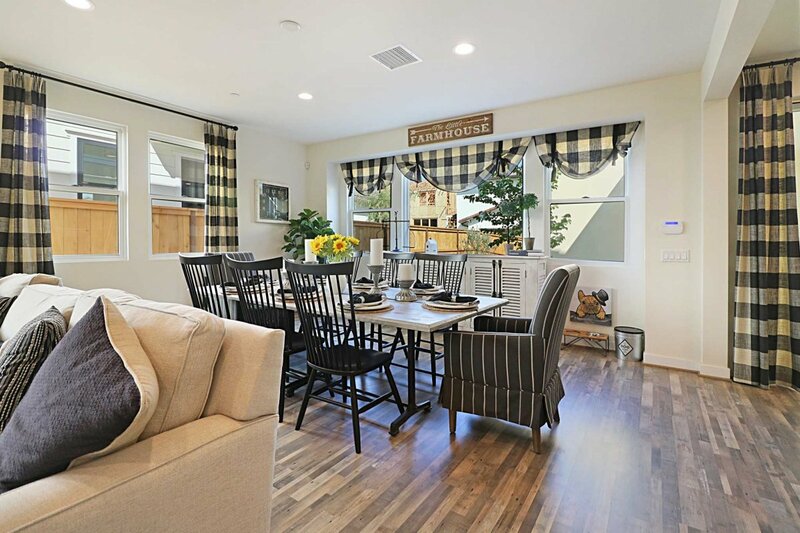 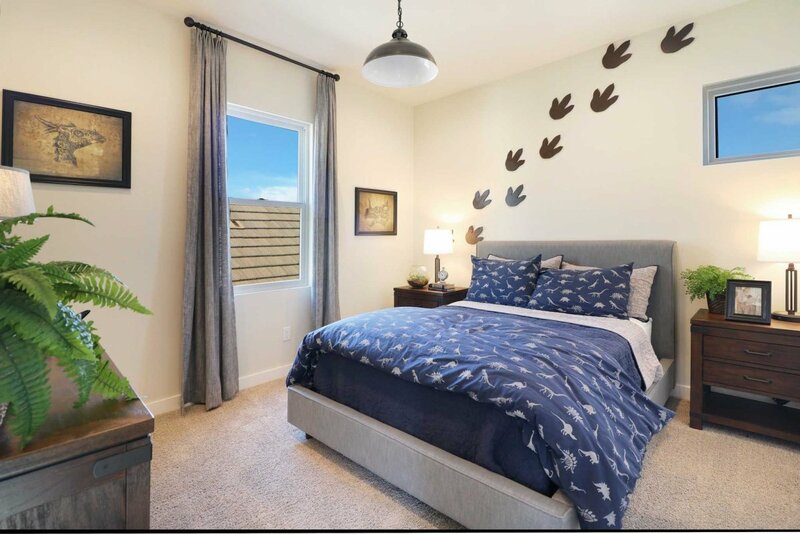 All new townhomes in Ventura are a welcome arrival, but the Anacapa neighborhood at The Farm offers something truly special. 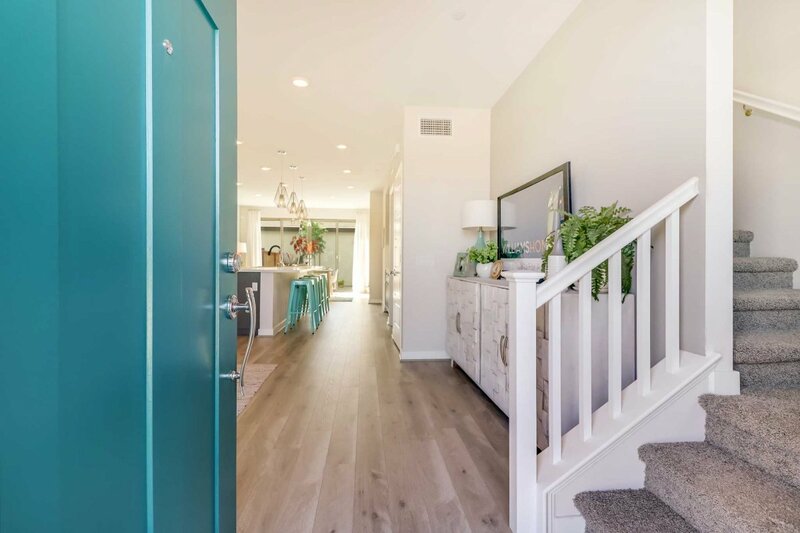 The collection of just 32 attached residences are enhanced by traditional architecture and bright open-concept designs that live like single family homes, rather than intimate condominiums. 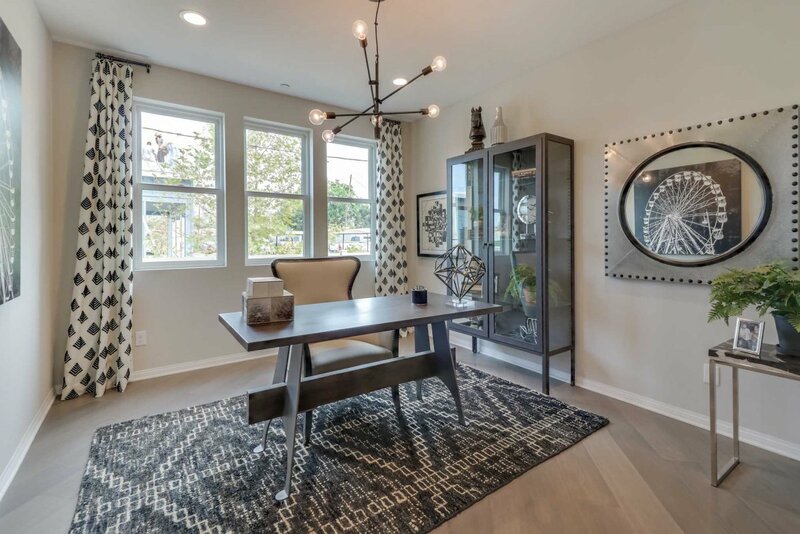 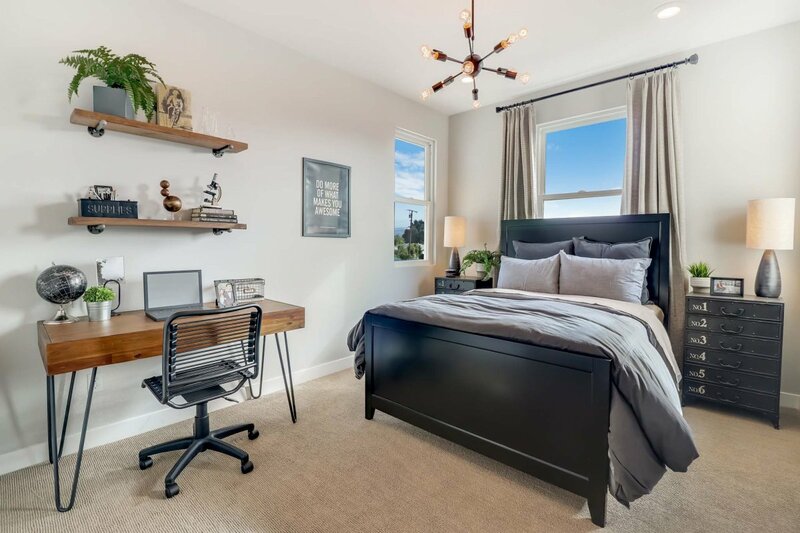 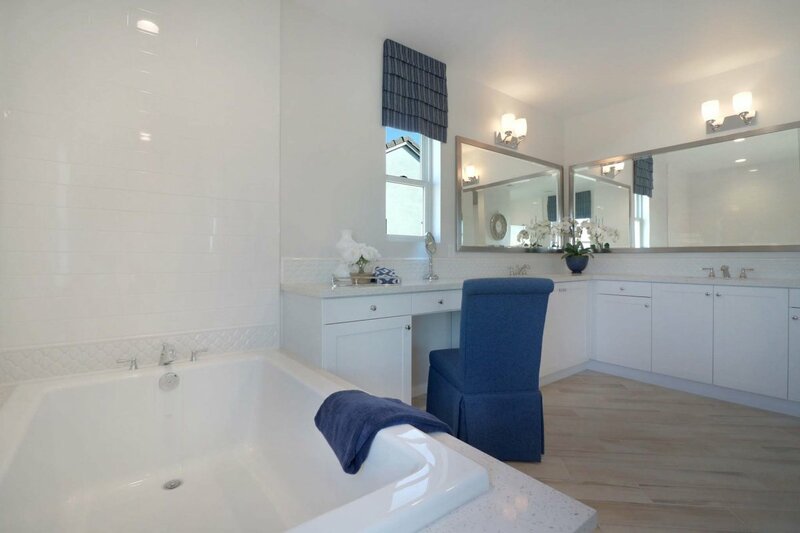 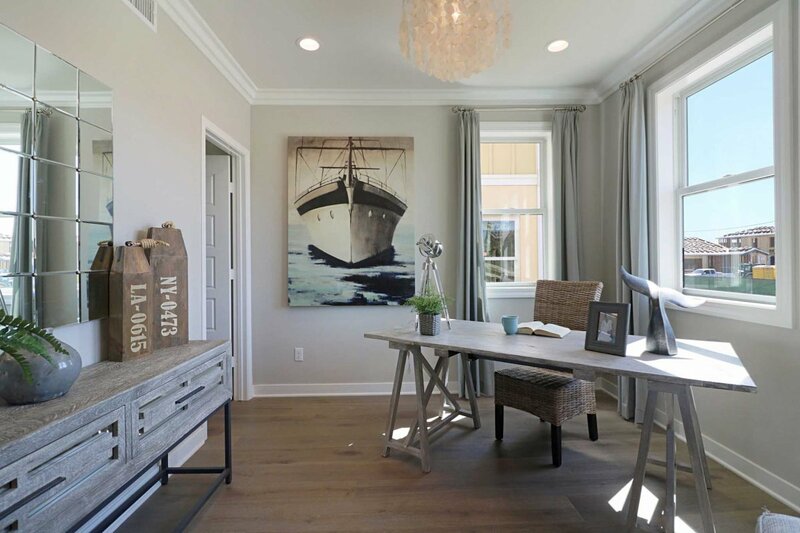 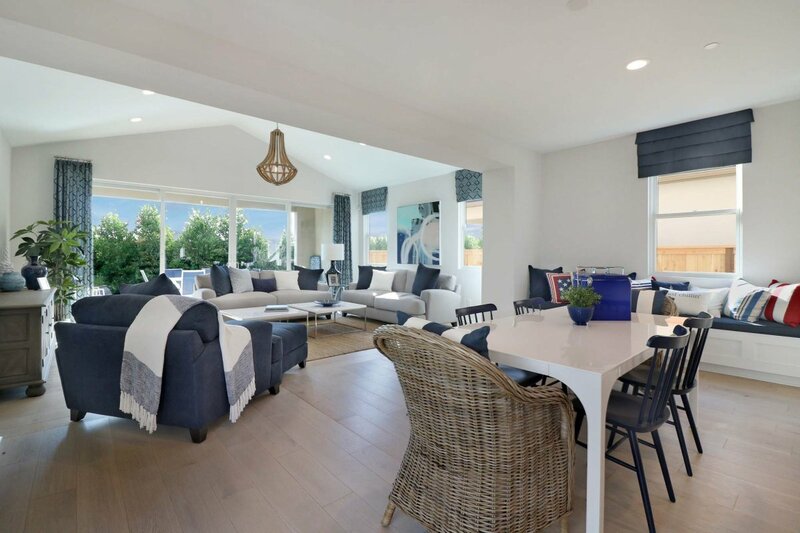 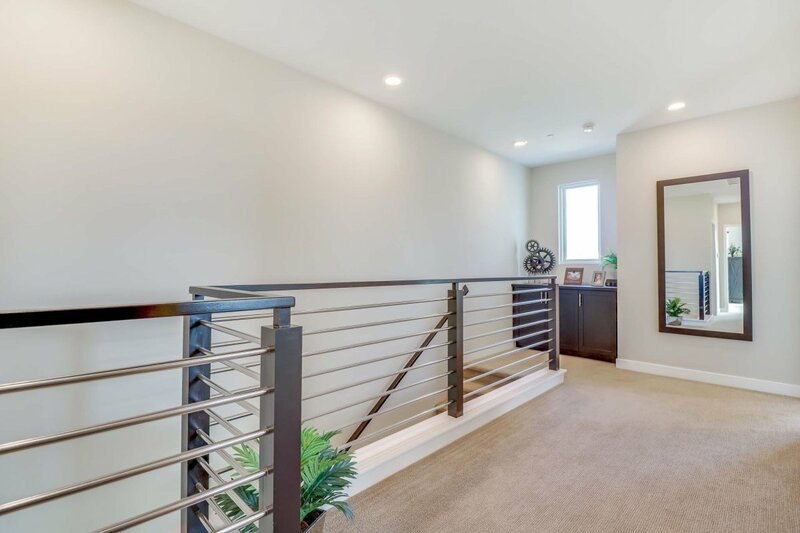 The spacious 1,744 to 2,287 square-foot interiors showcase up to four bedrooms and highly desirable features that include available home office spaces, versatile studios and private garages.